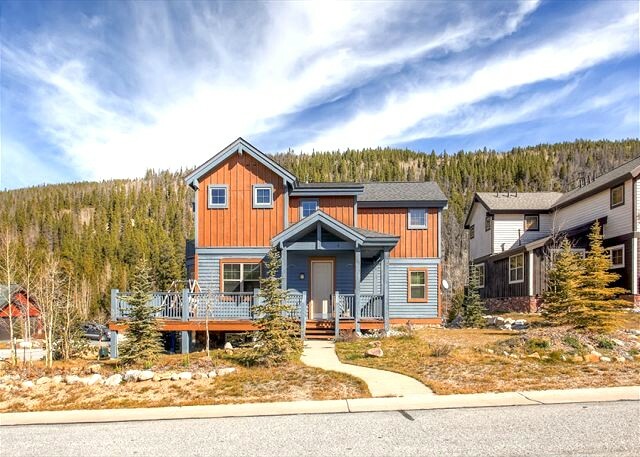 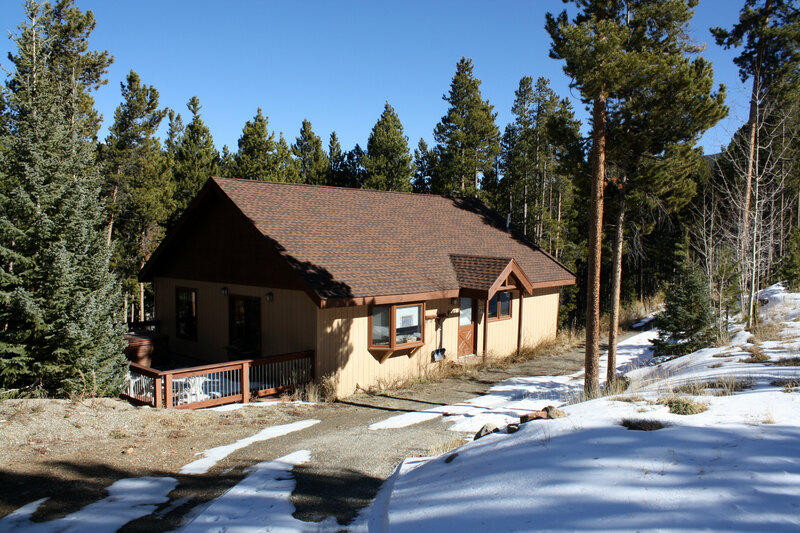 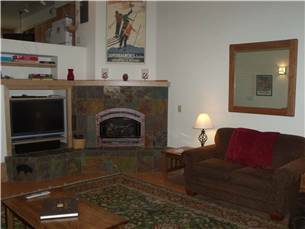 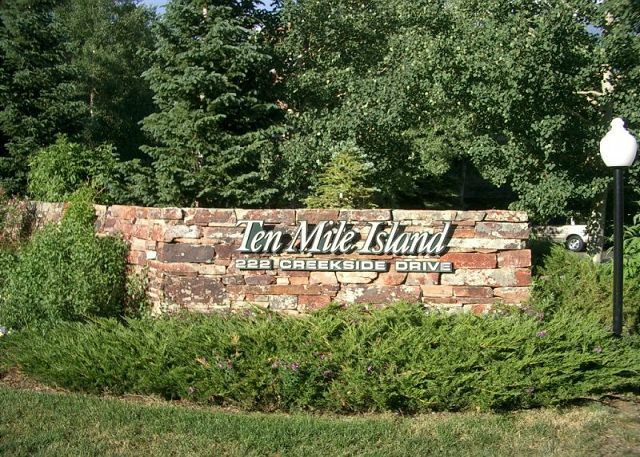 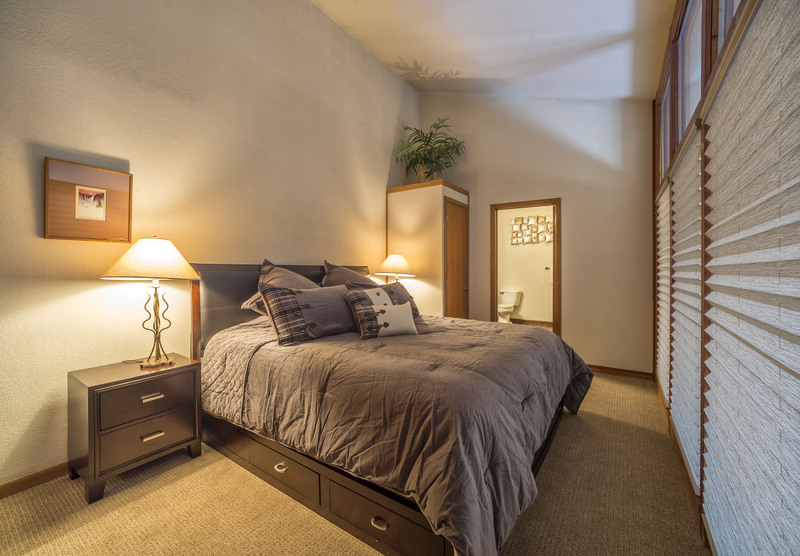 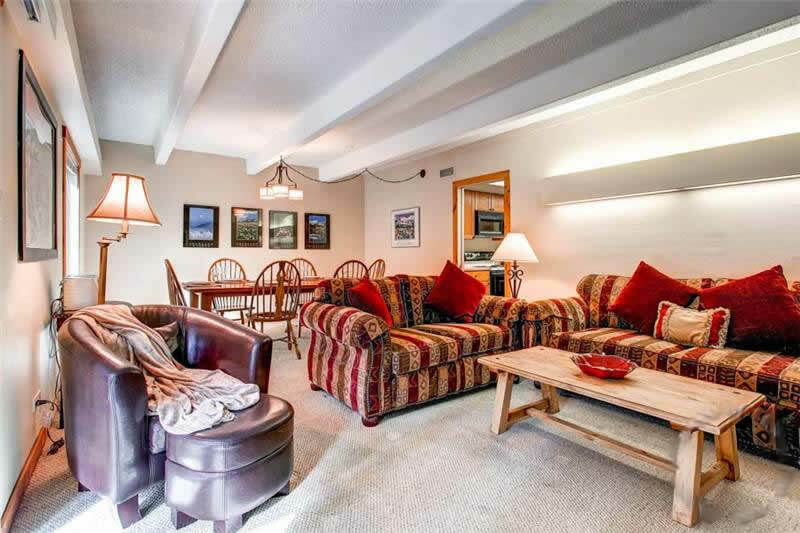 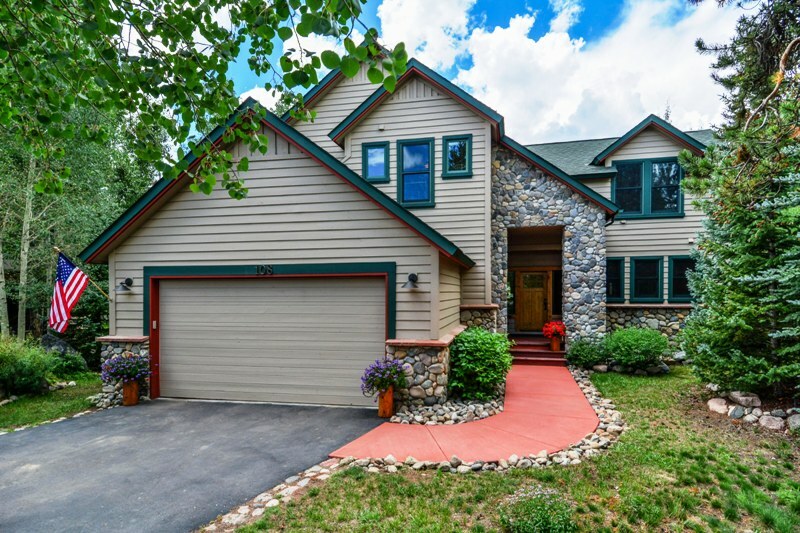 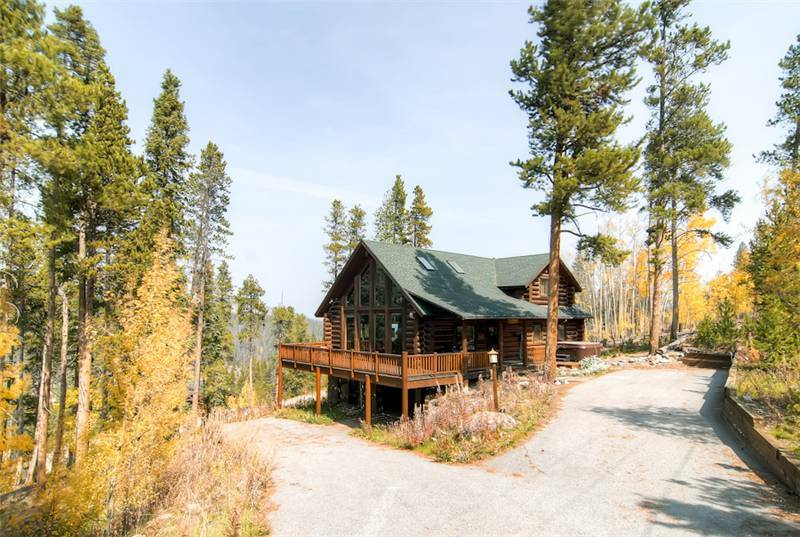 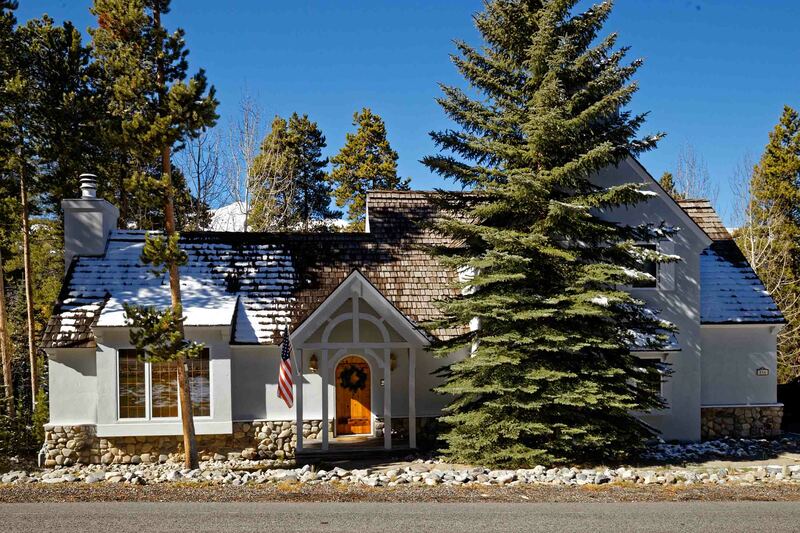 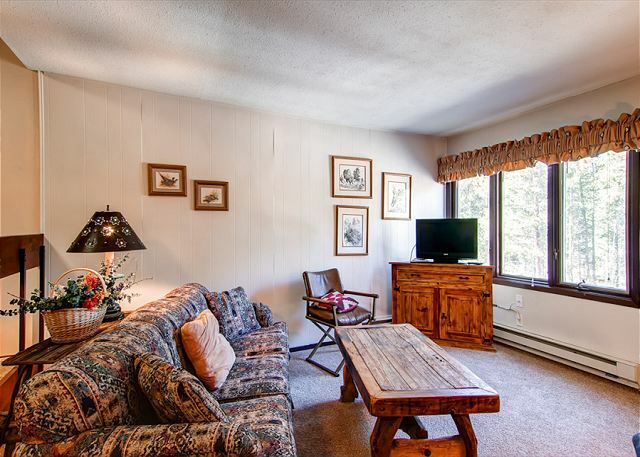 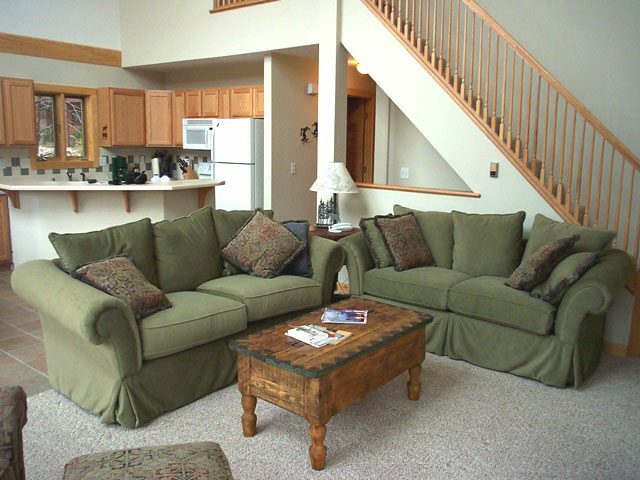 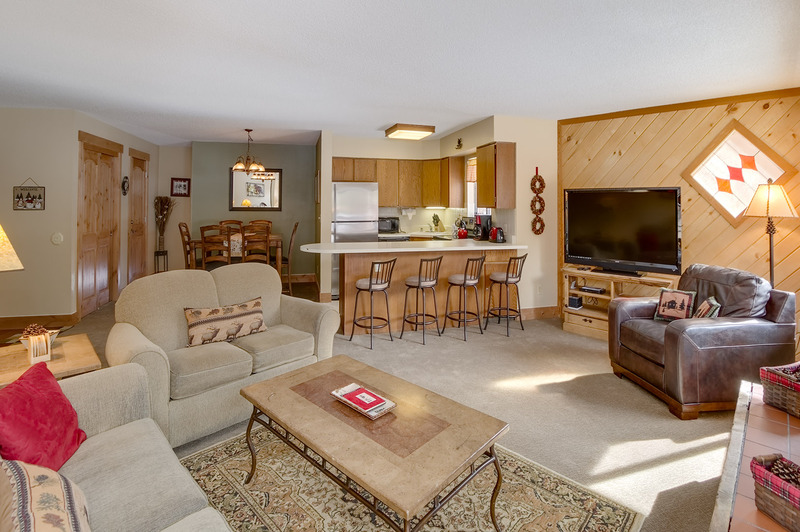 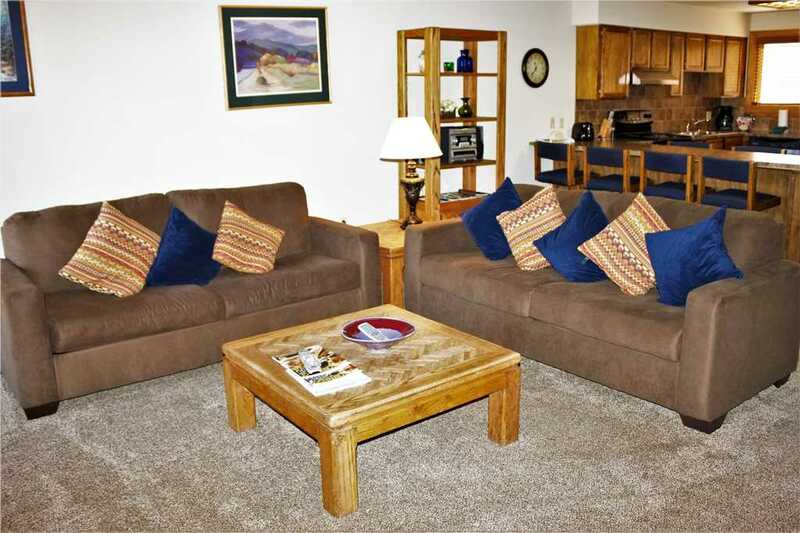 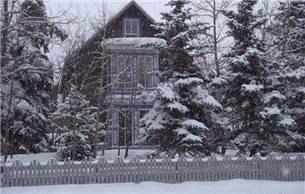 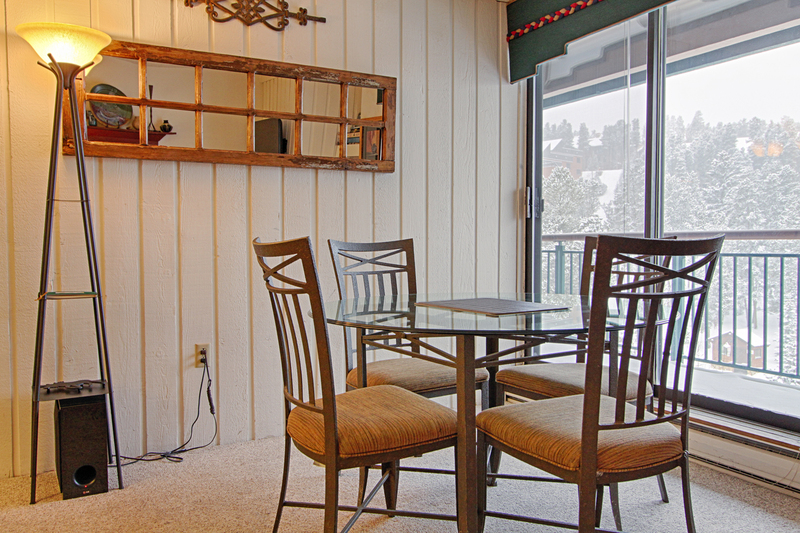 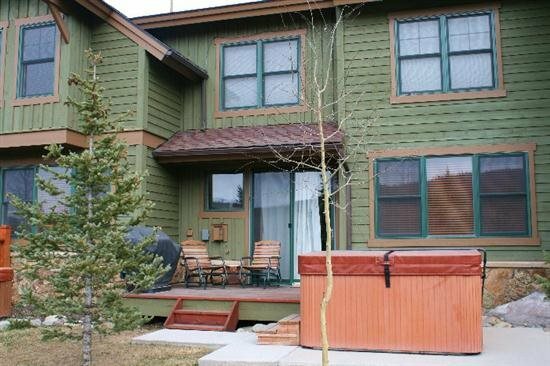 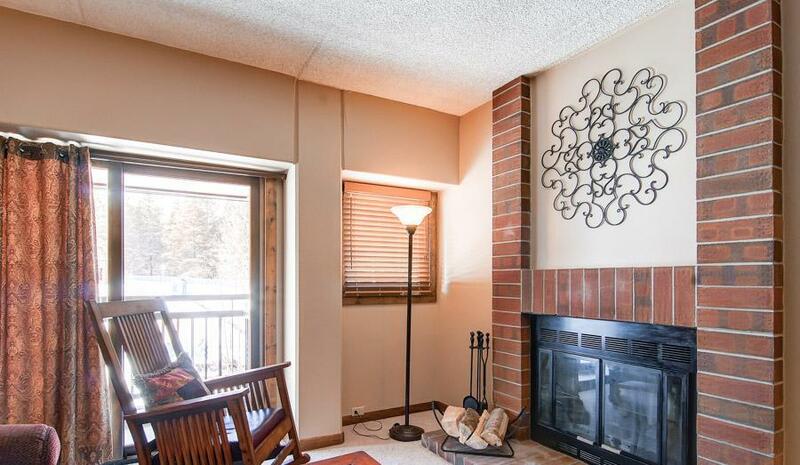 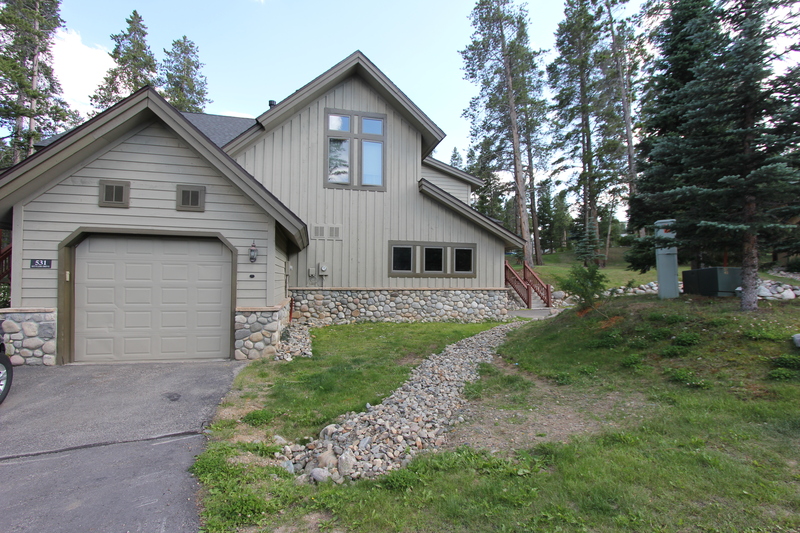 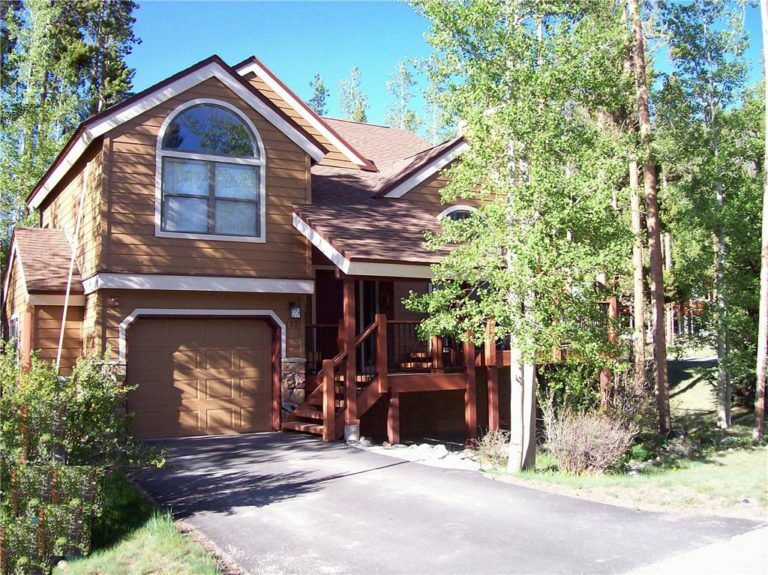 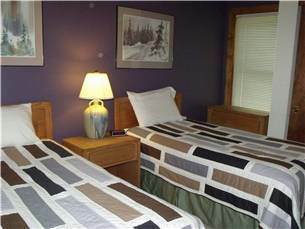 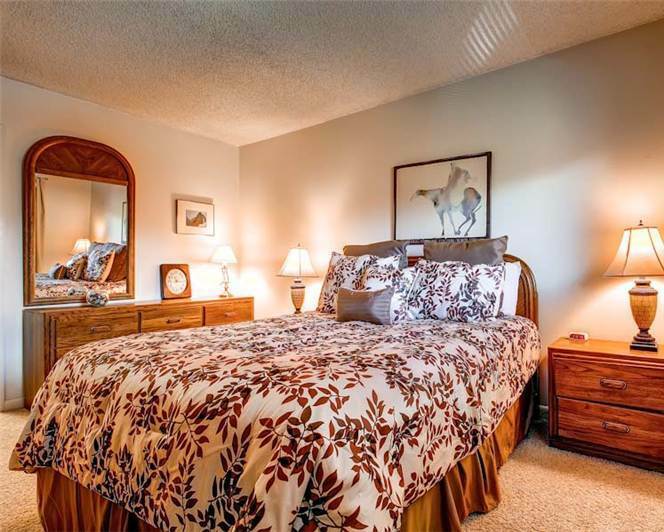 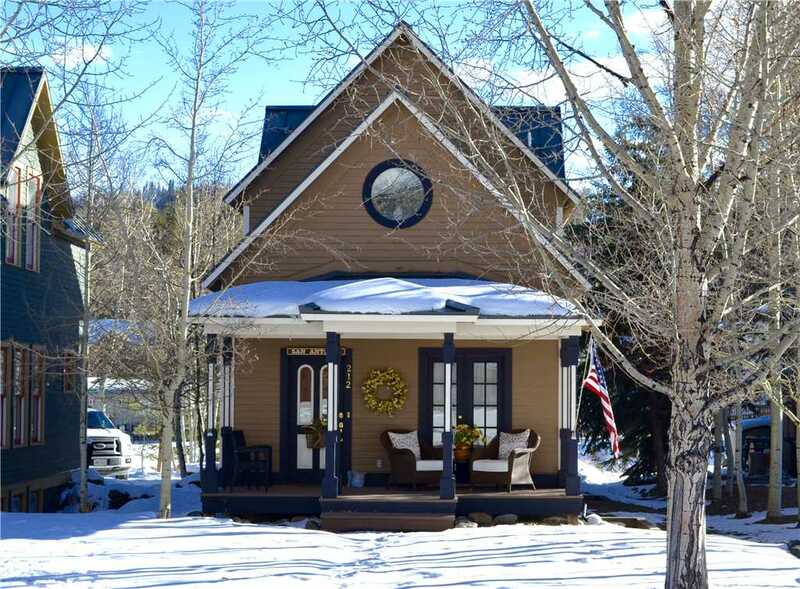 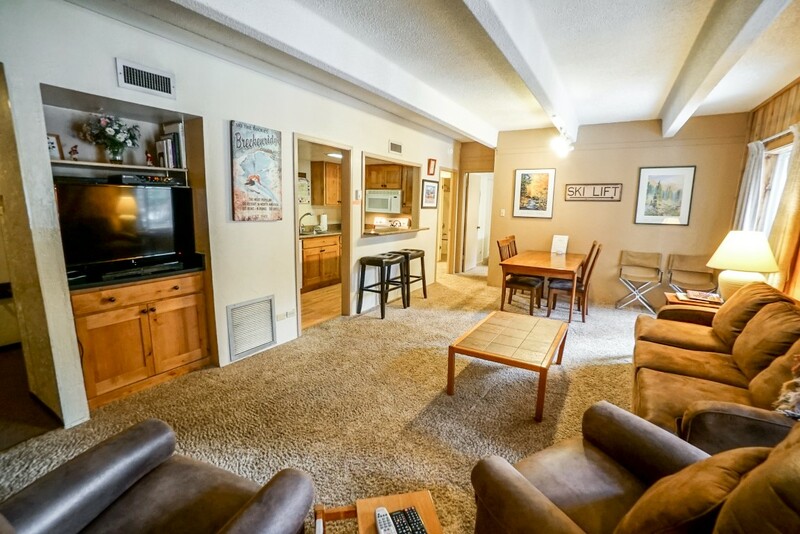 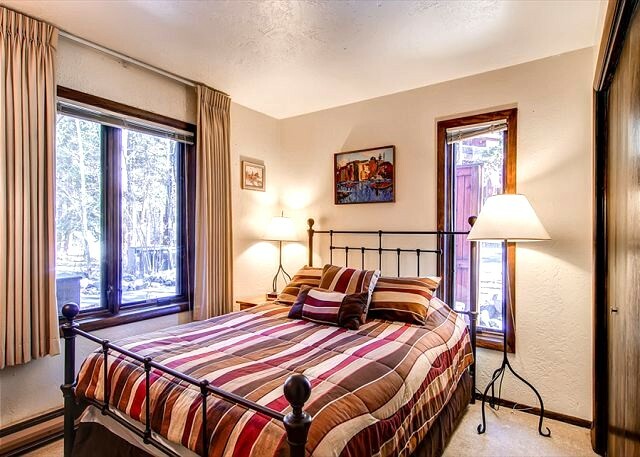 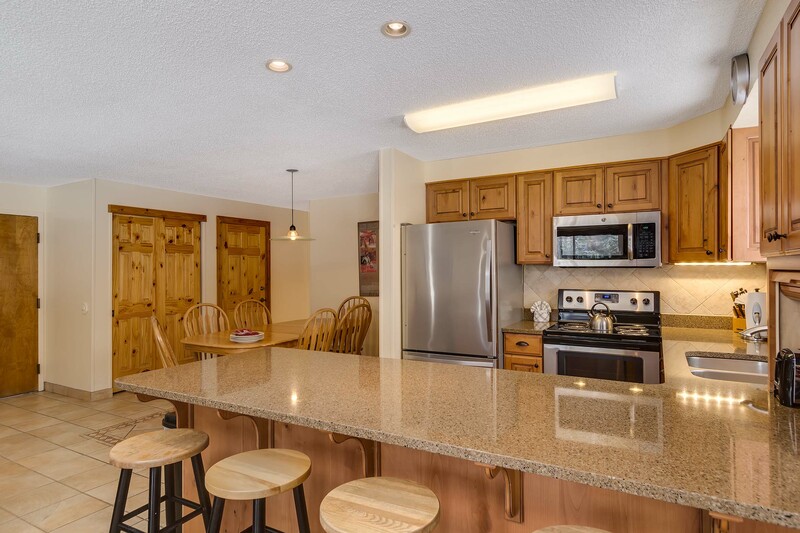 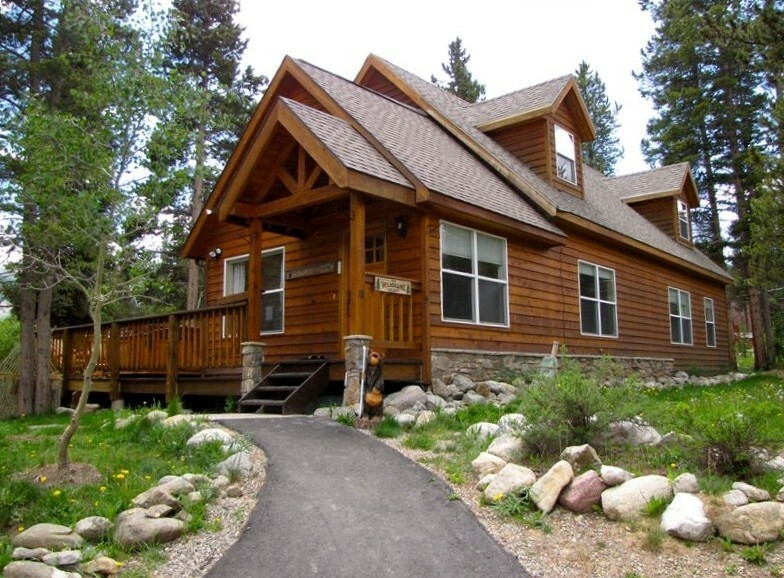 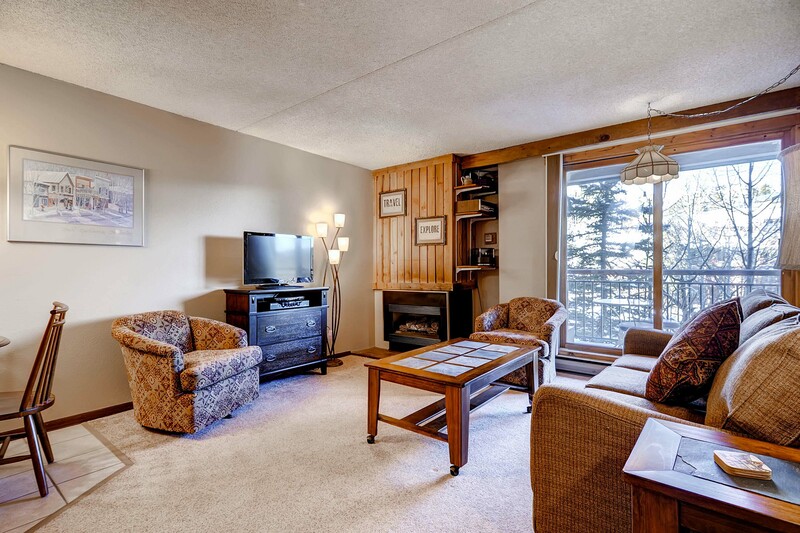 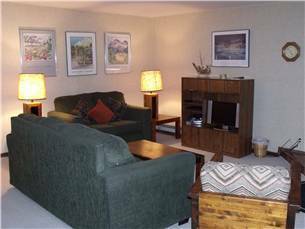 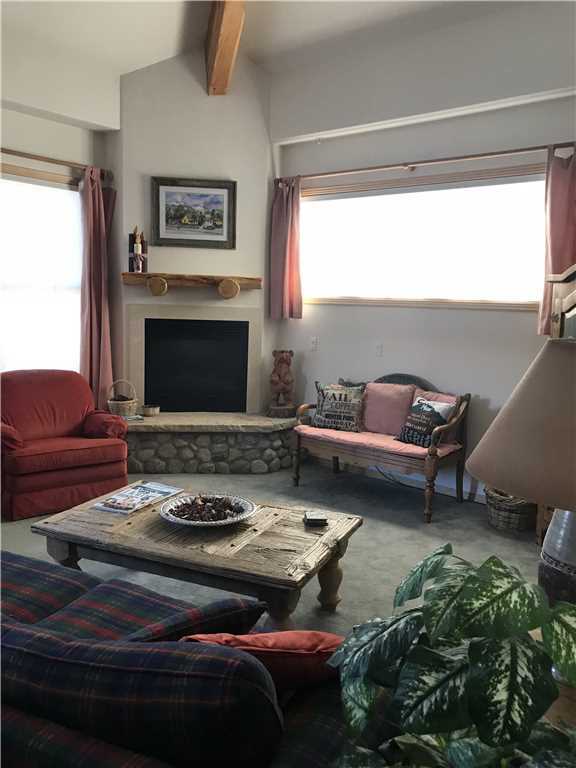 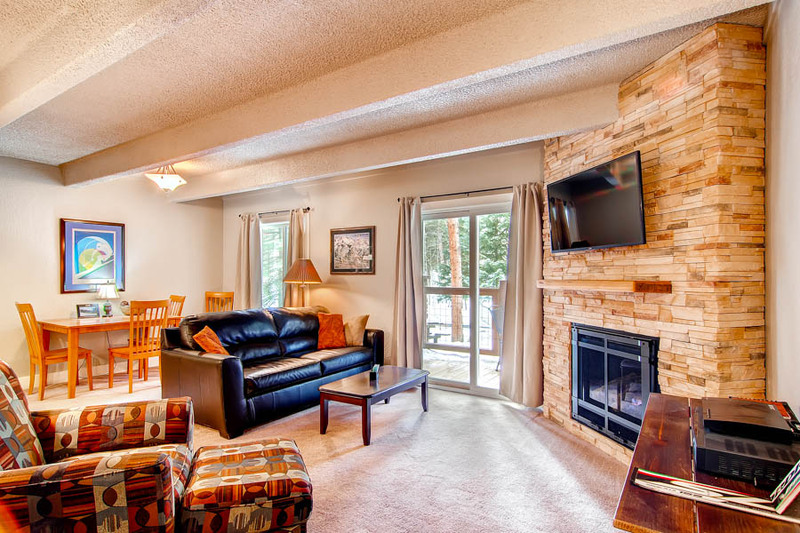 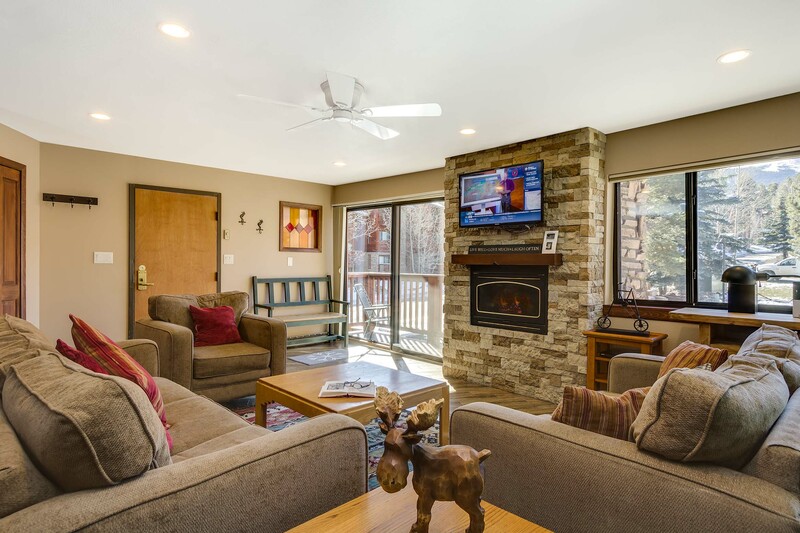 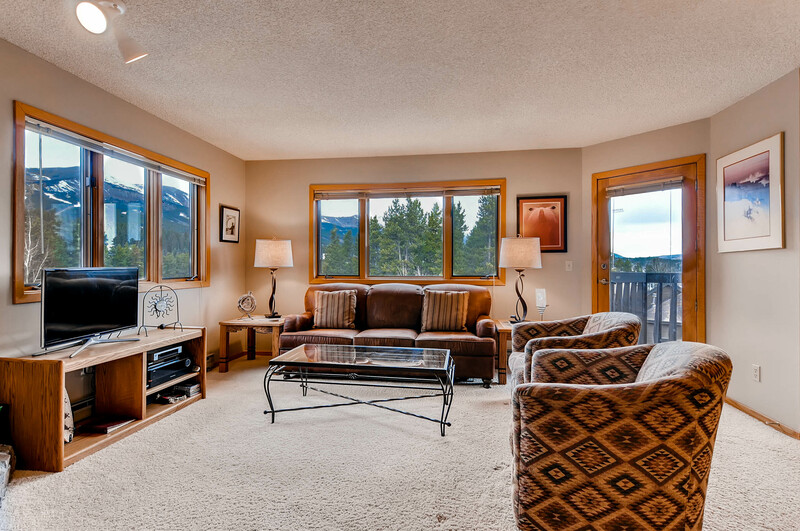 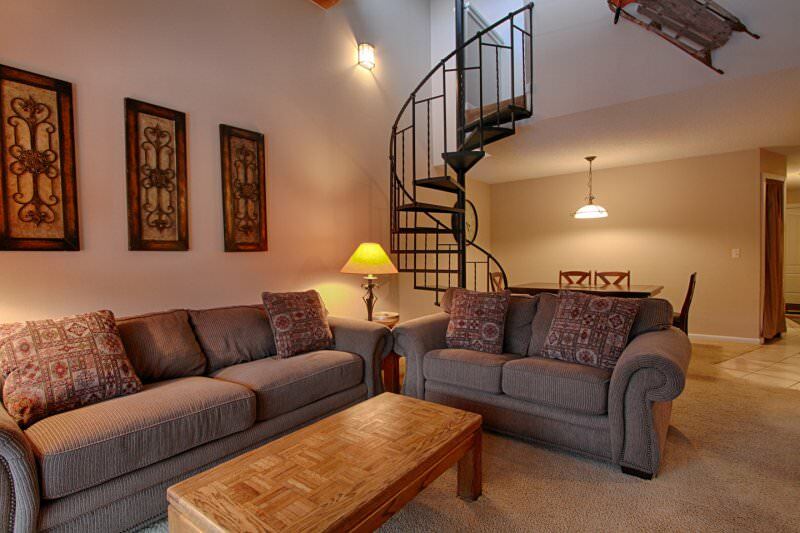 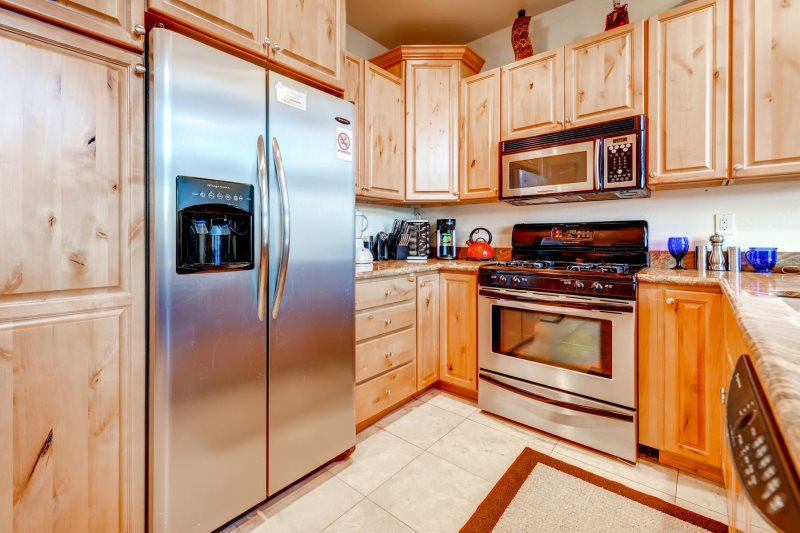 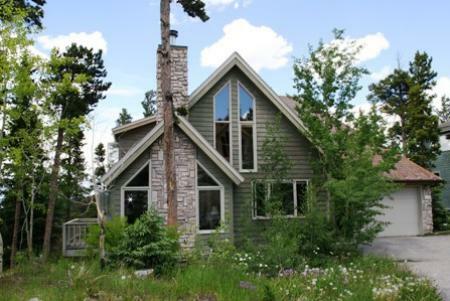 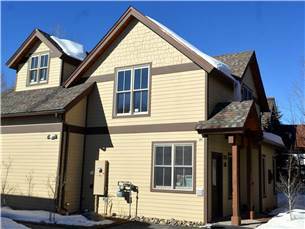 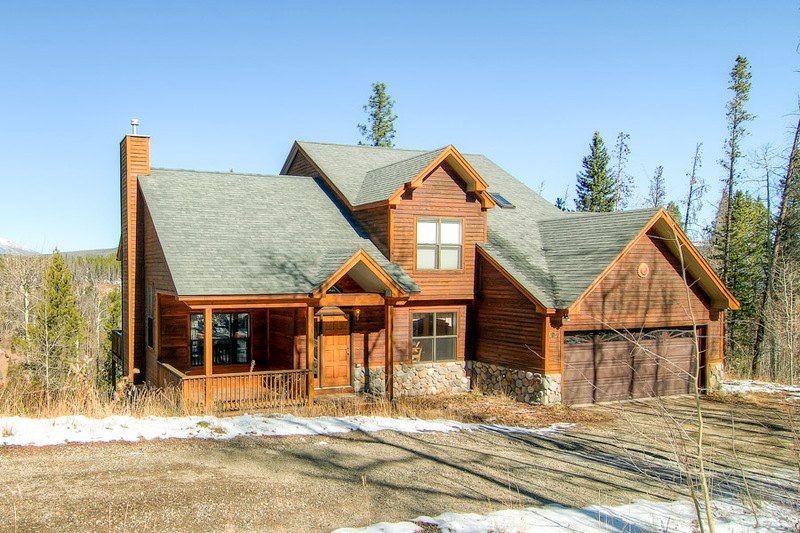 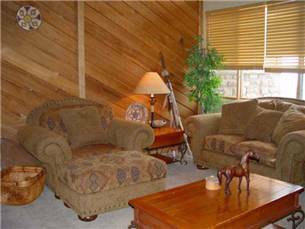 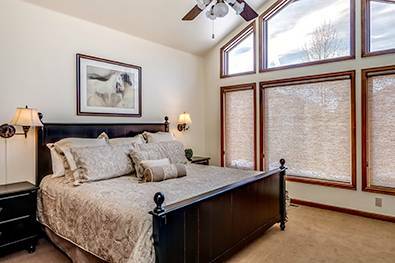 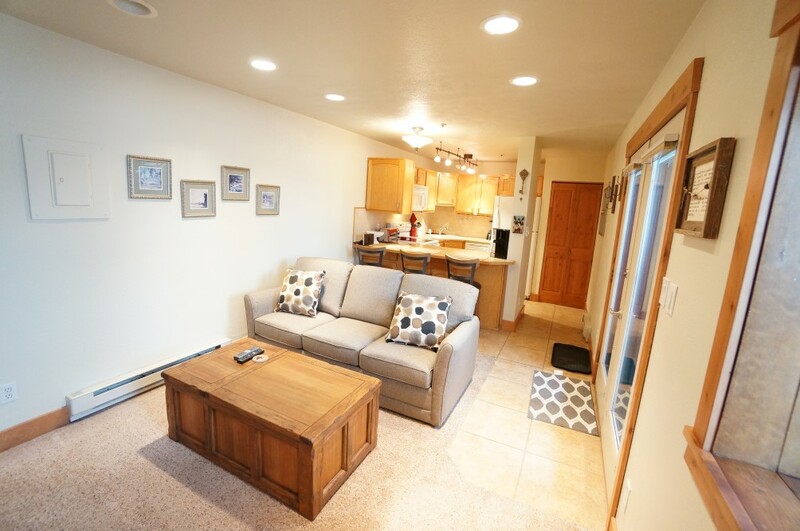 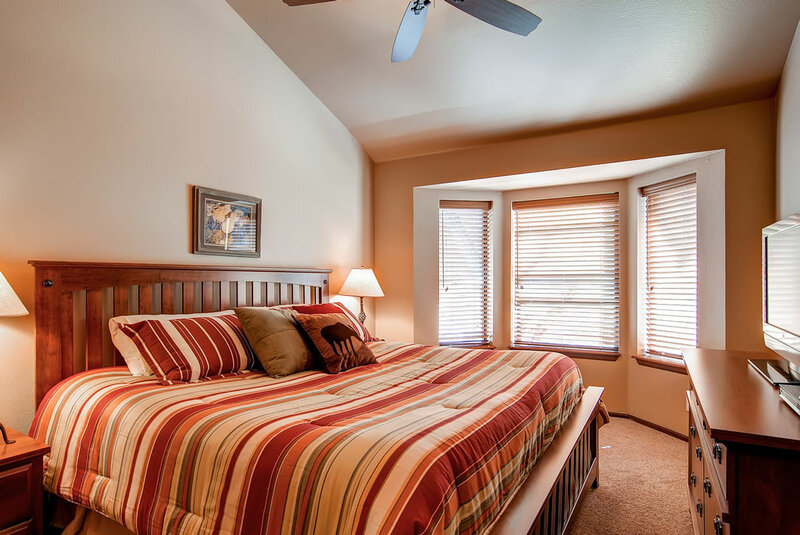 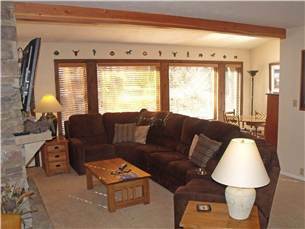 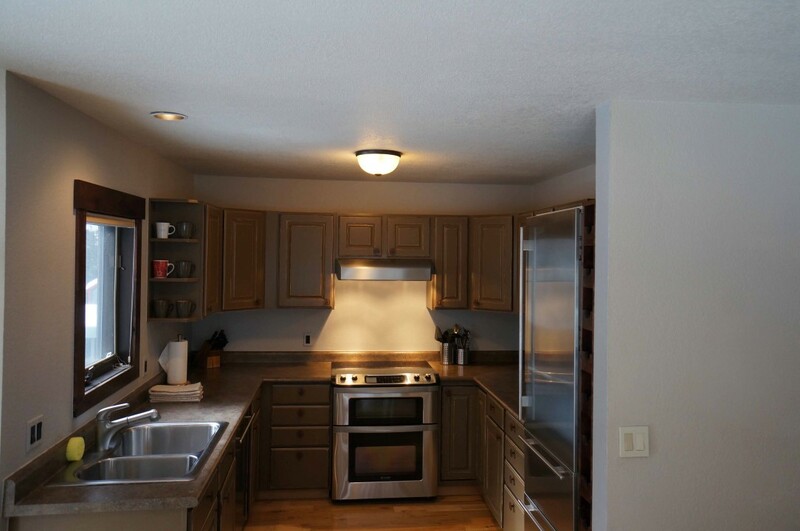 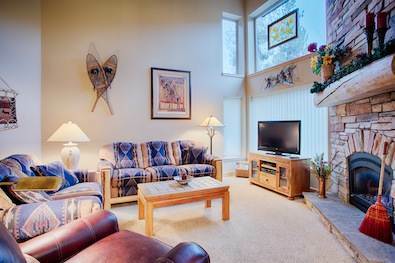 This spacious is located near the south end of Breckenridge on Highway 9, with a seasonal Breckenridge Free Ride bus stop right at the complex entrance! 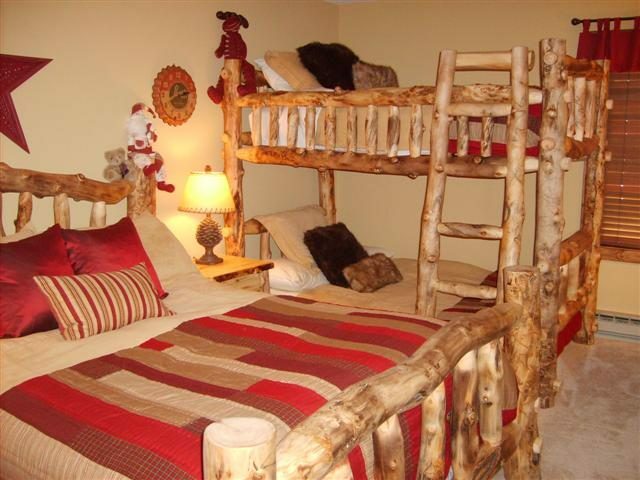 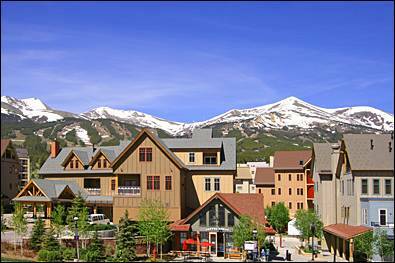 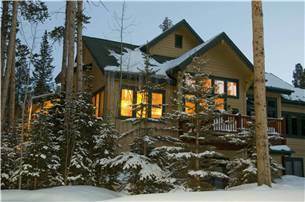 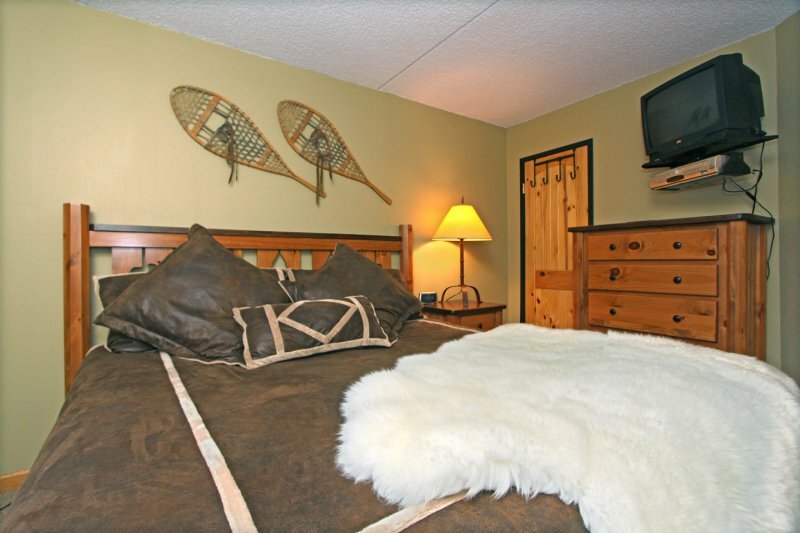 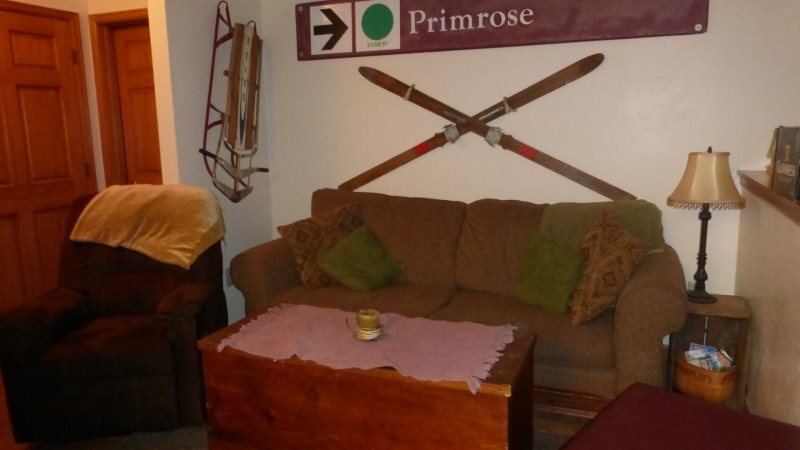 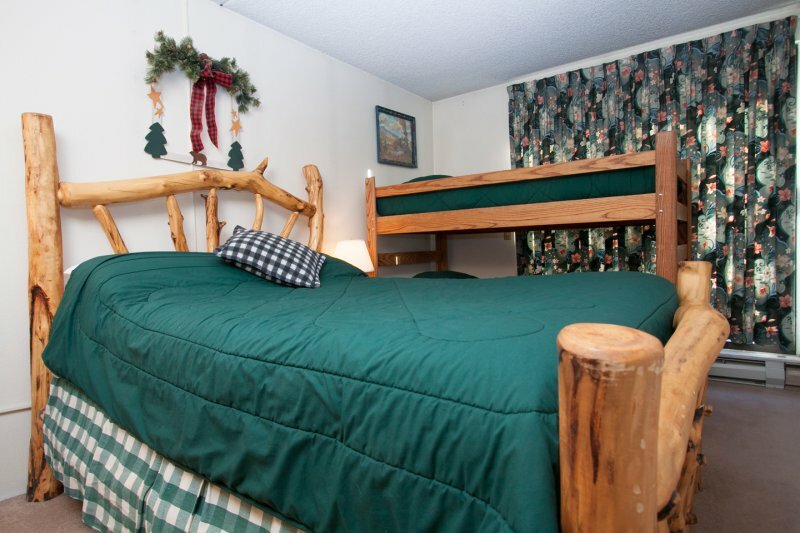 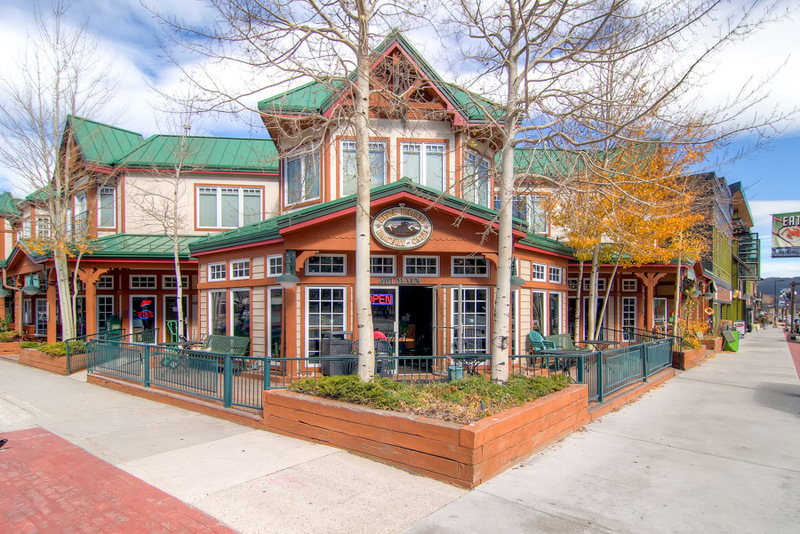 It is also conveniently located near the Breckenridge Ice Rink where there is fun for the whole family. 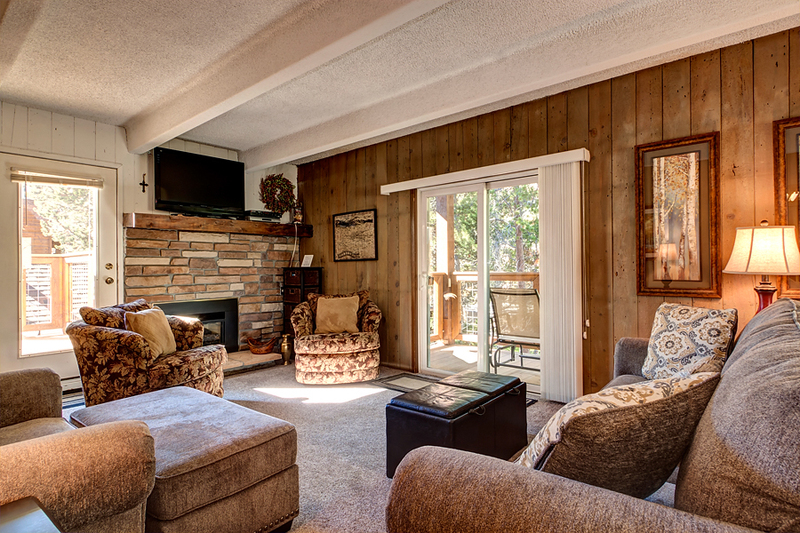 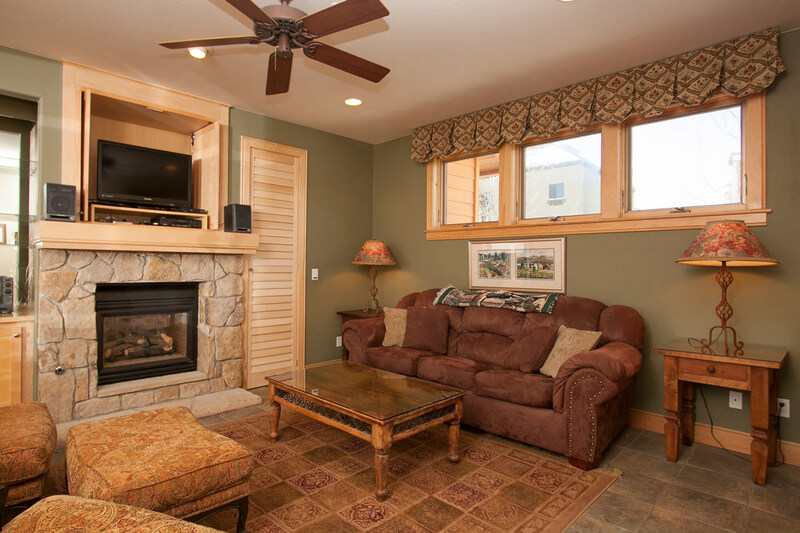 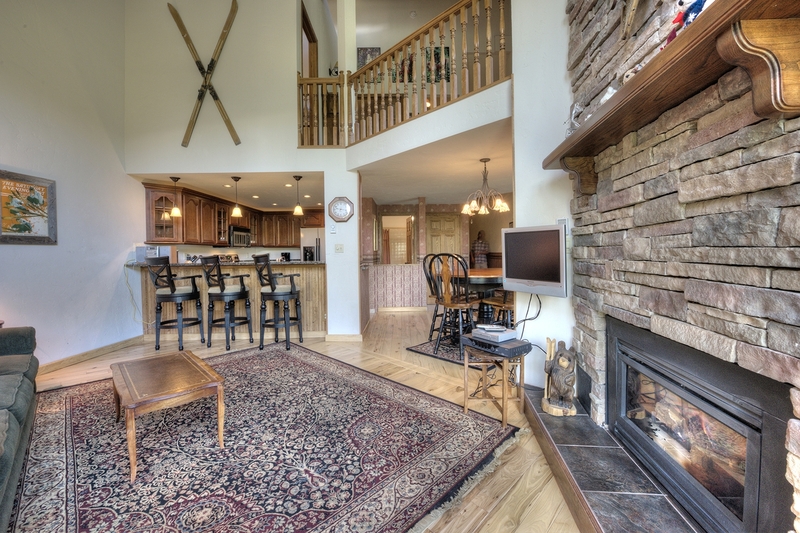 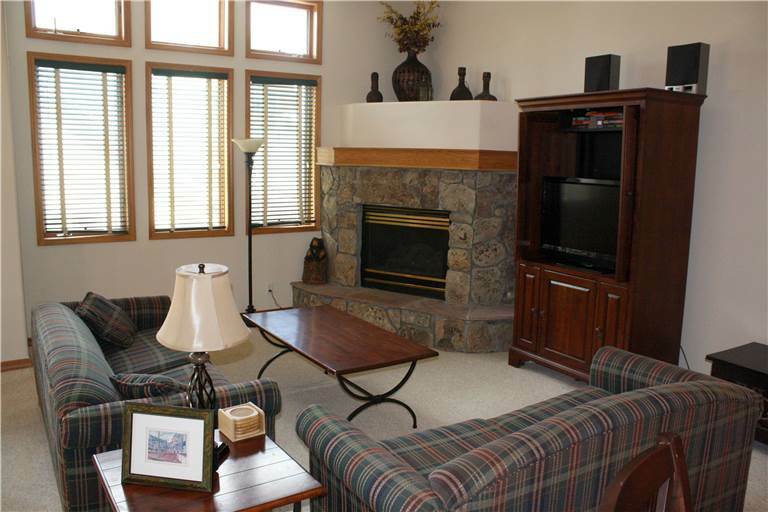 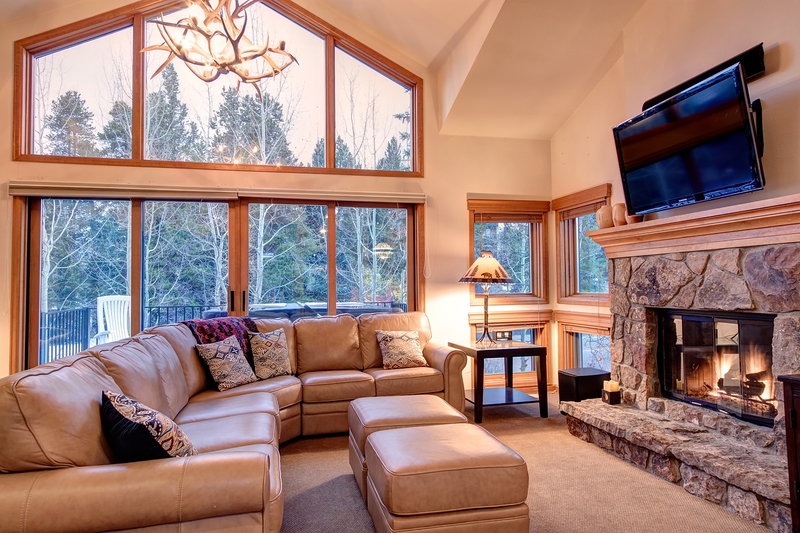 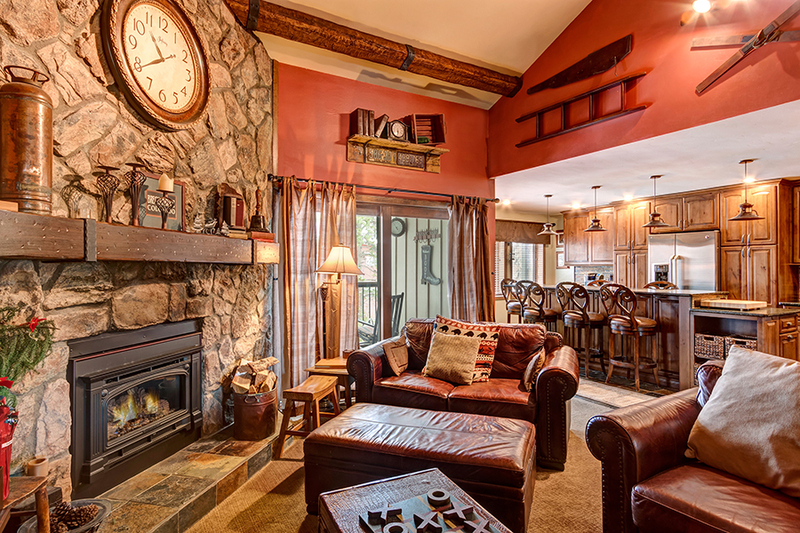 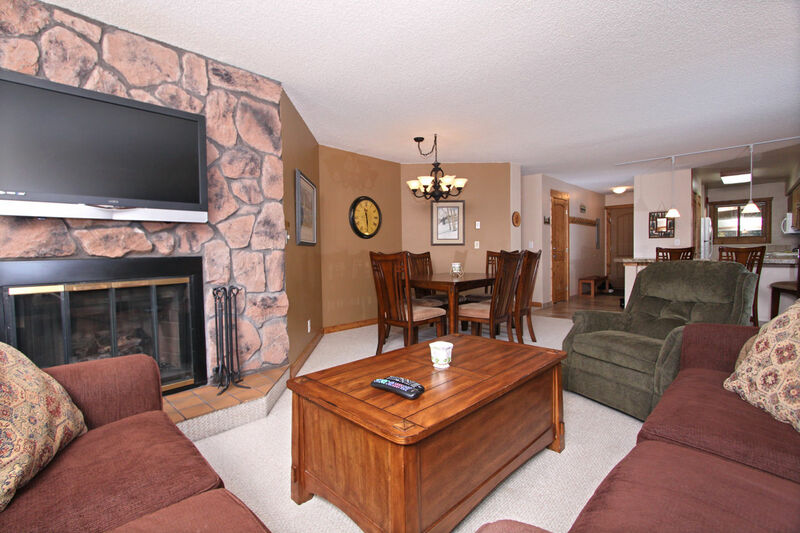 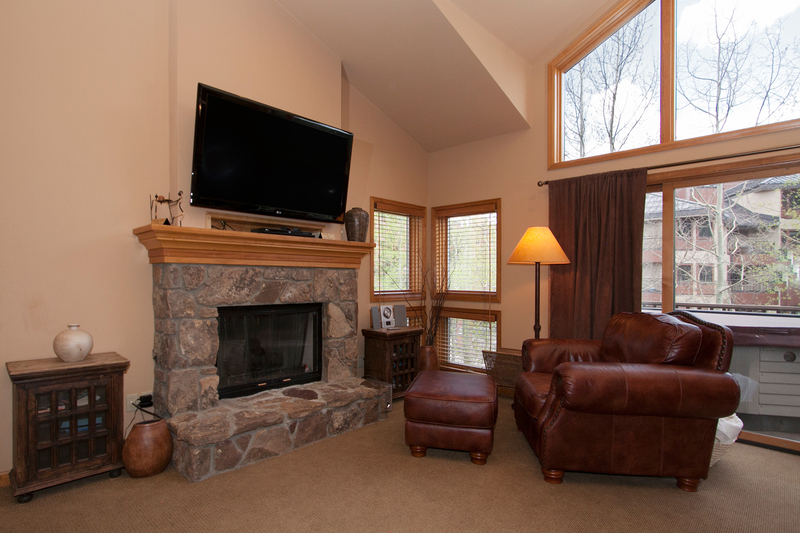 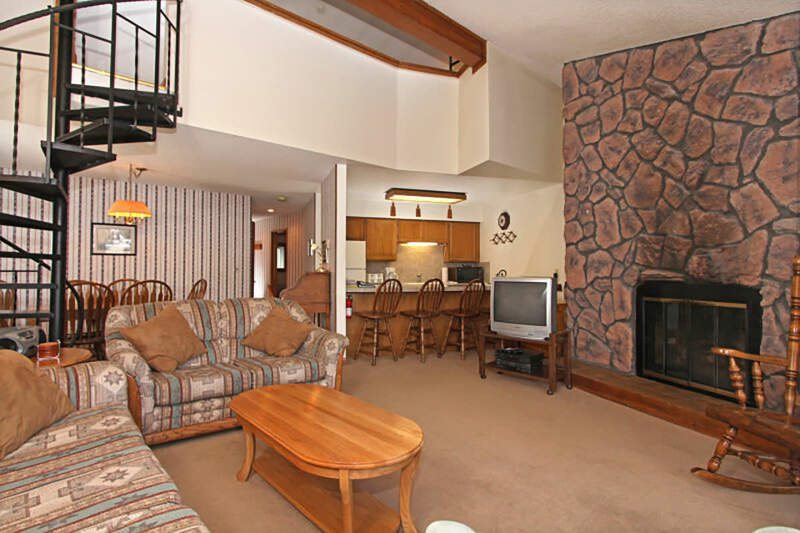 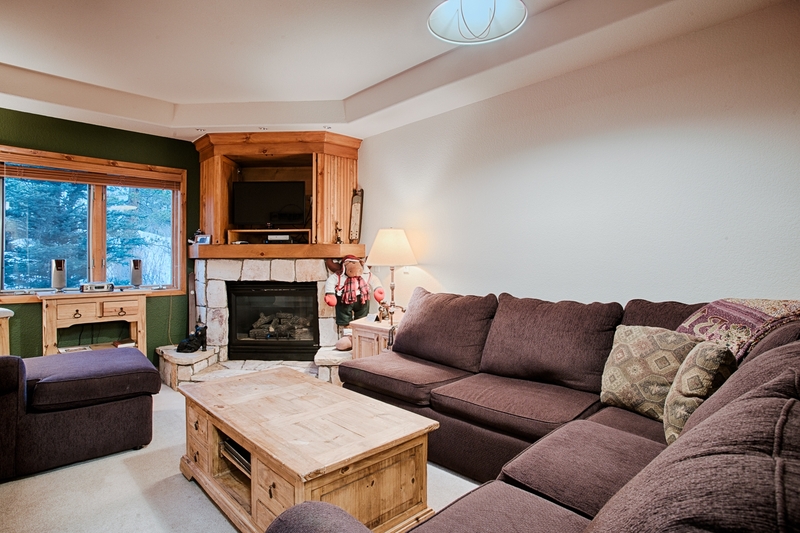 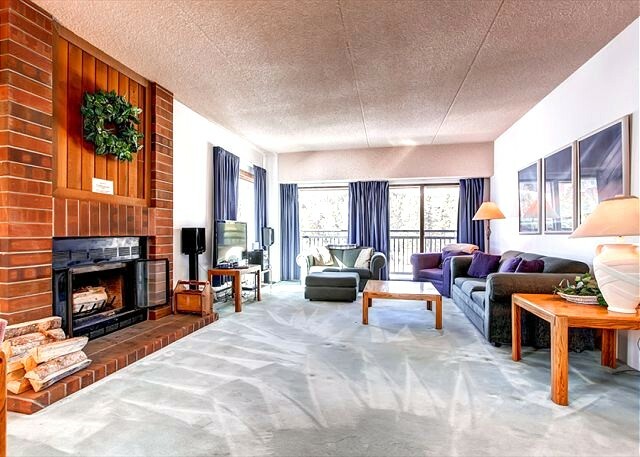 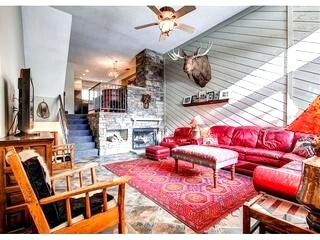 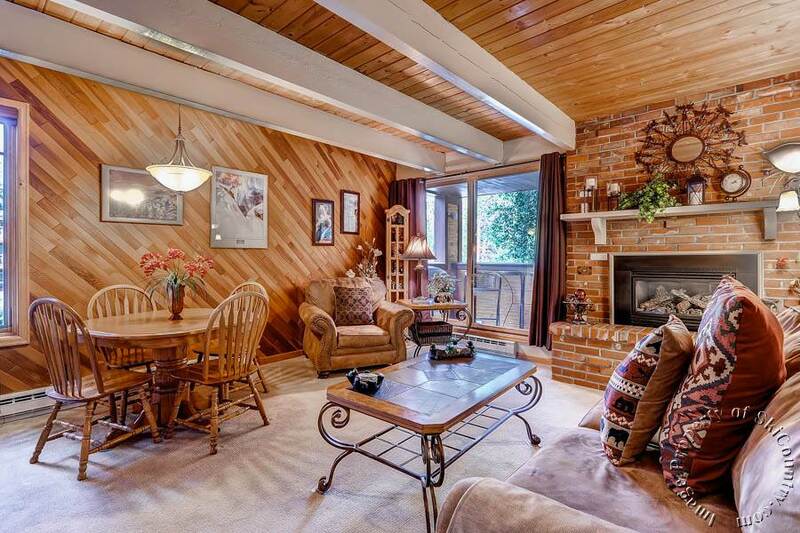 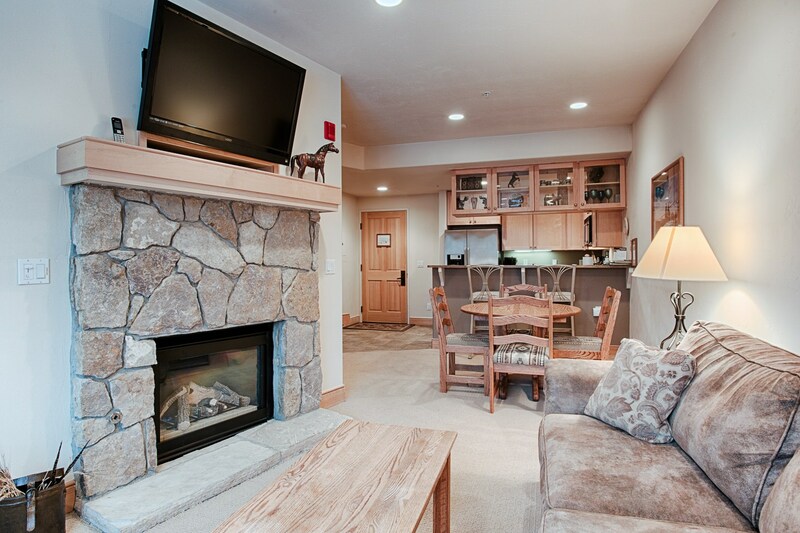 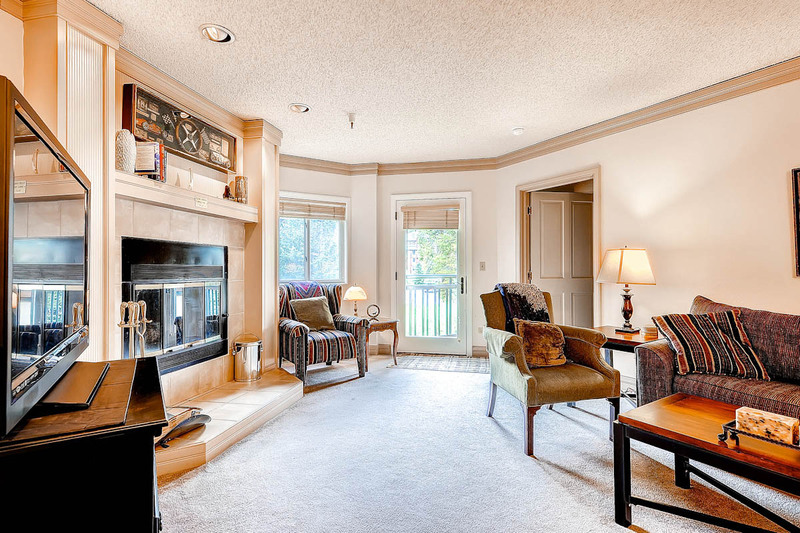 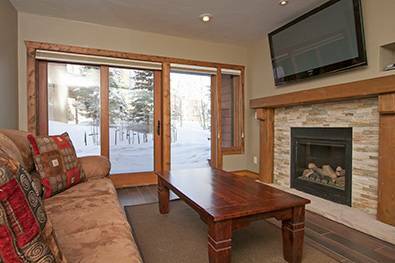 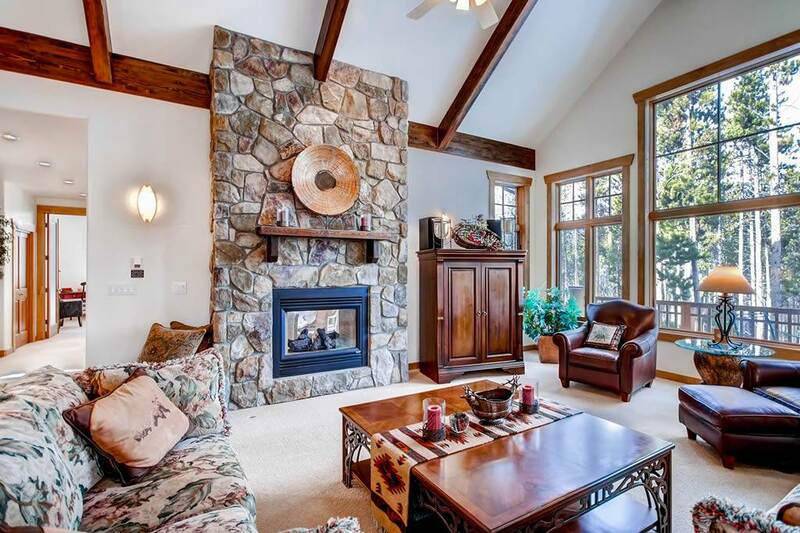 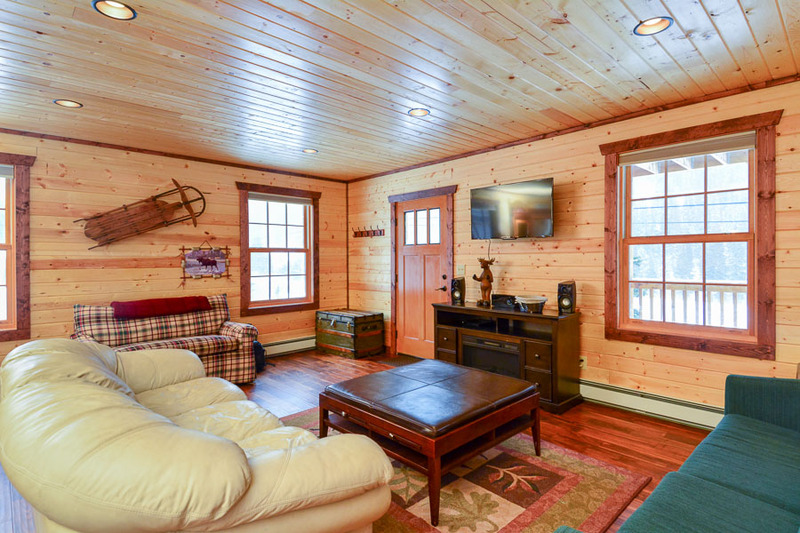 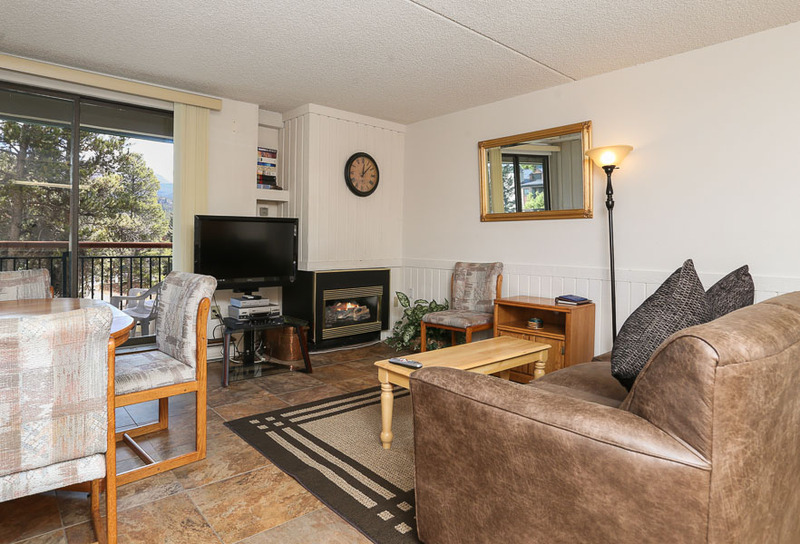 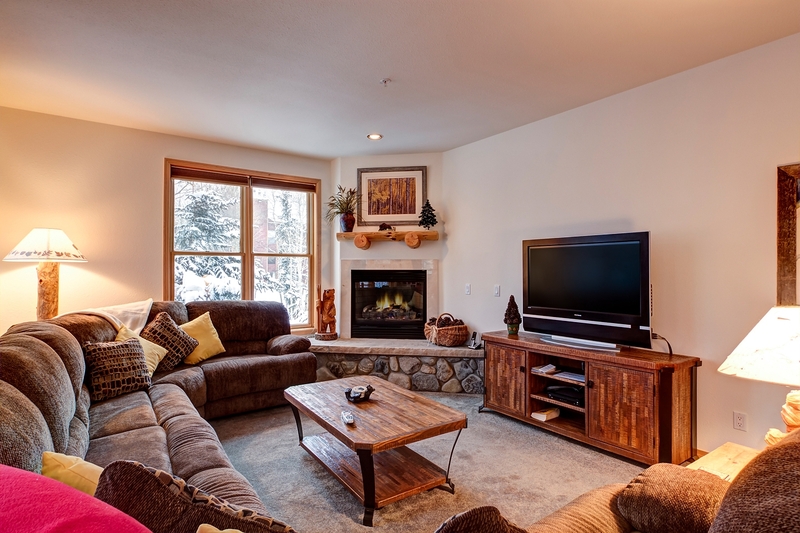 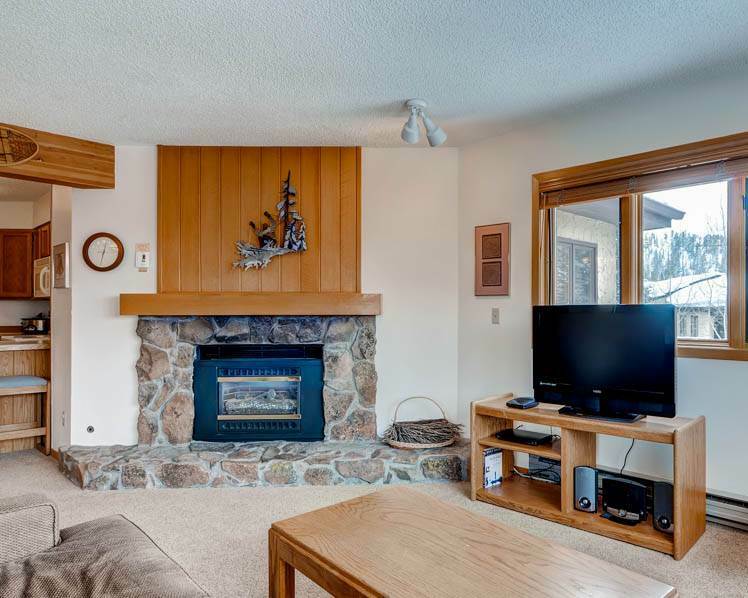 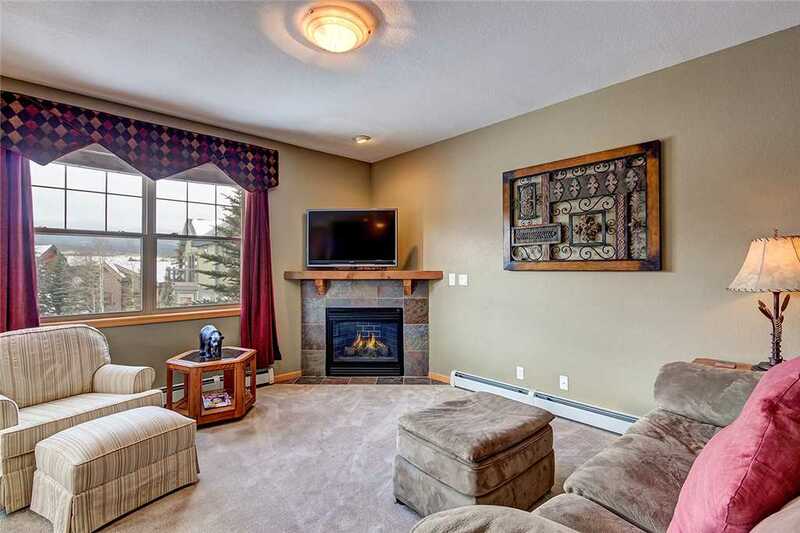 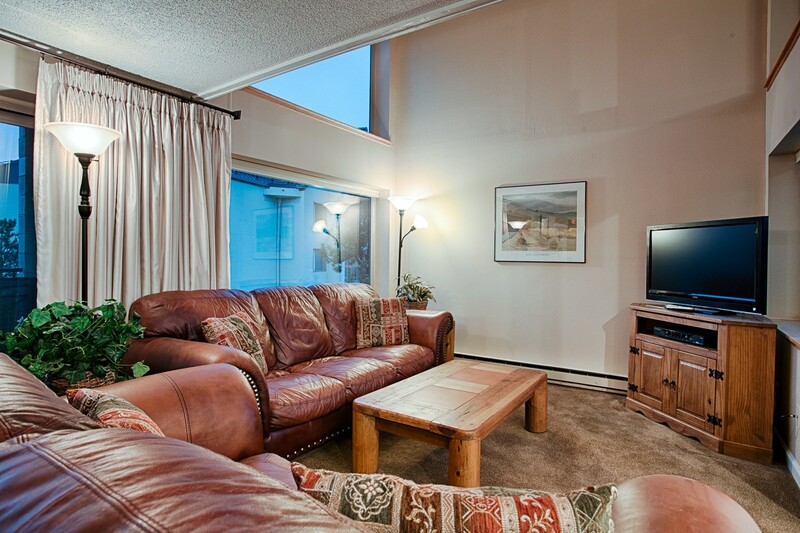 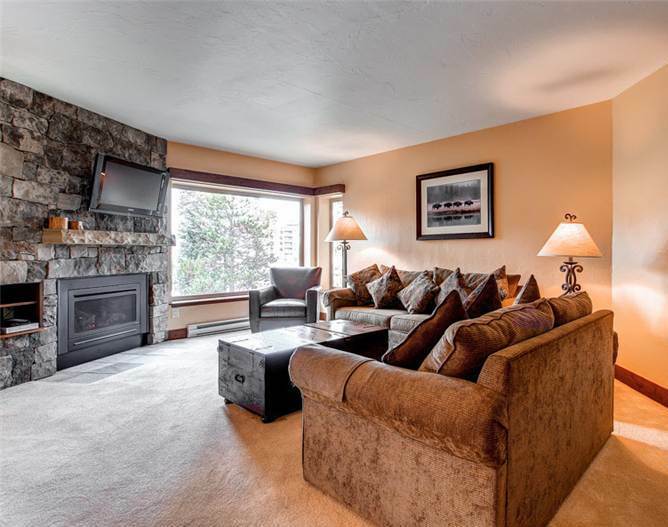 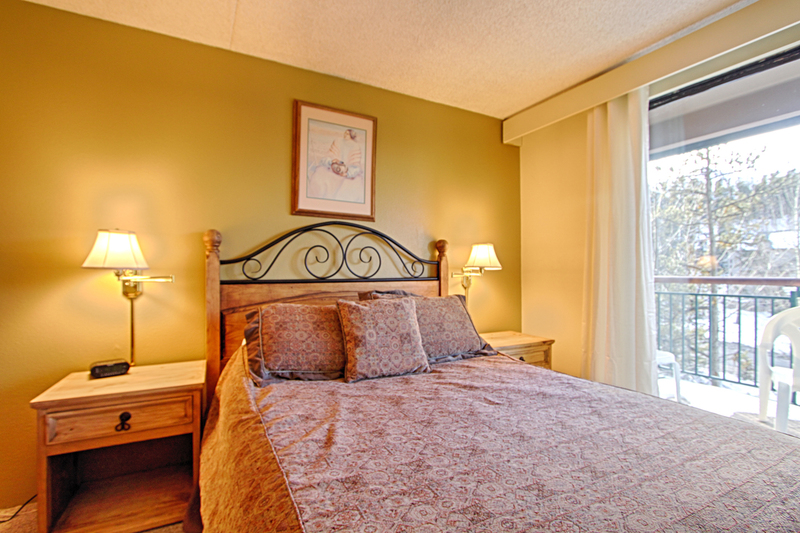 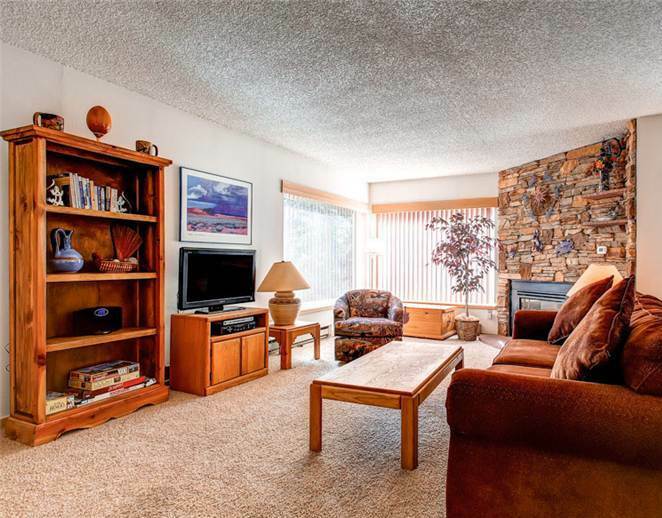 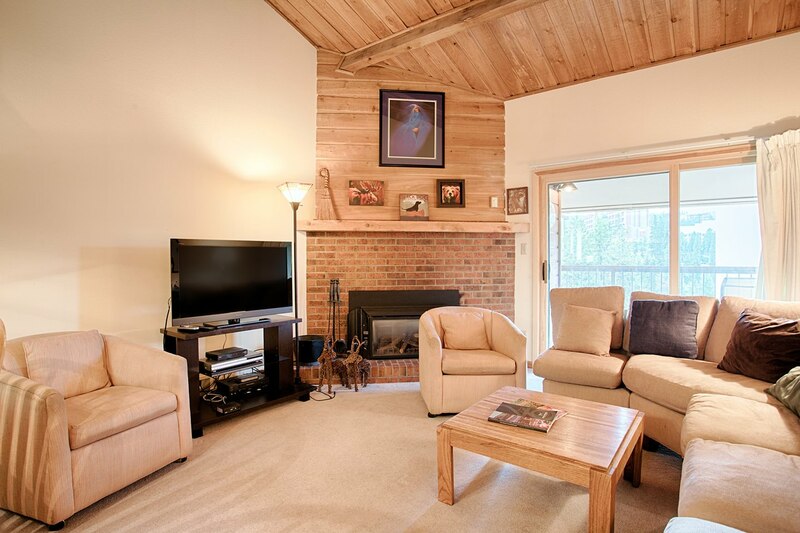 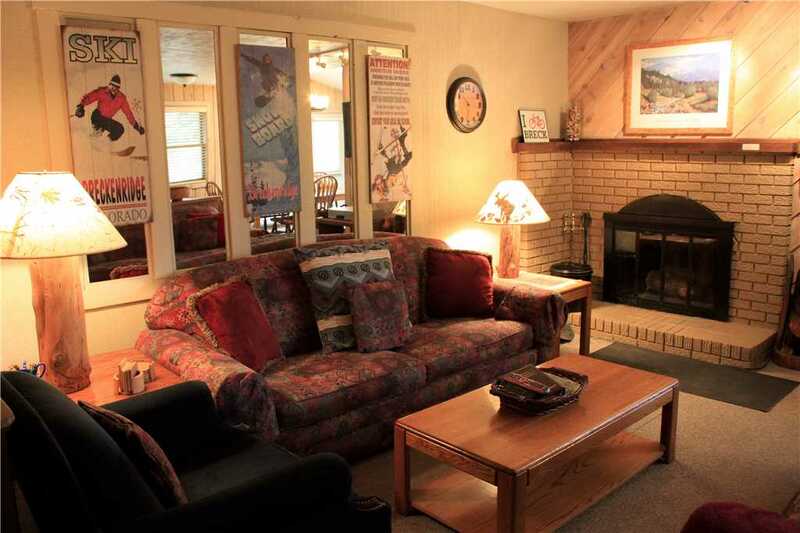 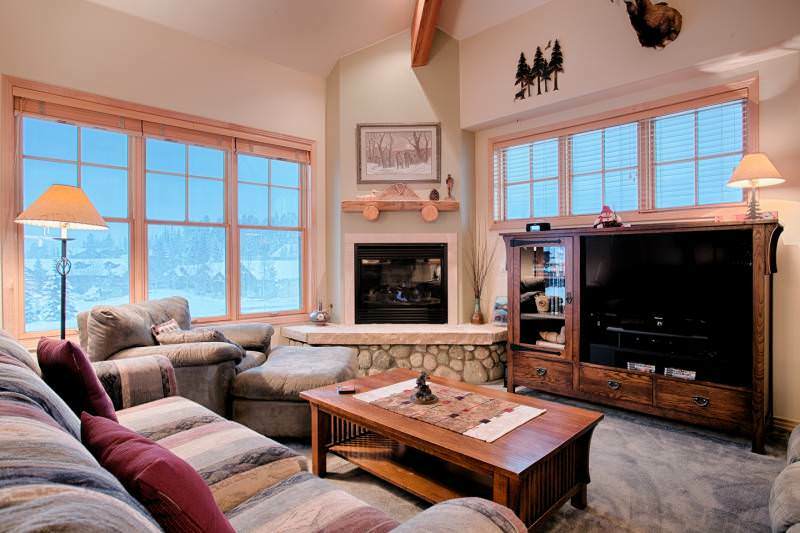 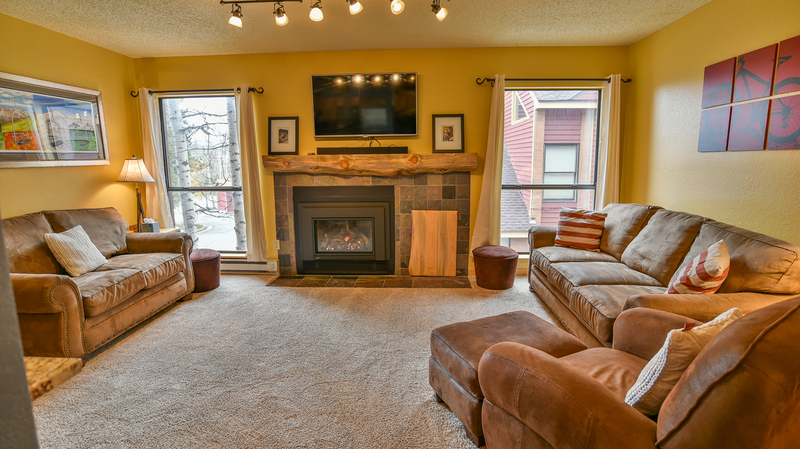 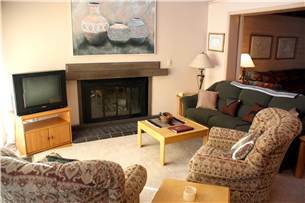 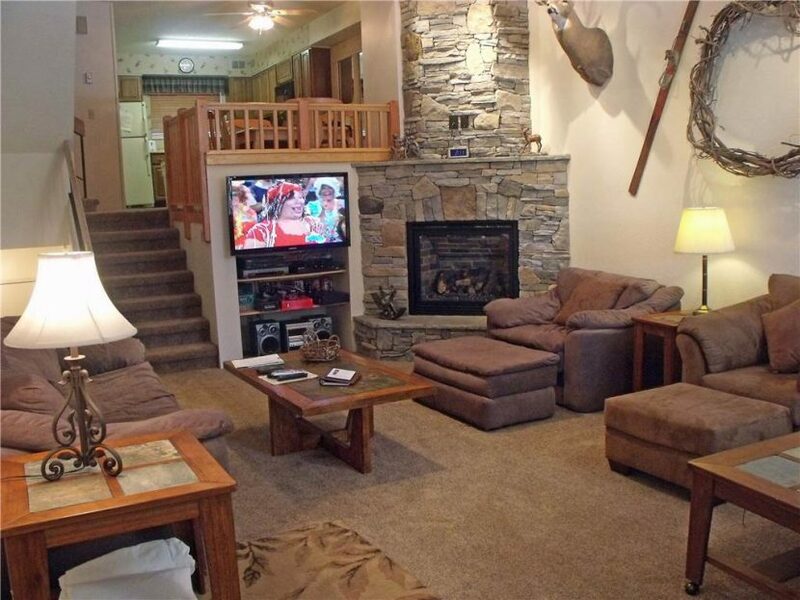 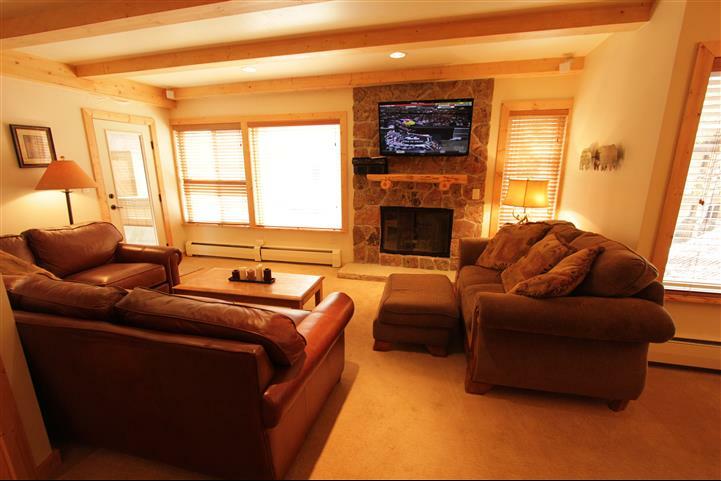 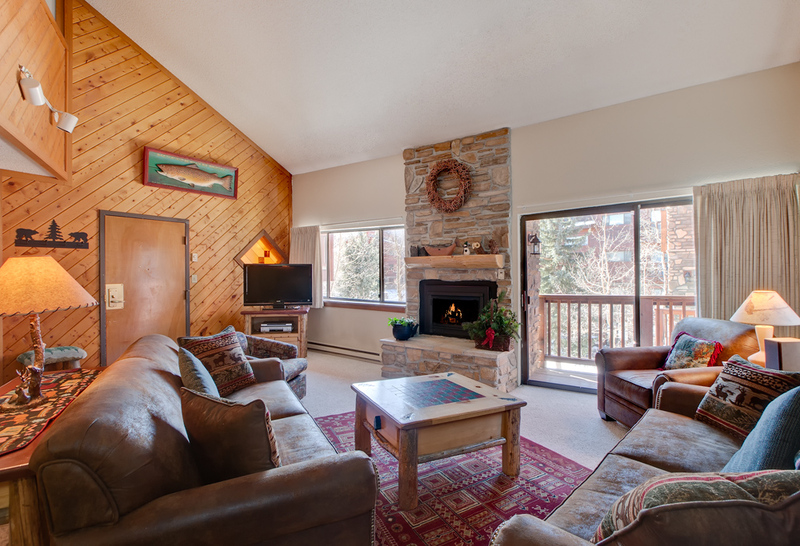 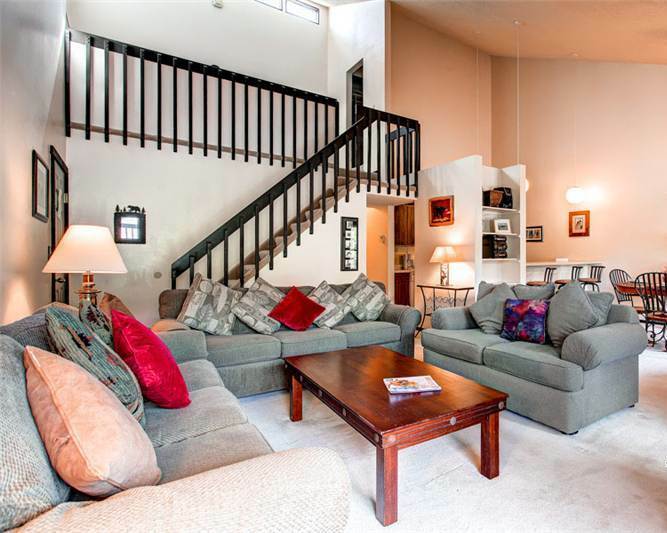 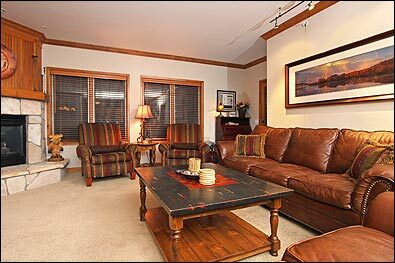 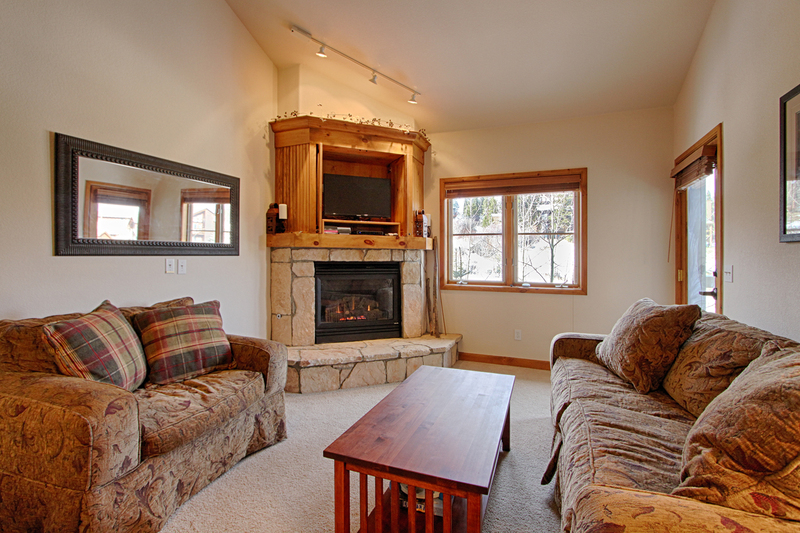 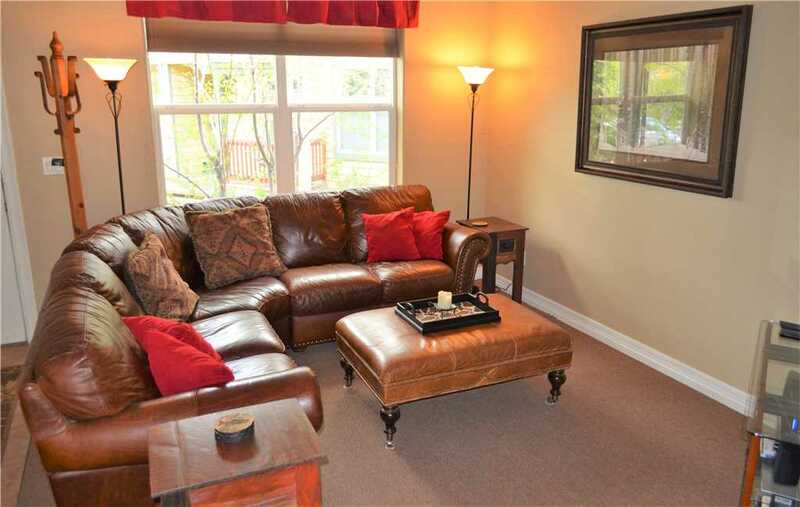 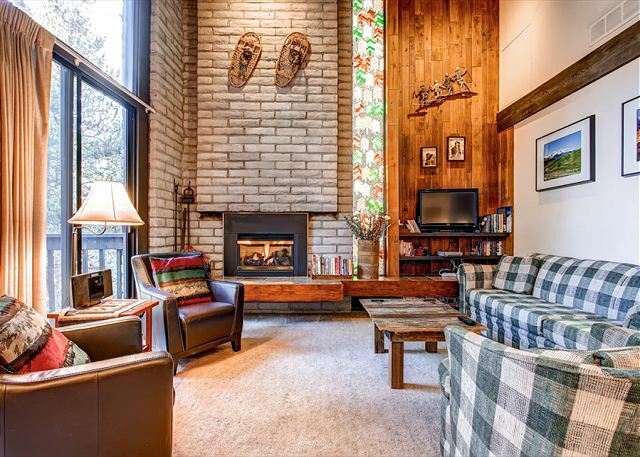 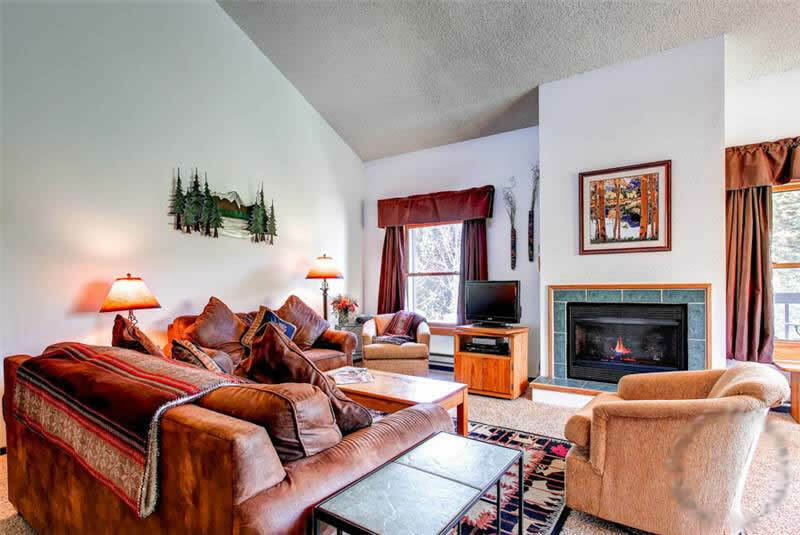 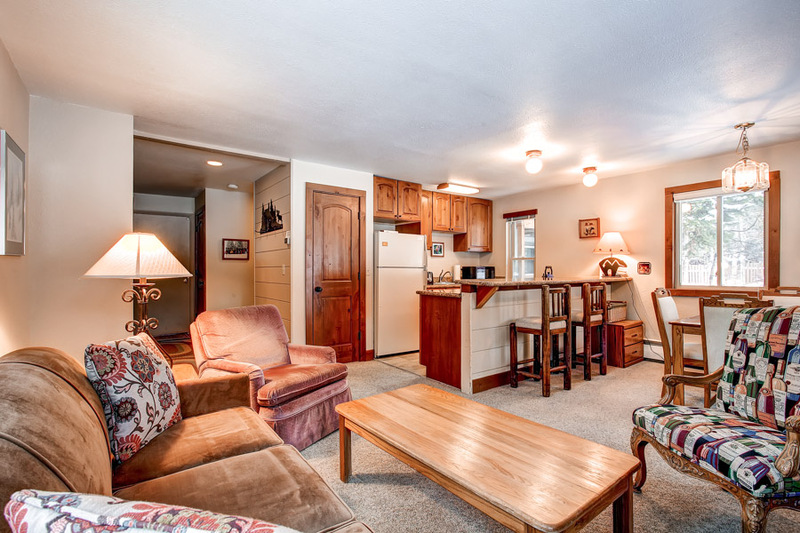 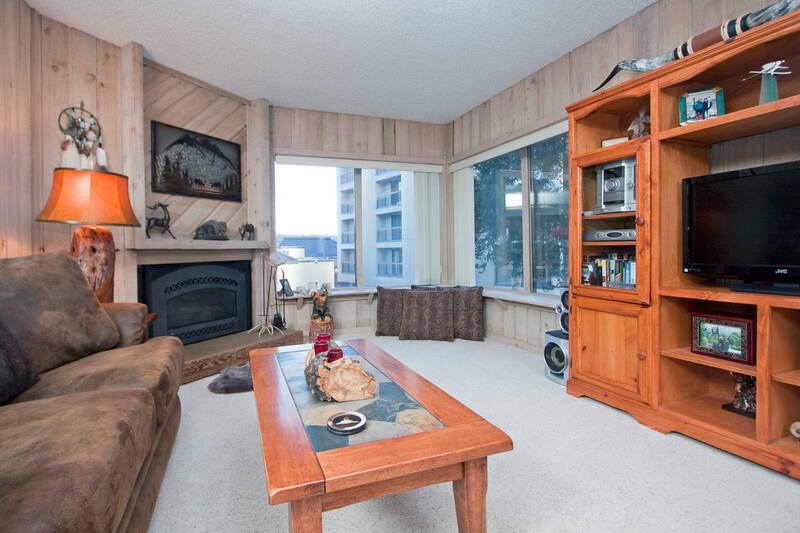 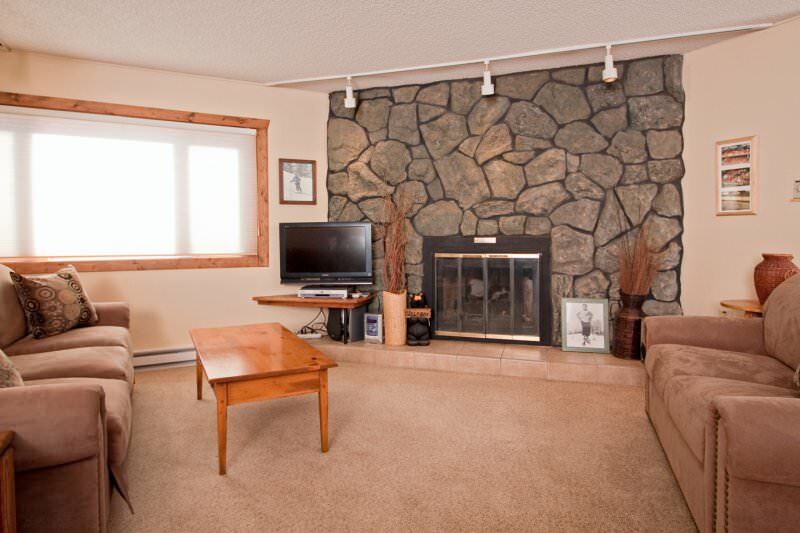 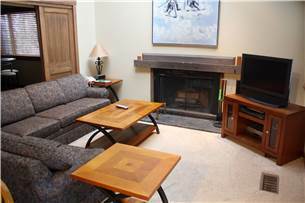 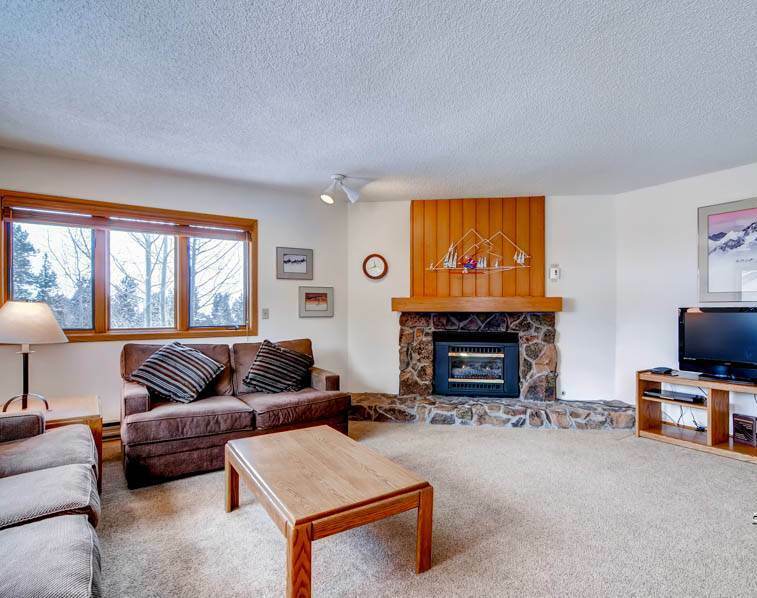 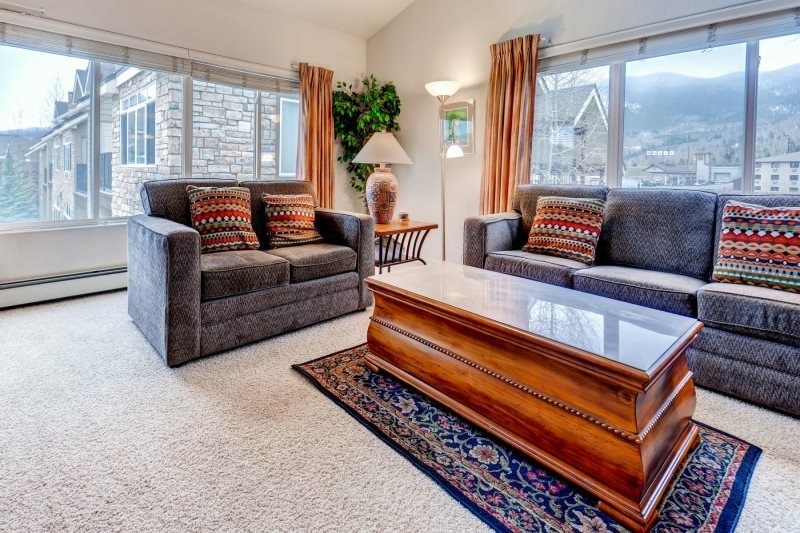 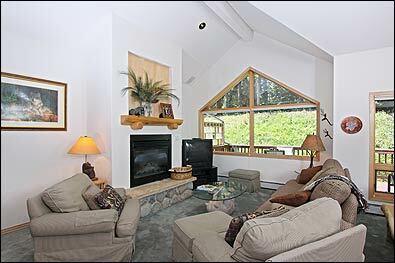 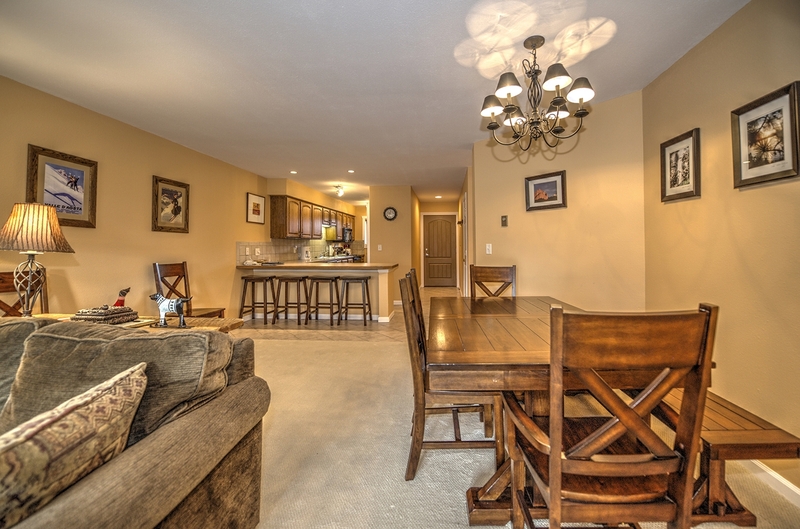 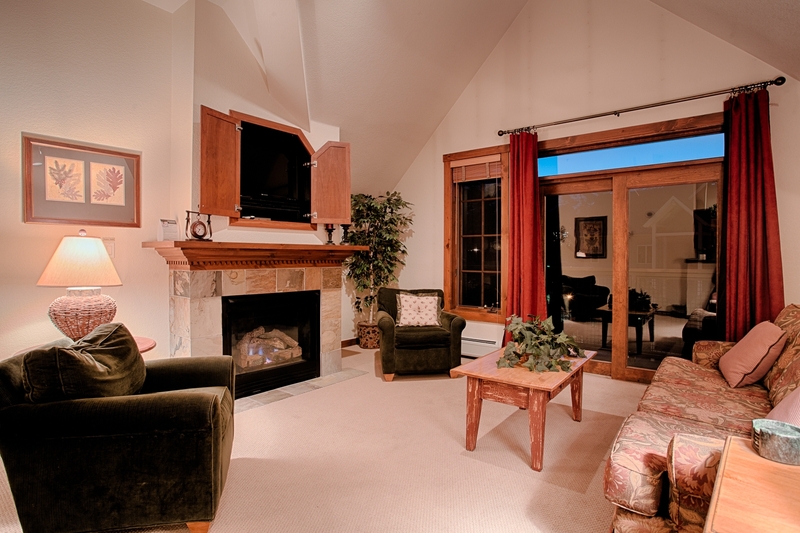 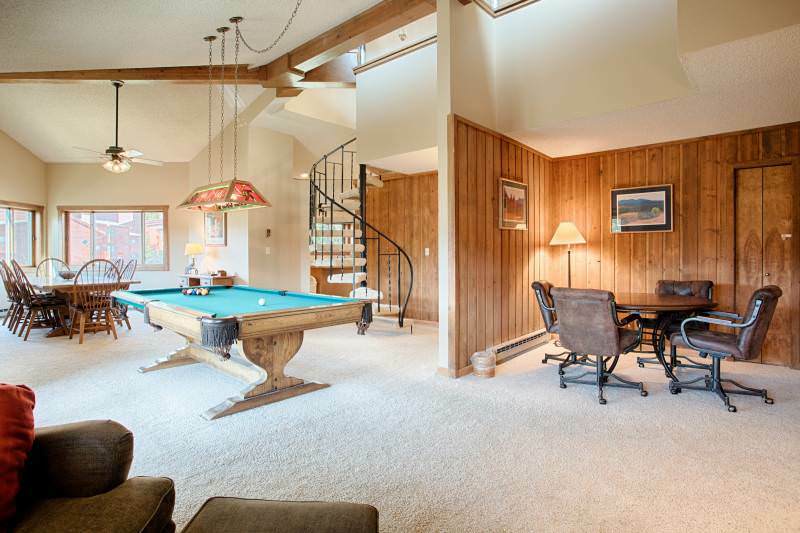 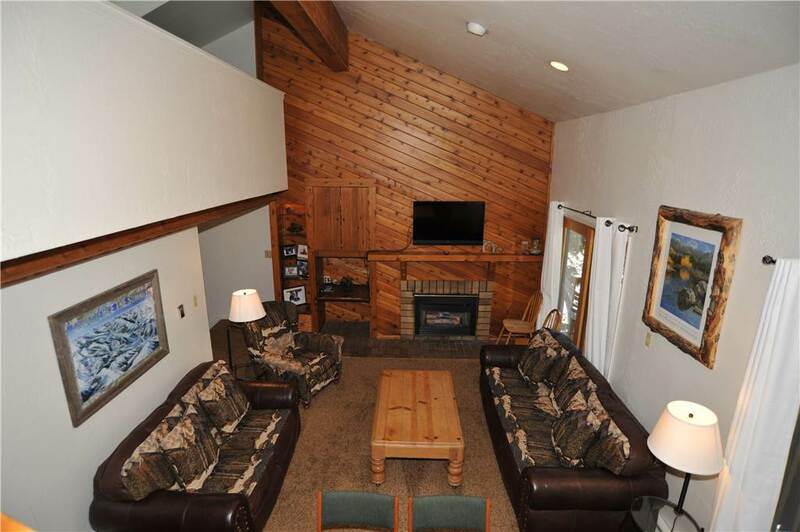 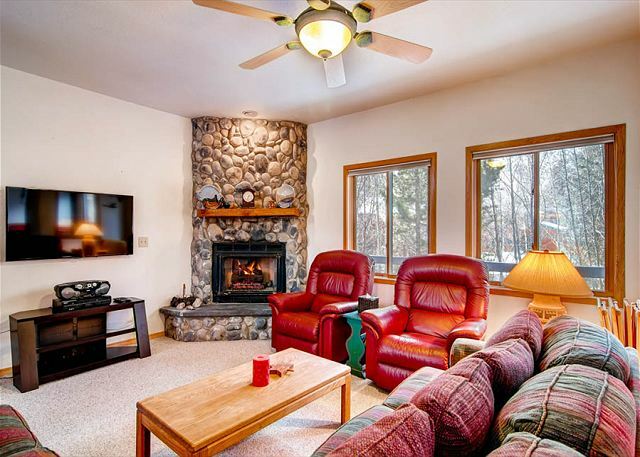 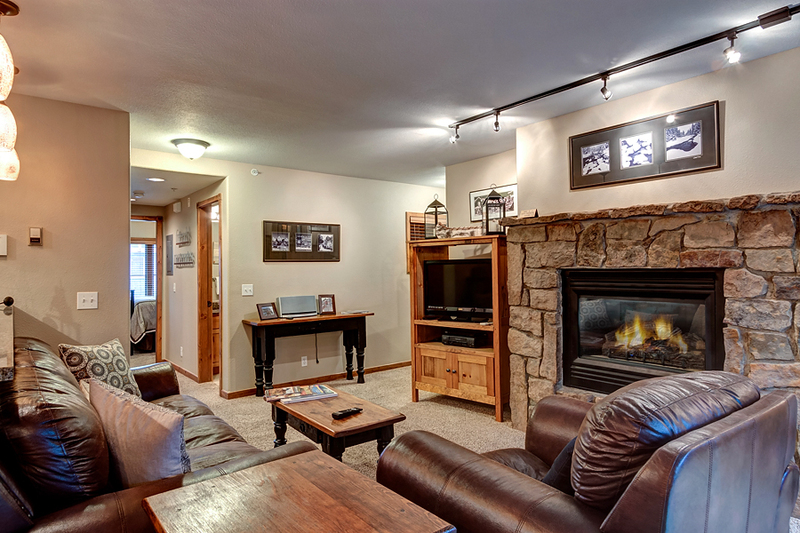 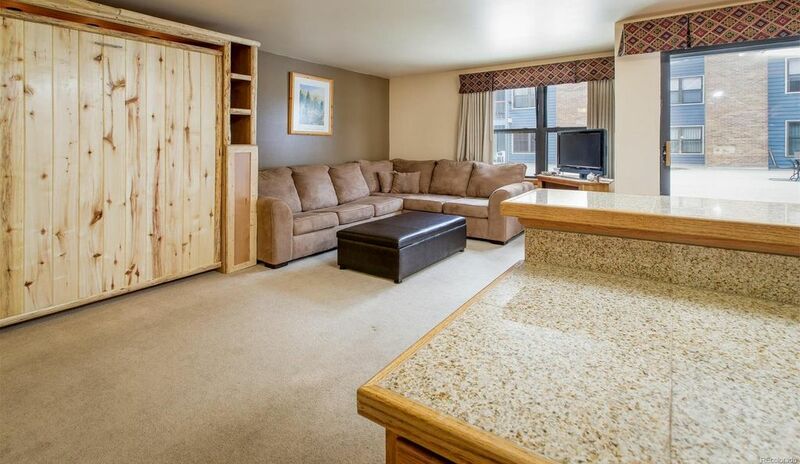 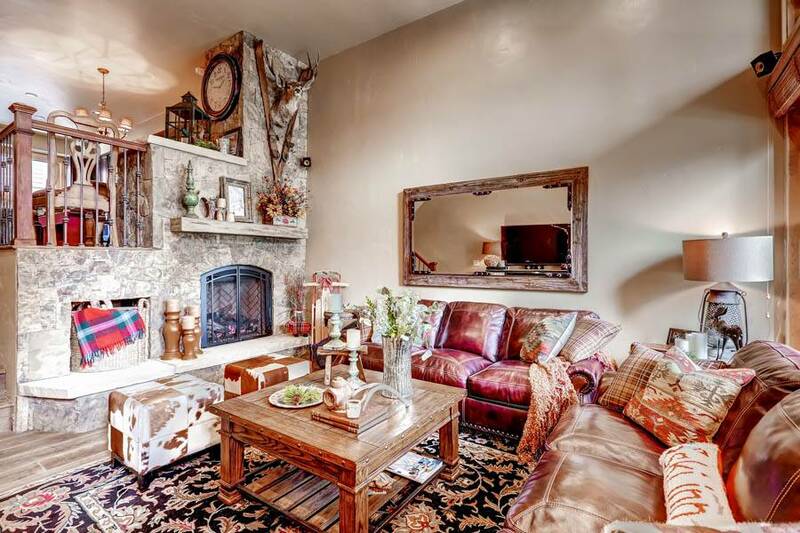 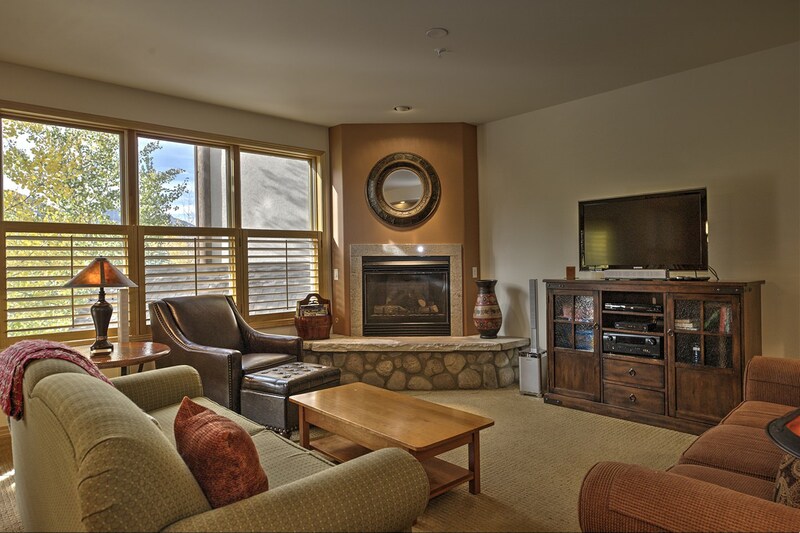 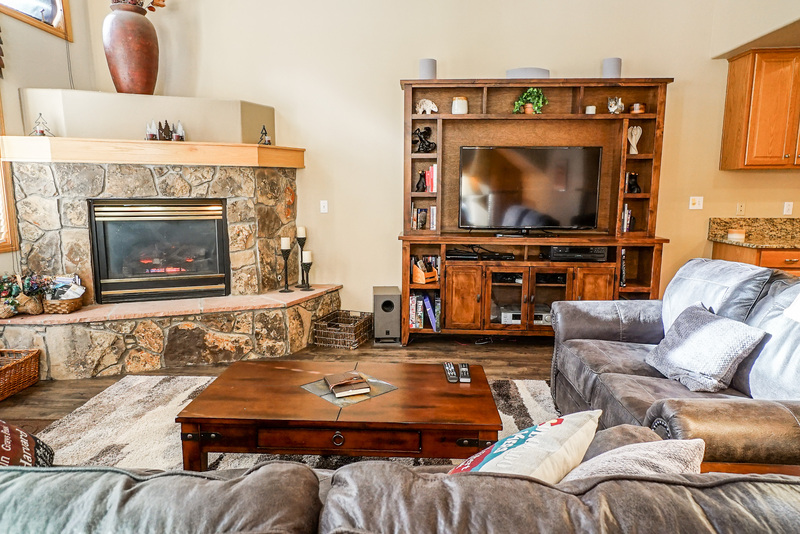 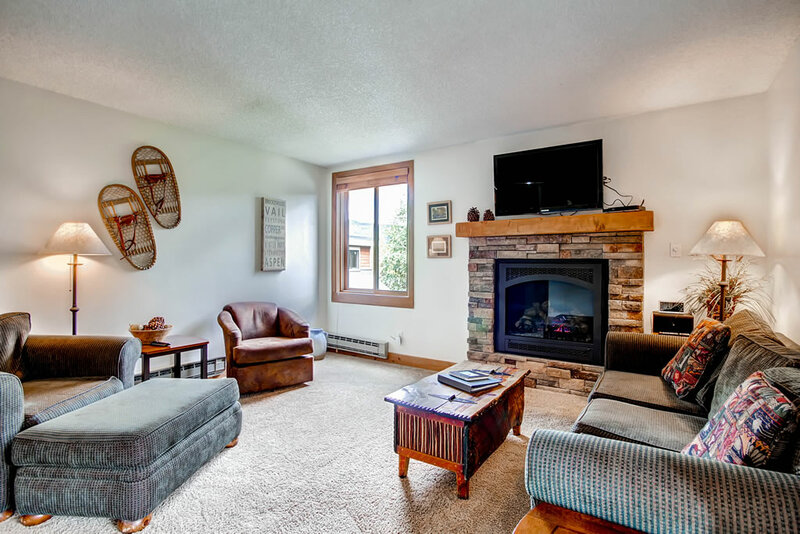 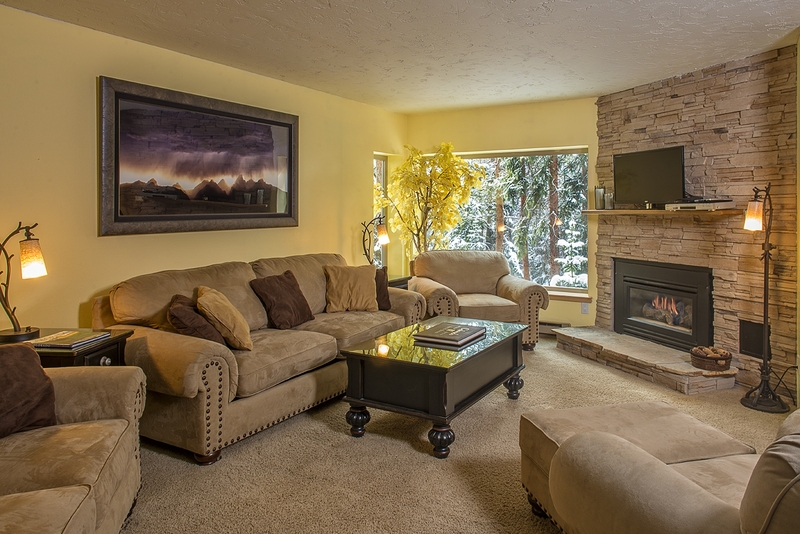 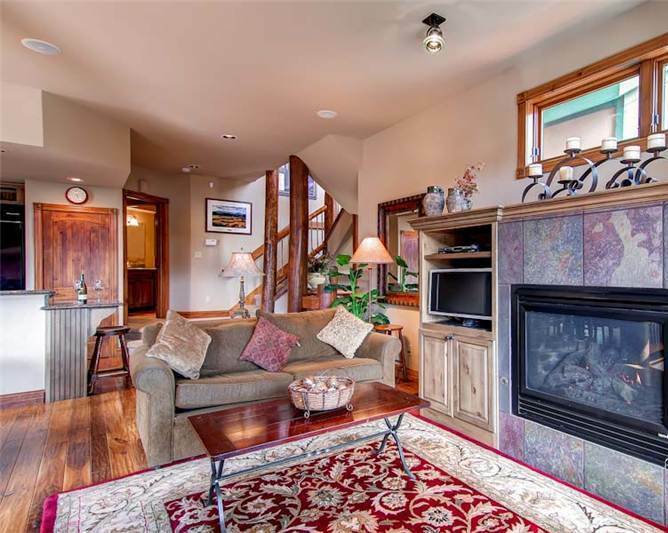 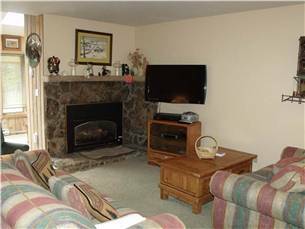 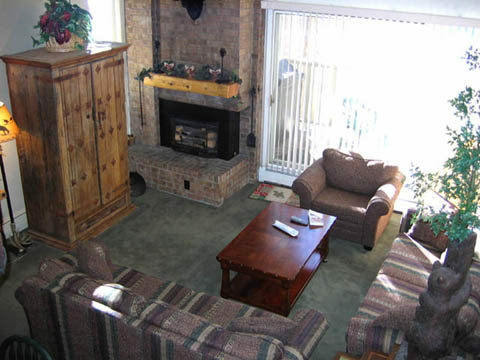 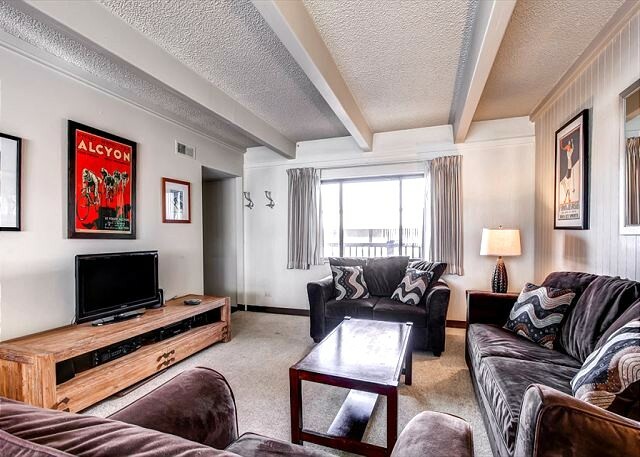 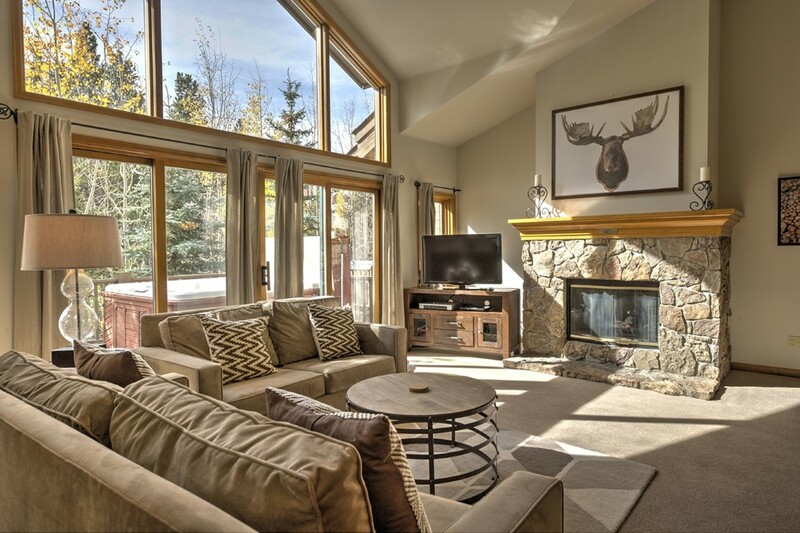 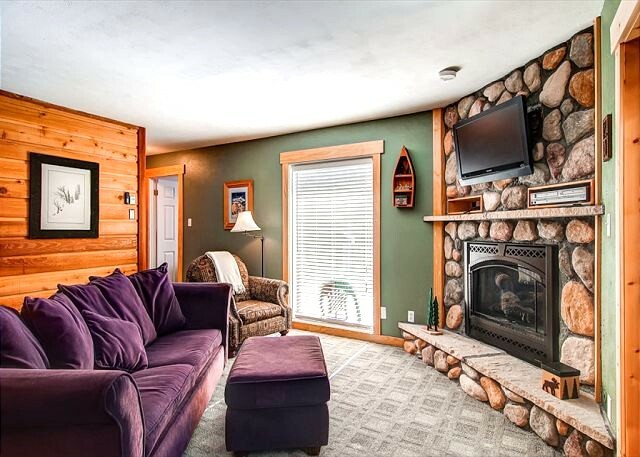 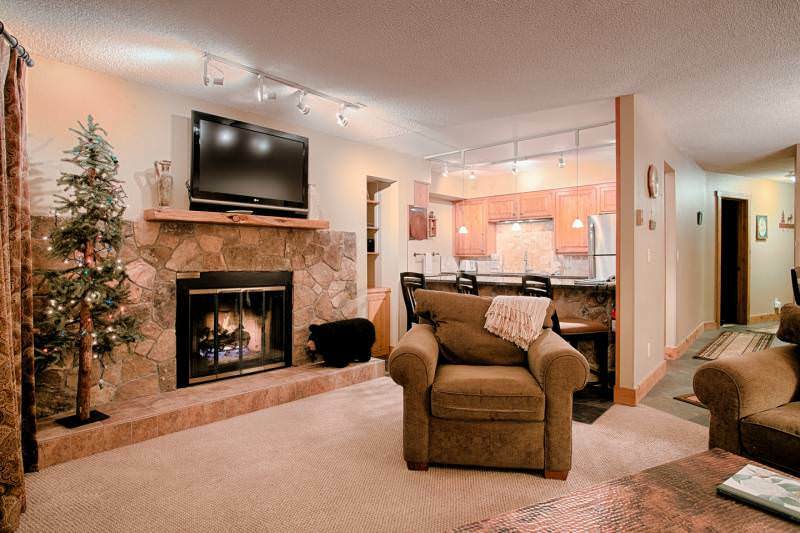 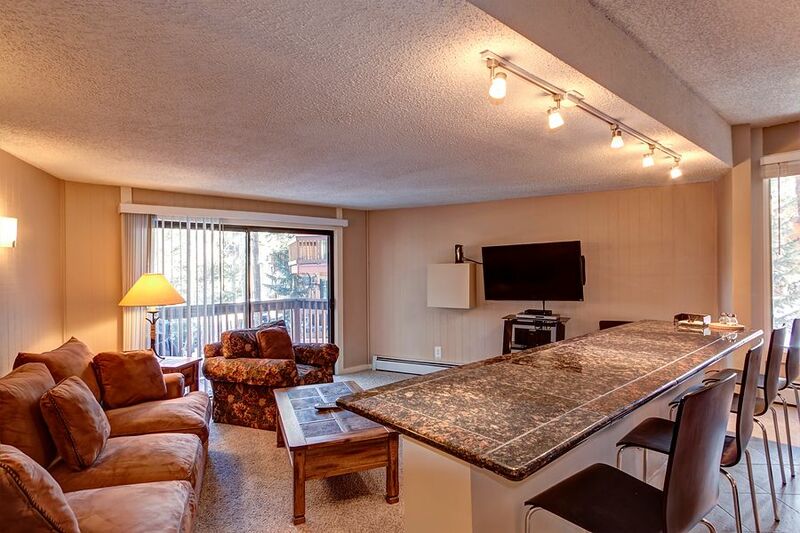 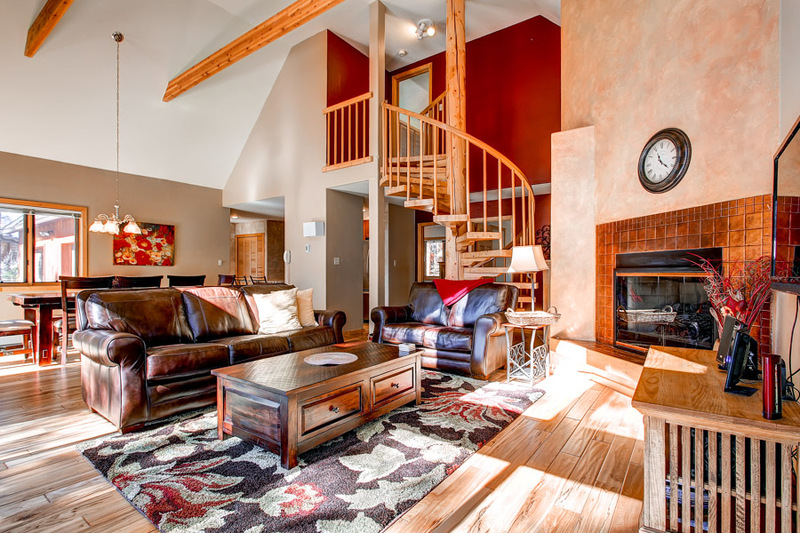 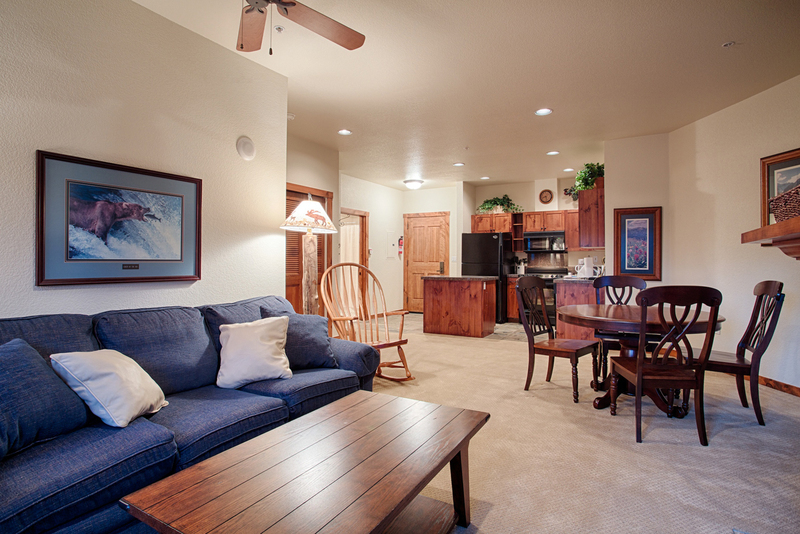 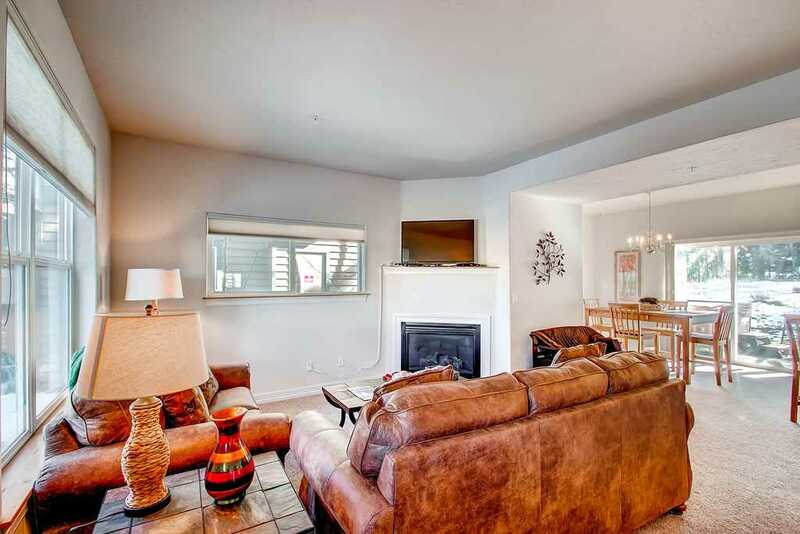 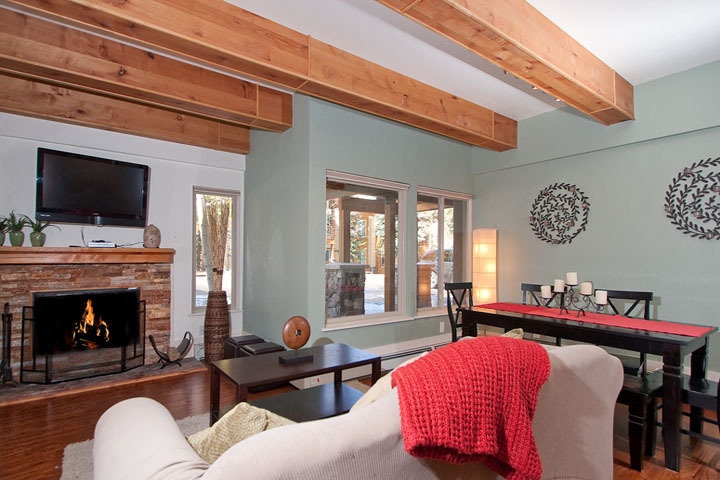 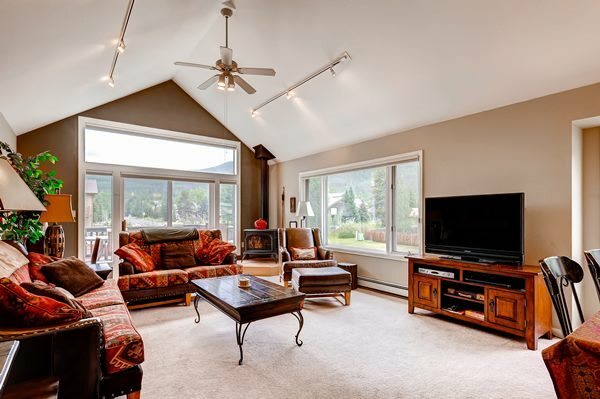 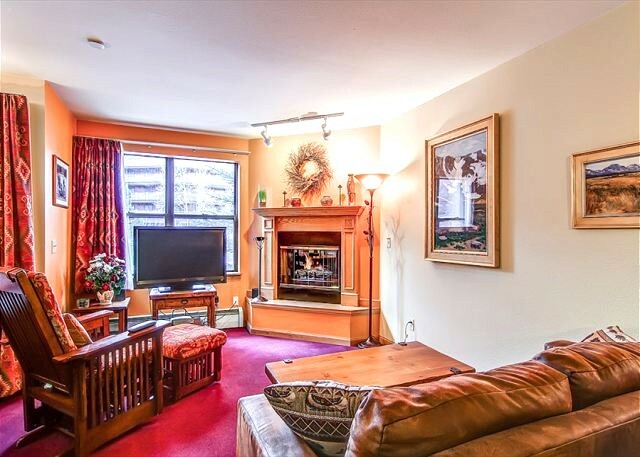 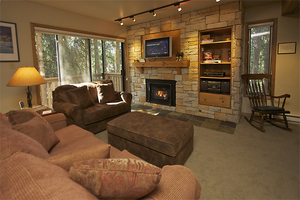 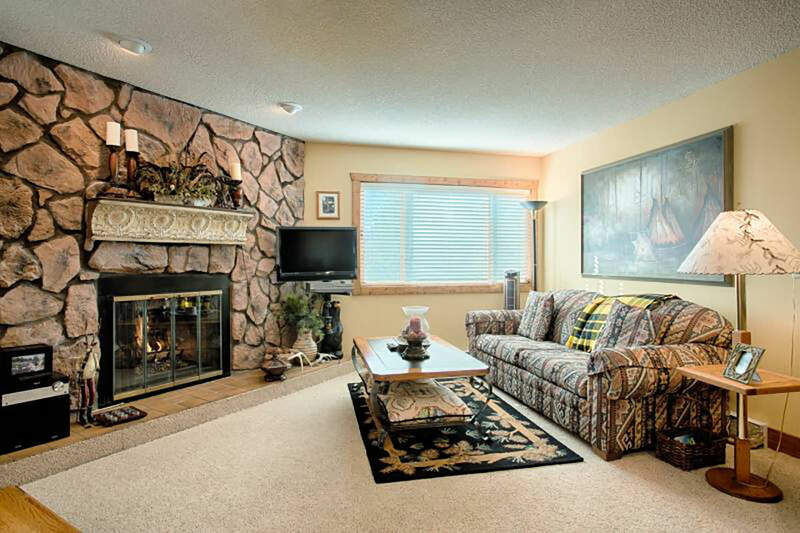 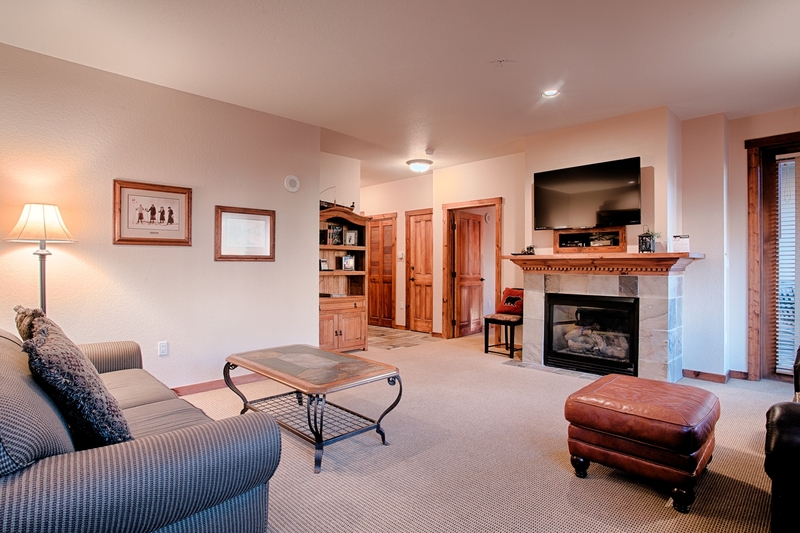 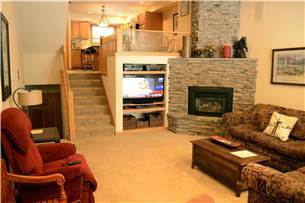 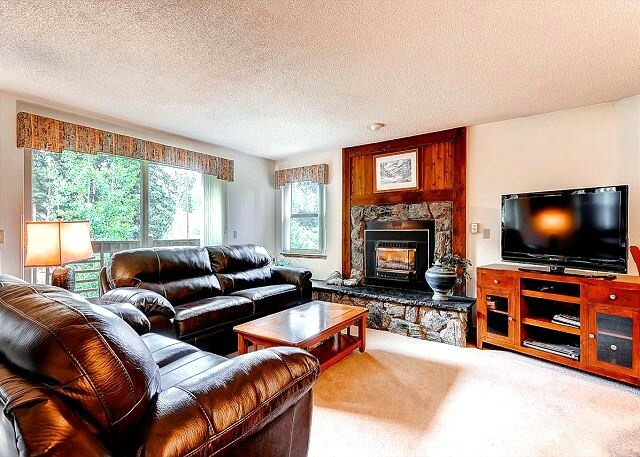 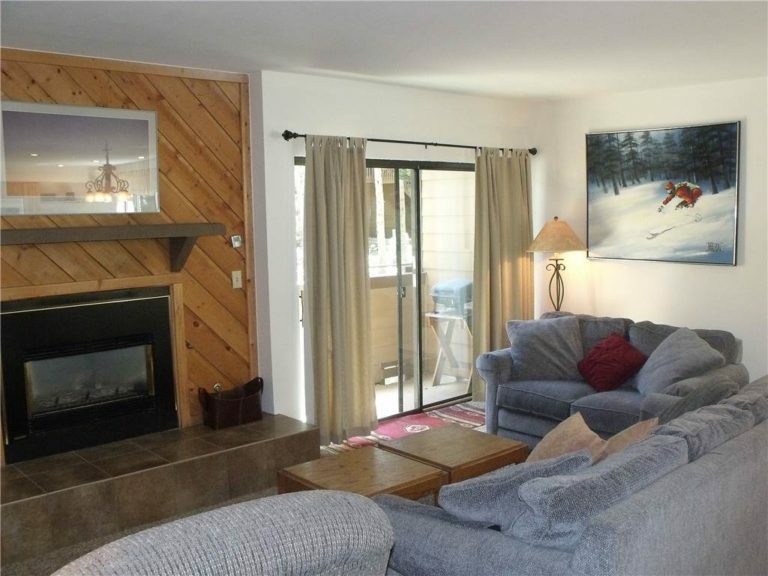 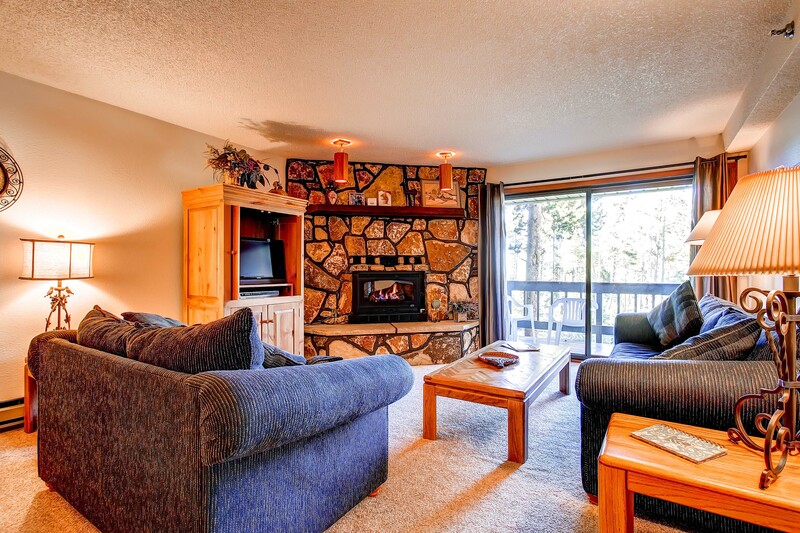 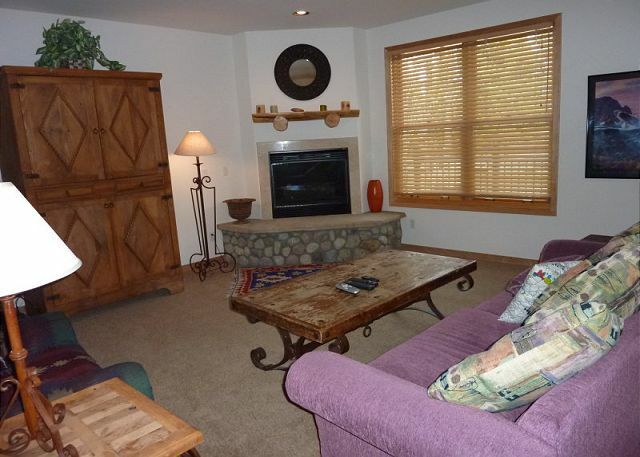 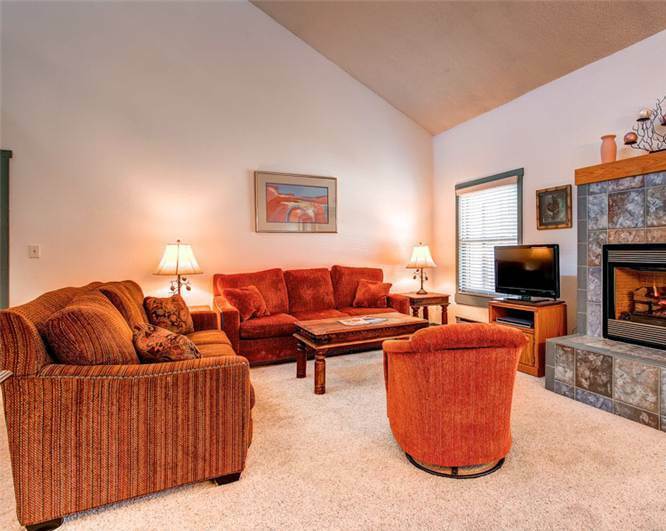 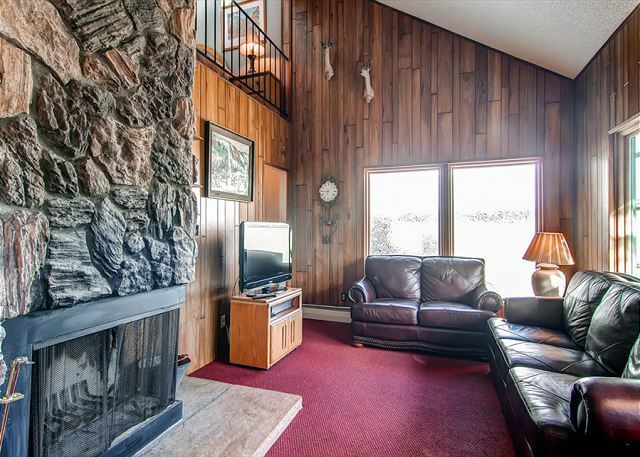 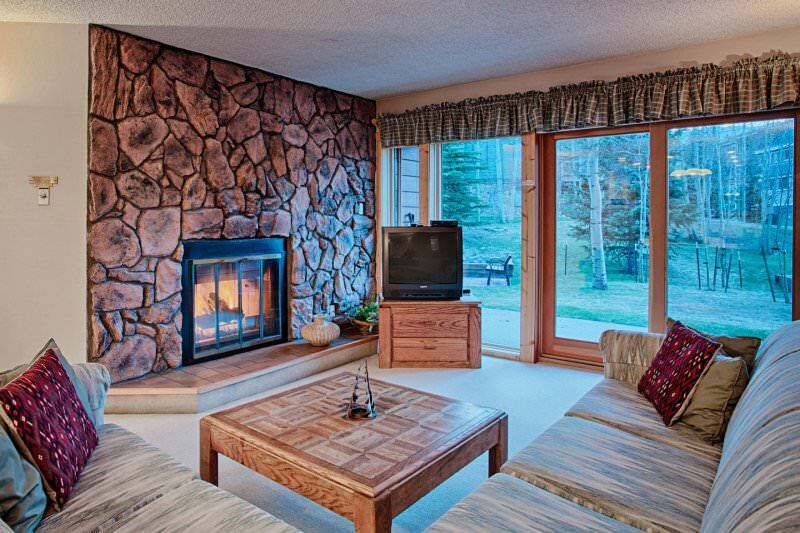 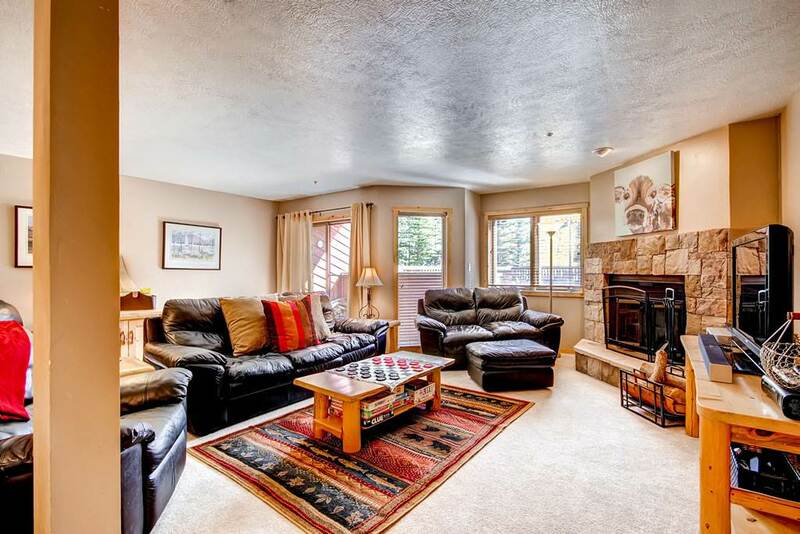 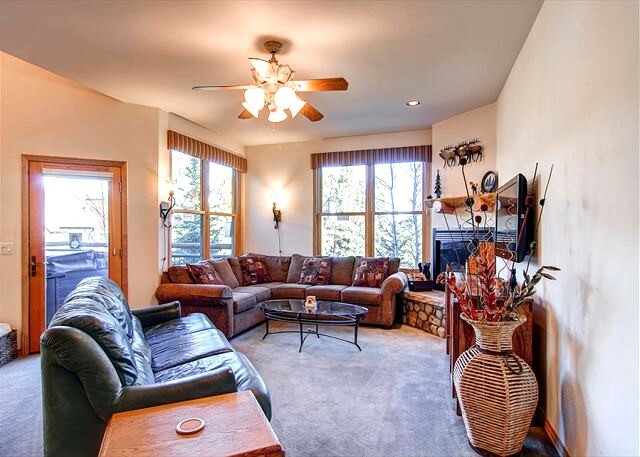 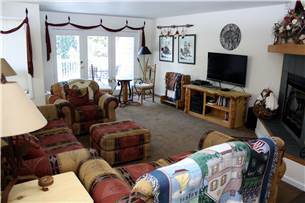 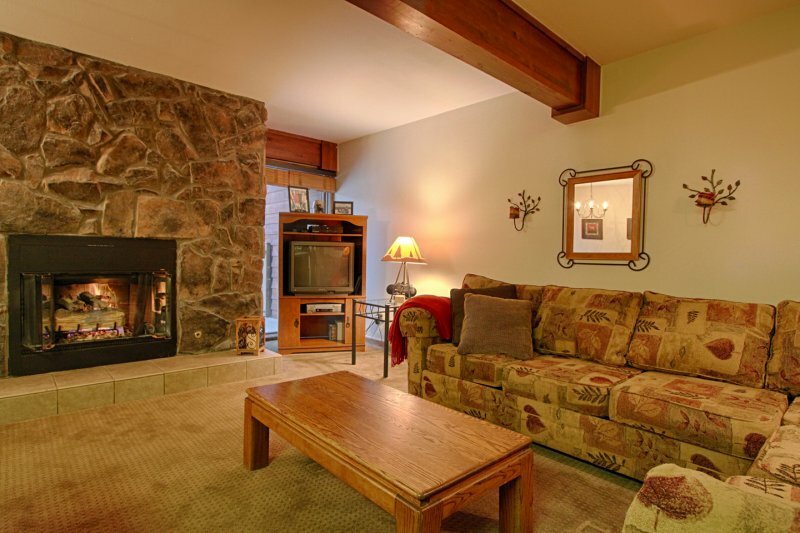 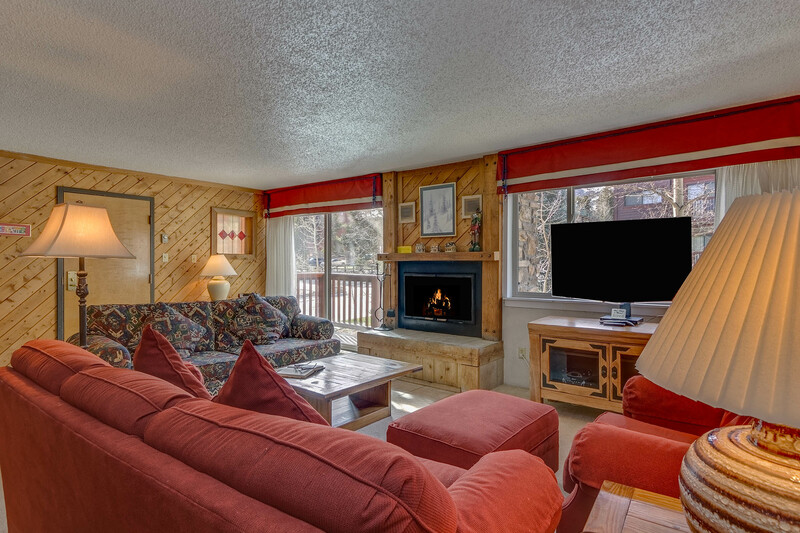 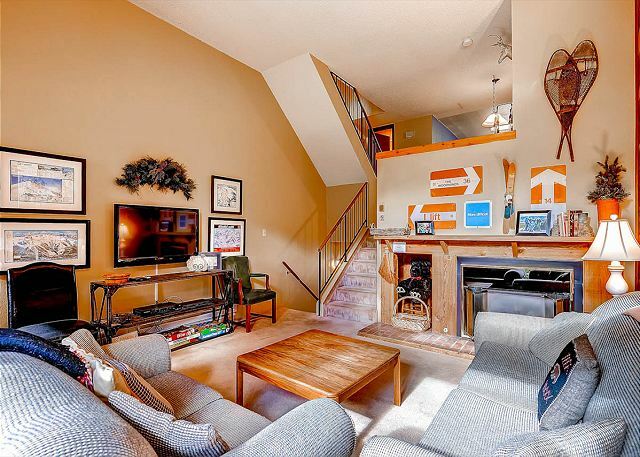 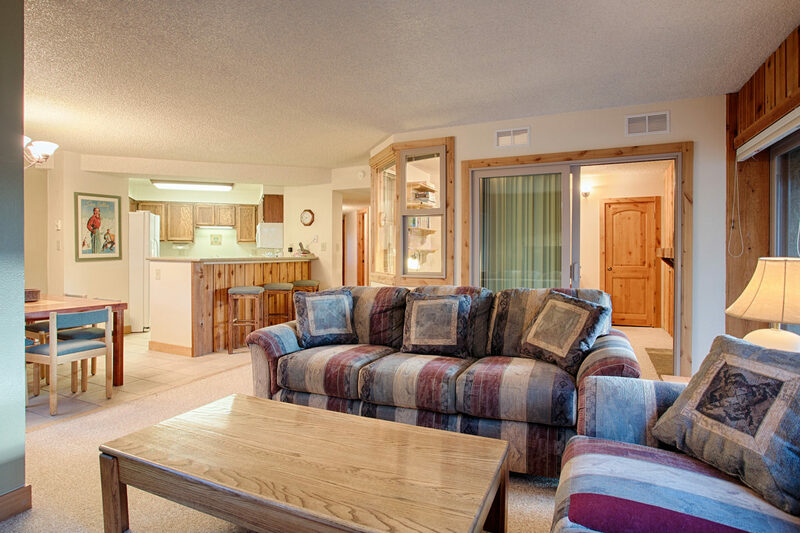 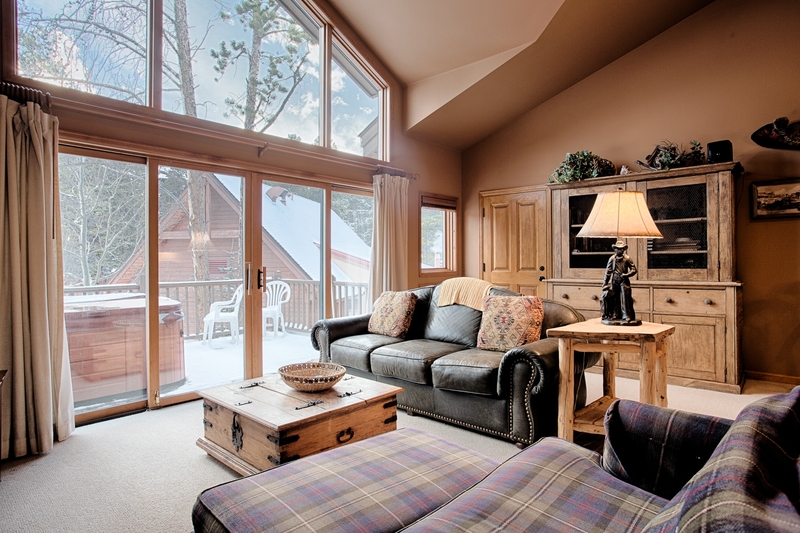 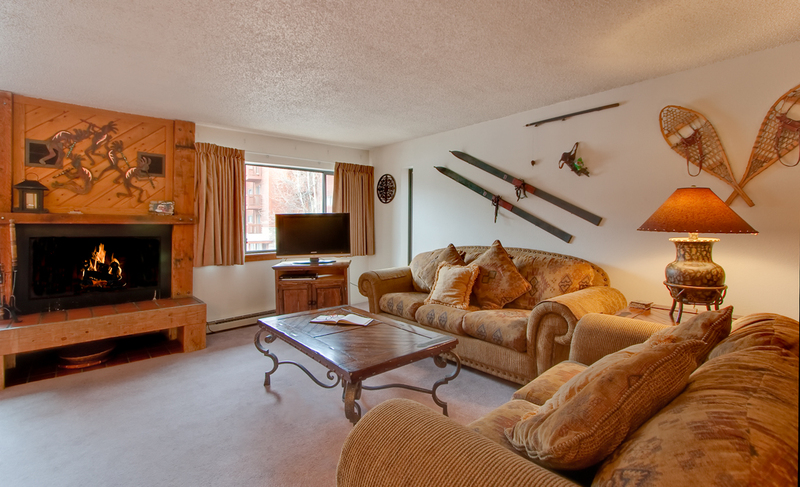 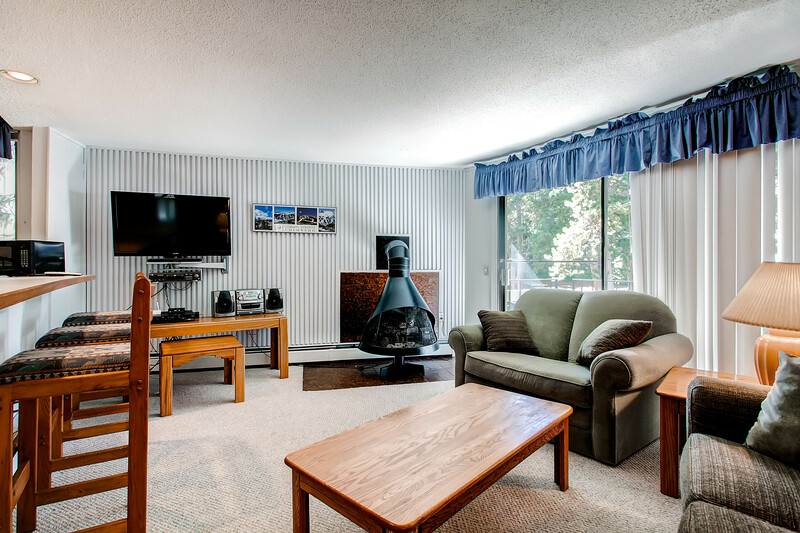 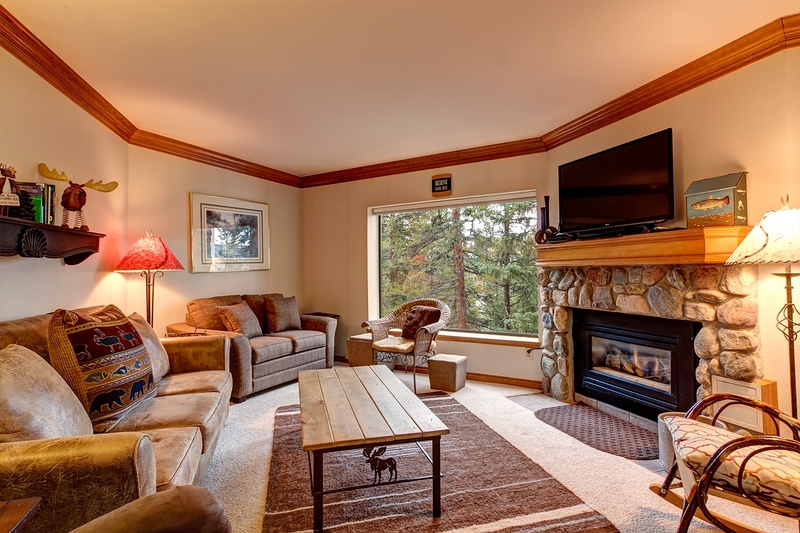 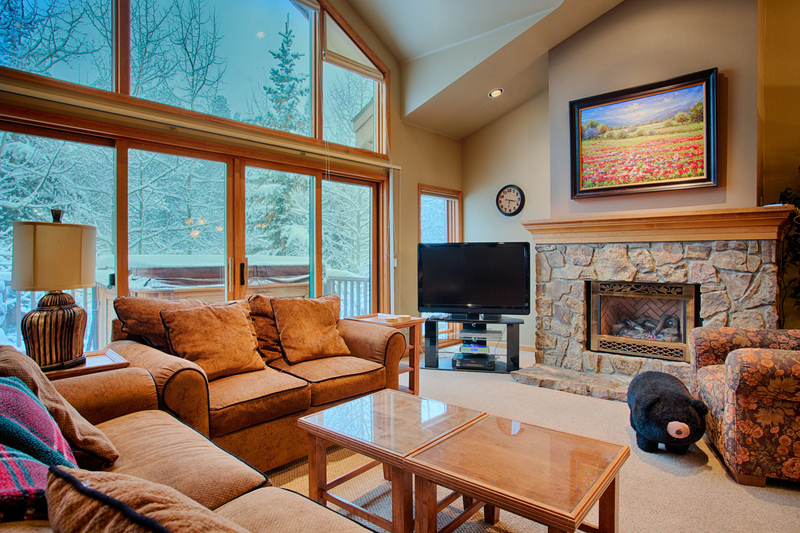 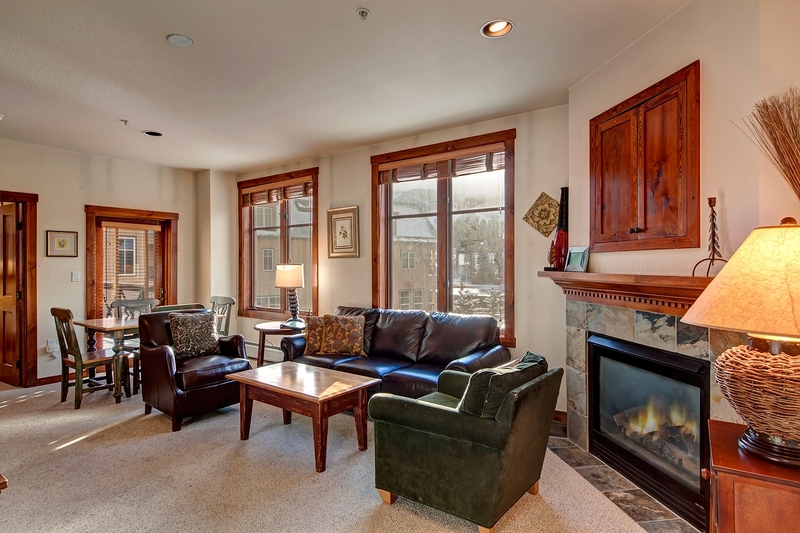 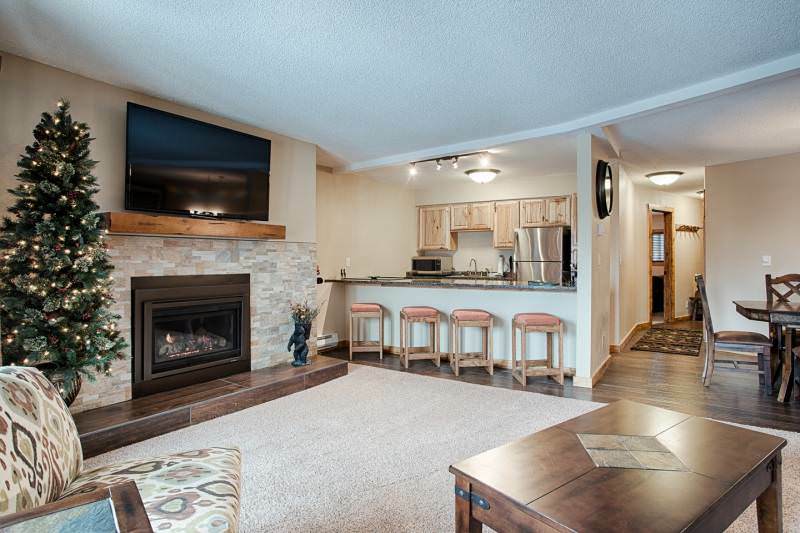 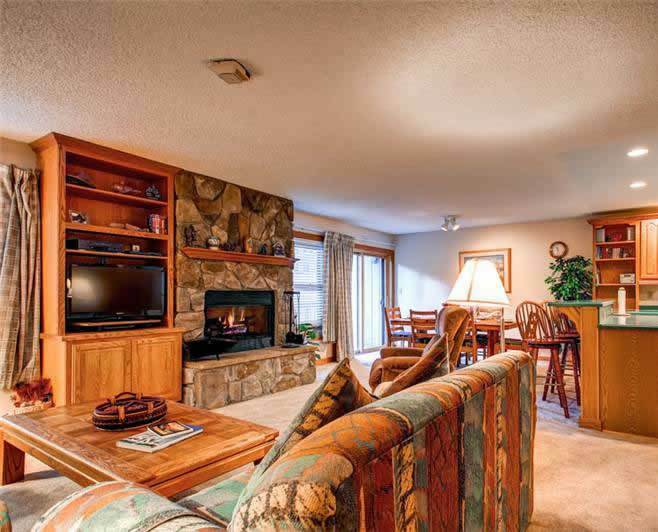 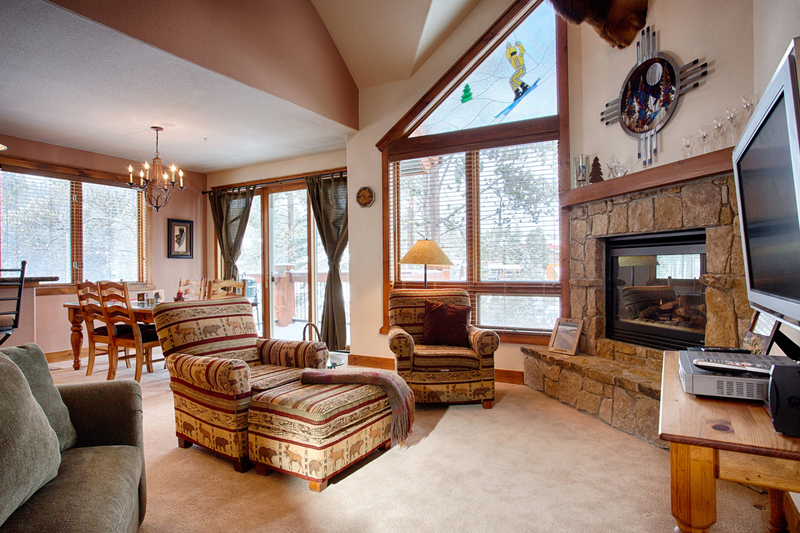 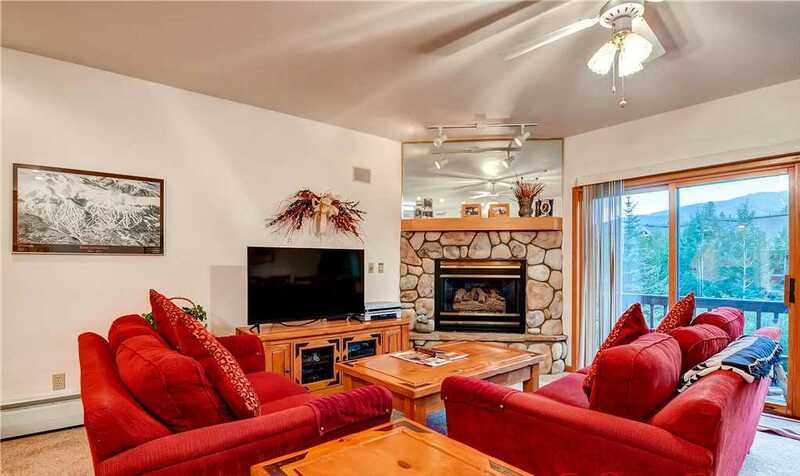 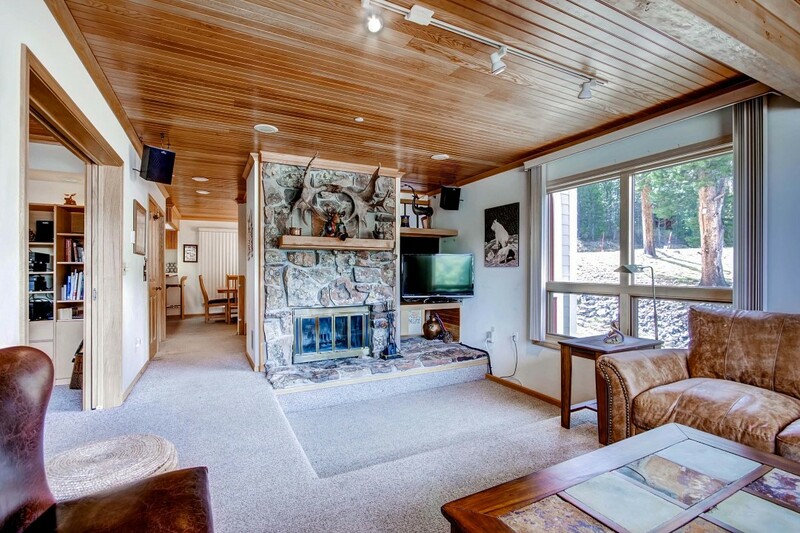 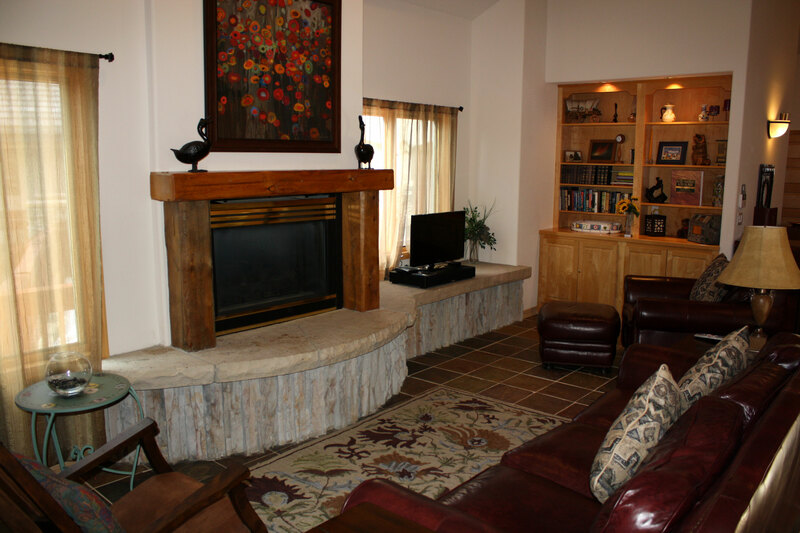 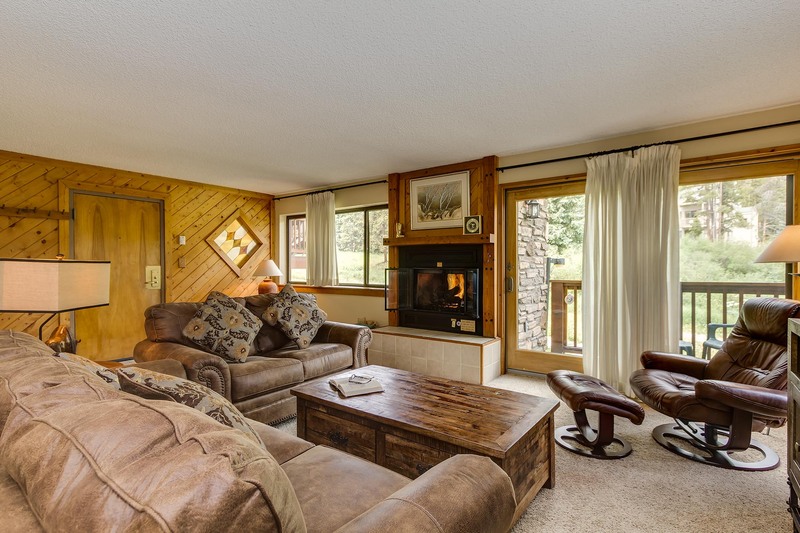 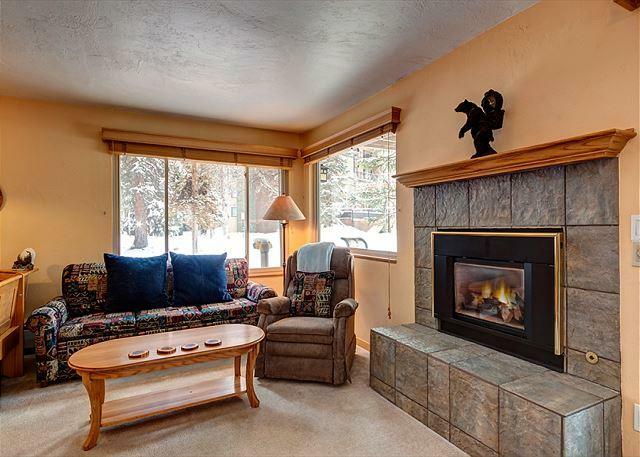 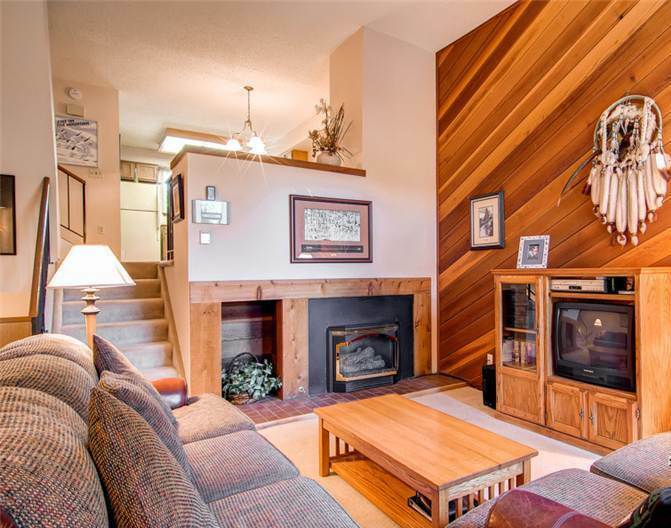 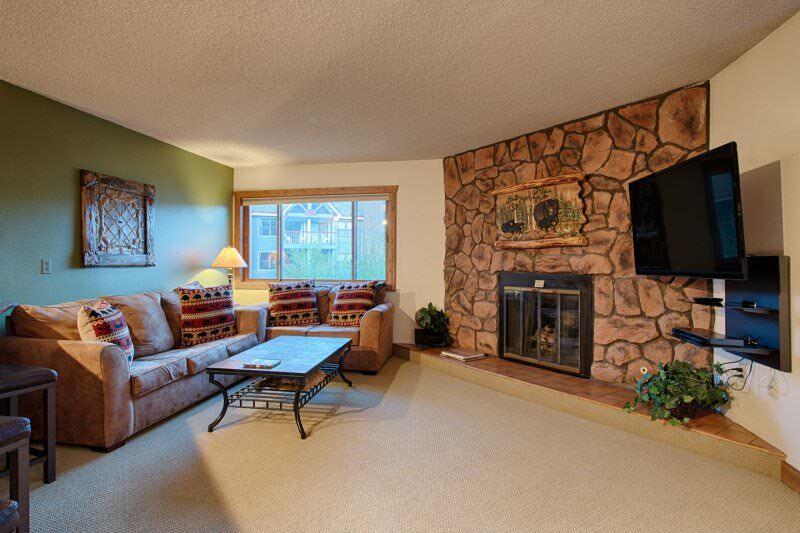 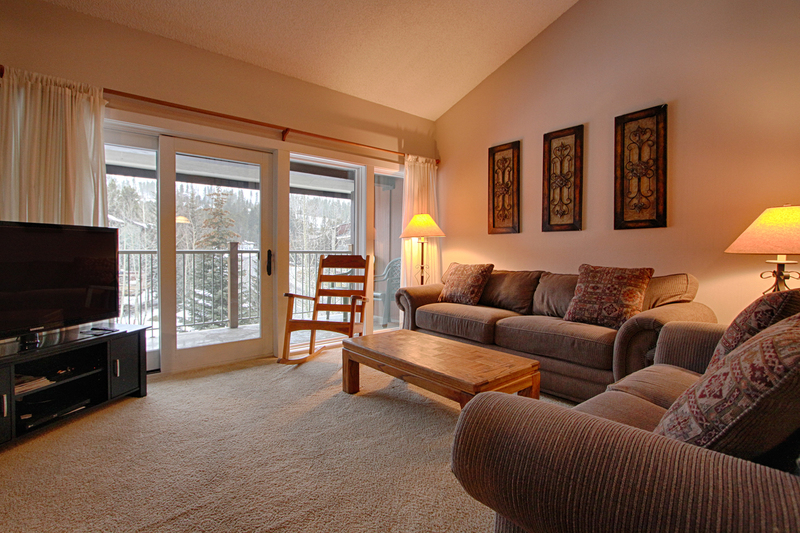 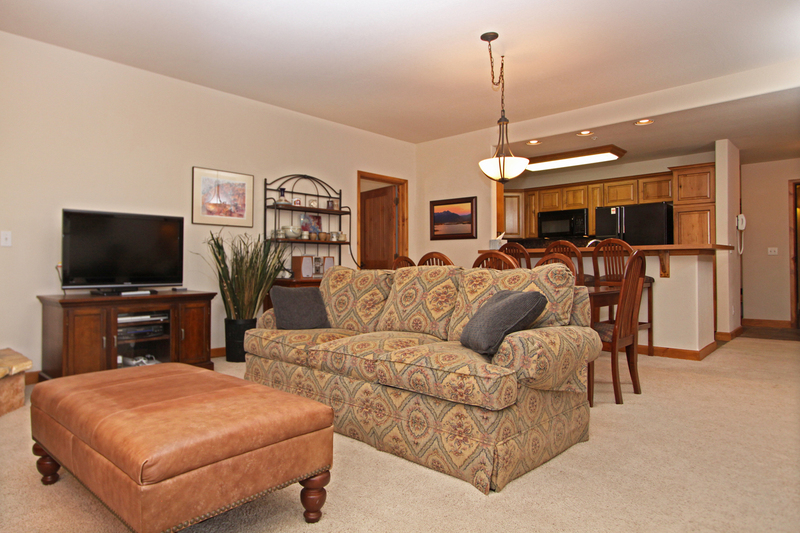 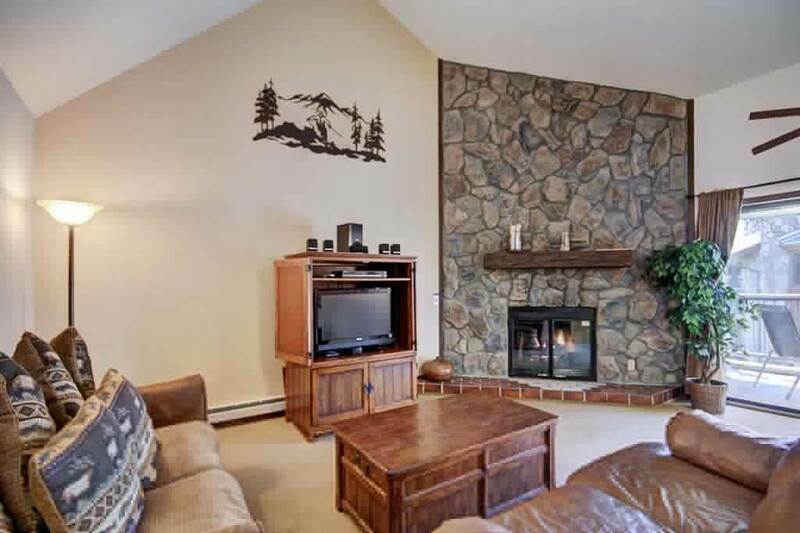 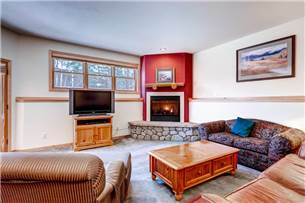 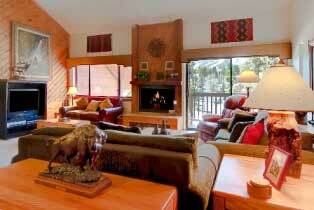 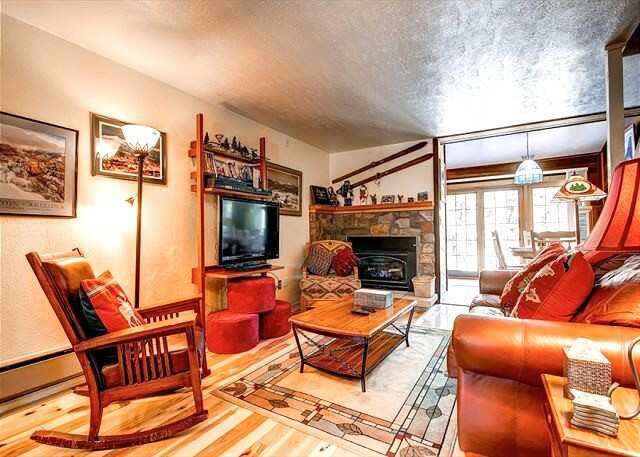 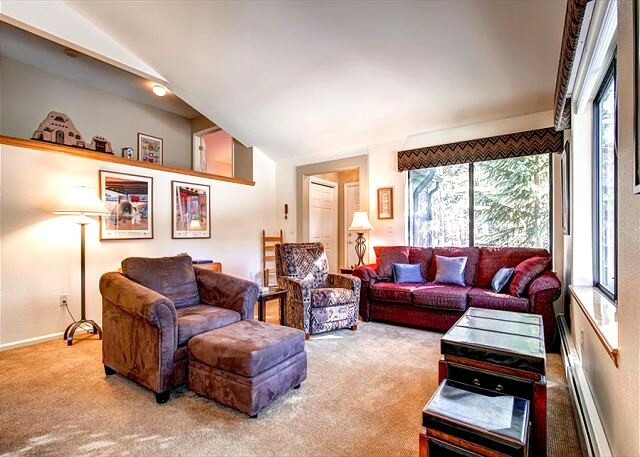 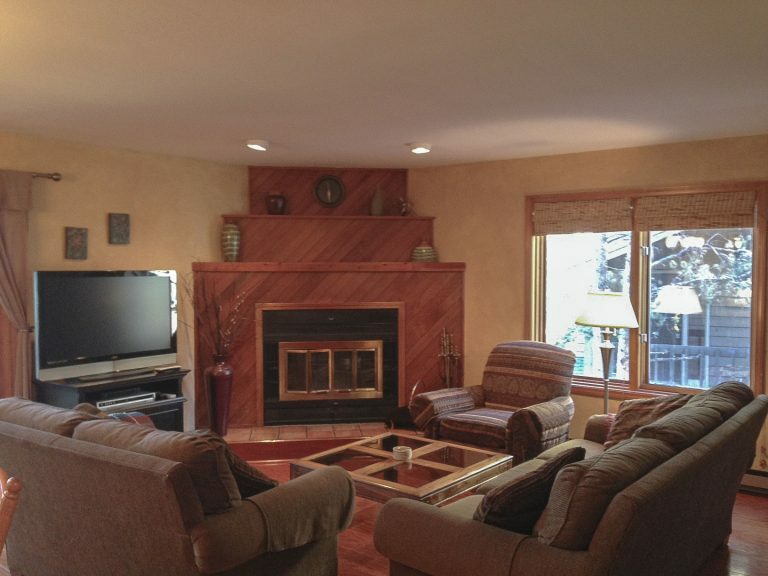 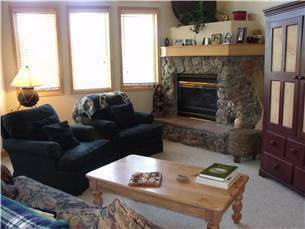 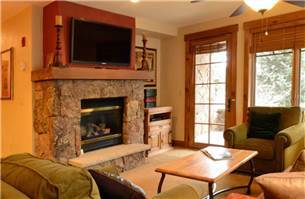 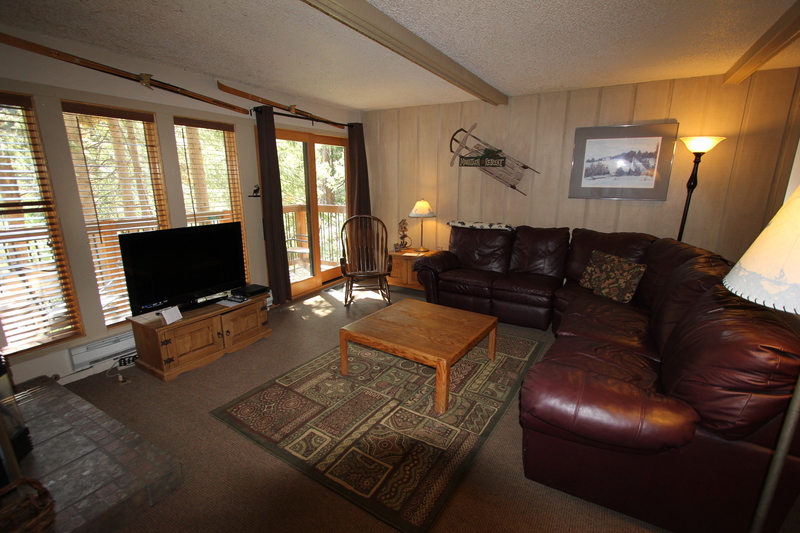 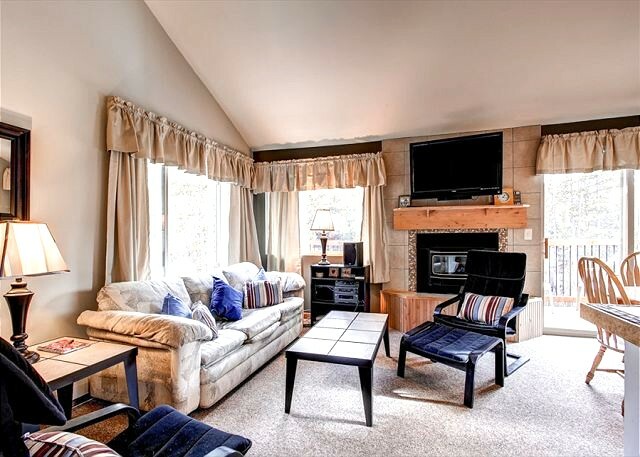 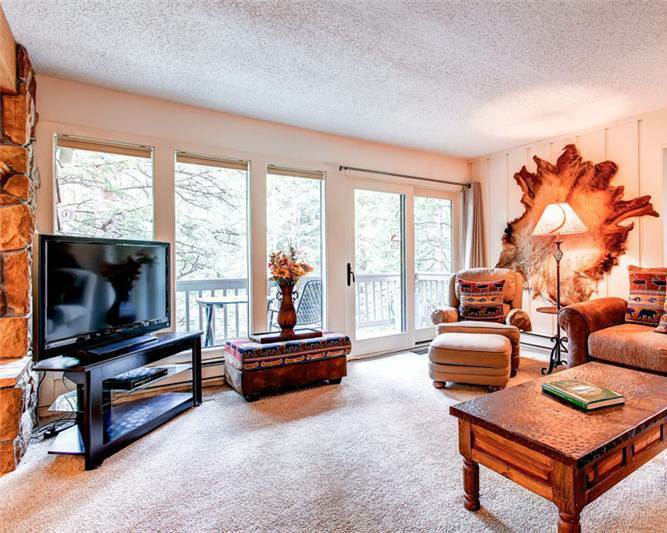 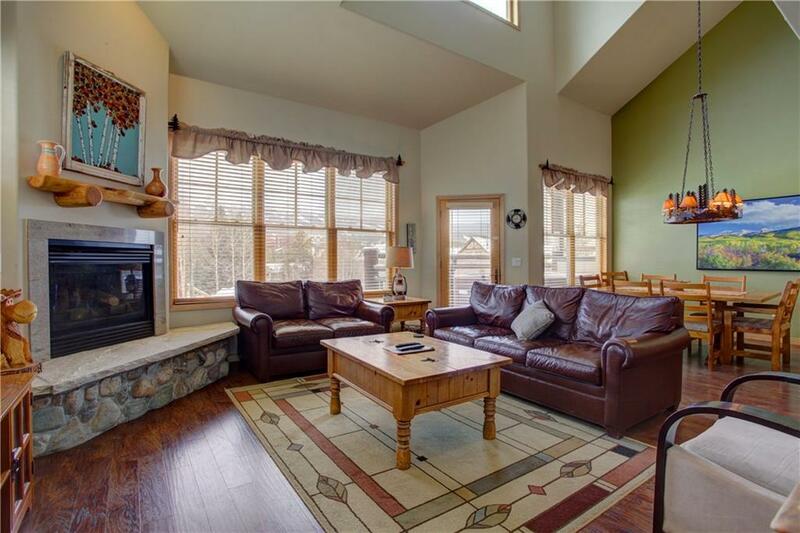 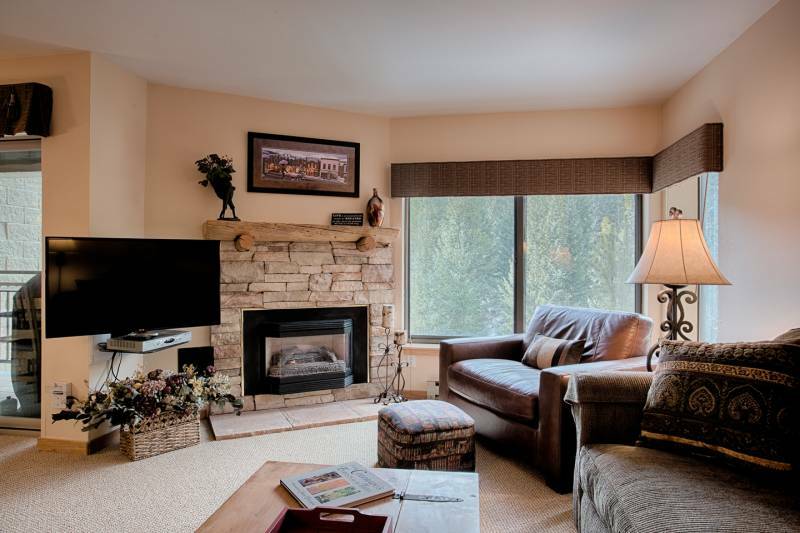 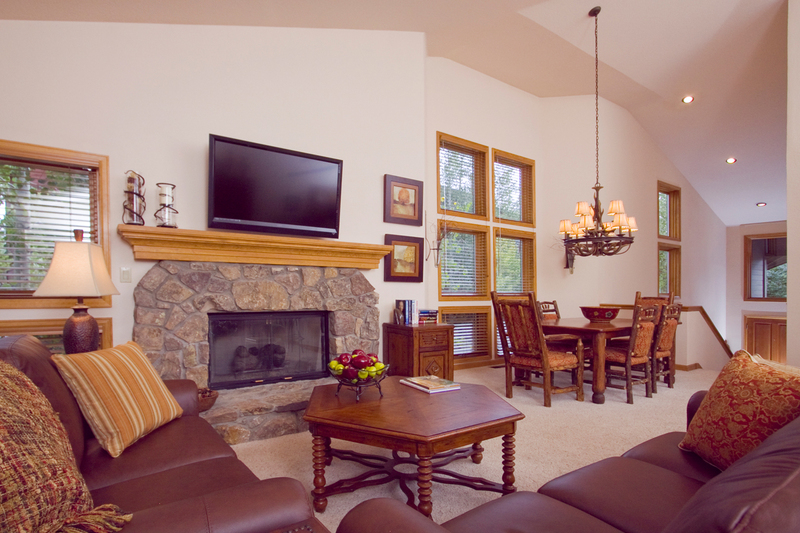 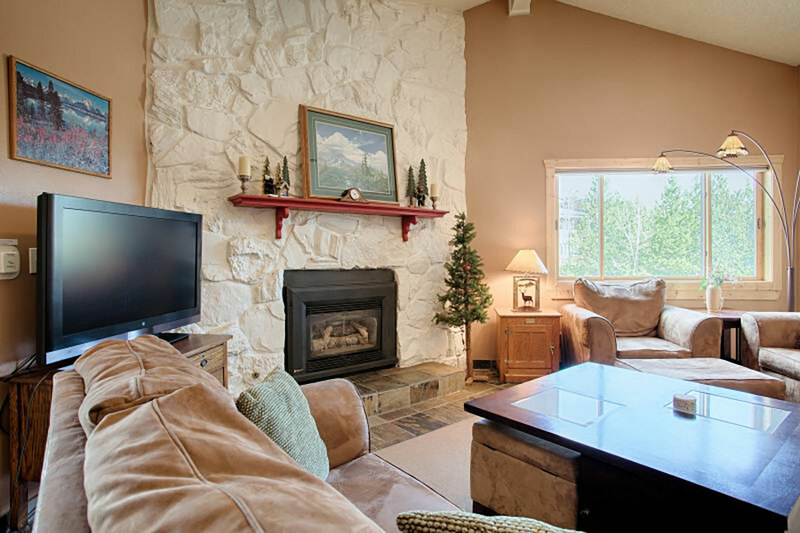 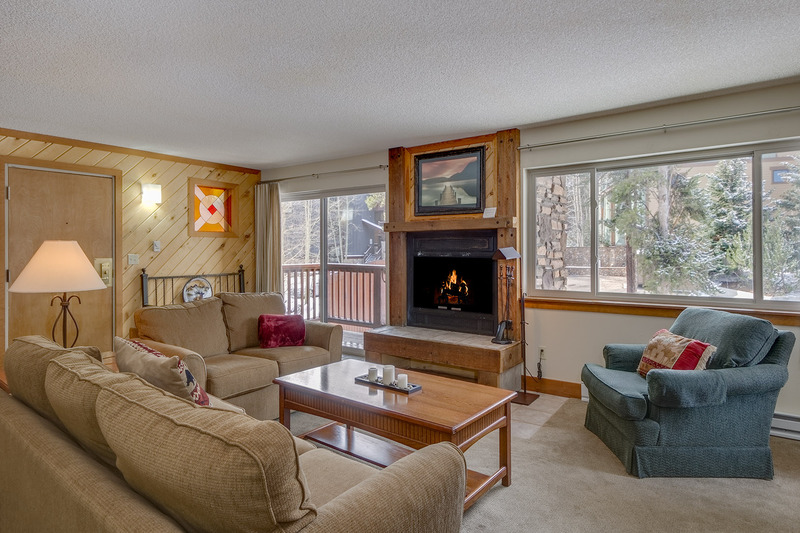 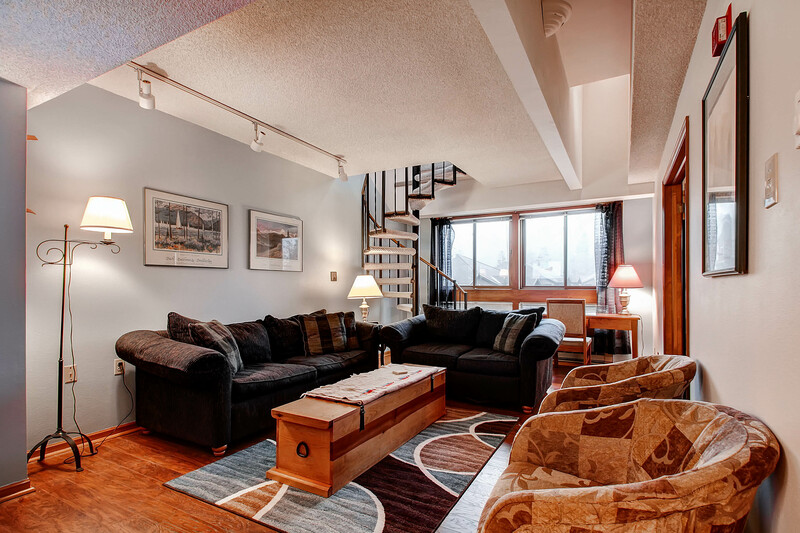 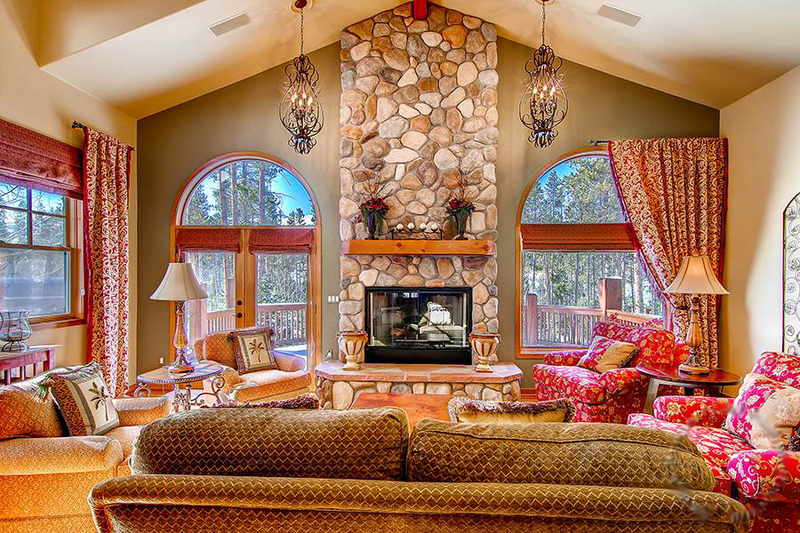 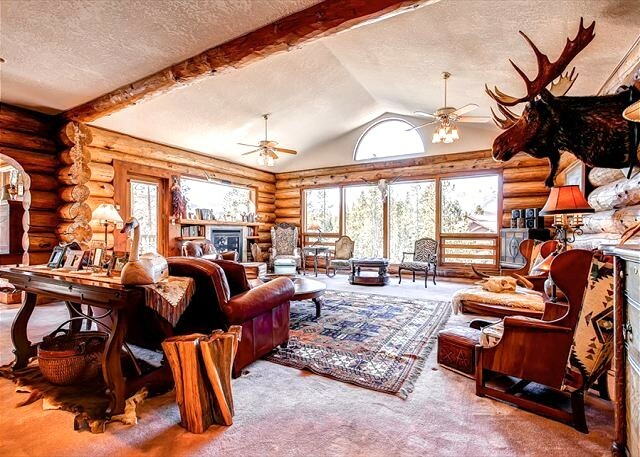 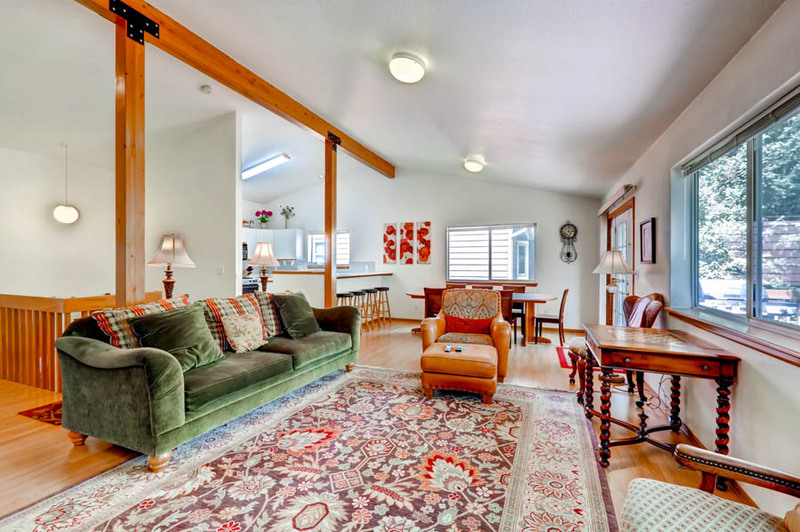 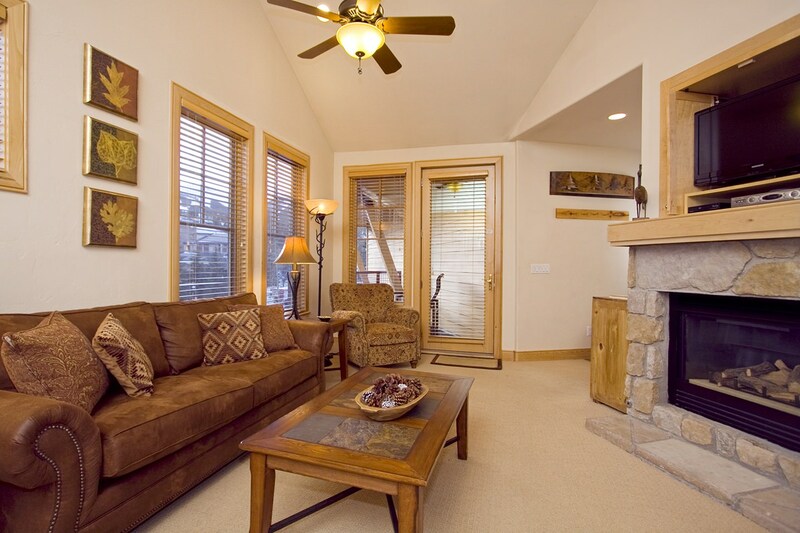 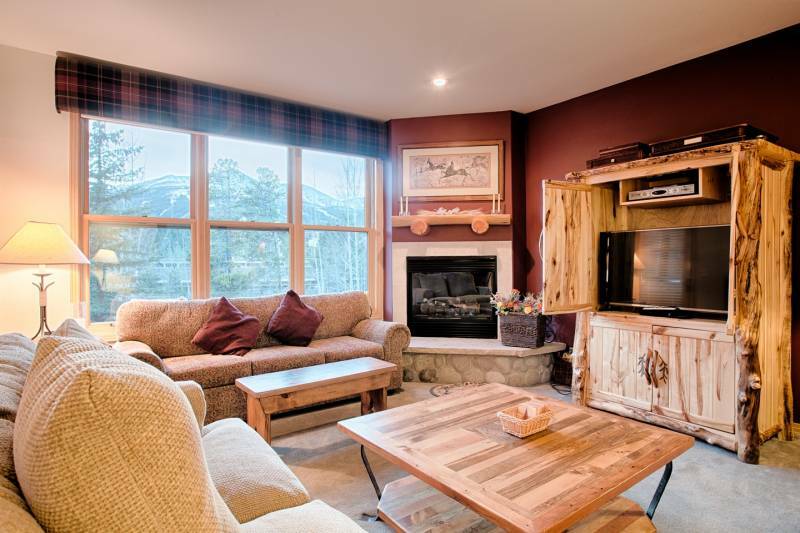 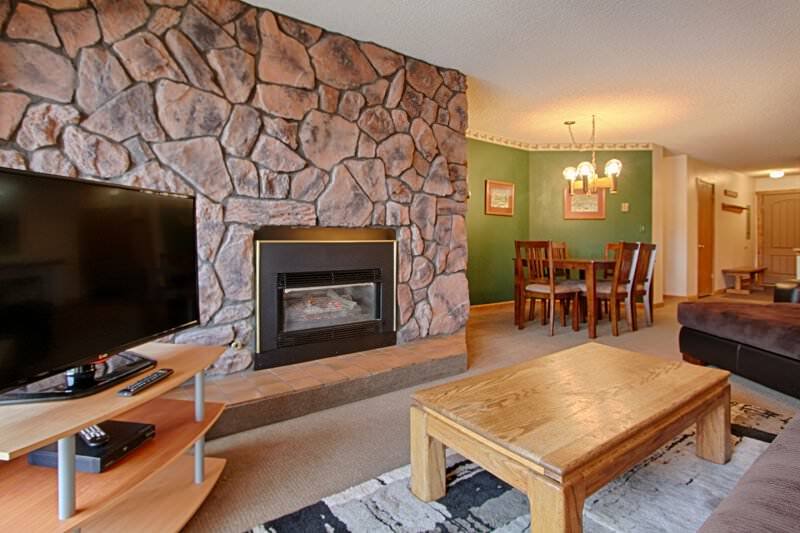 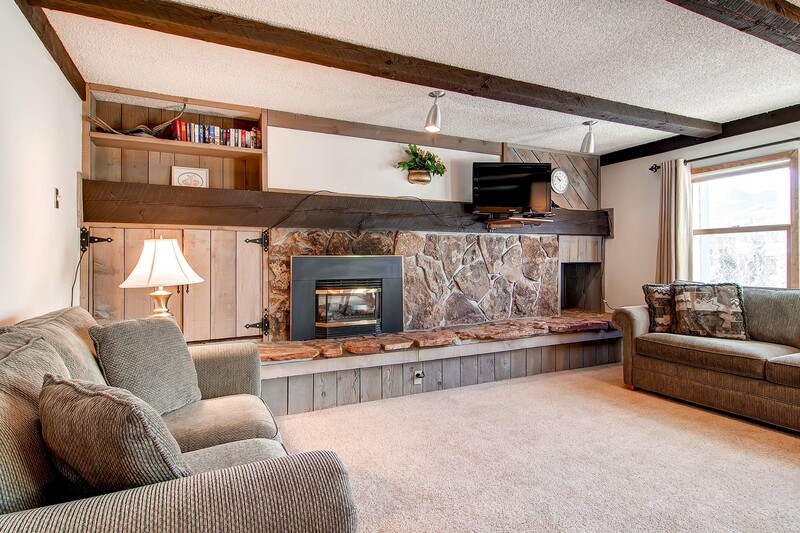 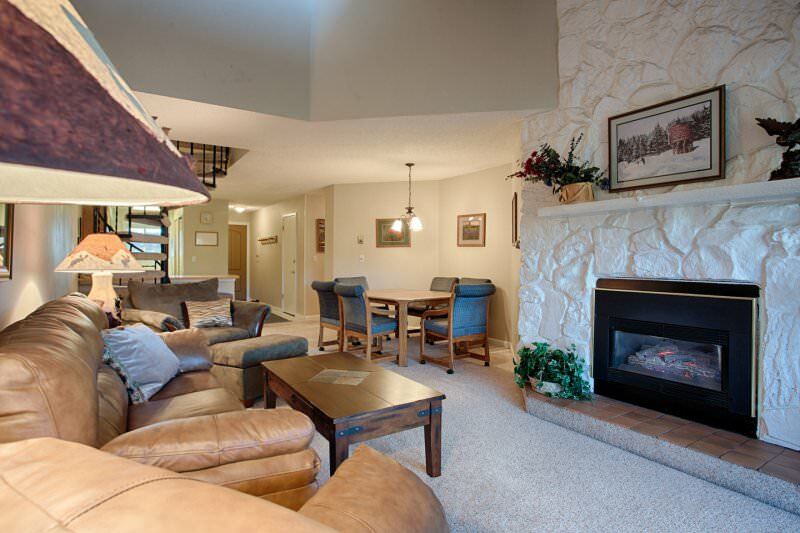 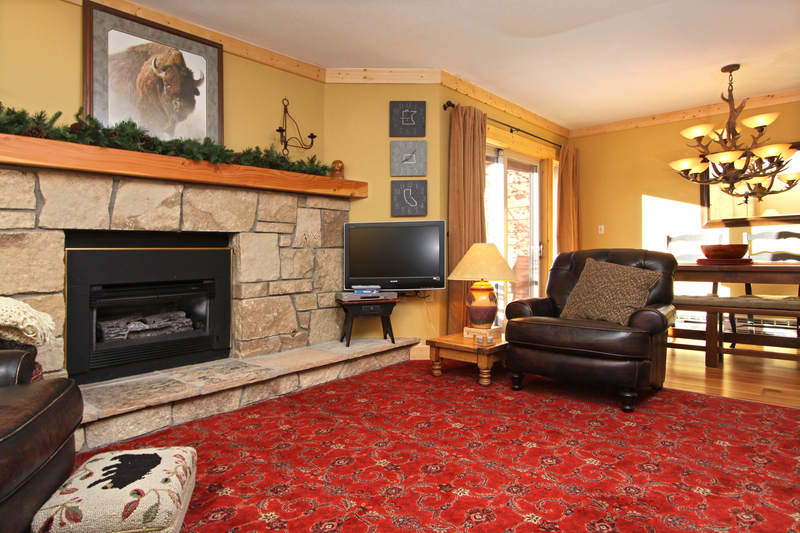 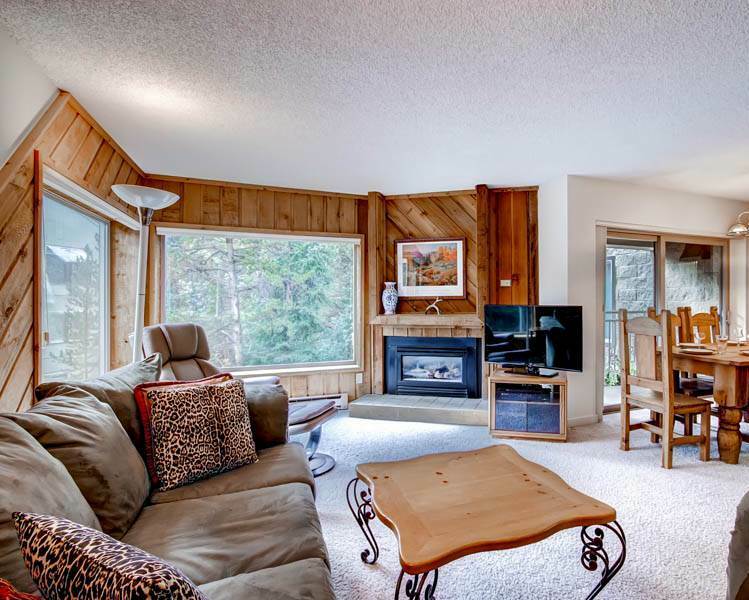 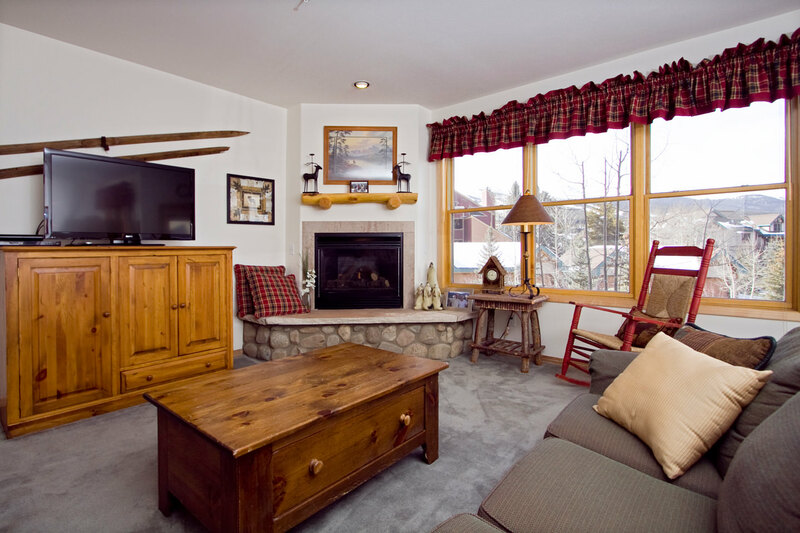 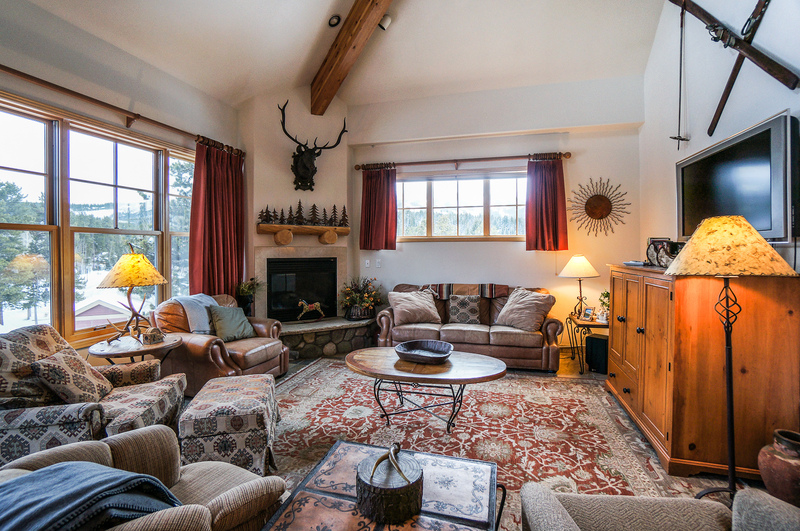 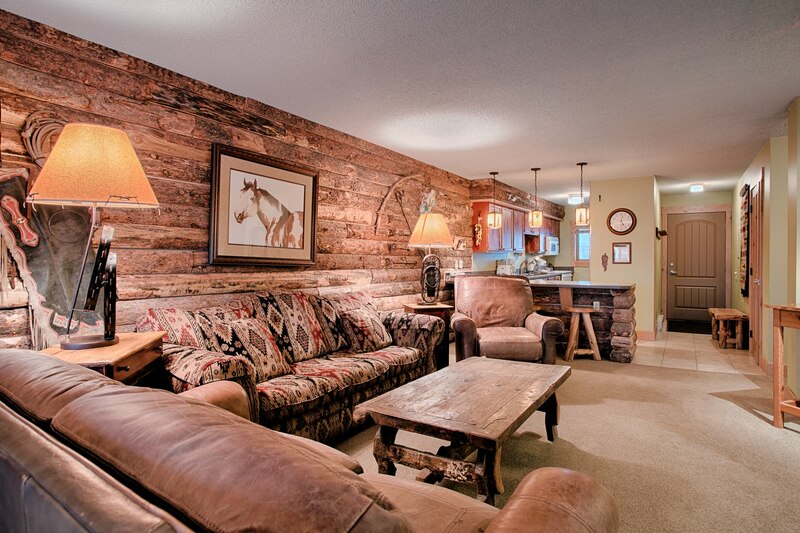 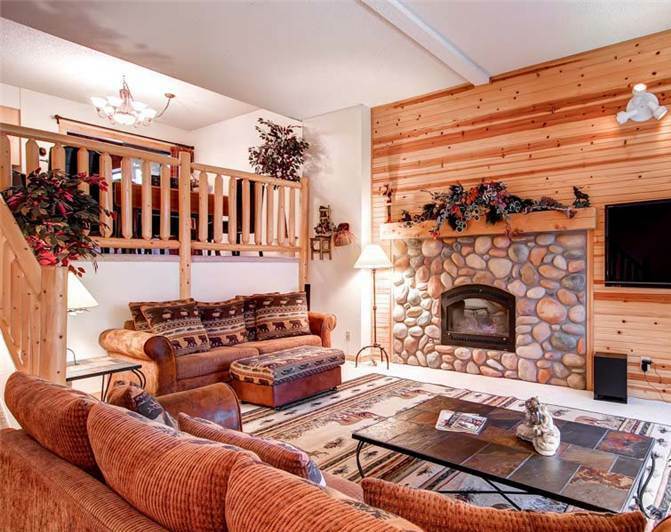 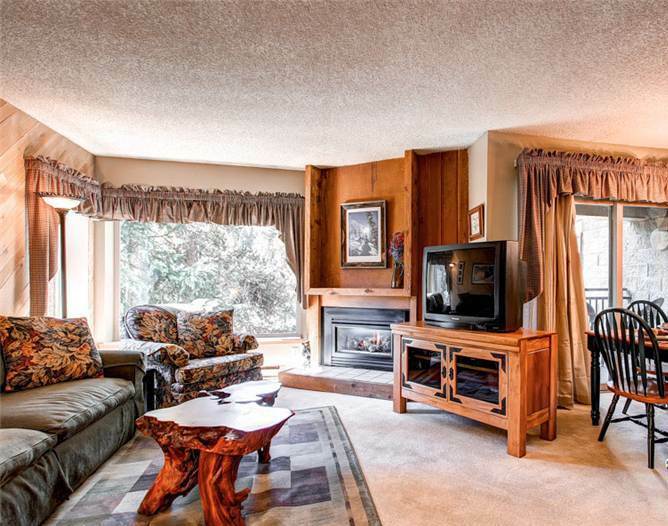 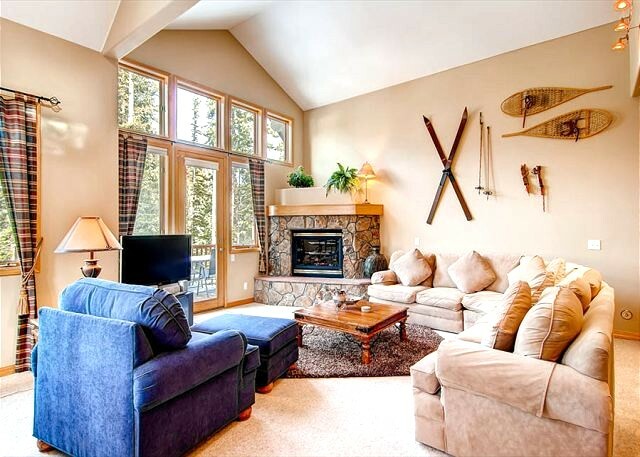 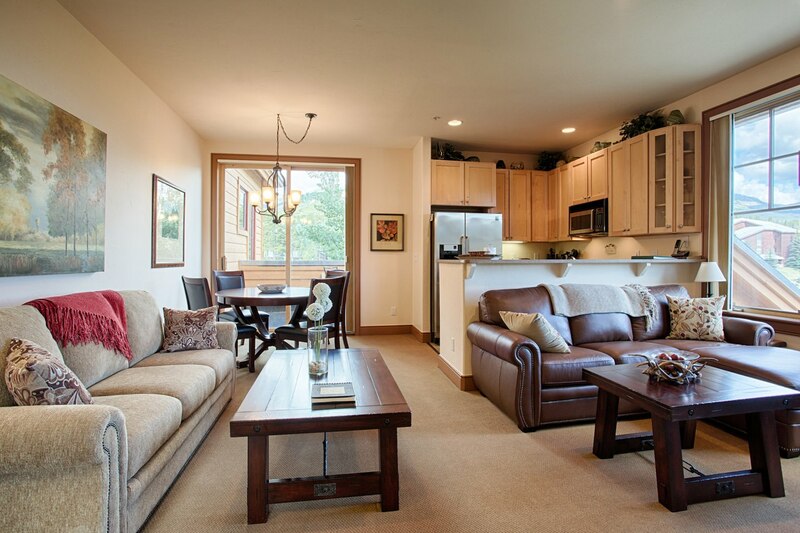 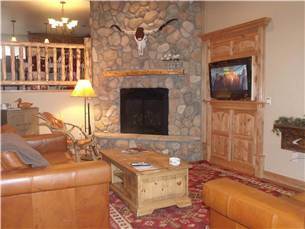 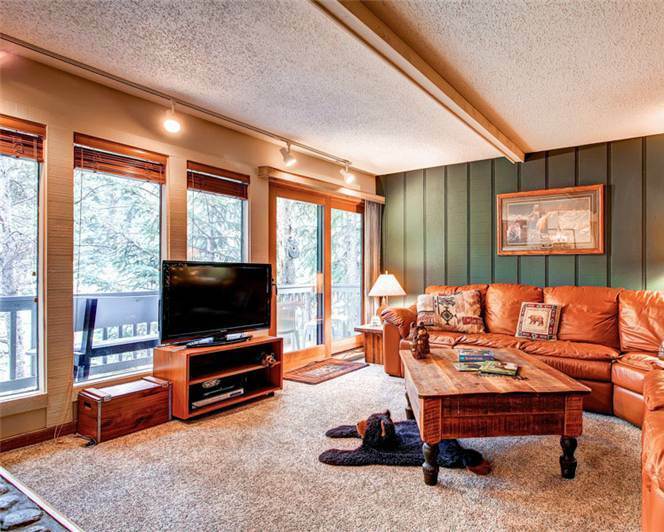 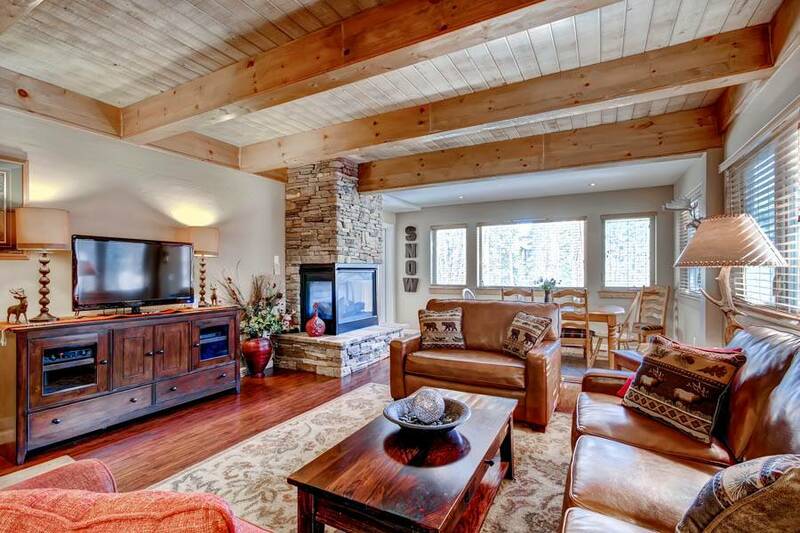 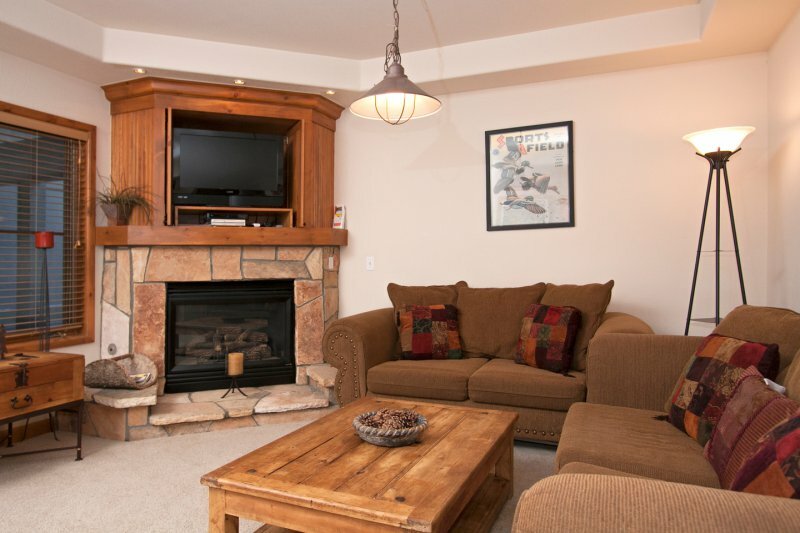 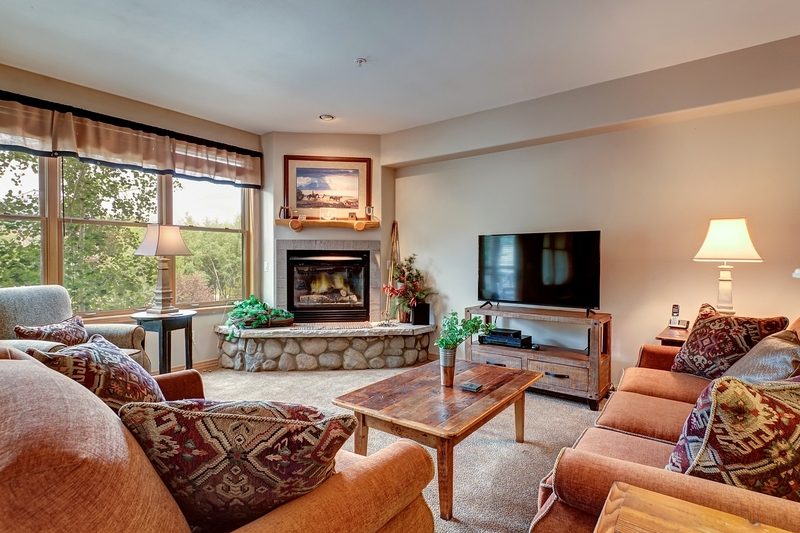 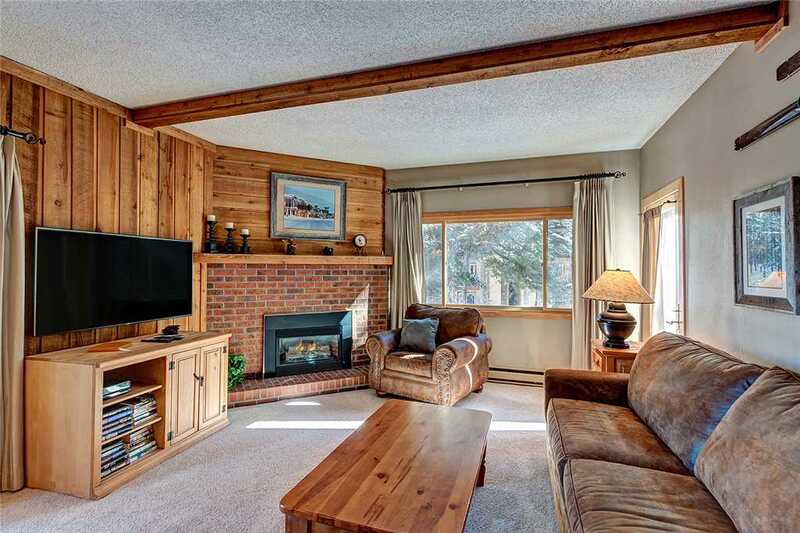 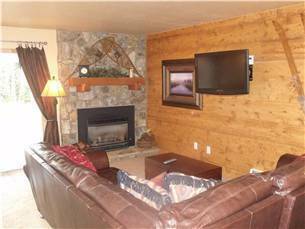 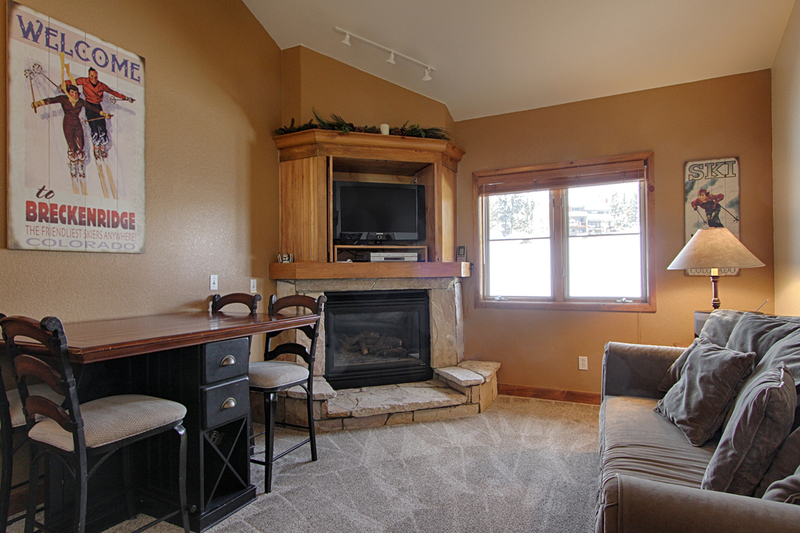 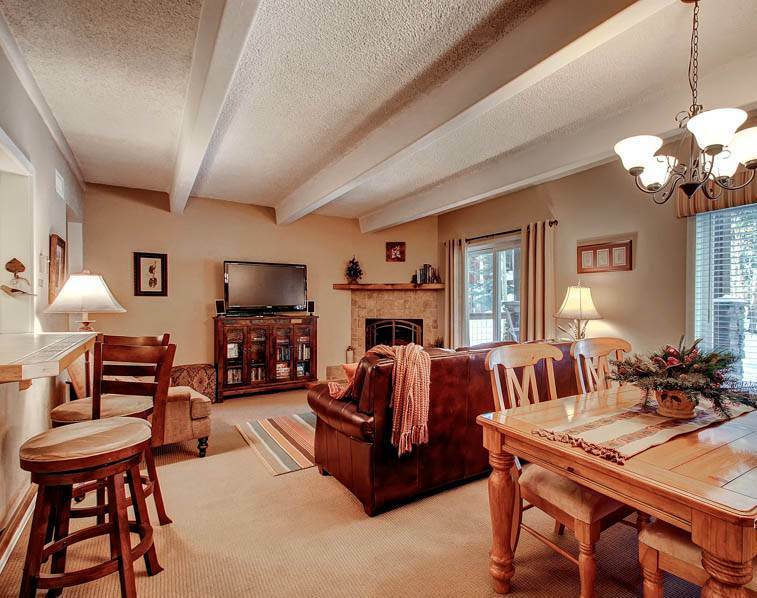 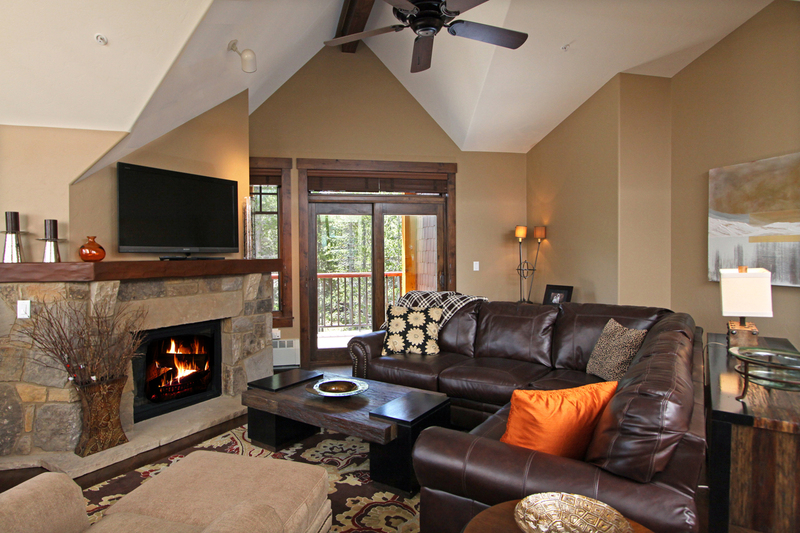 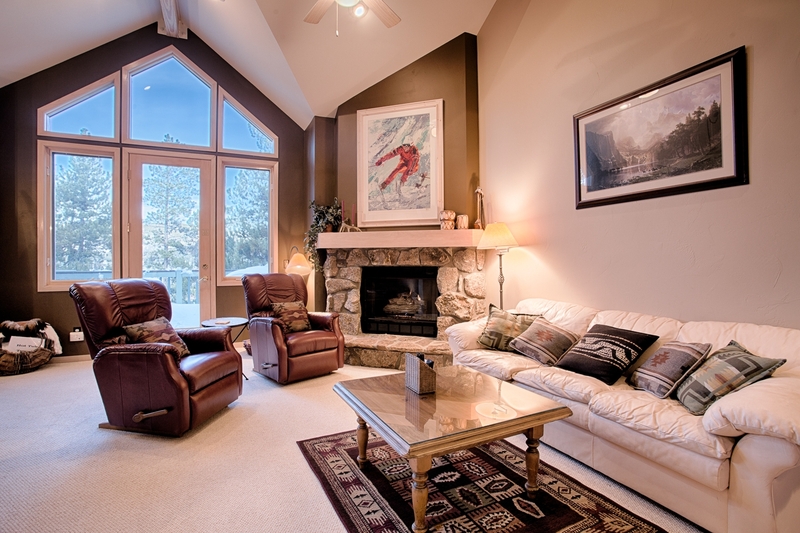 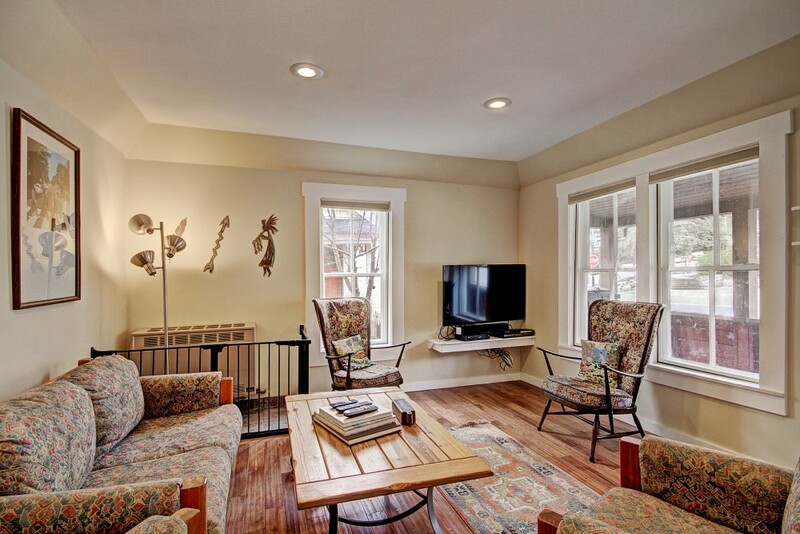 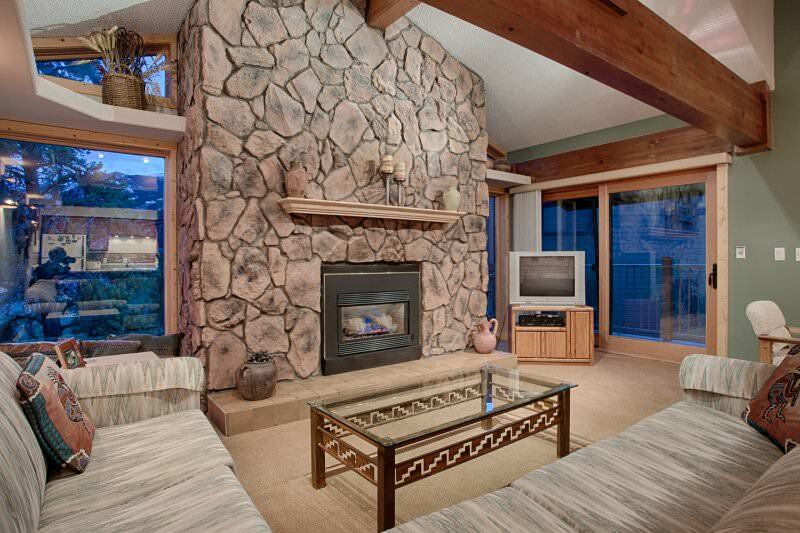 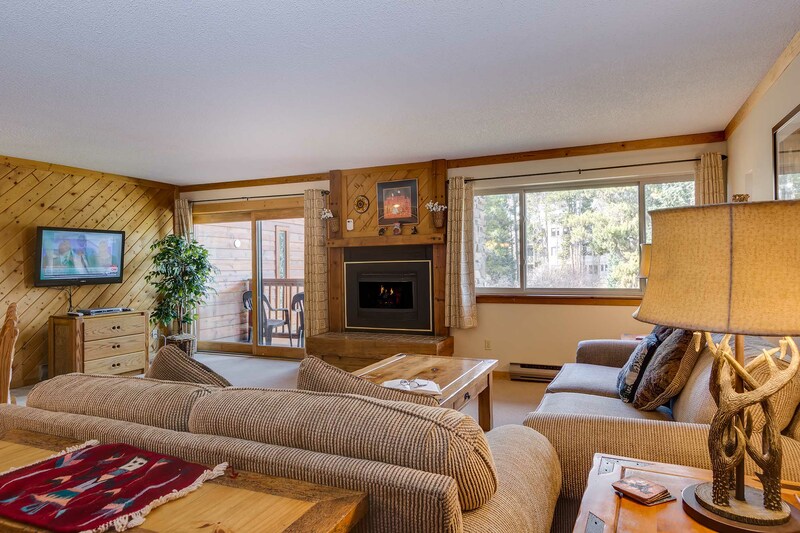 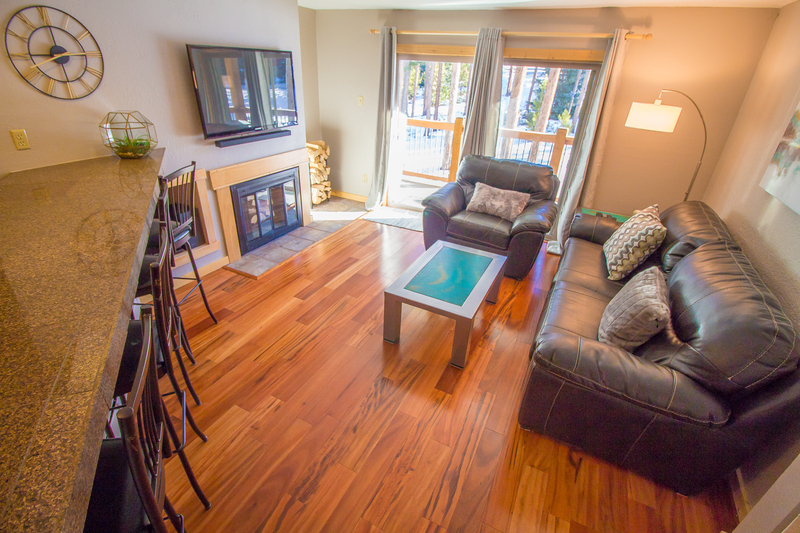 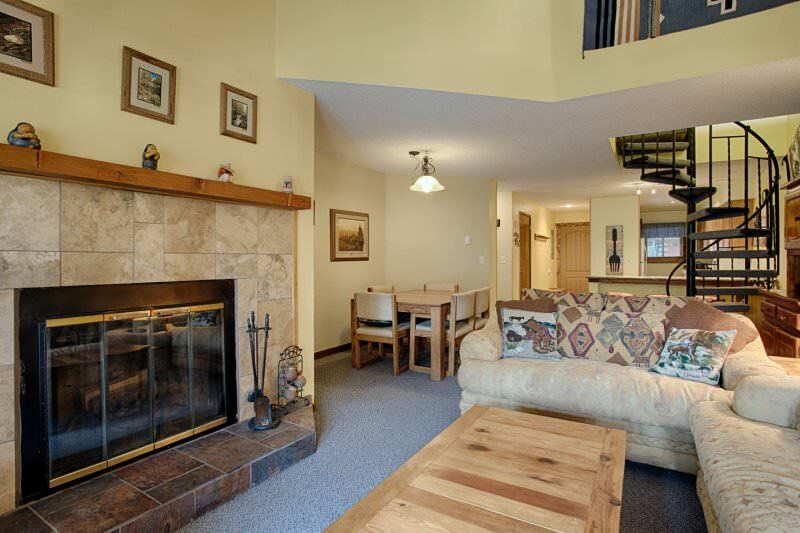 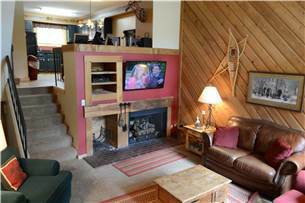 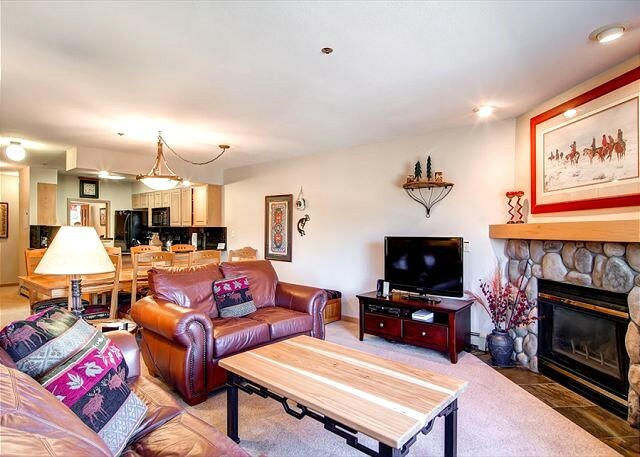 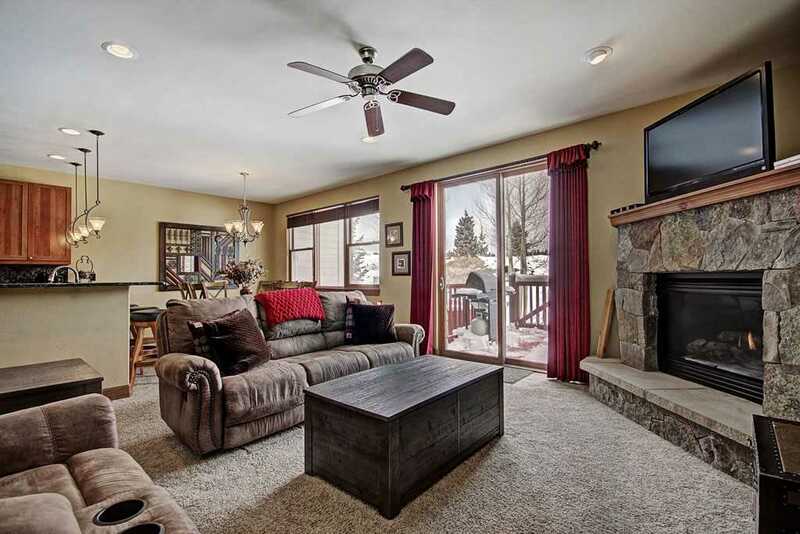 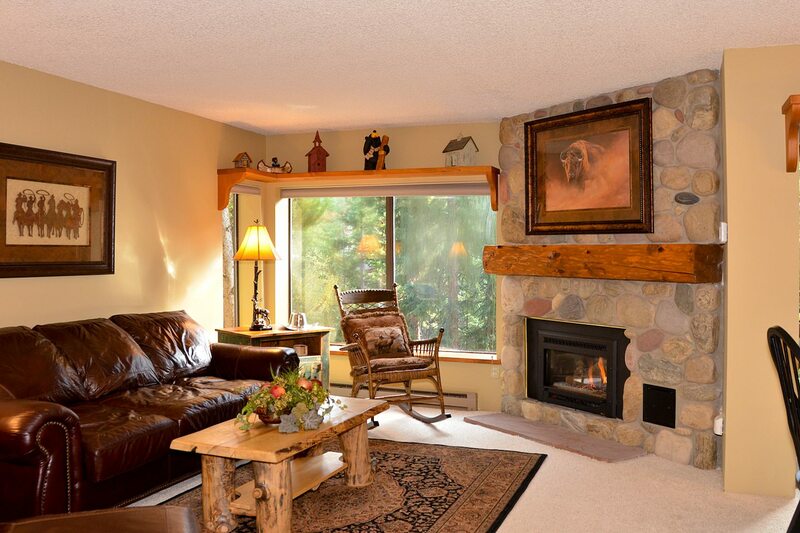 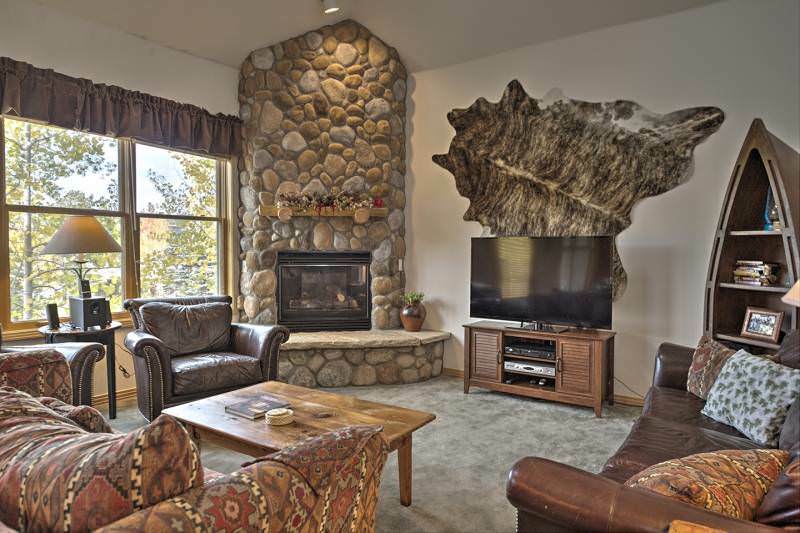 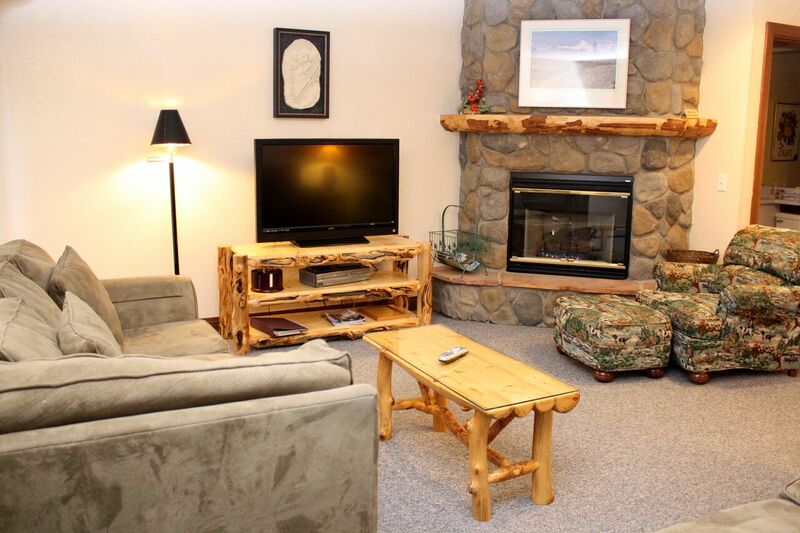 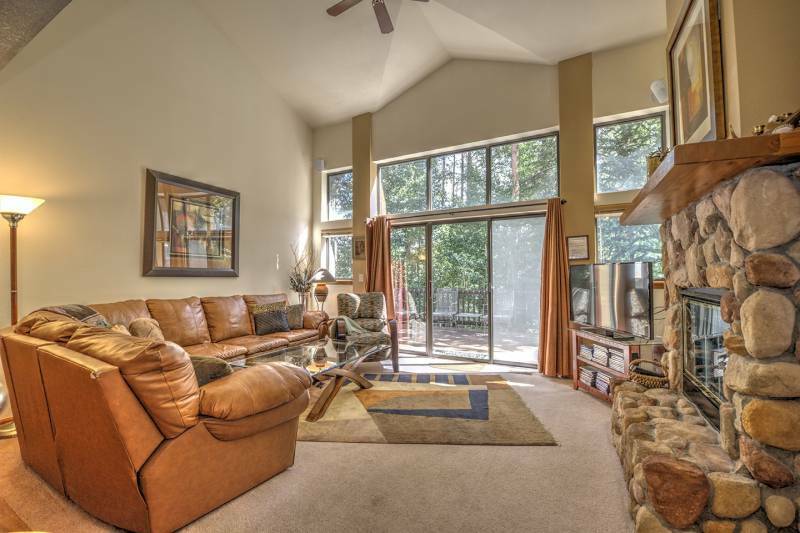 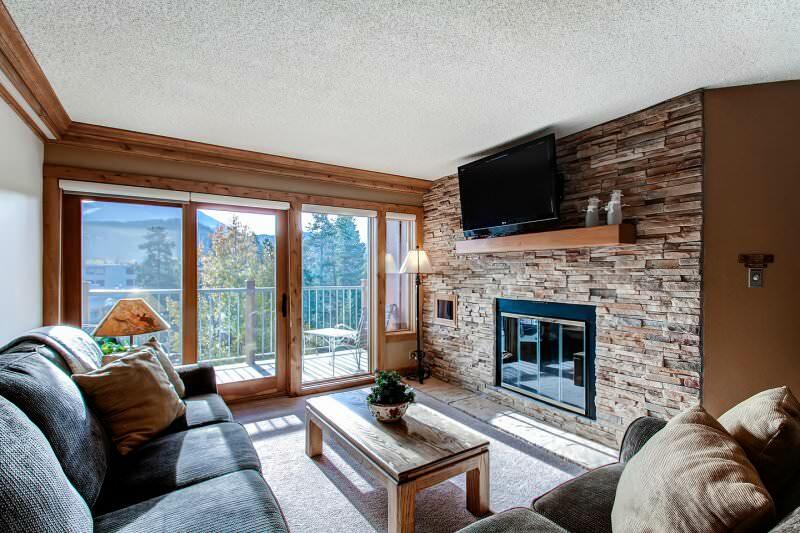 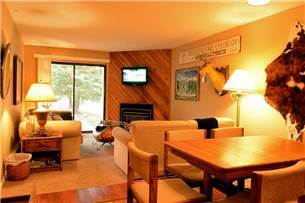 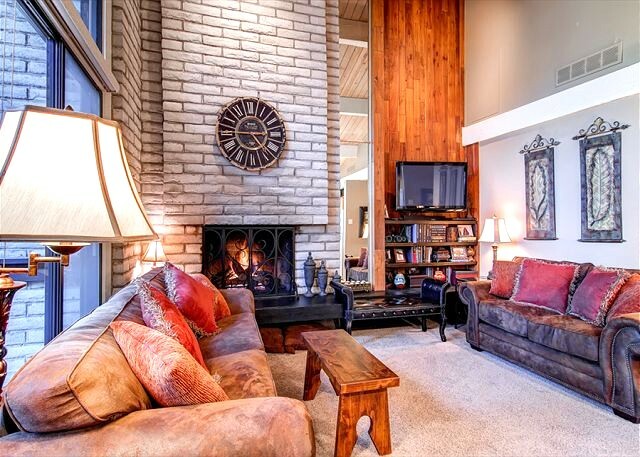 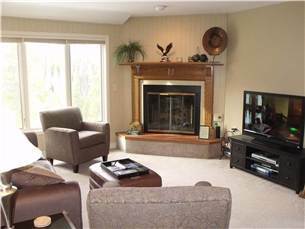 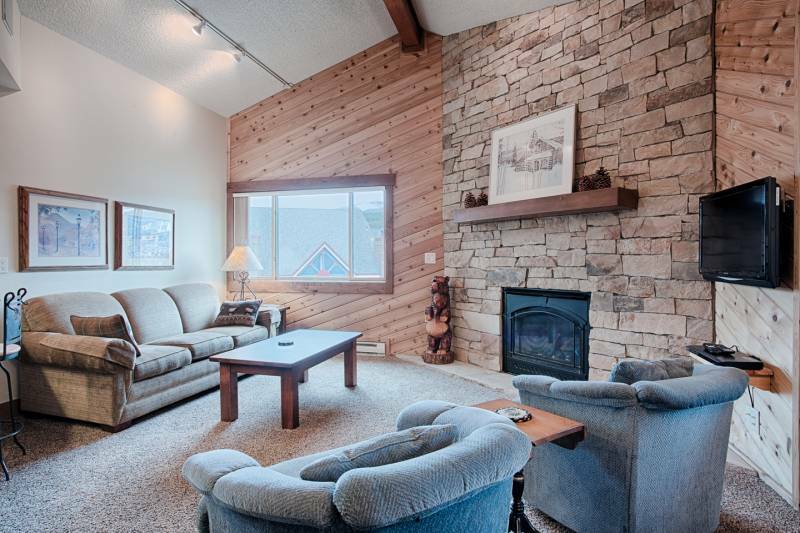 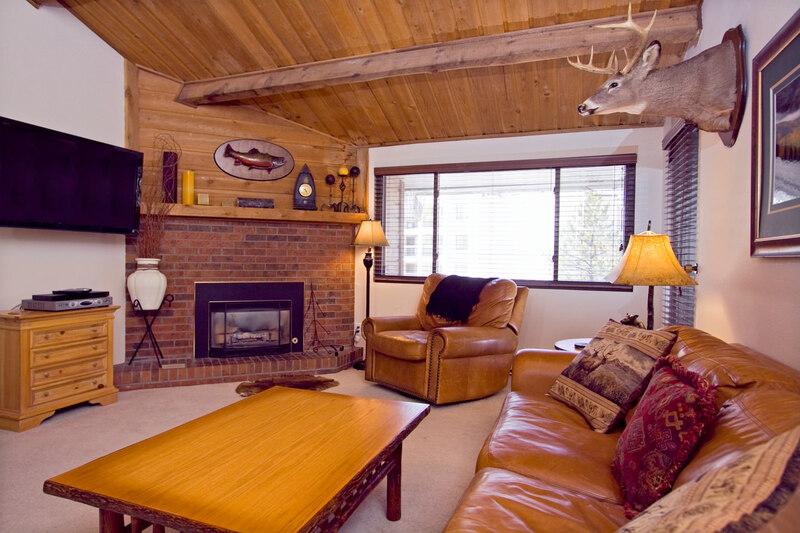 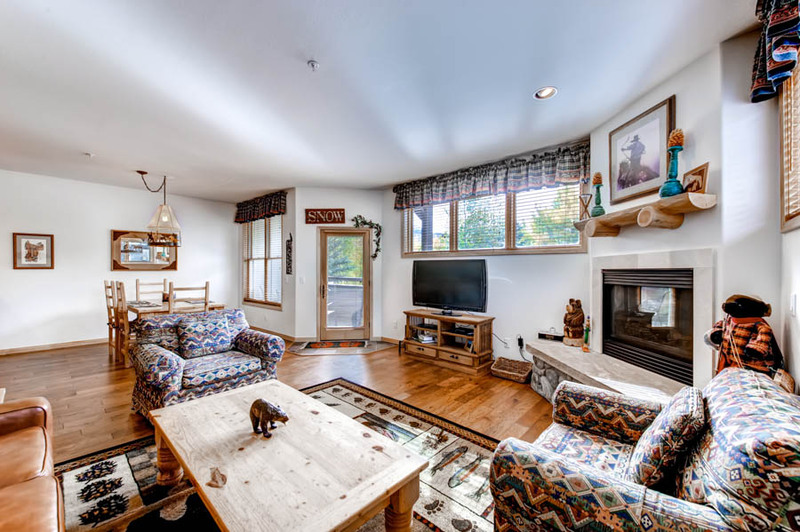 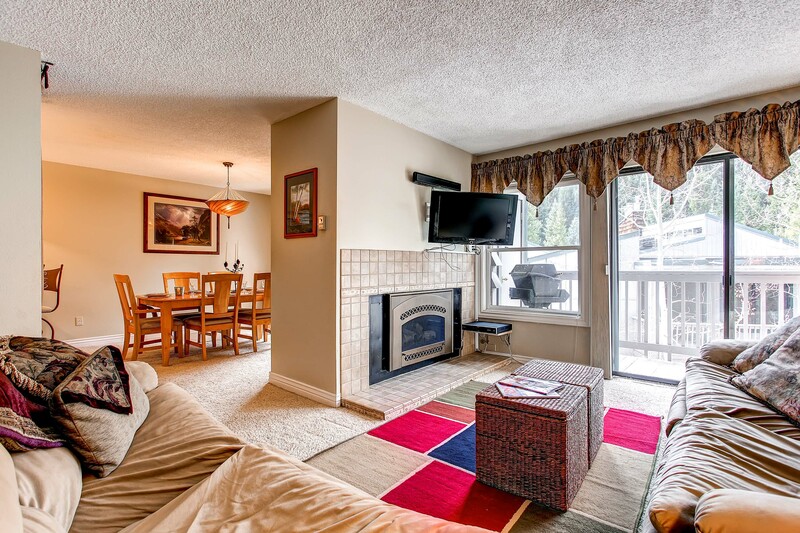 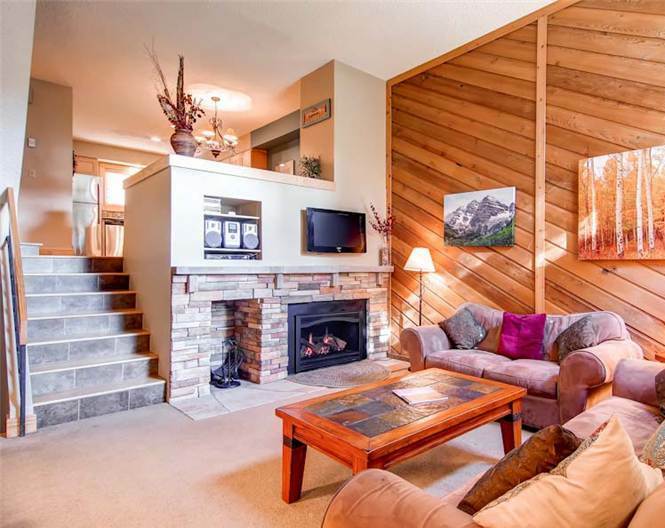 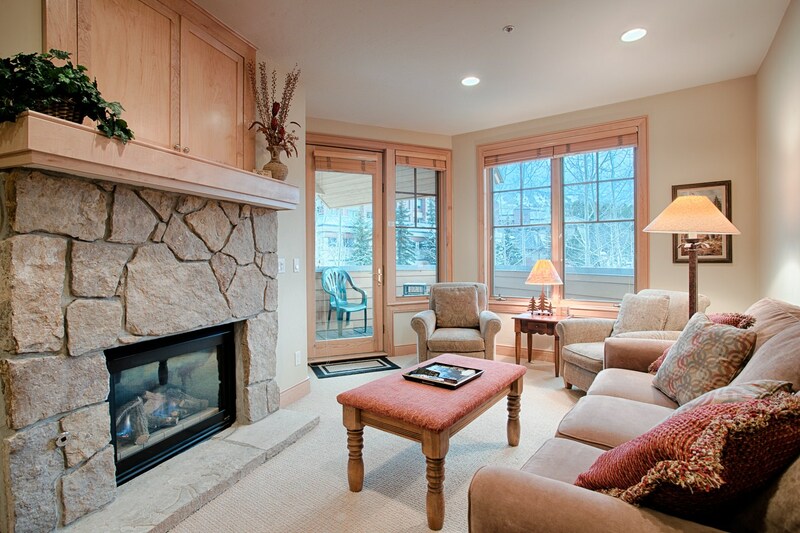 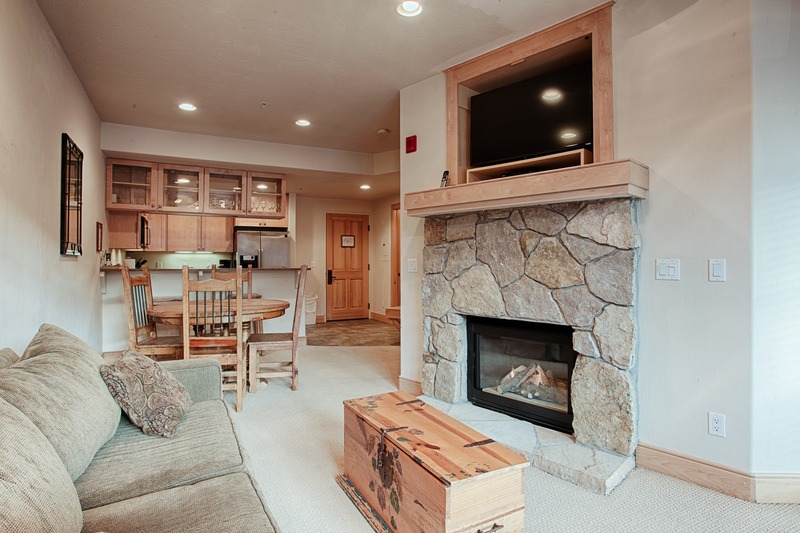 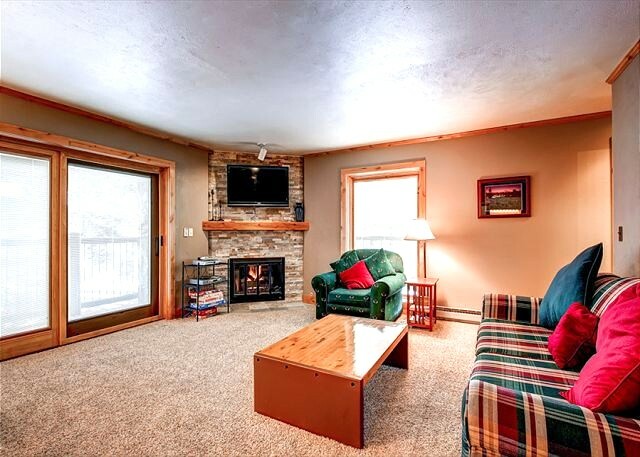 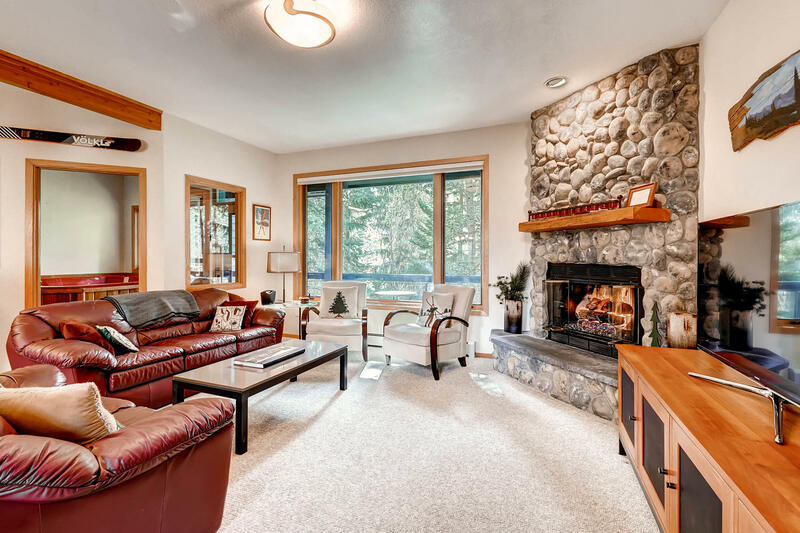 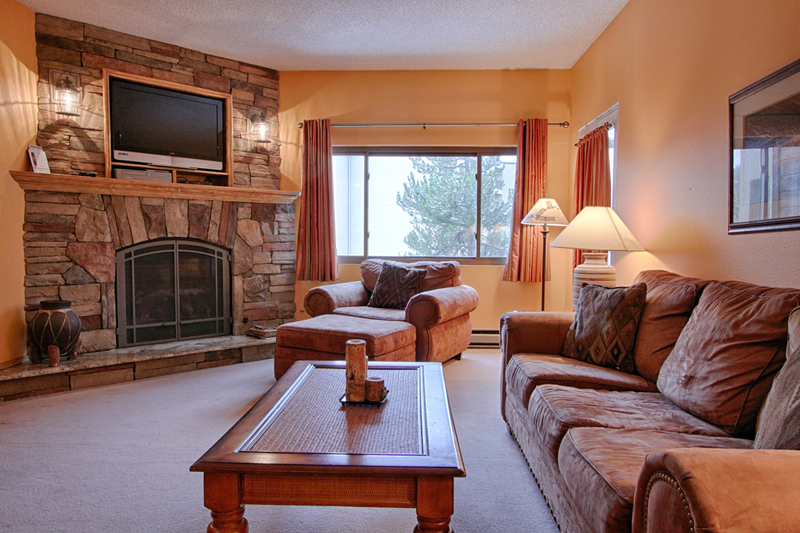 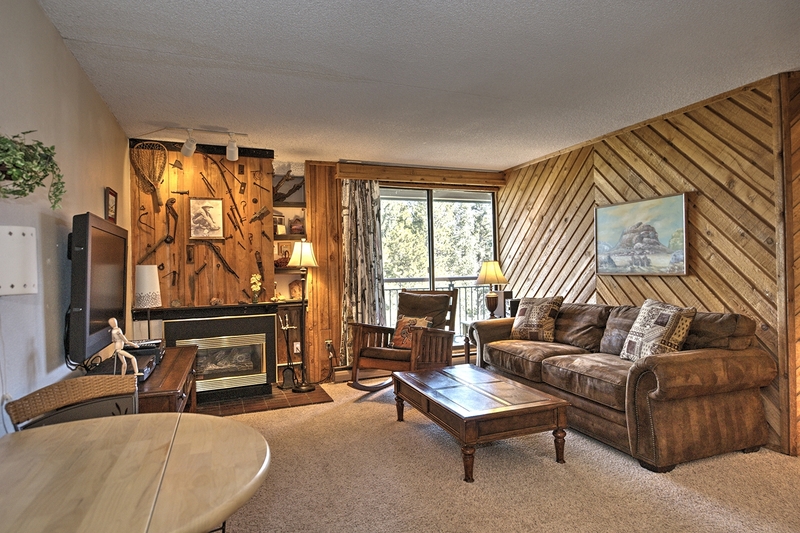 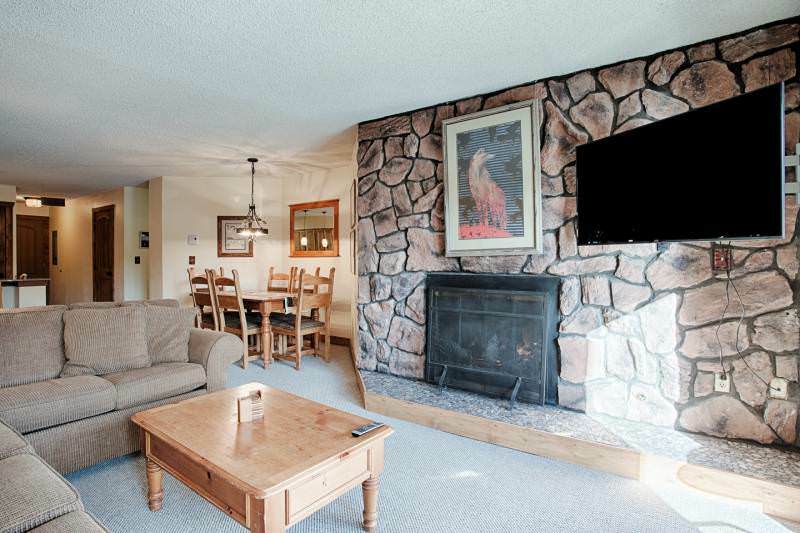 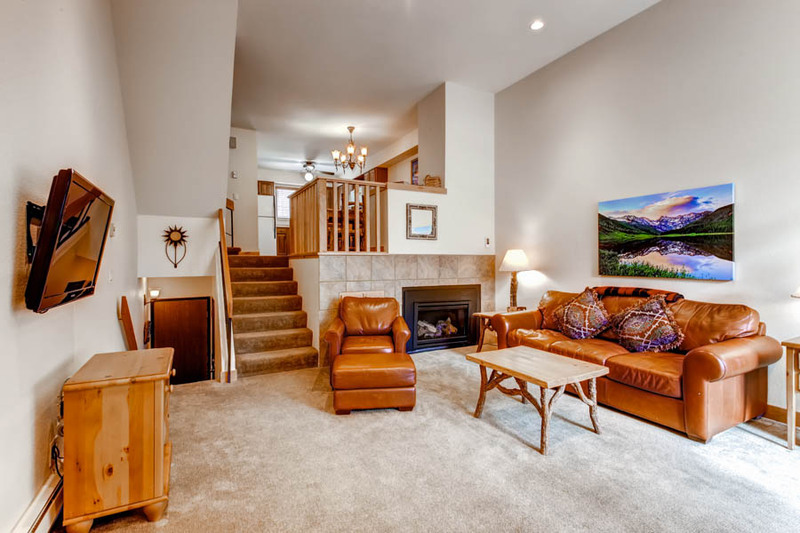 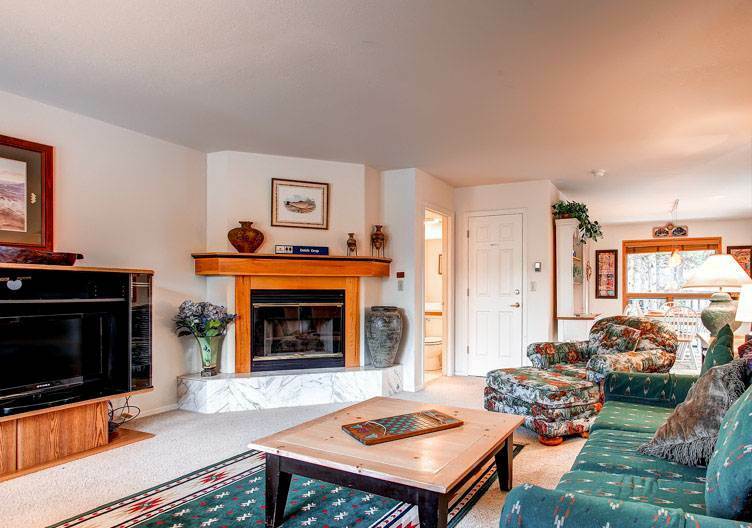 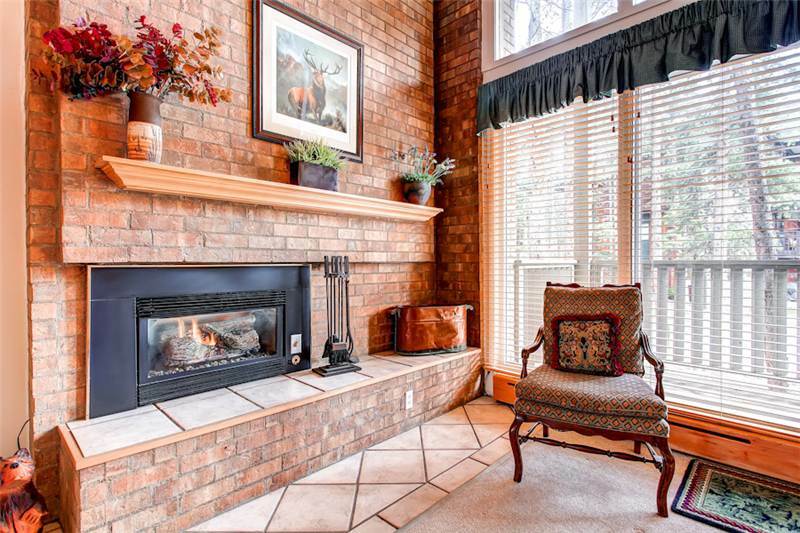 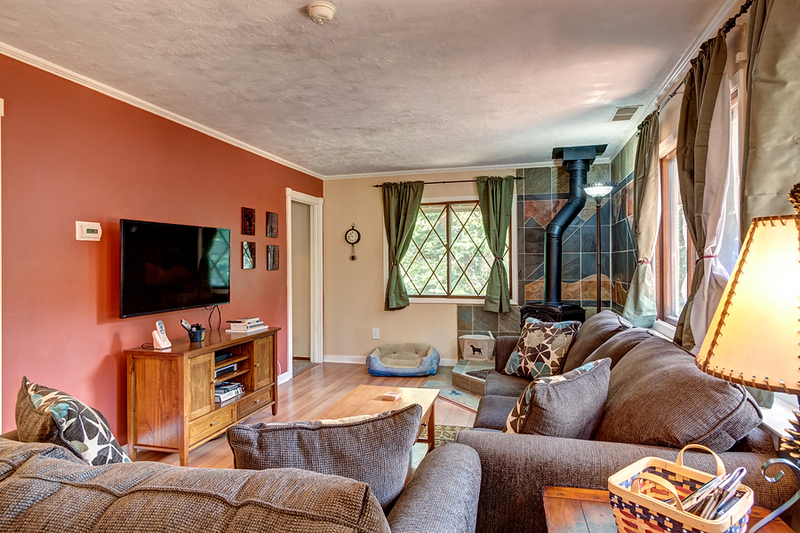 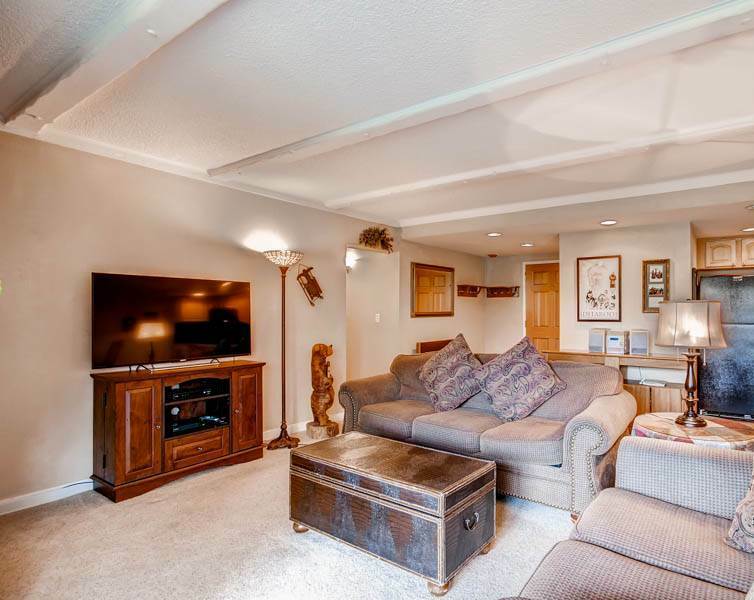 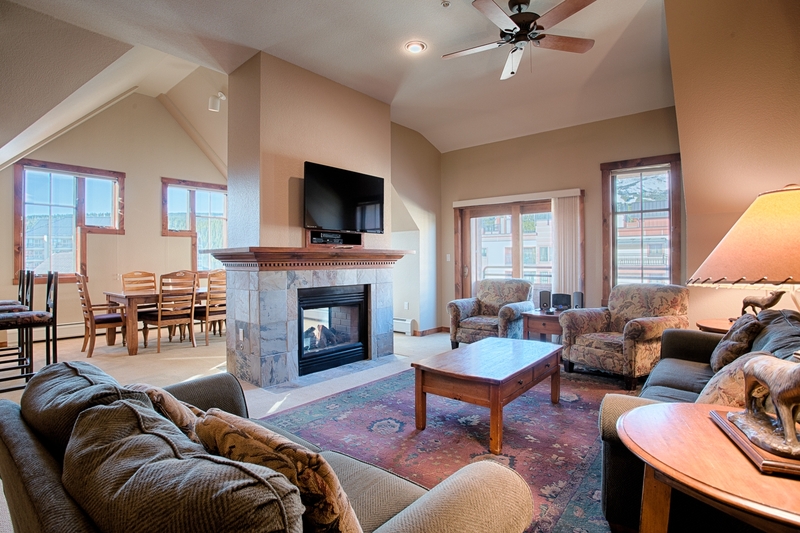 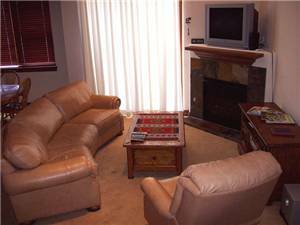 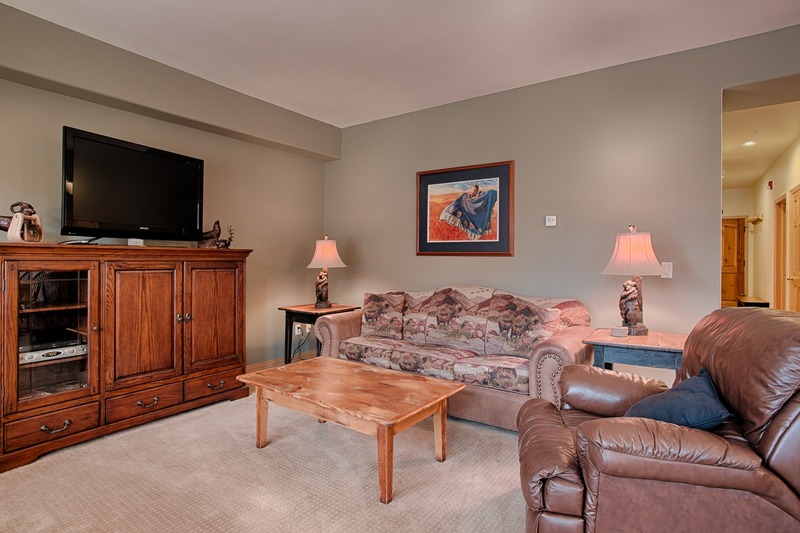 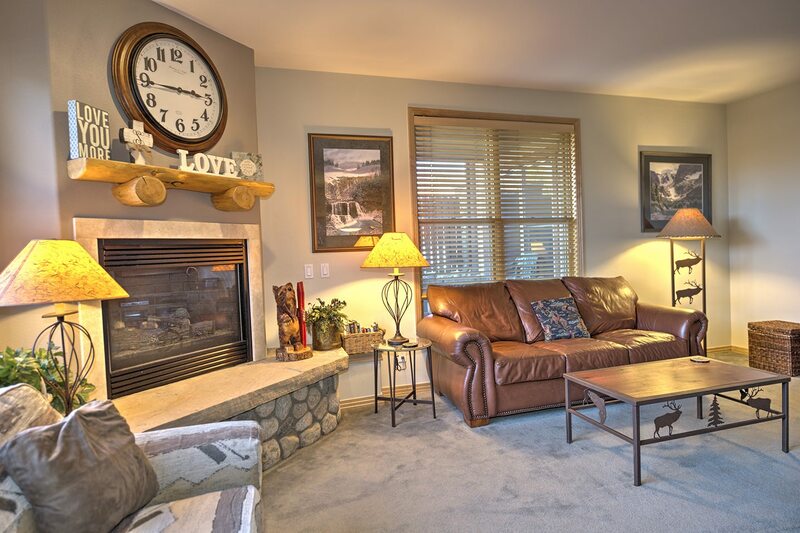 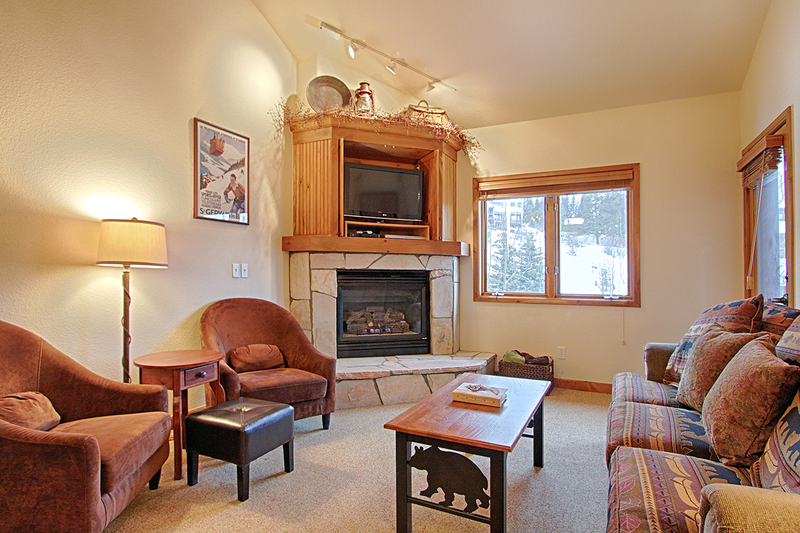 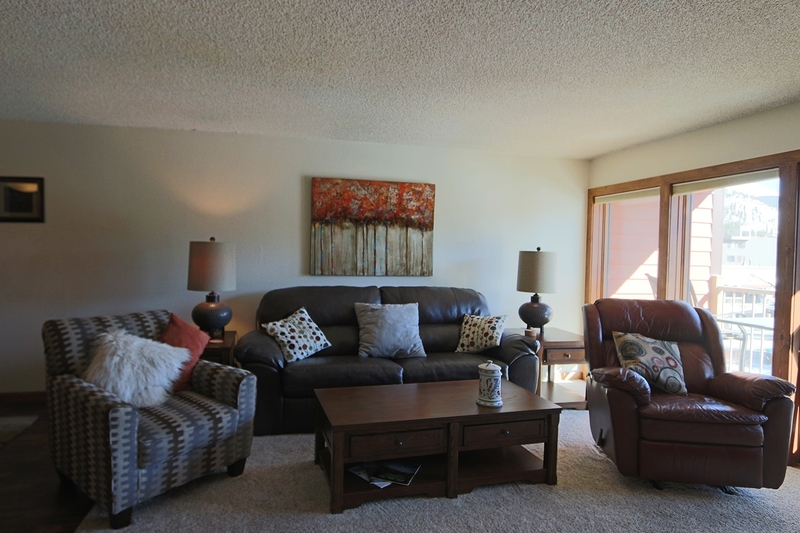 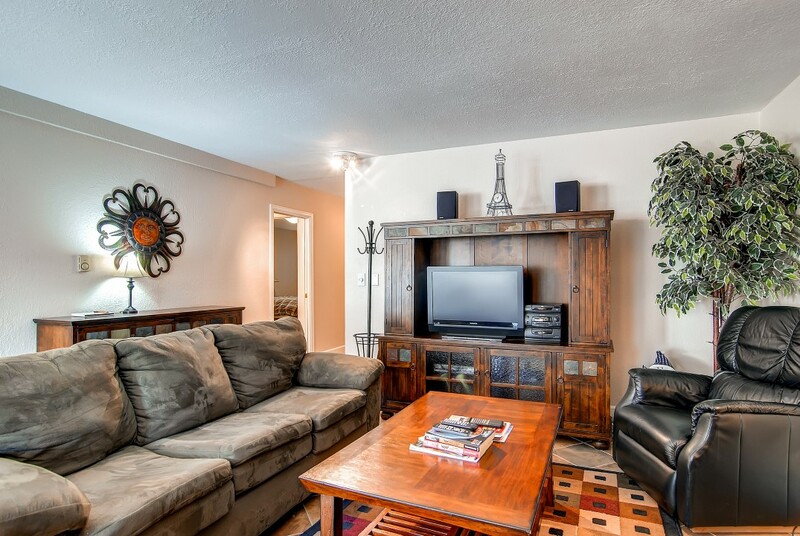 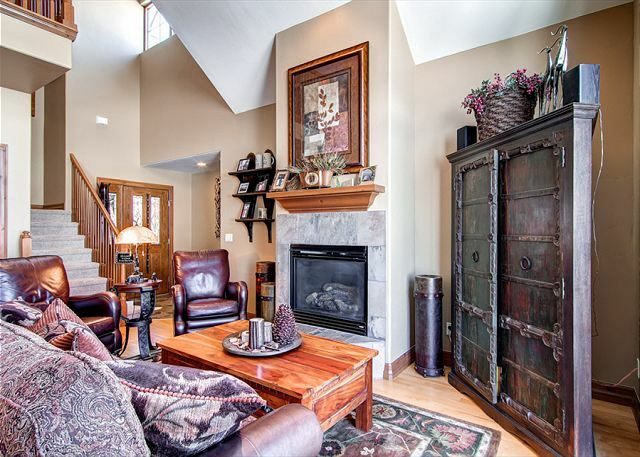 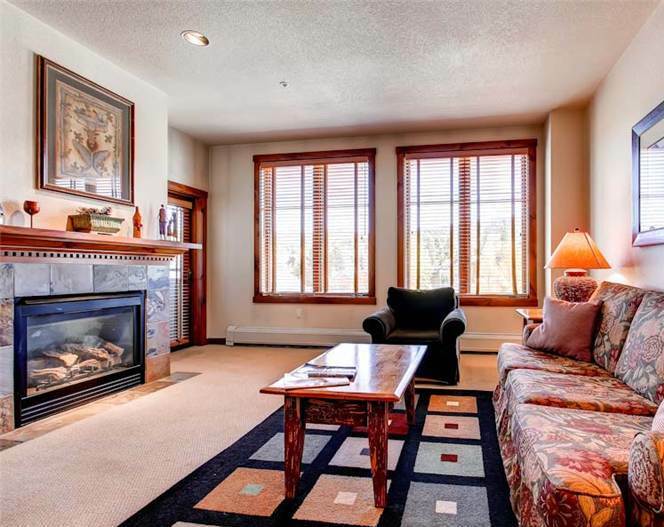 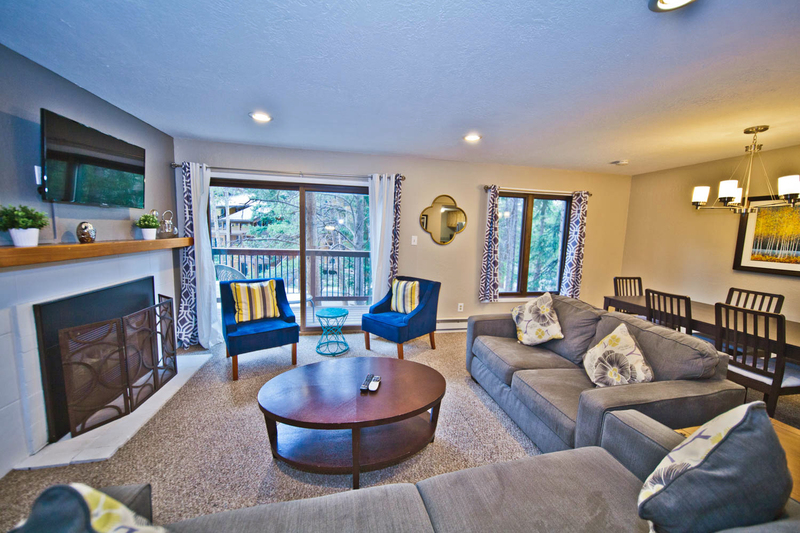 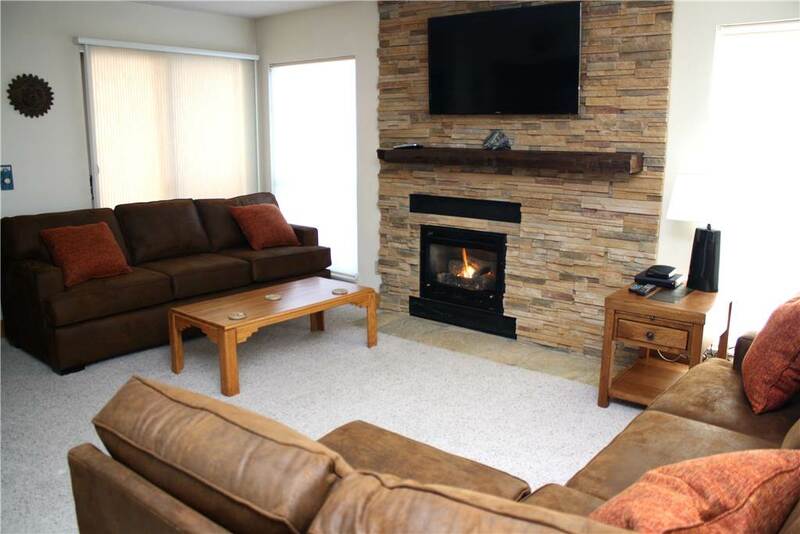 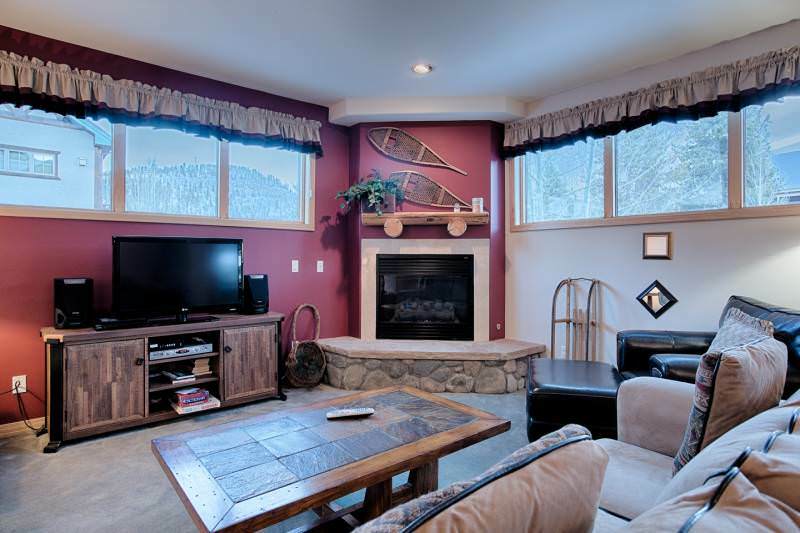 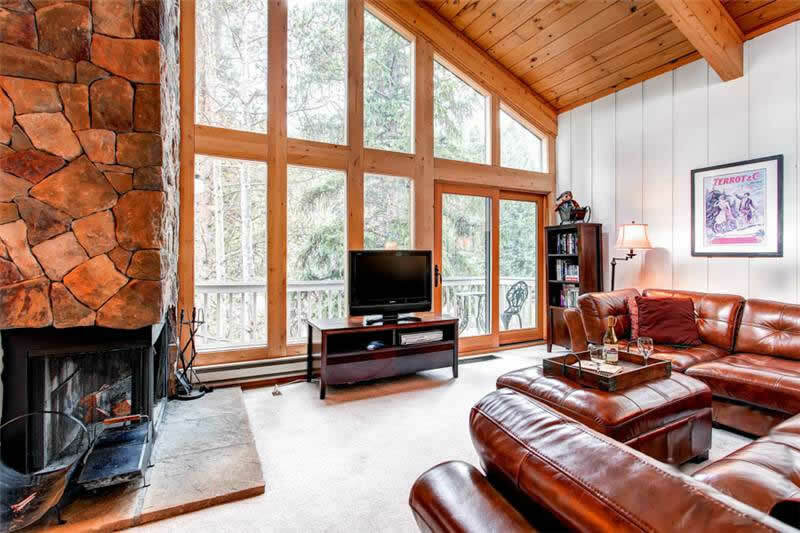 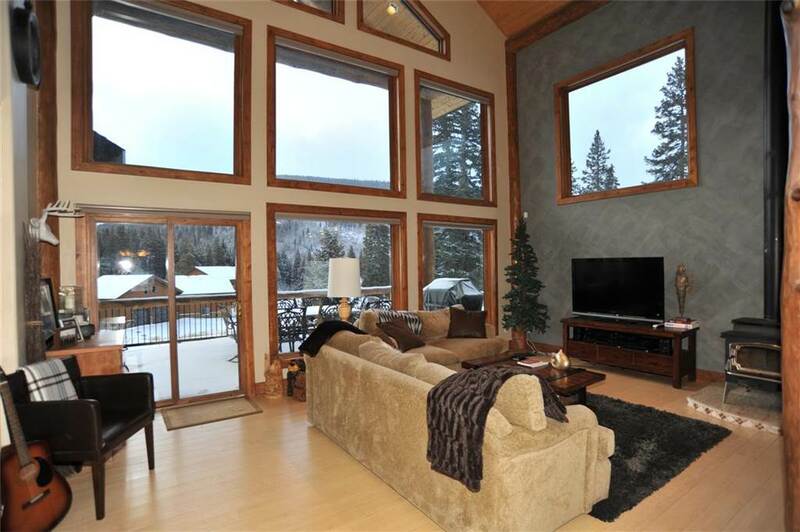 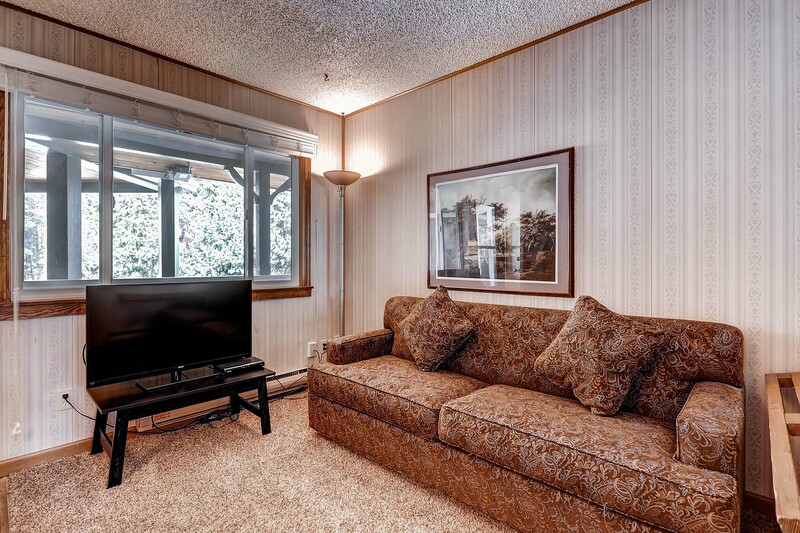 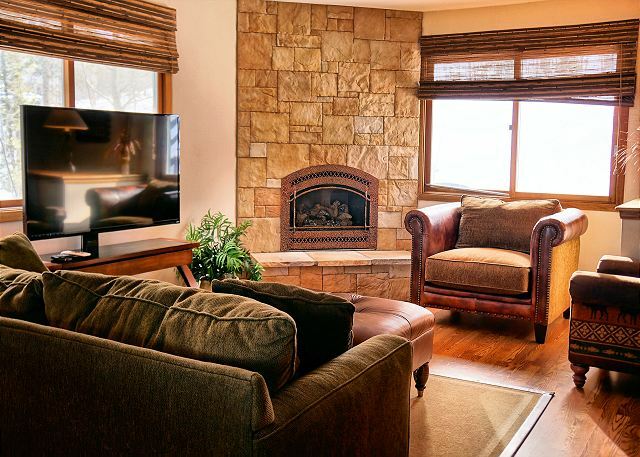 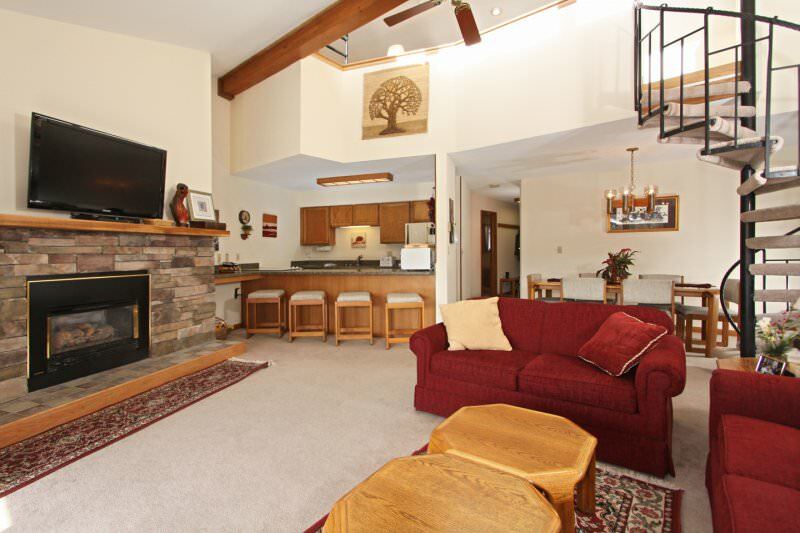 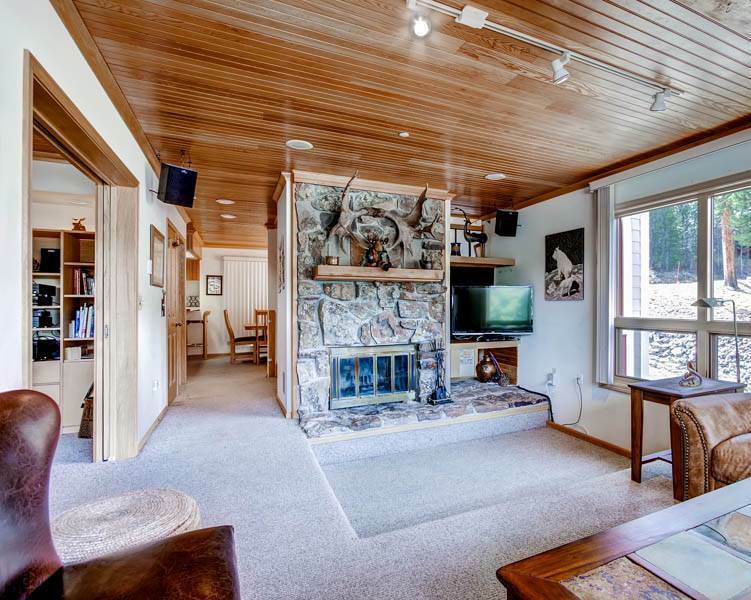 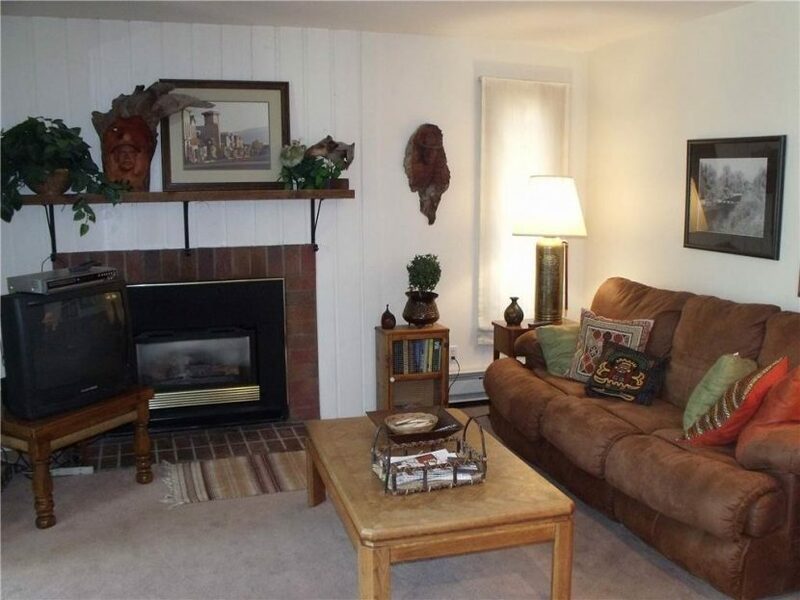 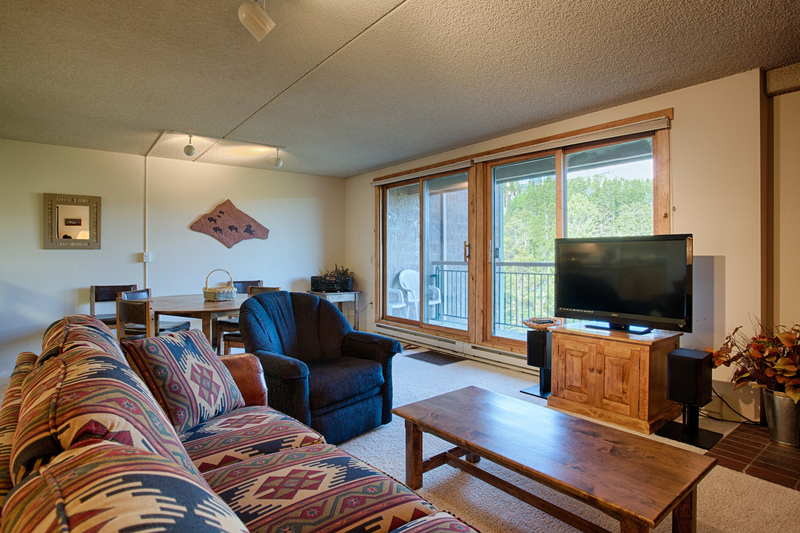 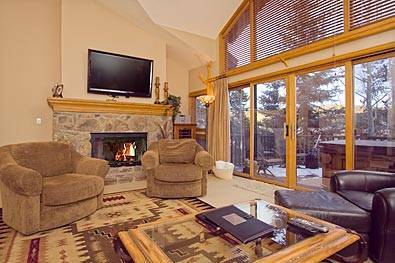 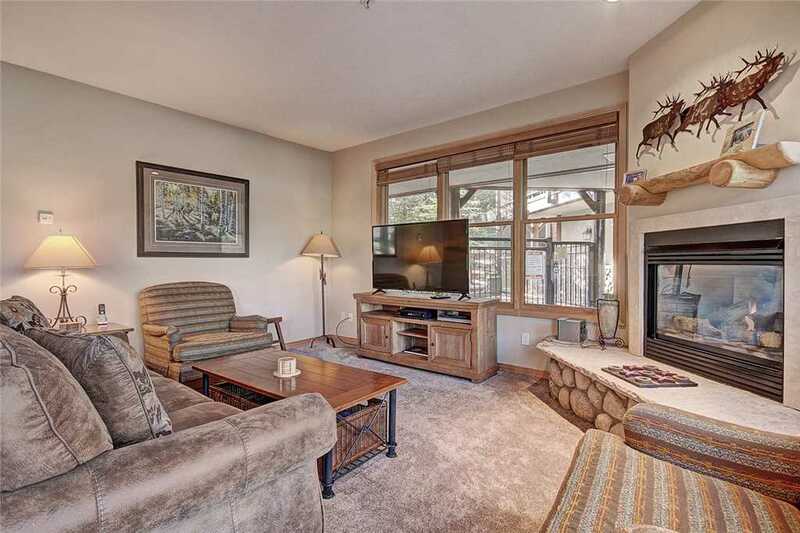 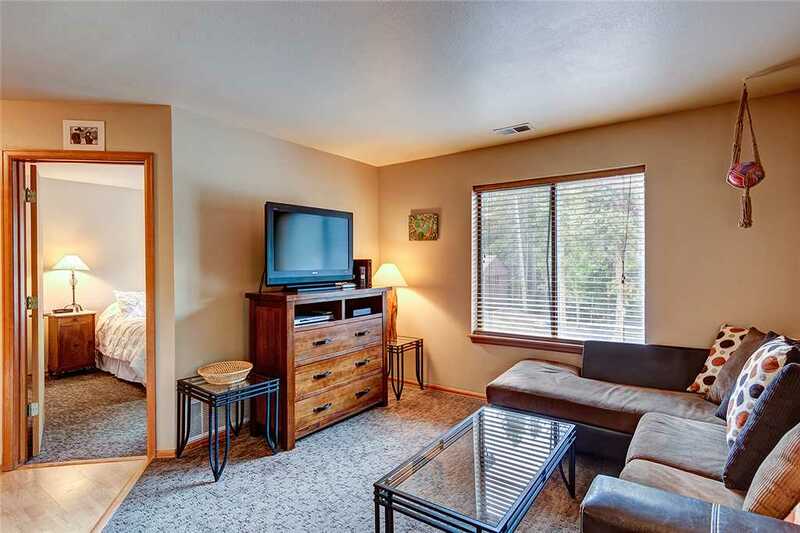 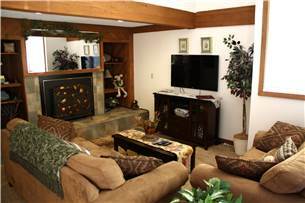 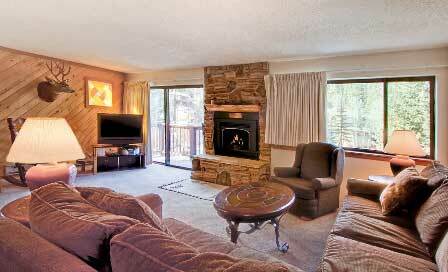 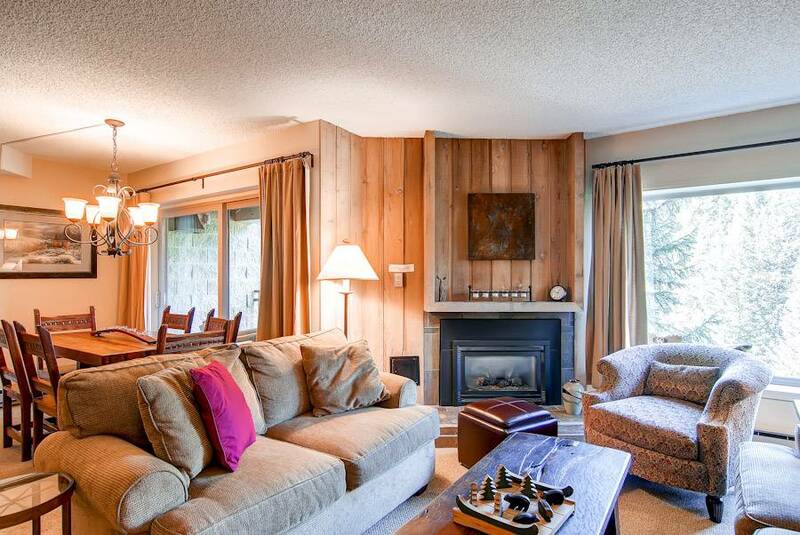 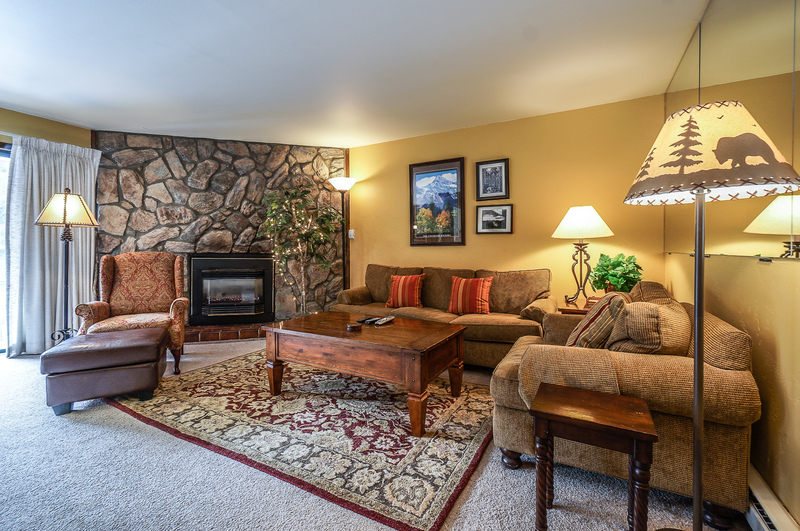 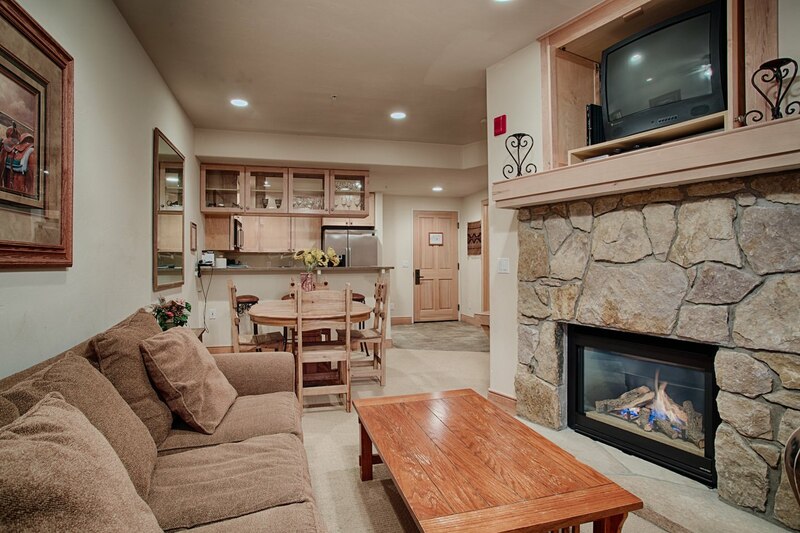 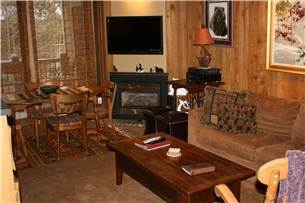 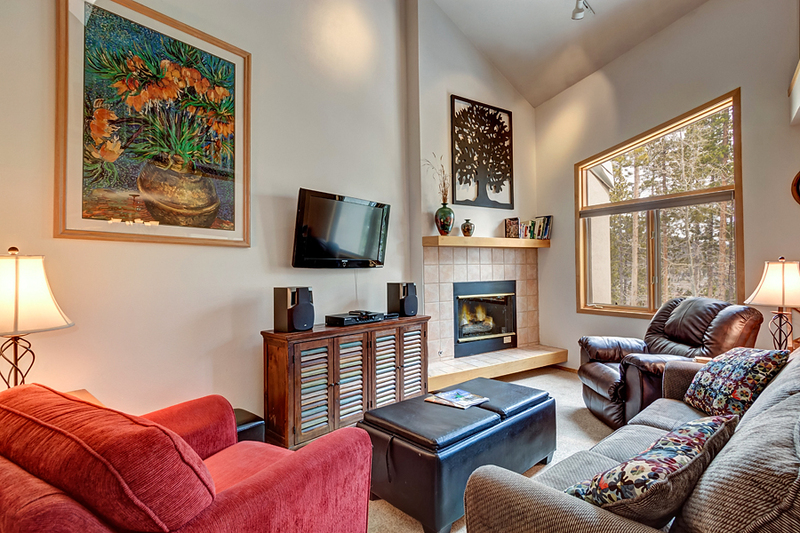 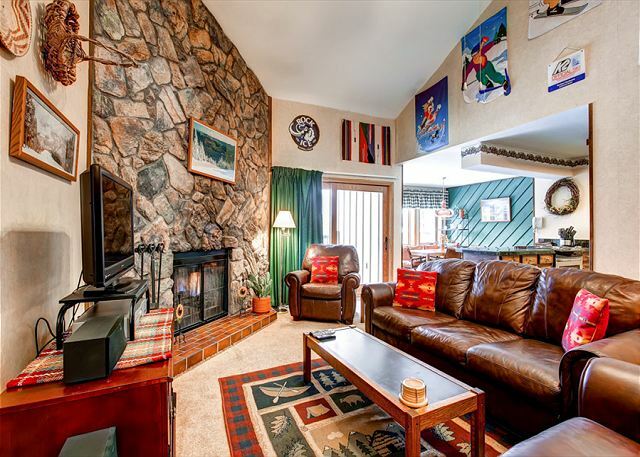 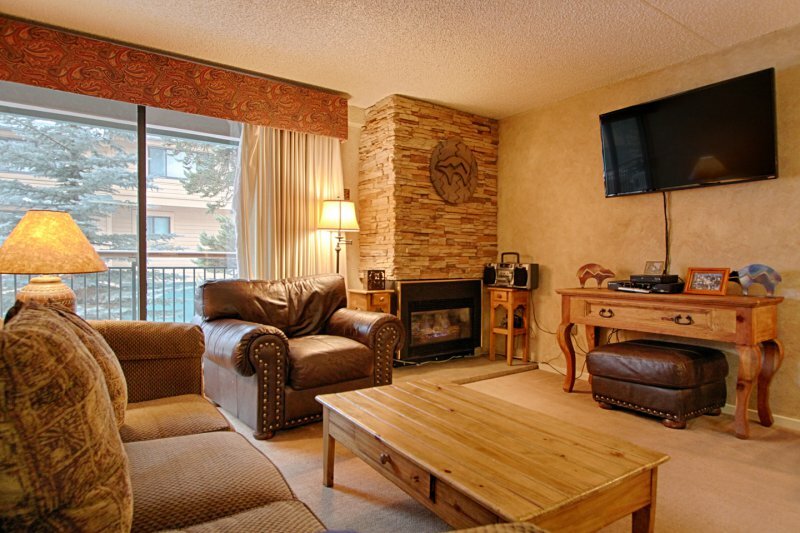 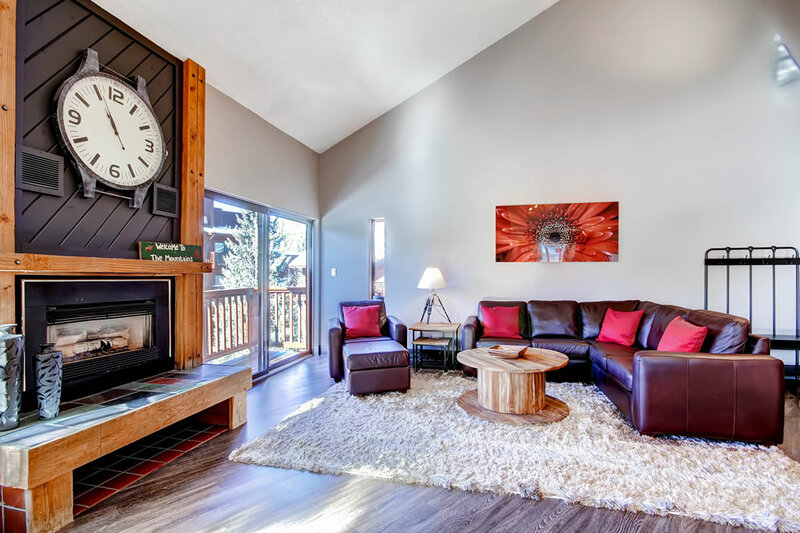 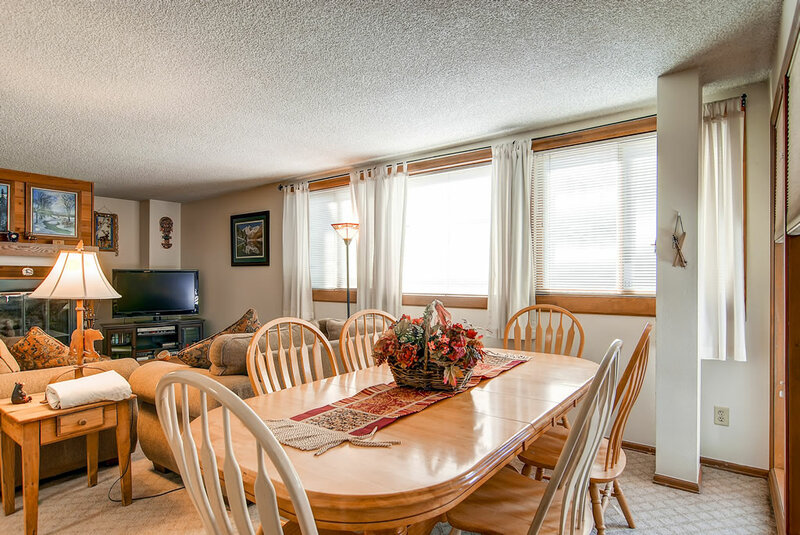 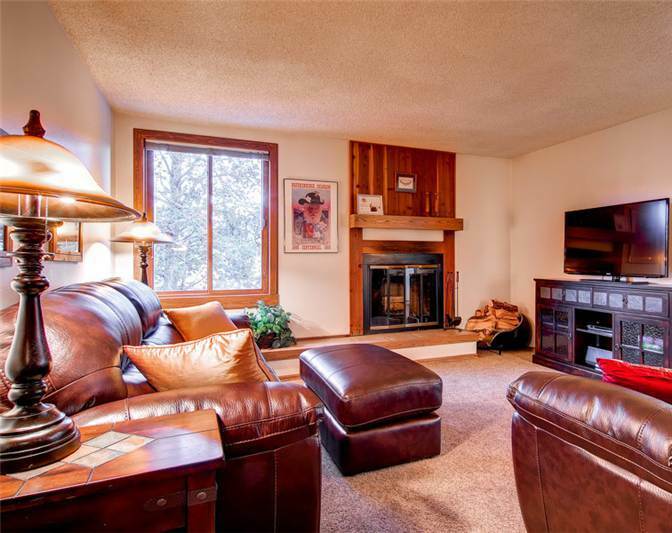 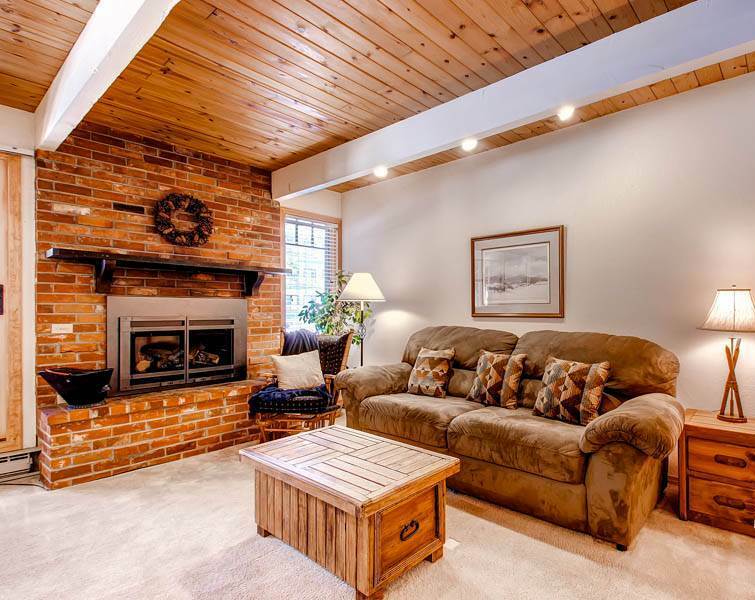 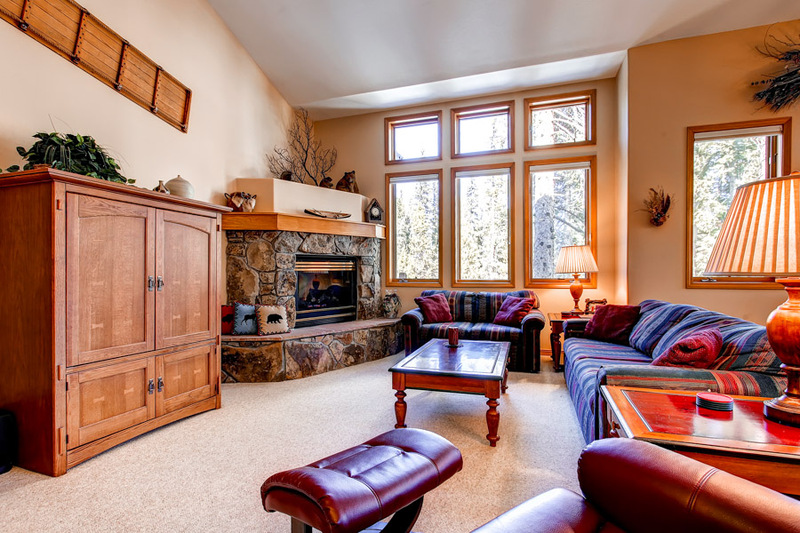 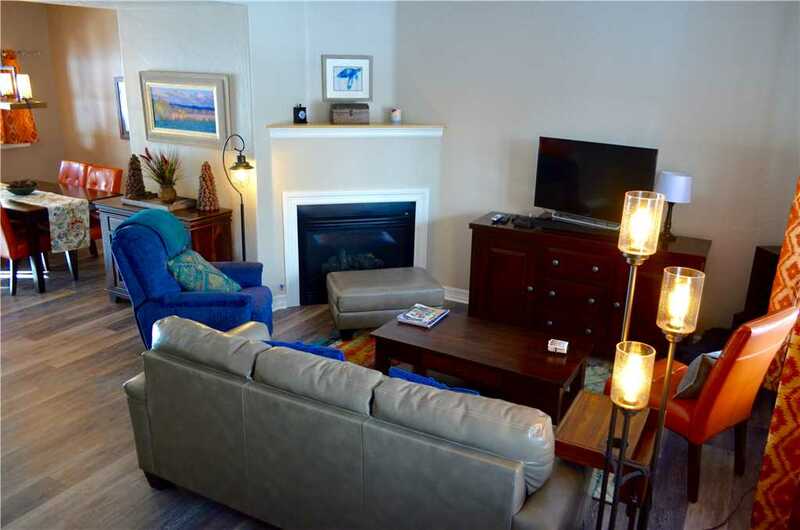 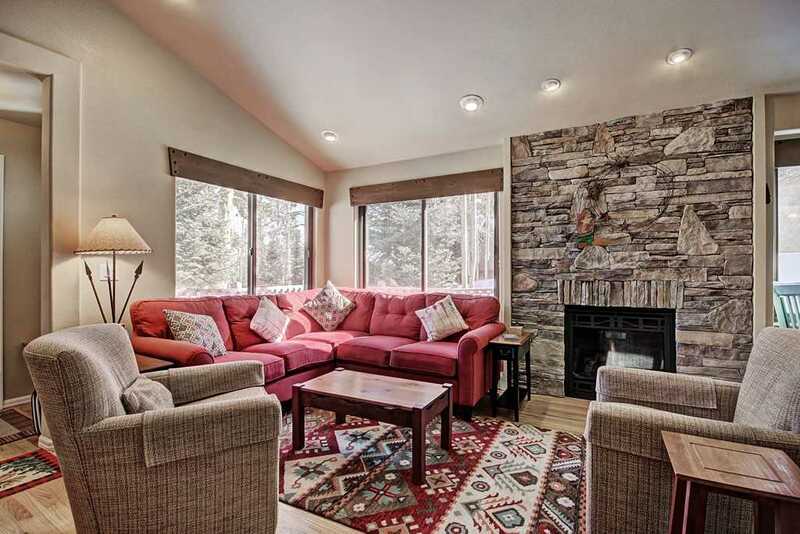 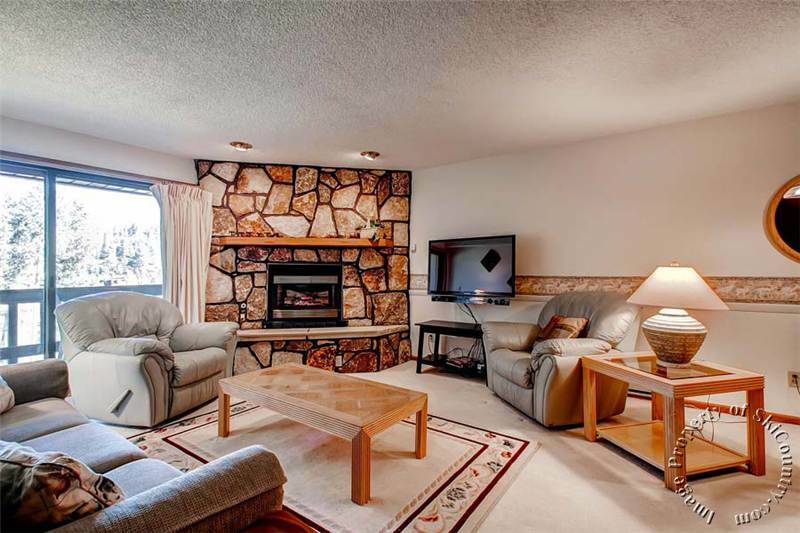 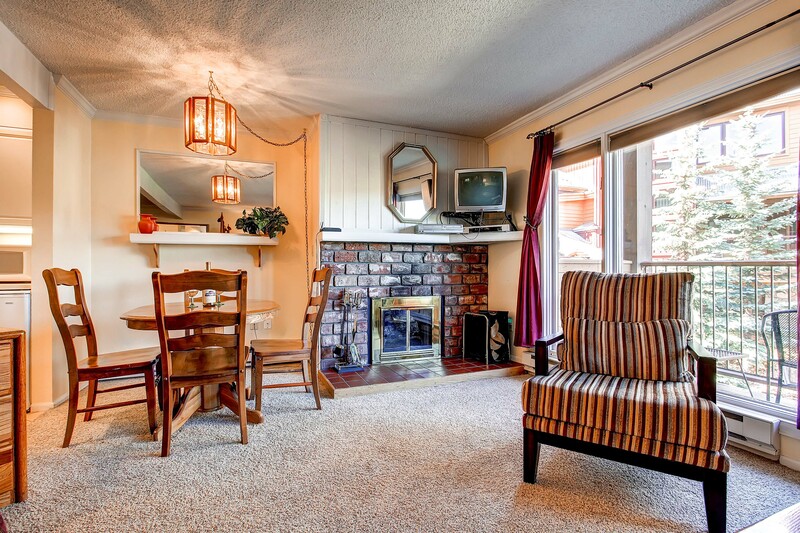 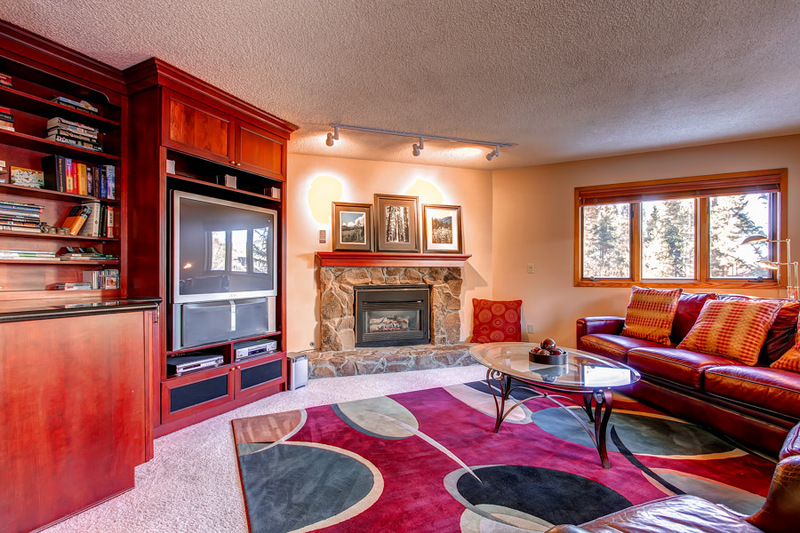 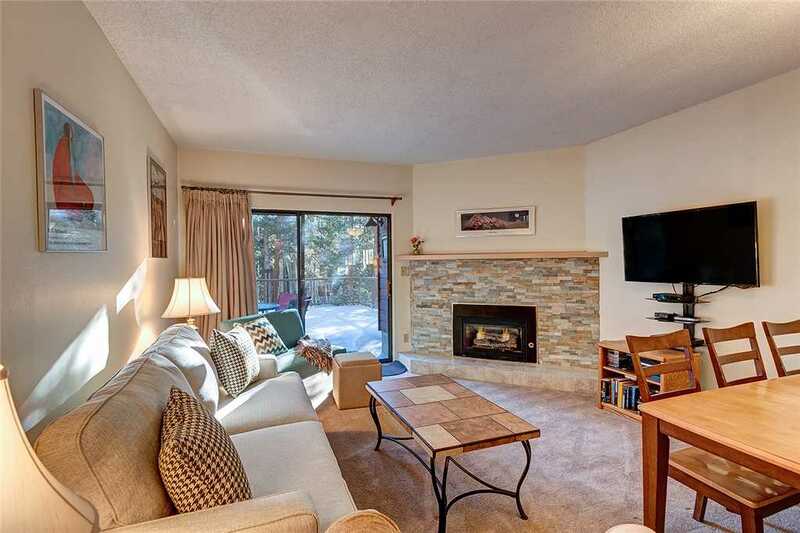 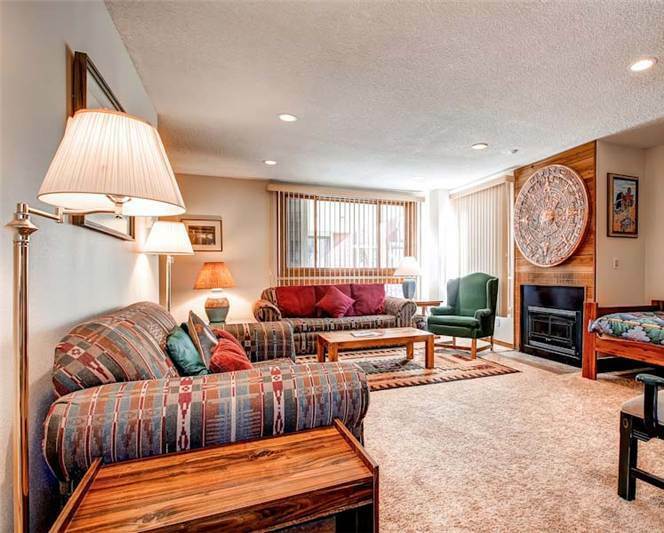 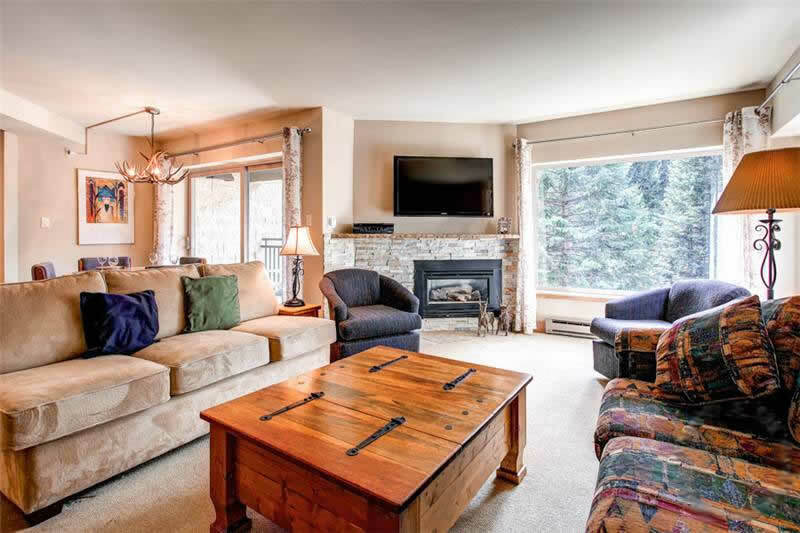 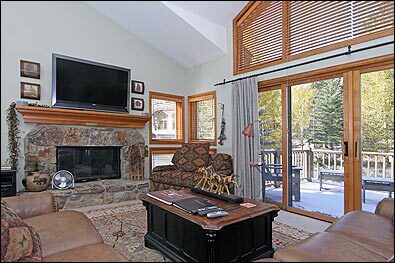 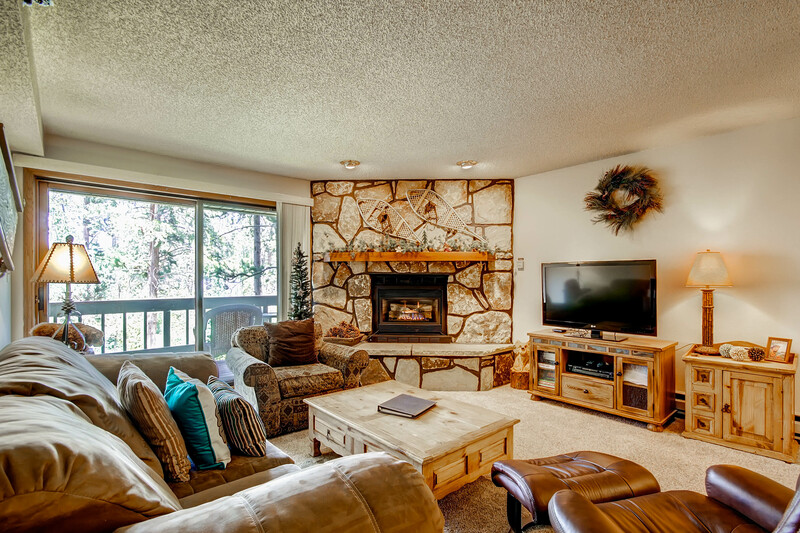 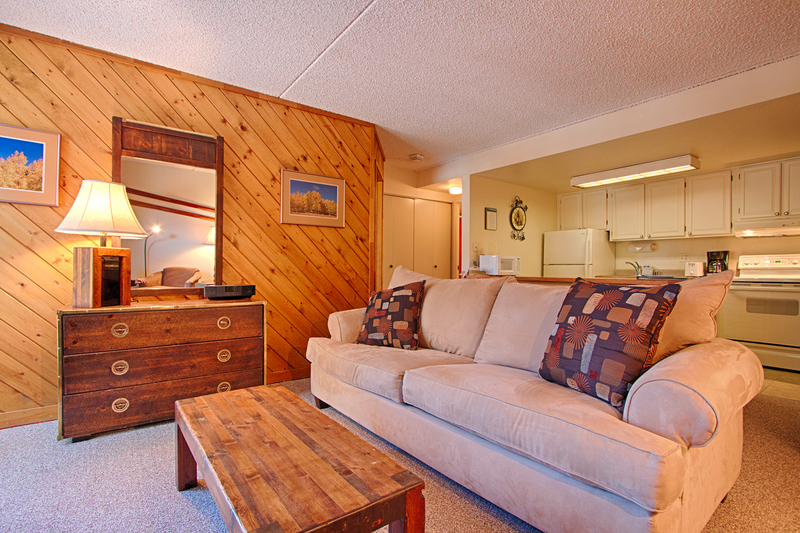 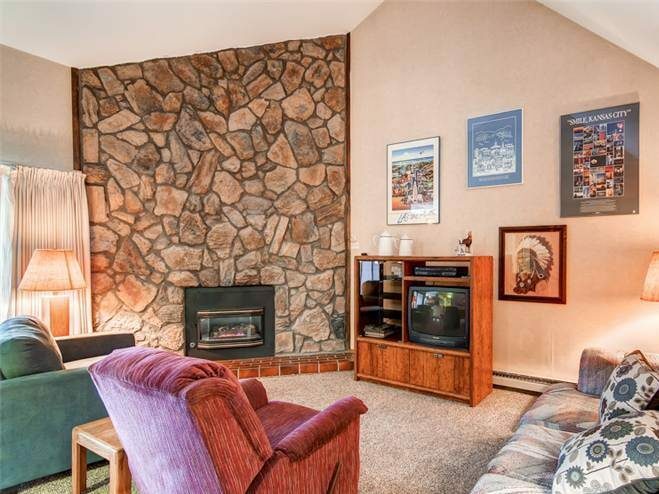 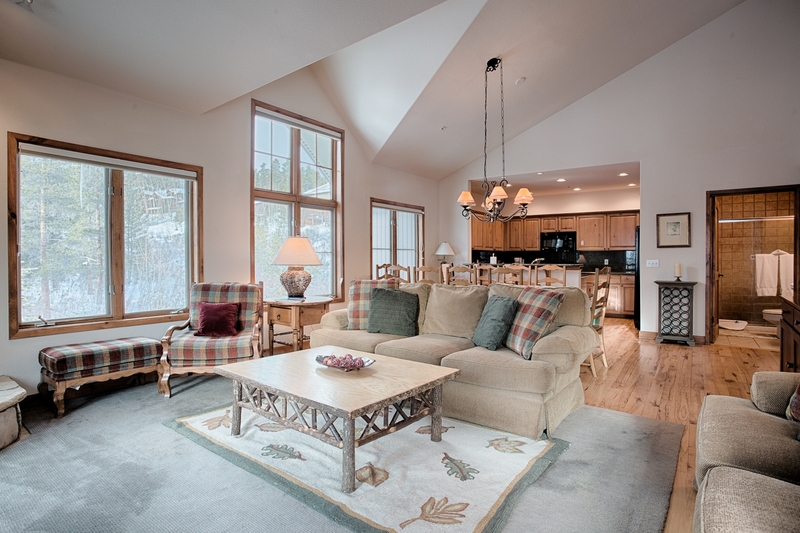 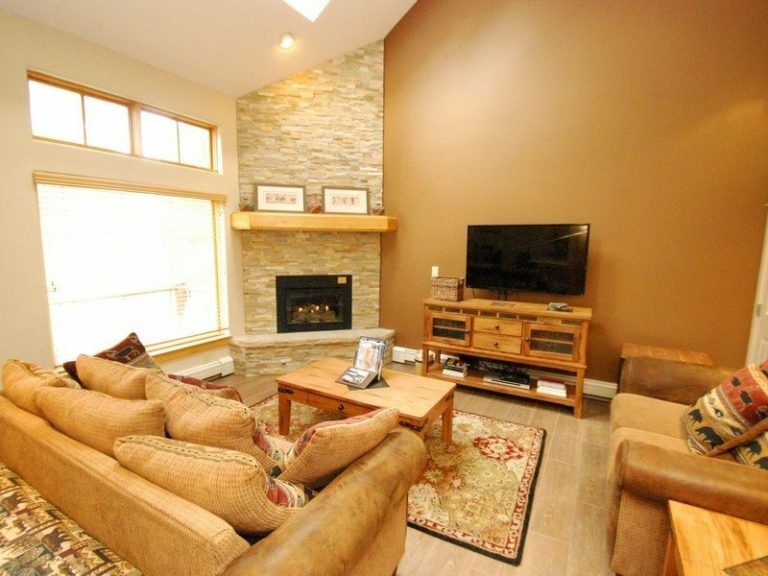 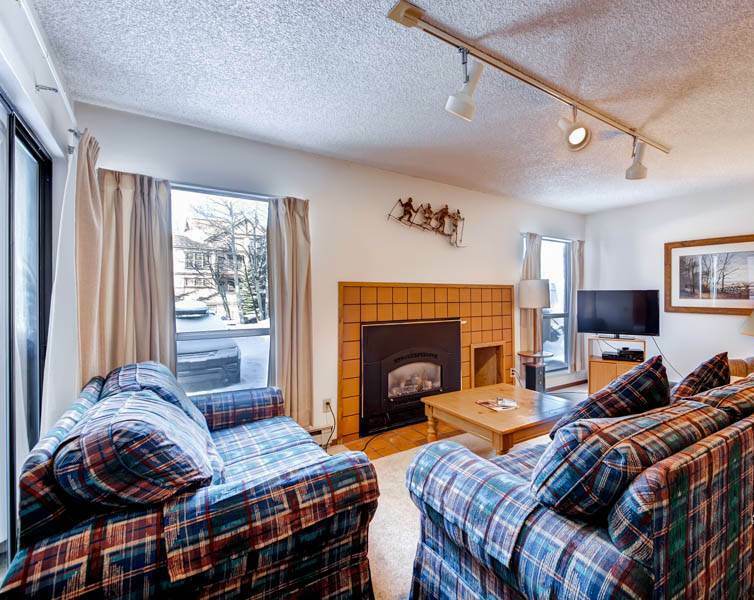 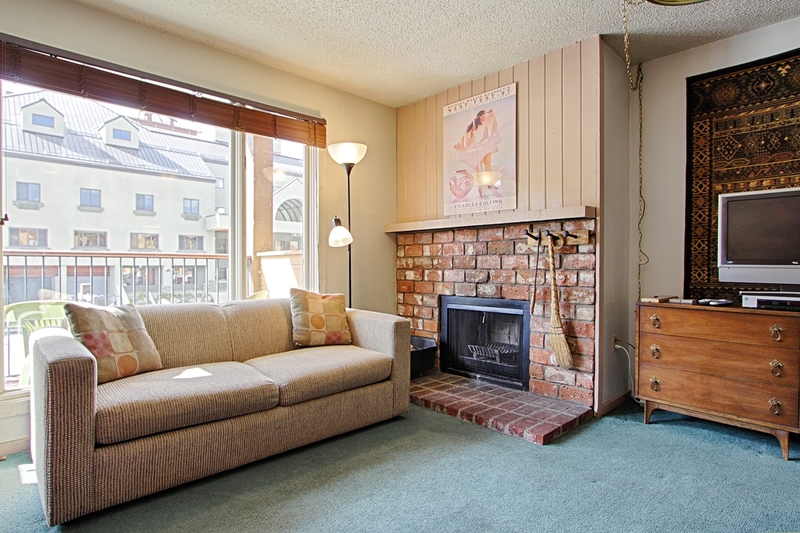 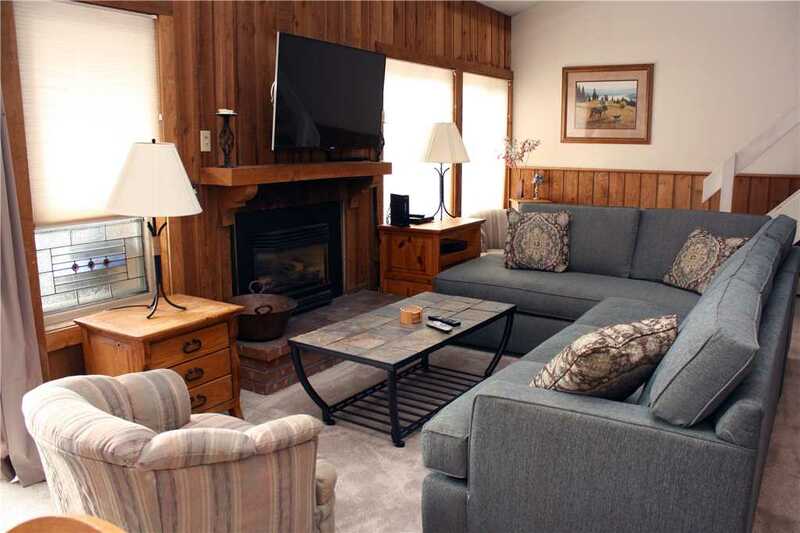 The large, open living room welcomes you as you enter with a beautiful gas fireplace and an LCD TV. 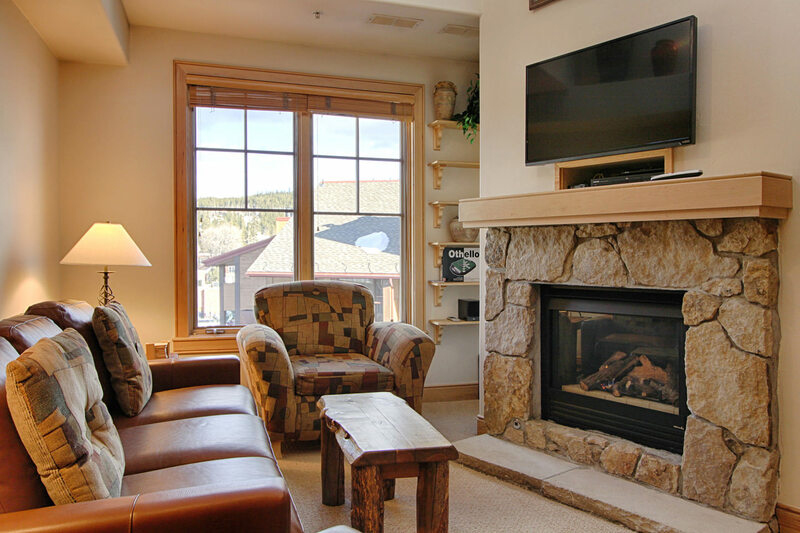 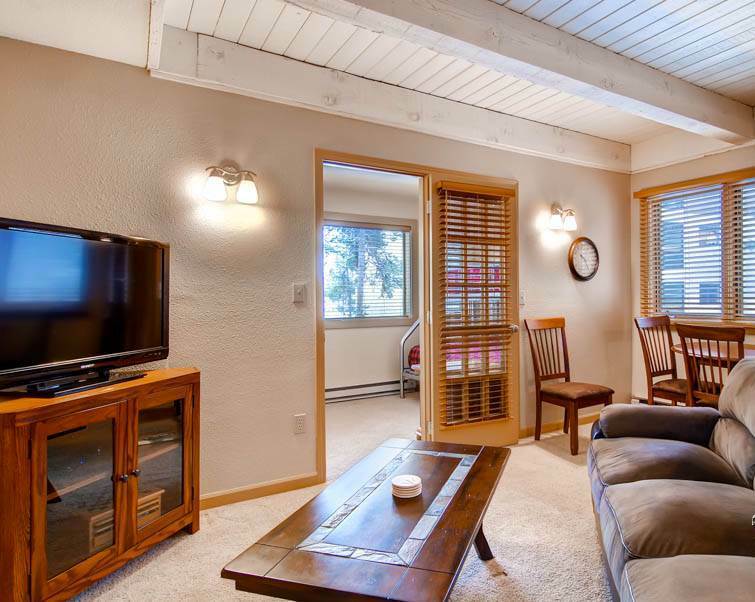 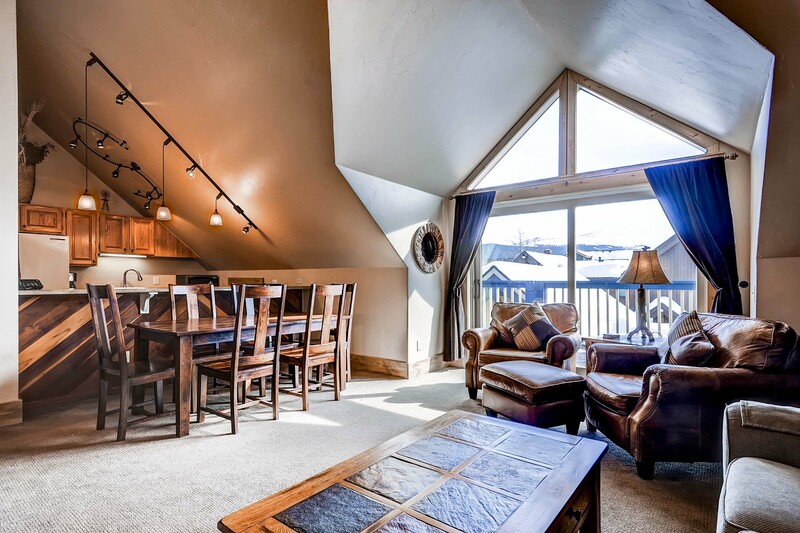 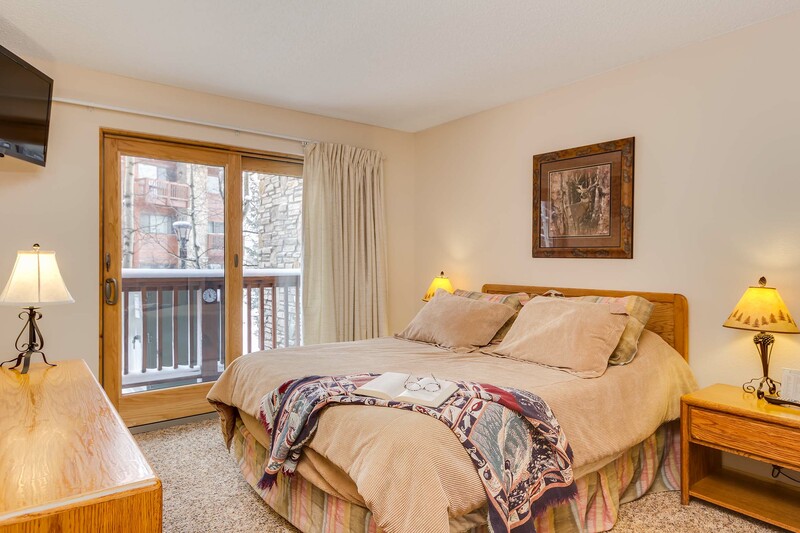 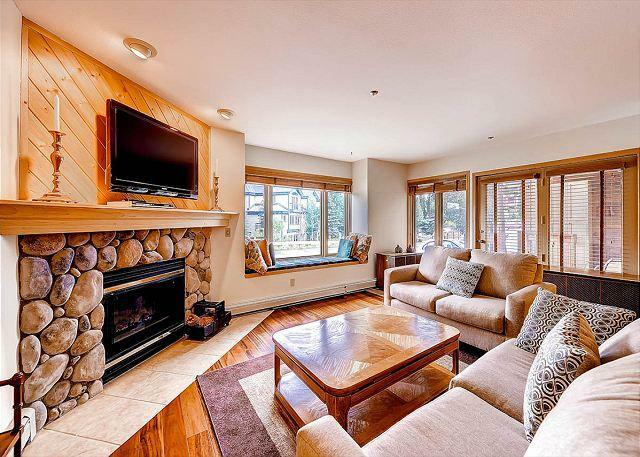 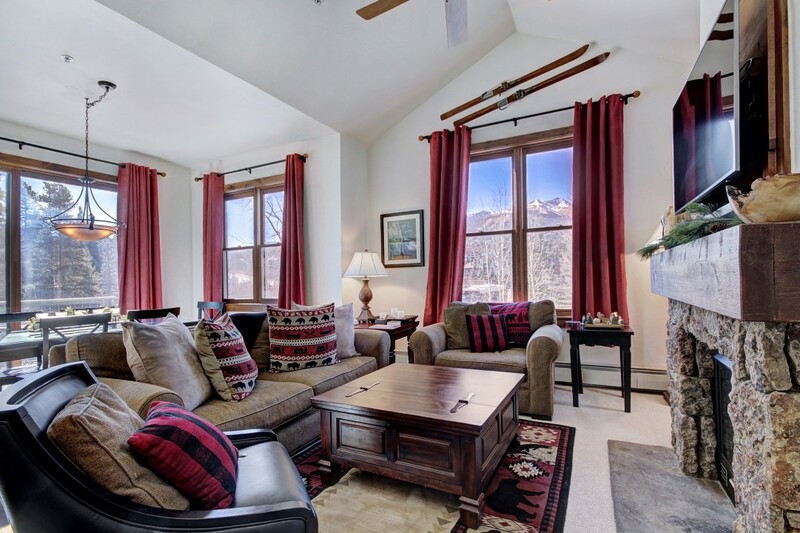 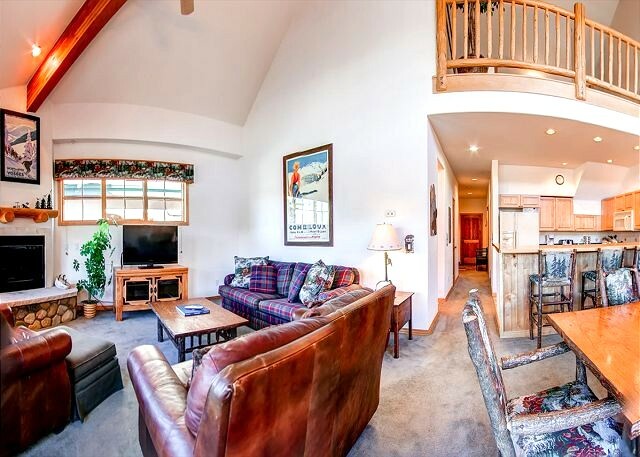 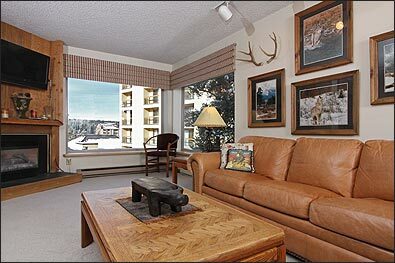 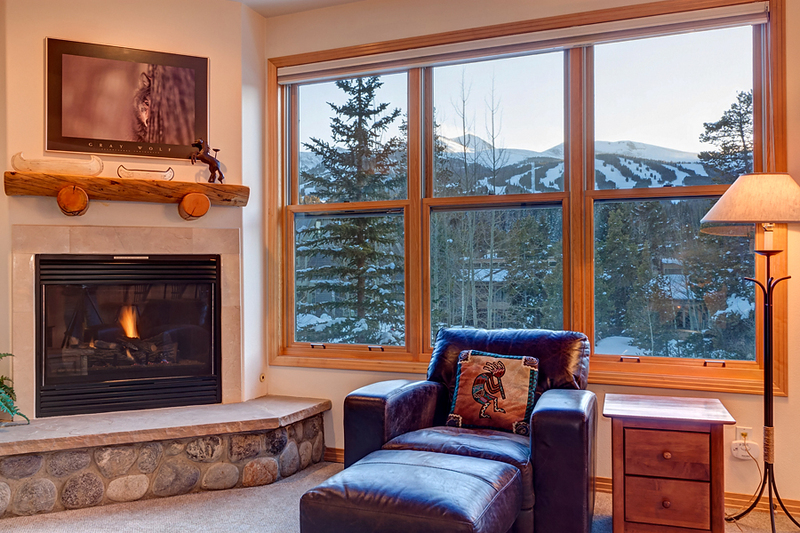 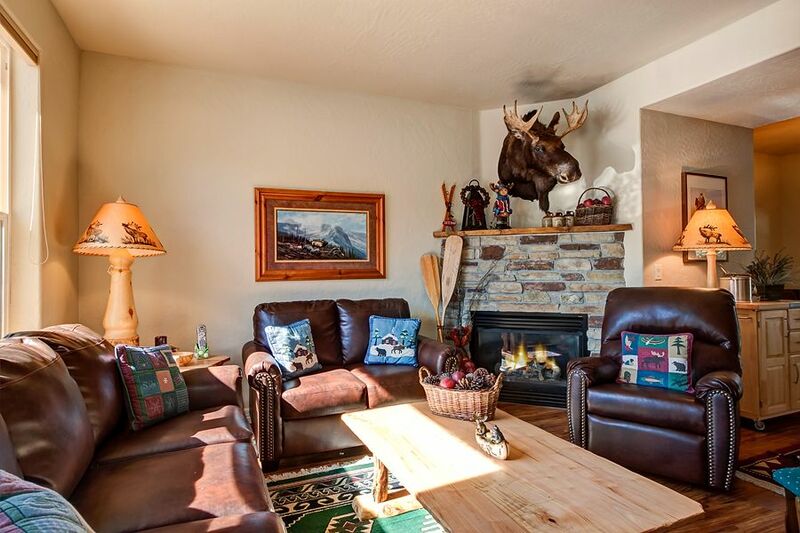 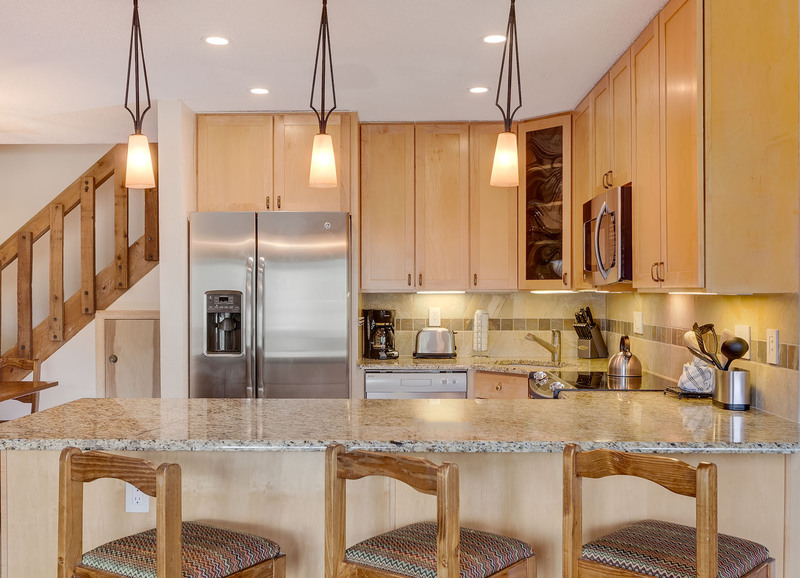 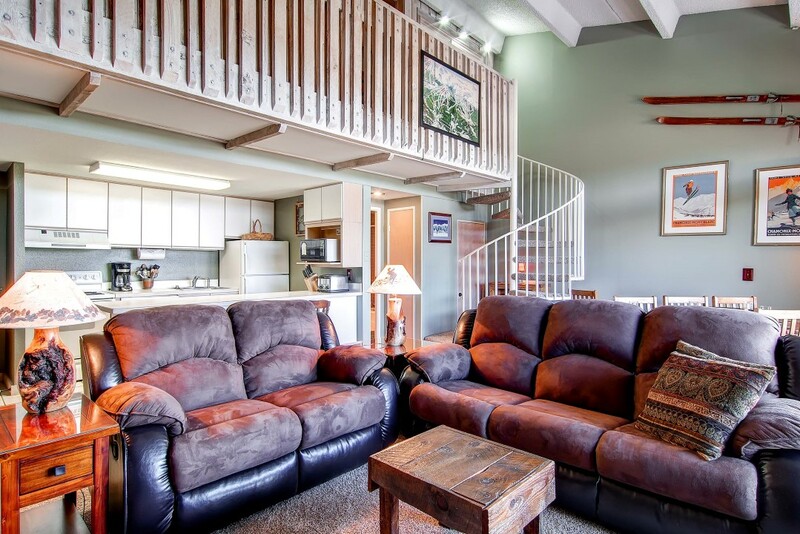 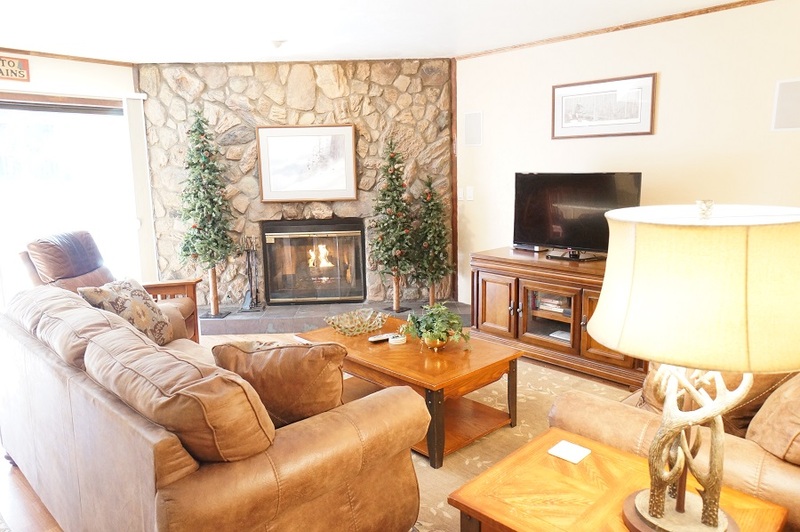 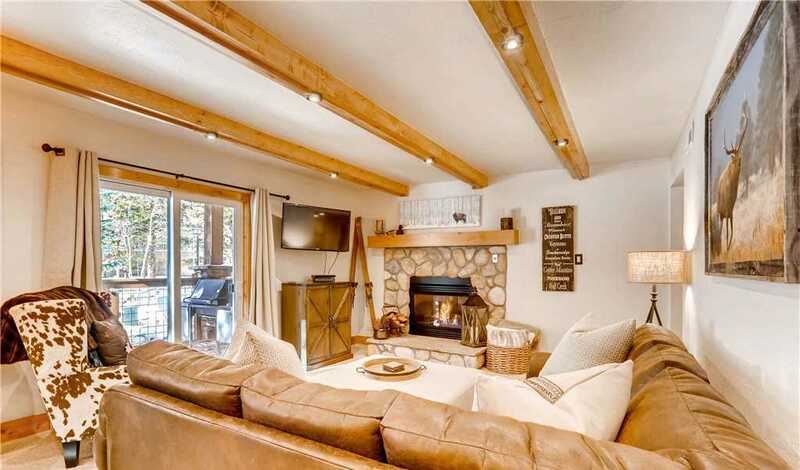 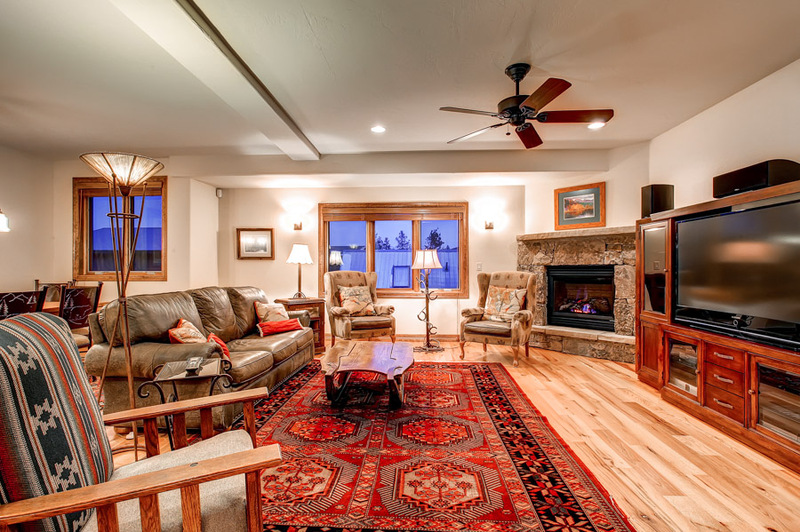 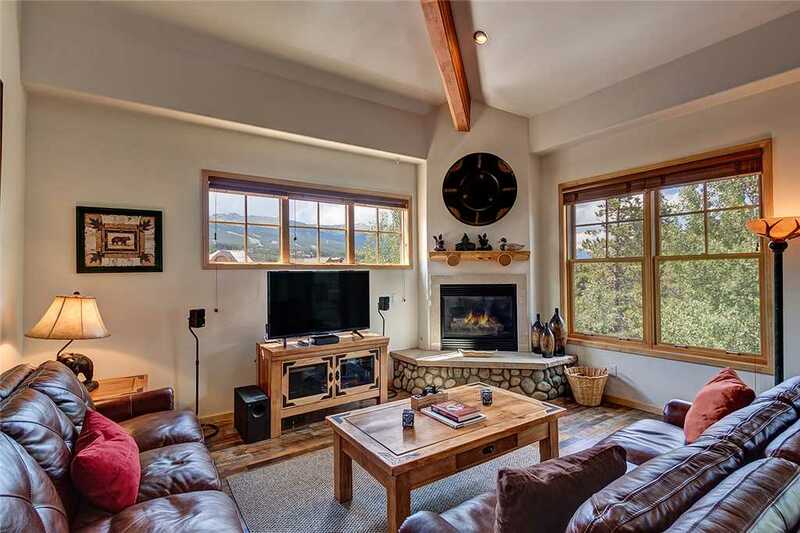 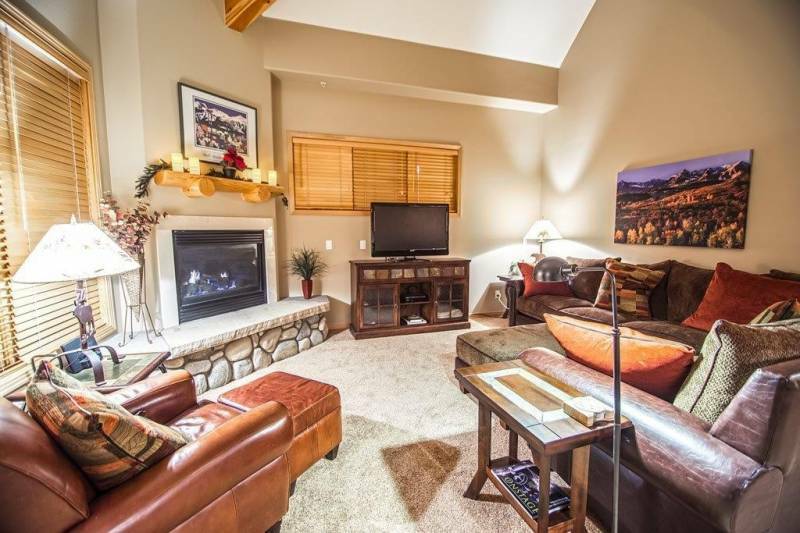 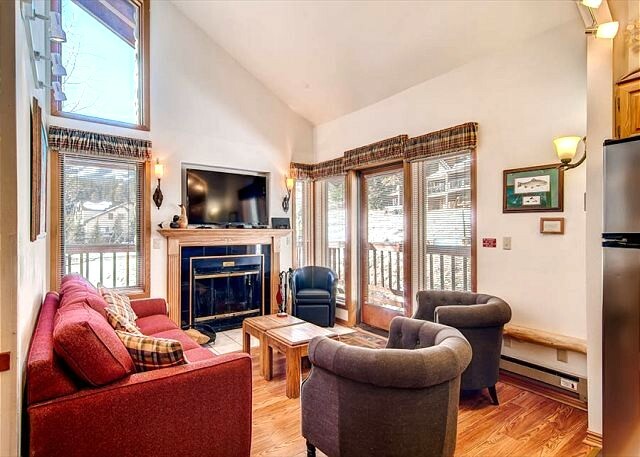 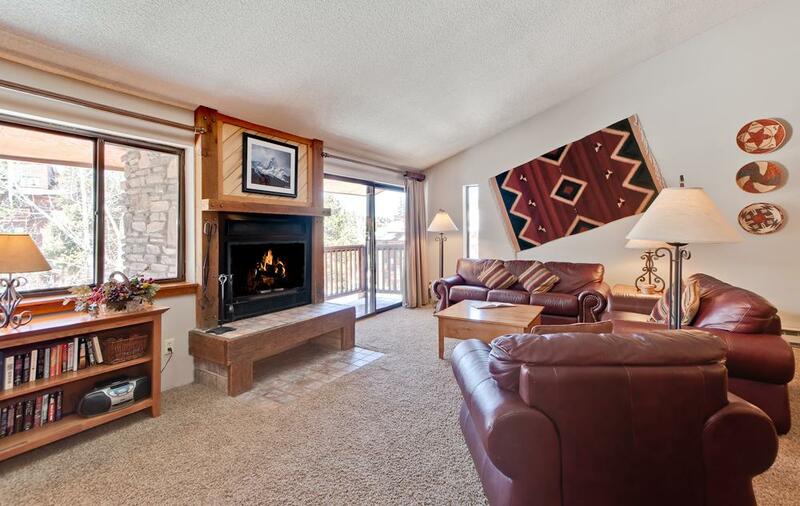 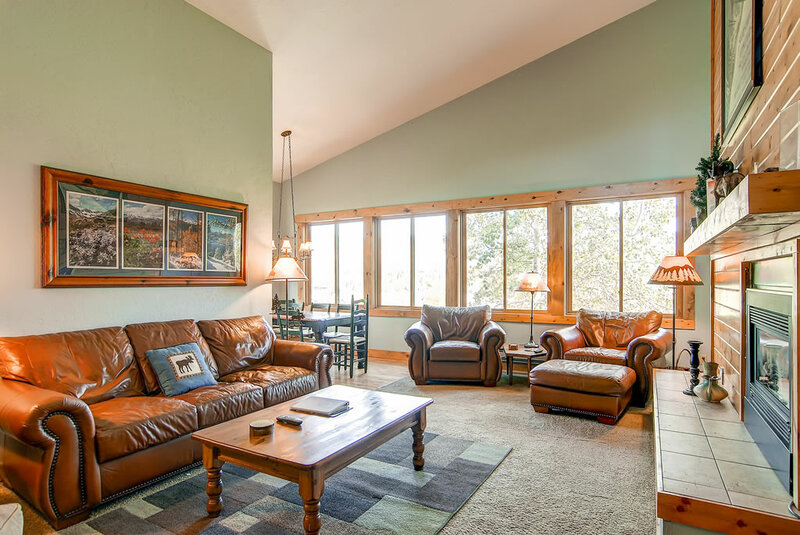 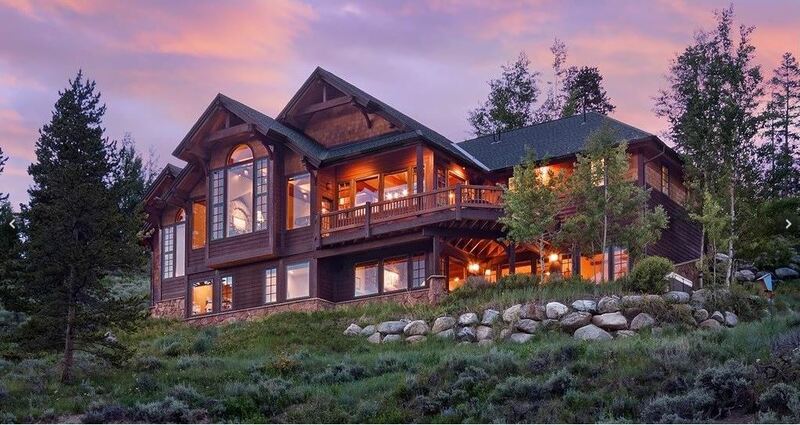 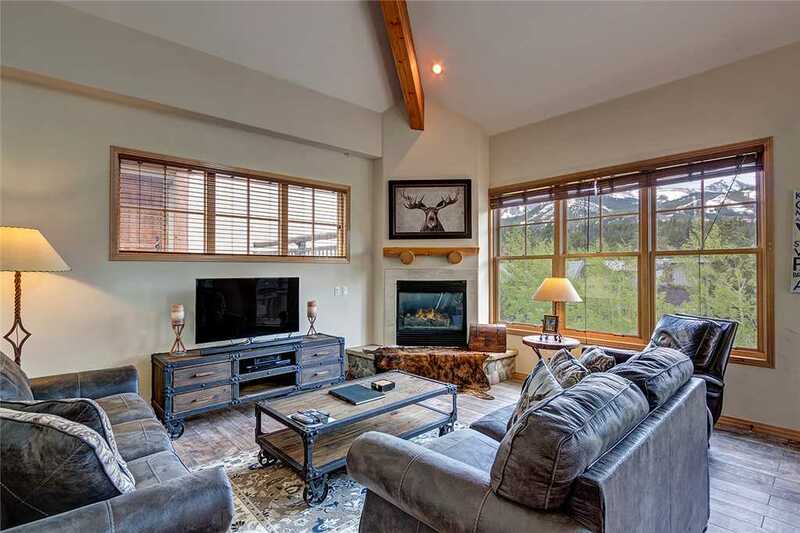 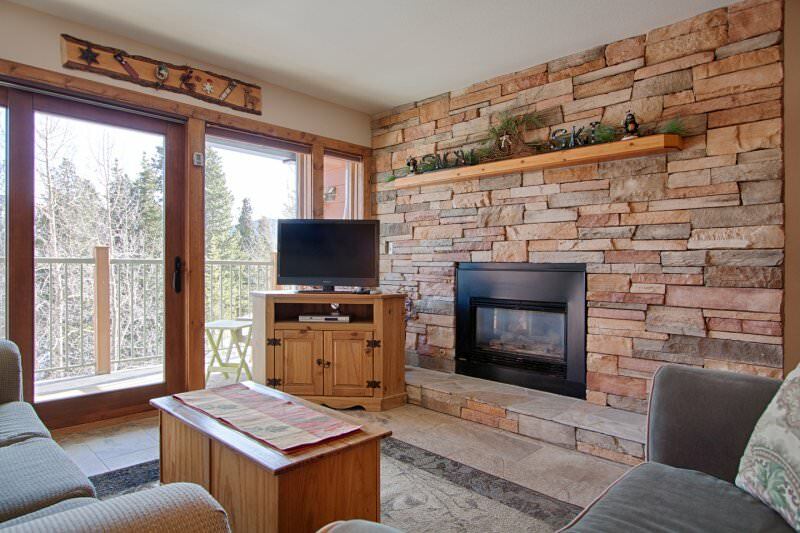 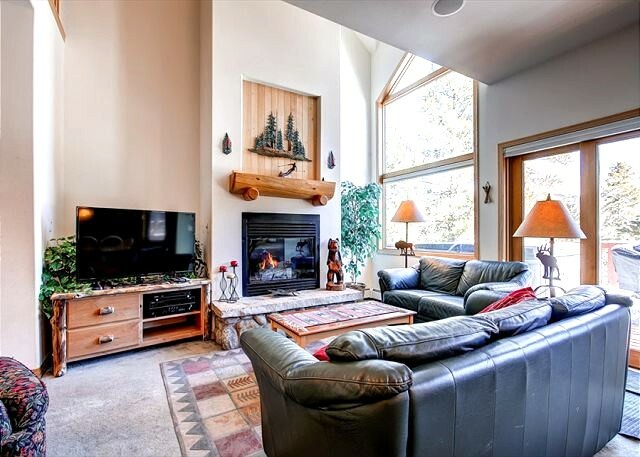 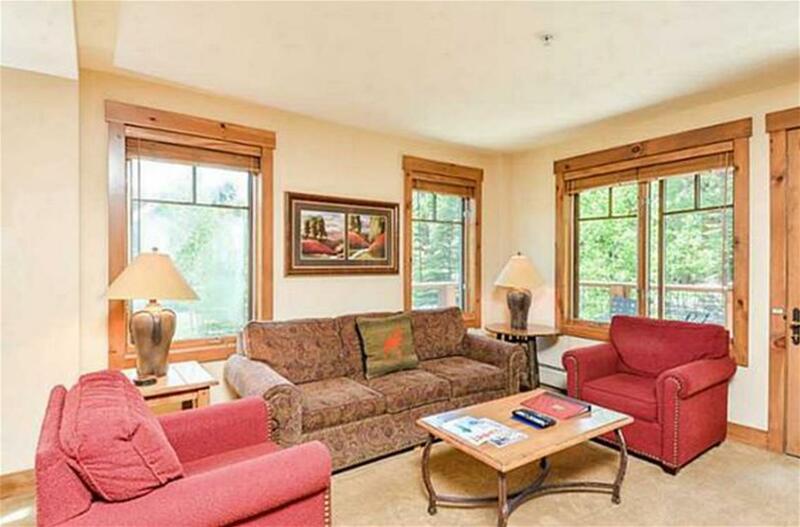 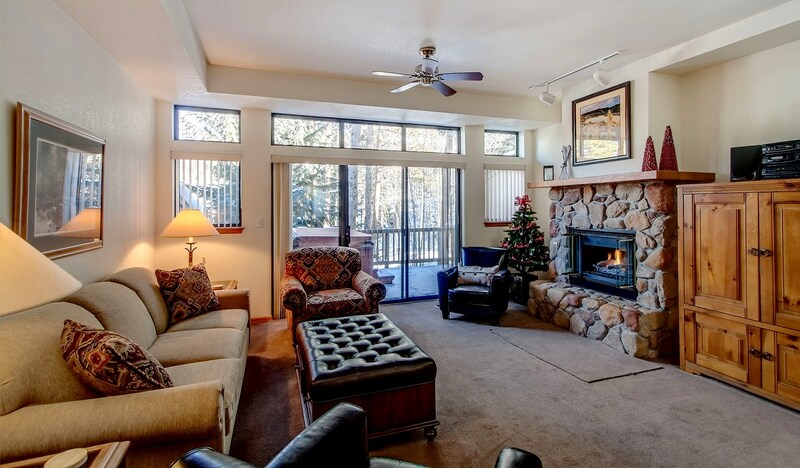 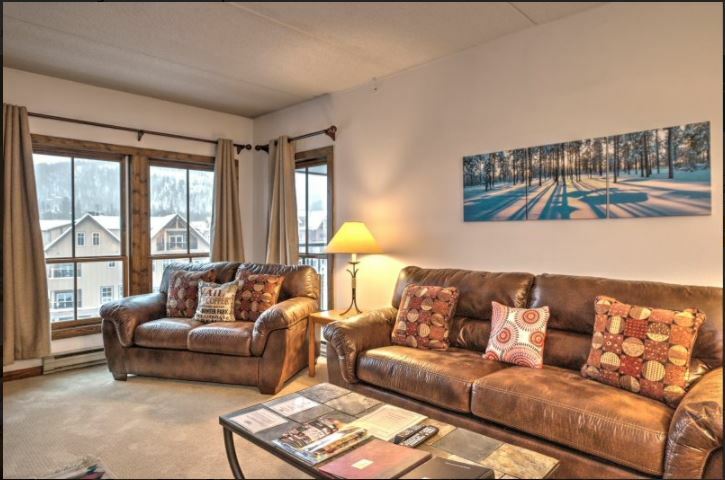 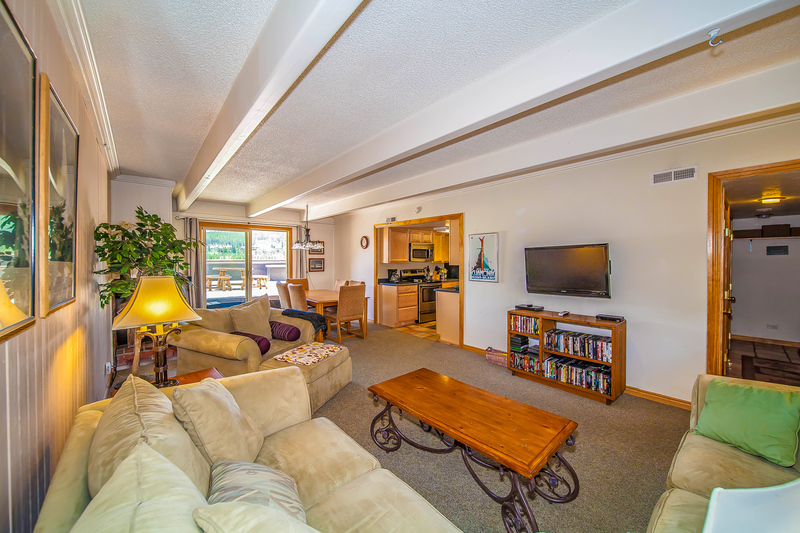 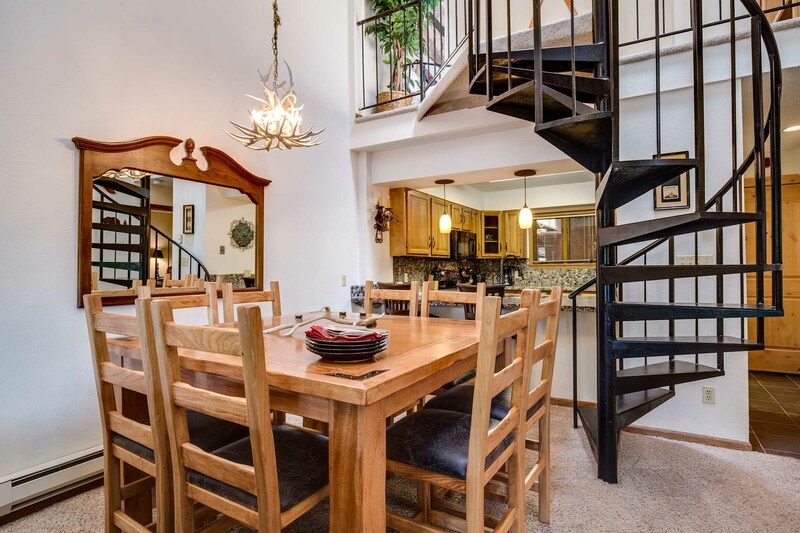 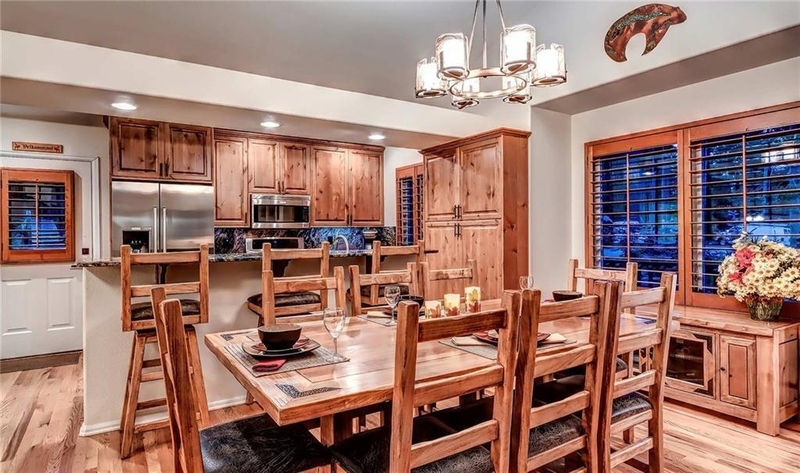 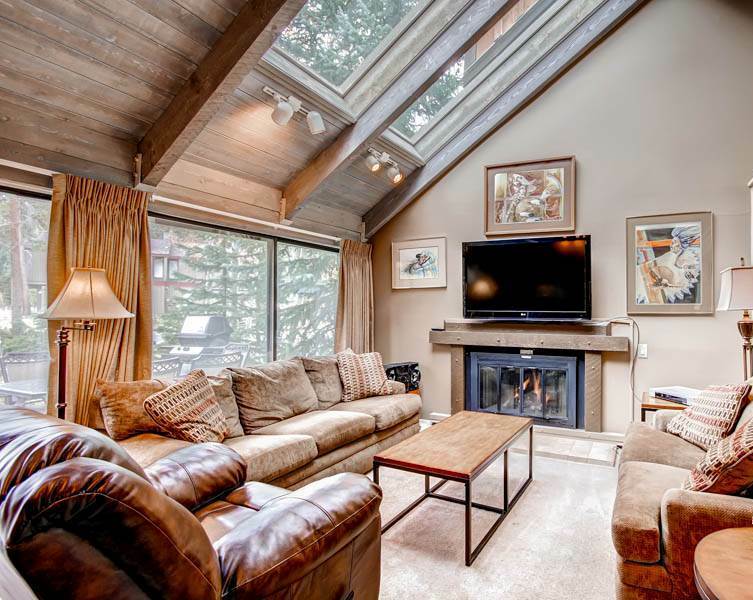 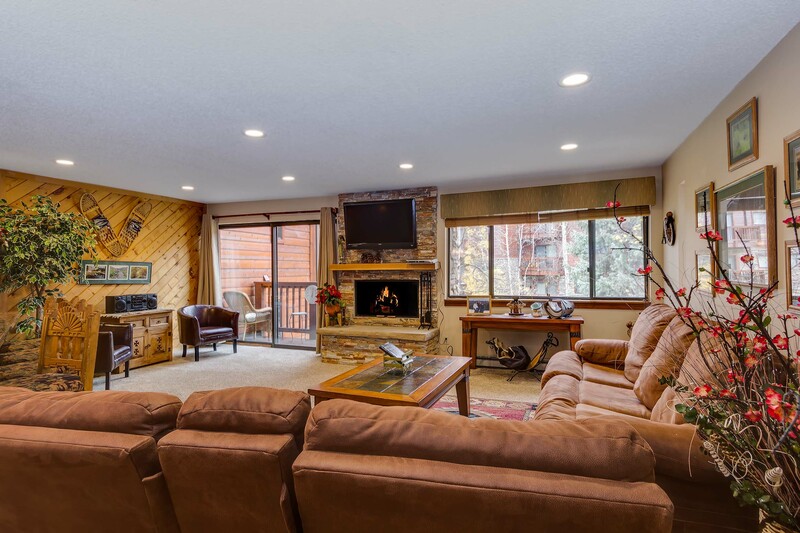 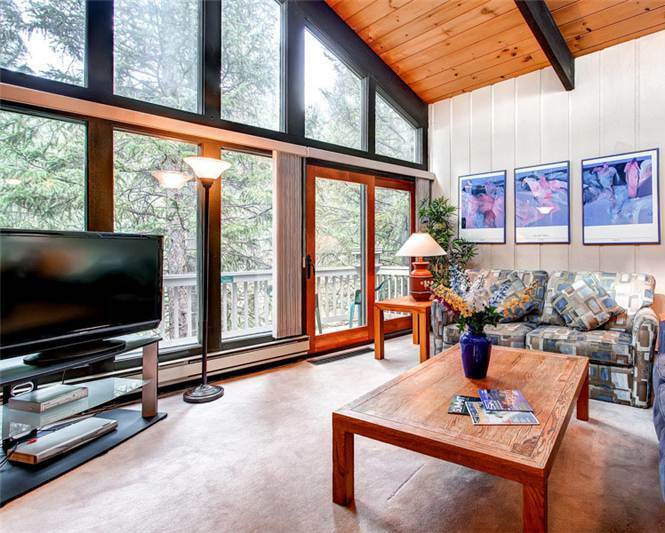 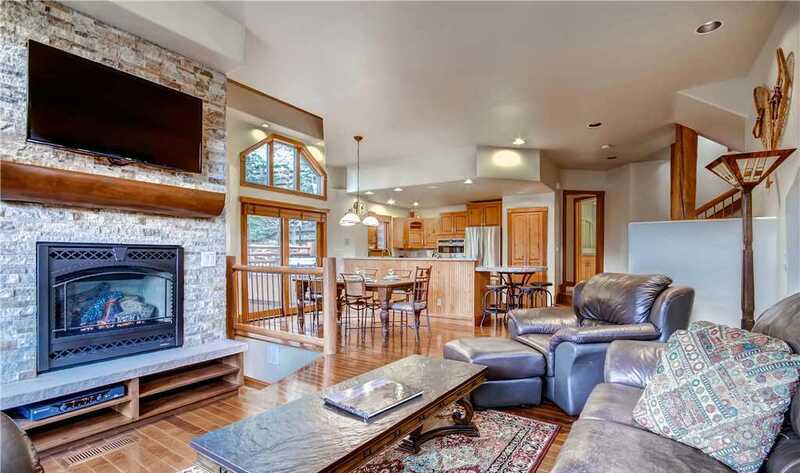 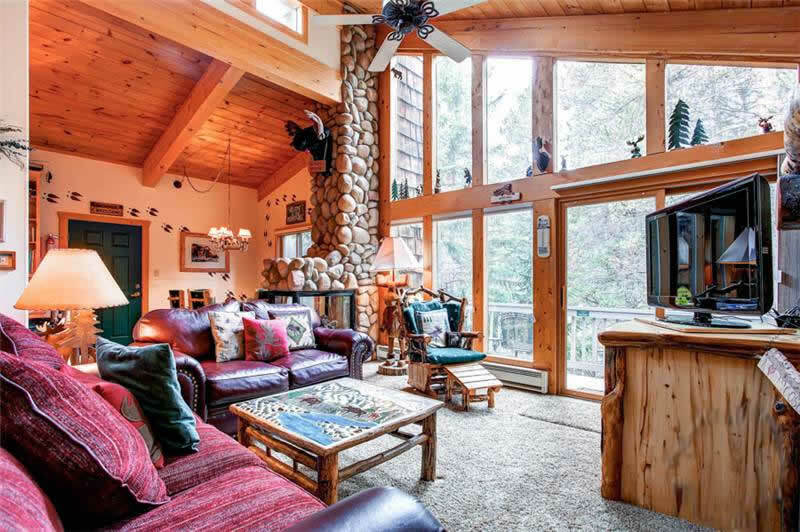 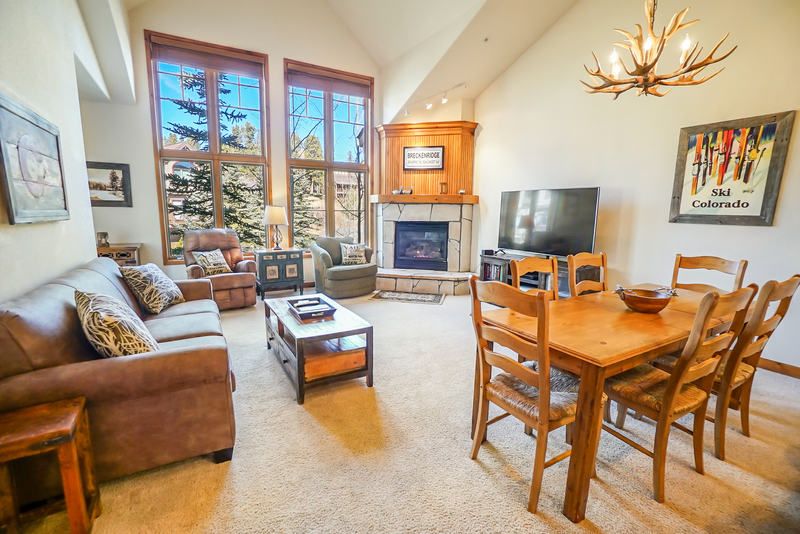 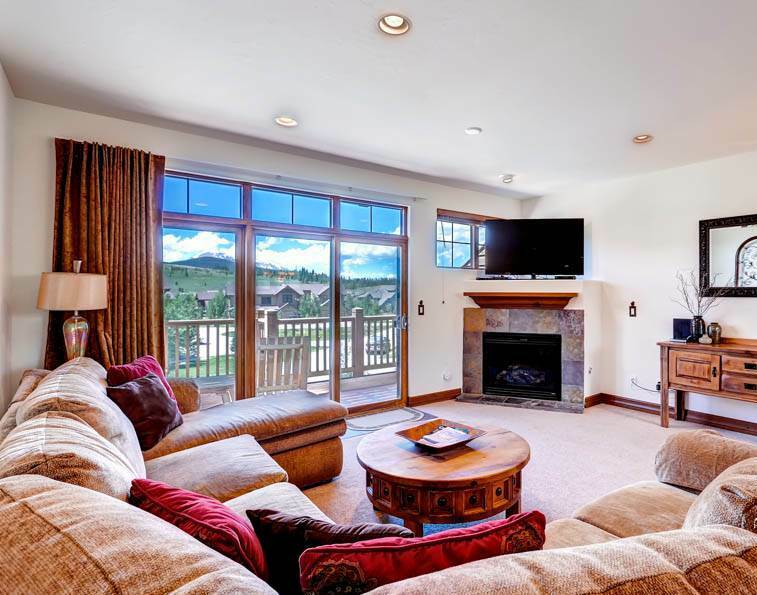 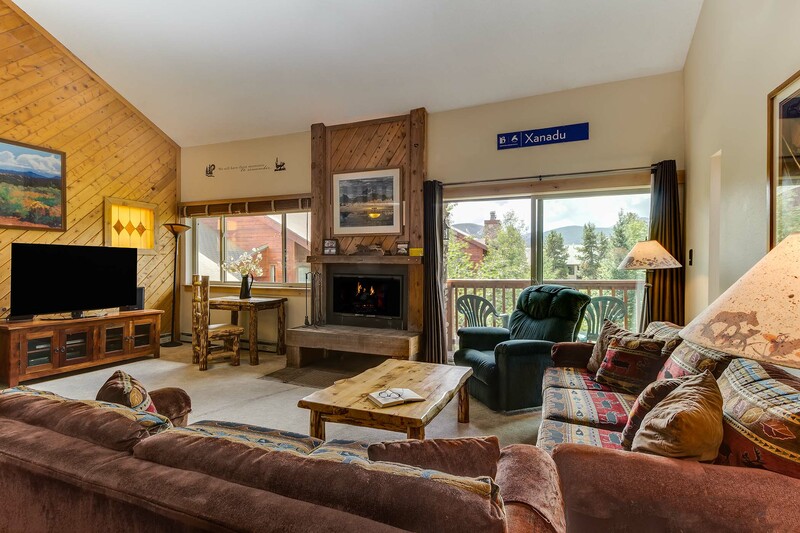 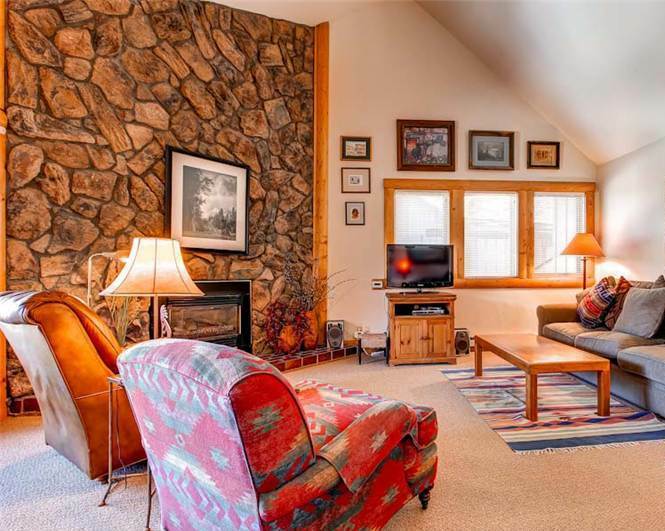 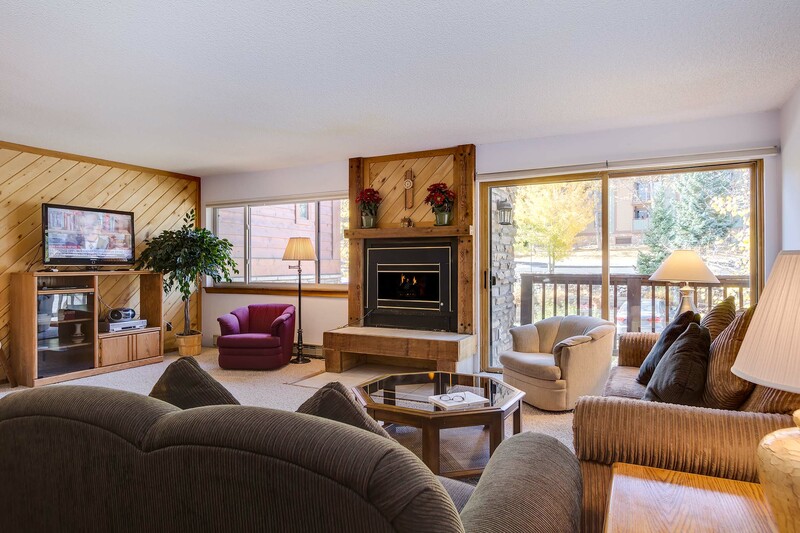 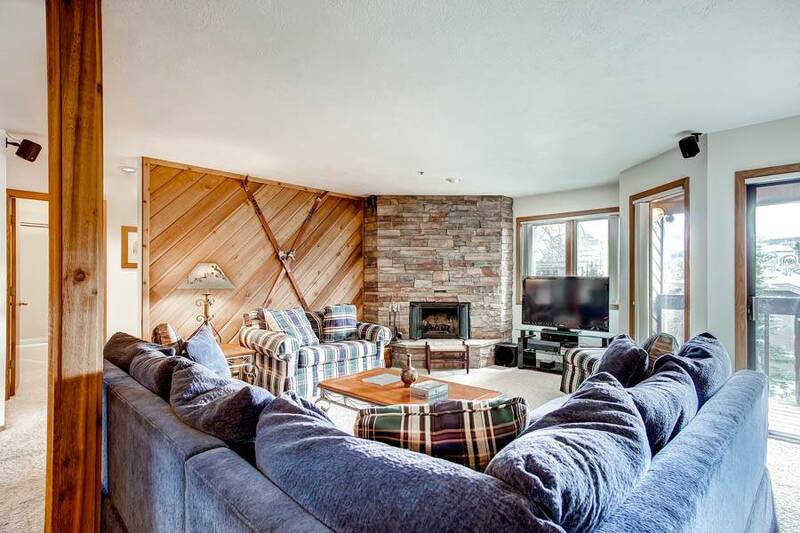 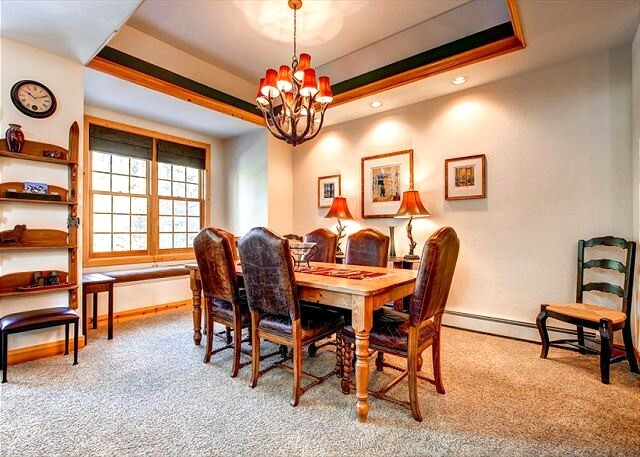 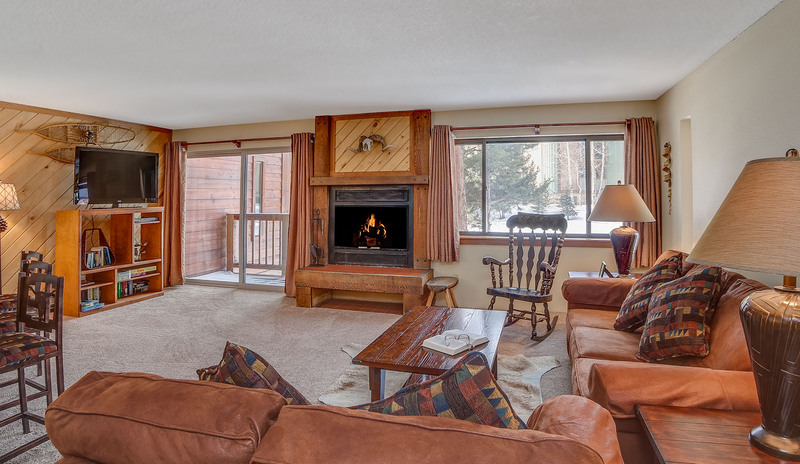 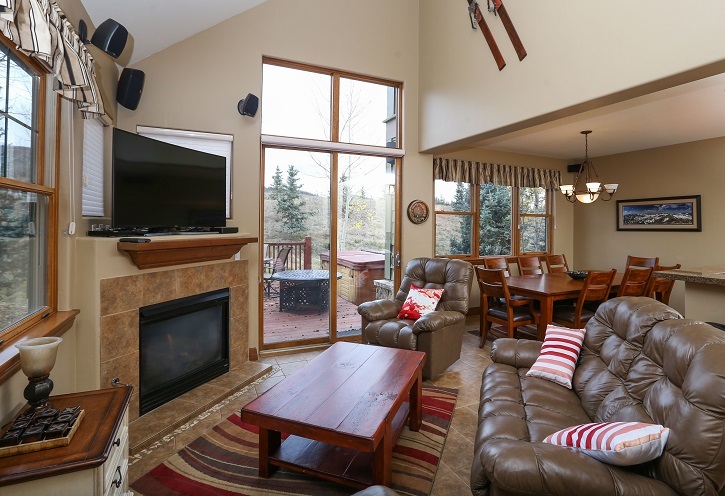 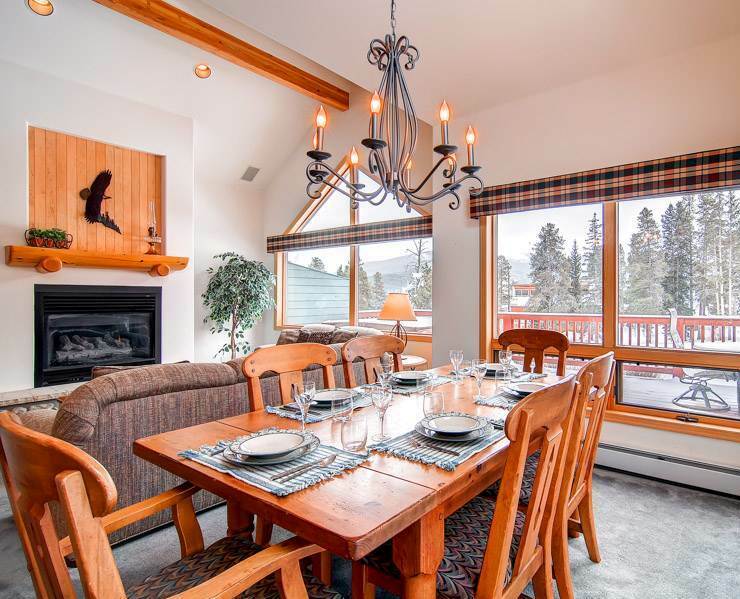 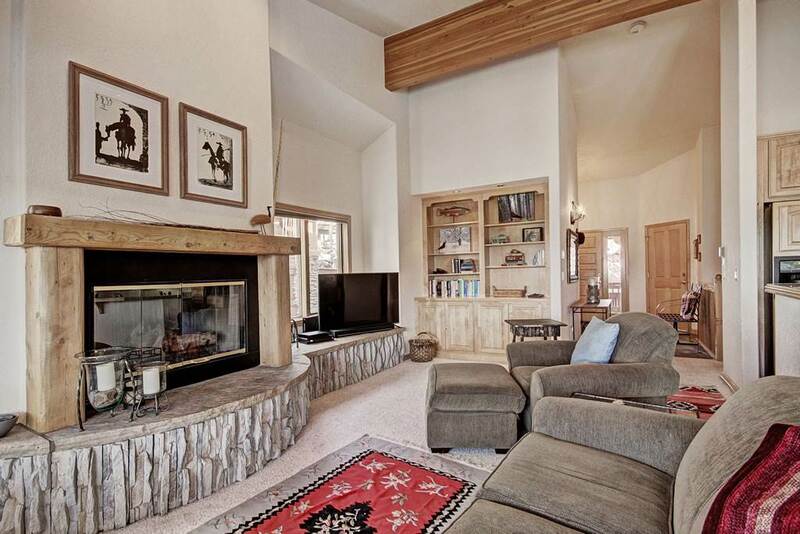 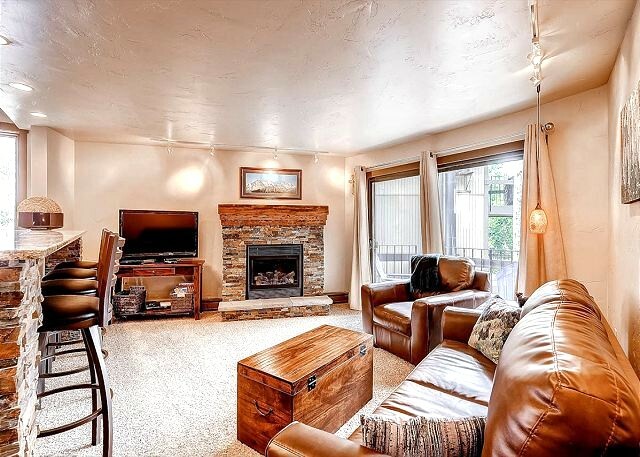 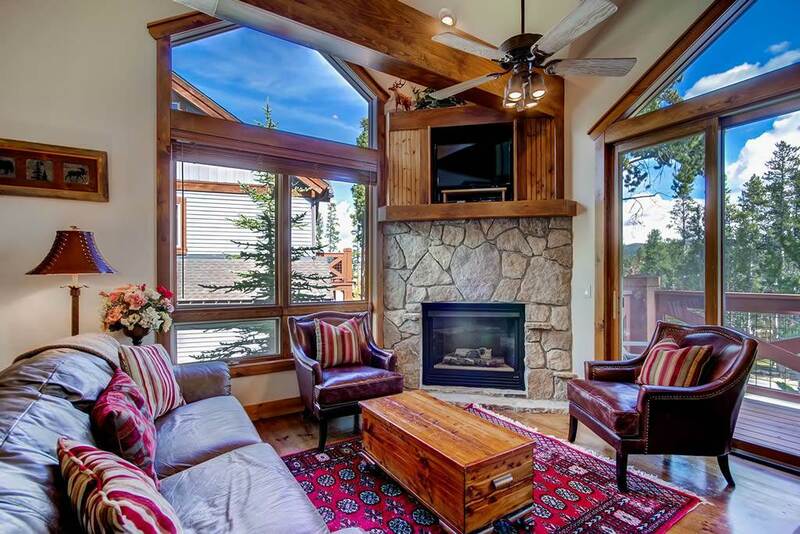 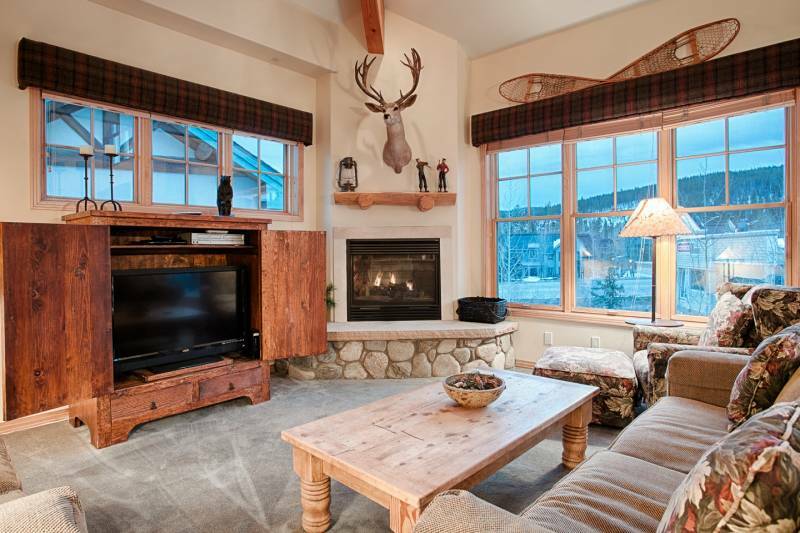 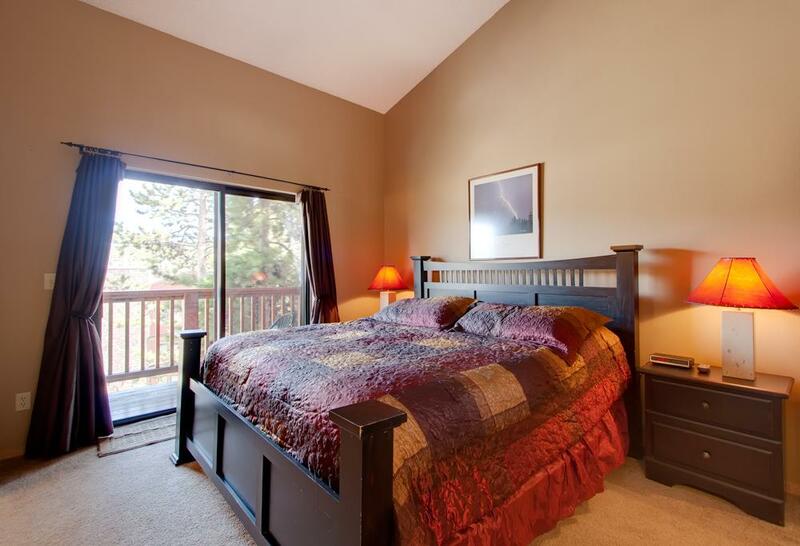 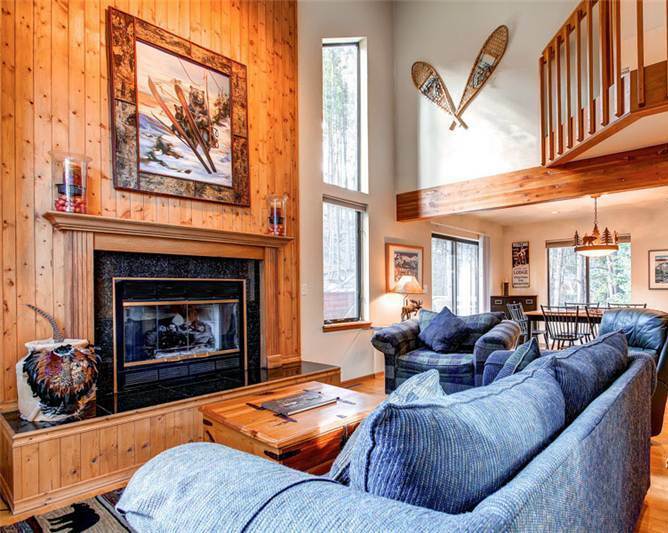 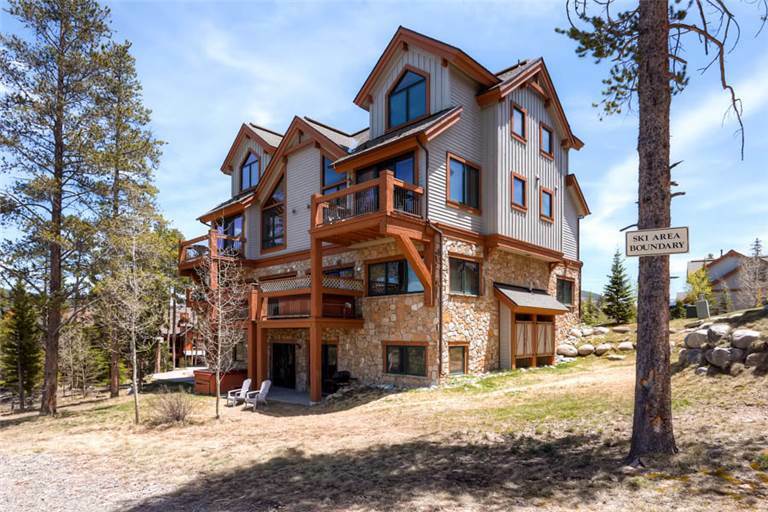 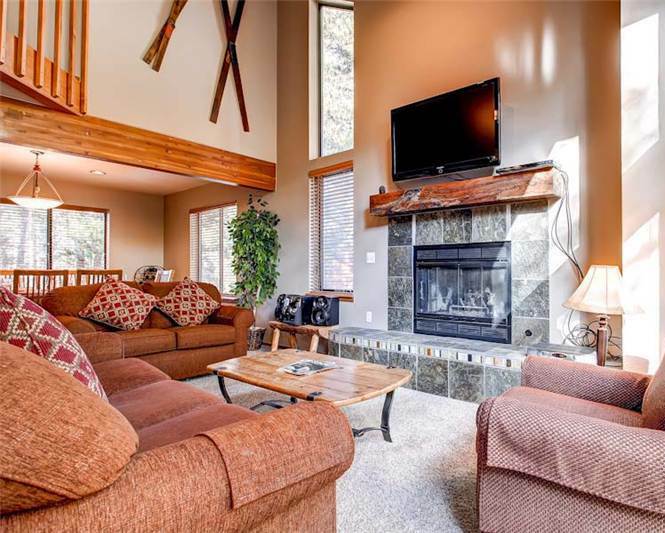 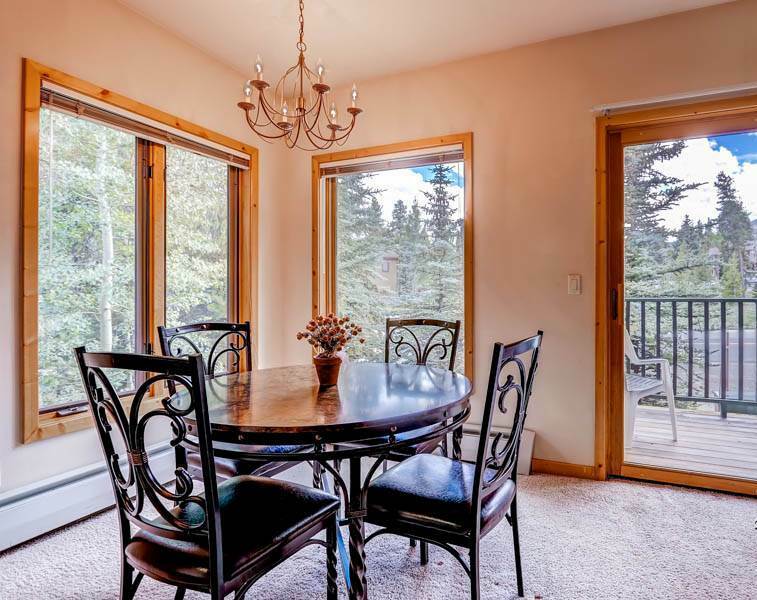 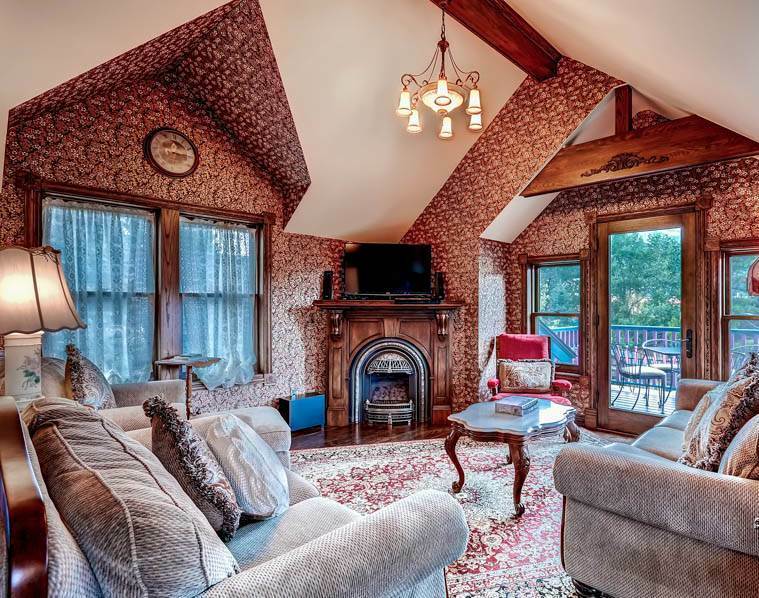 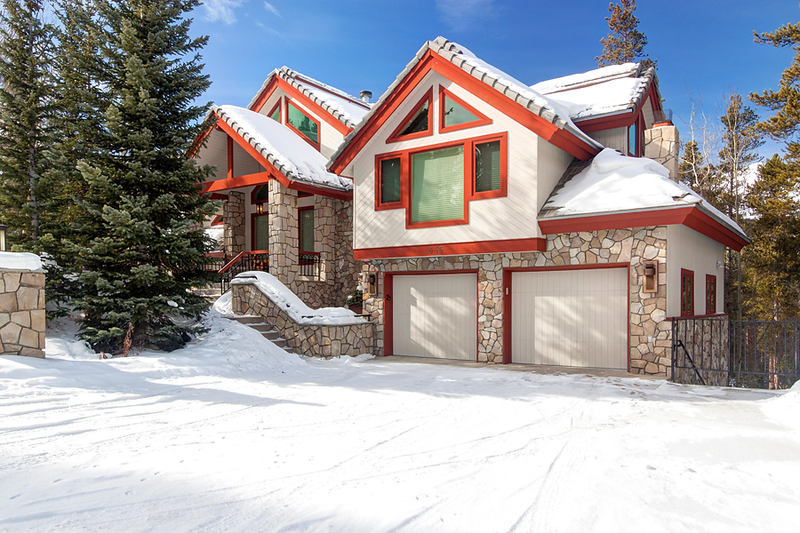 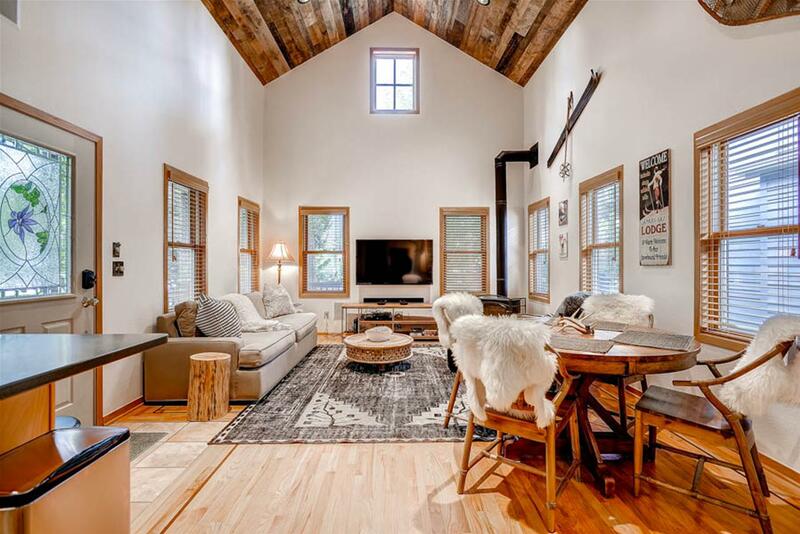 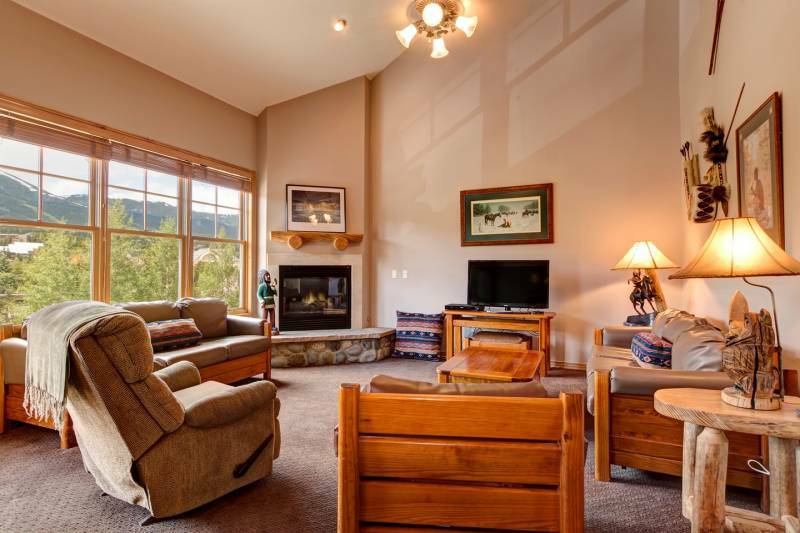 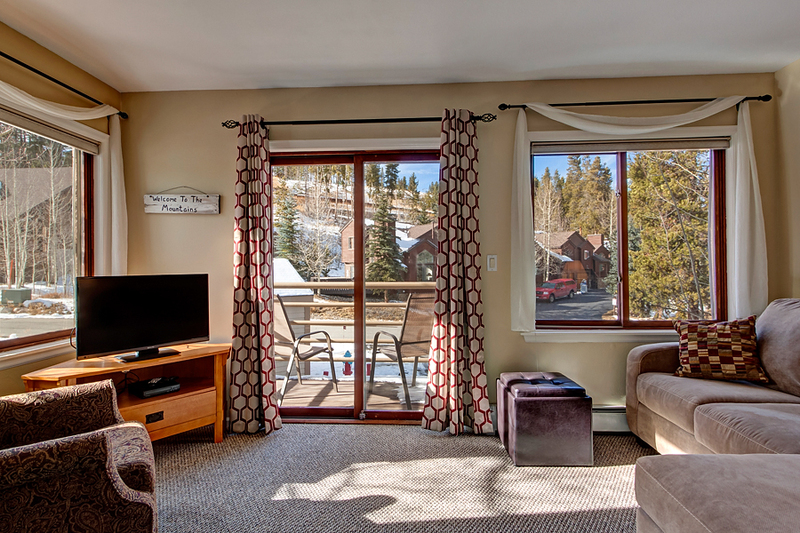 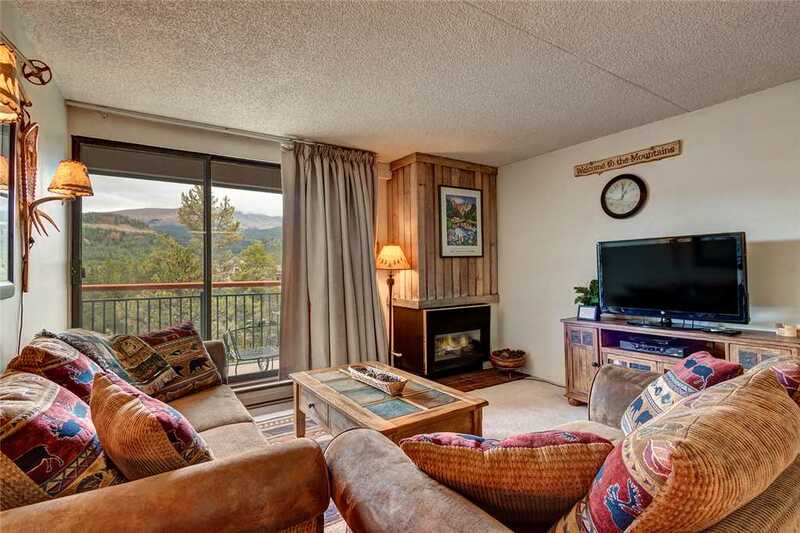 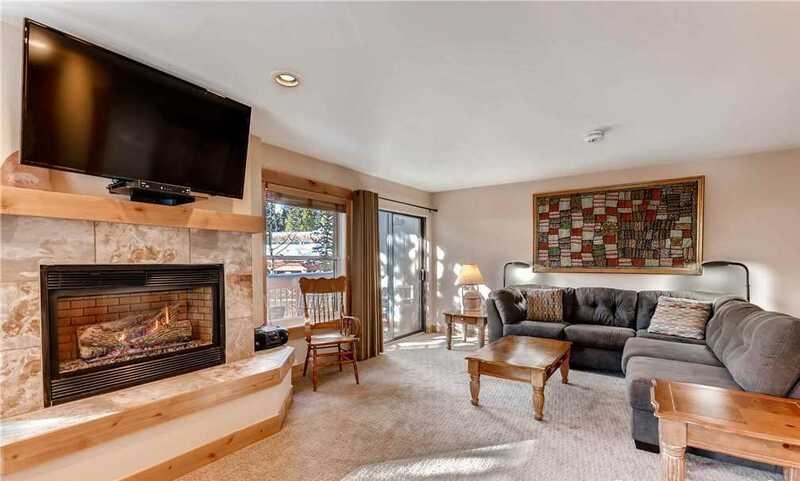 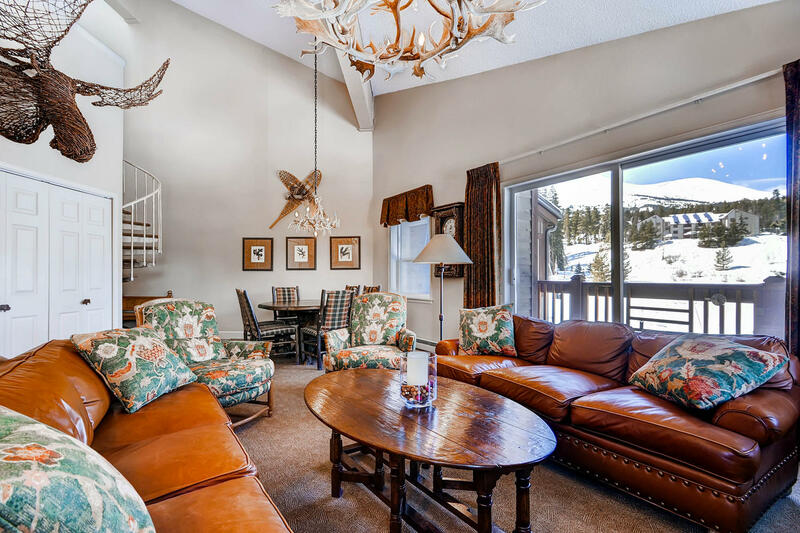 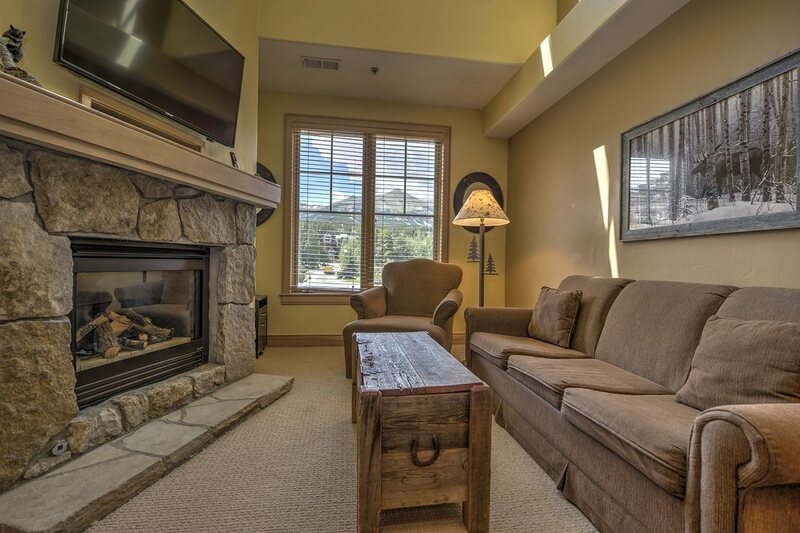 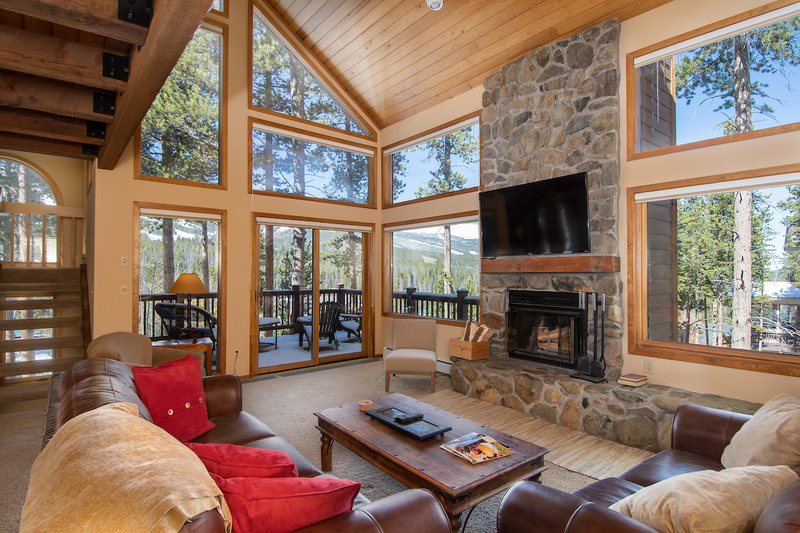 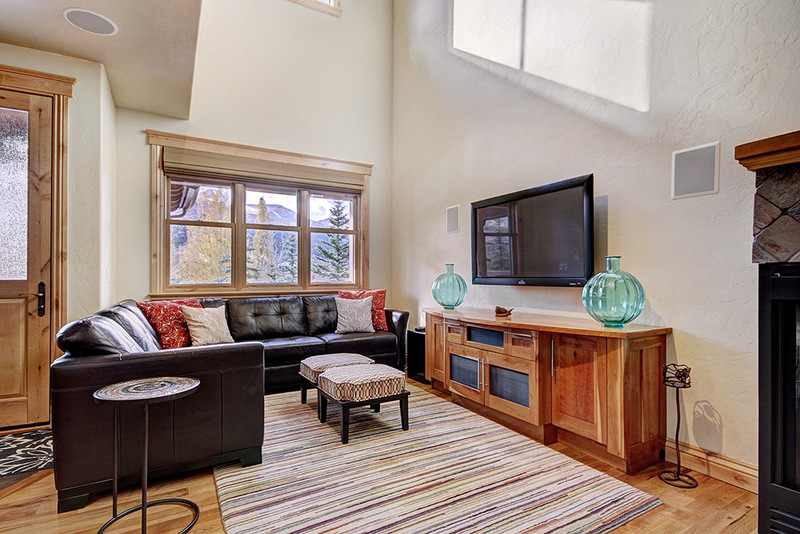 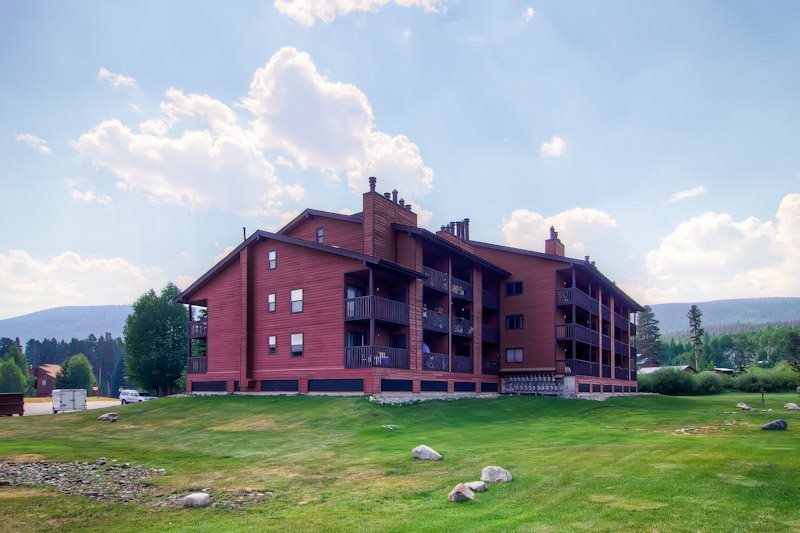 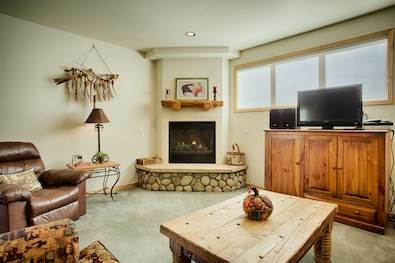 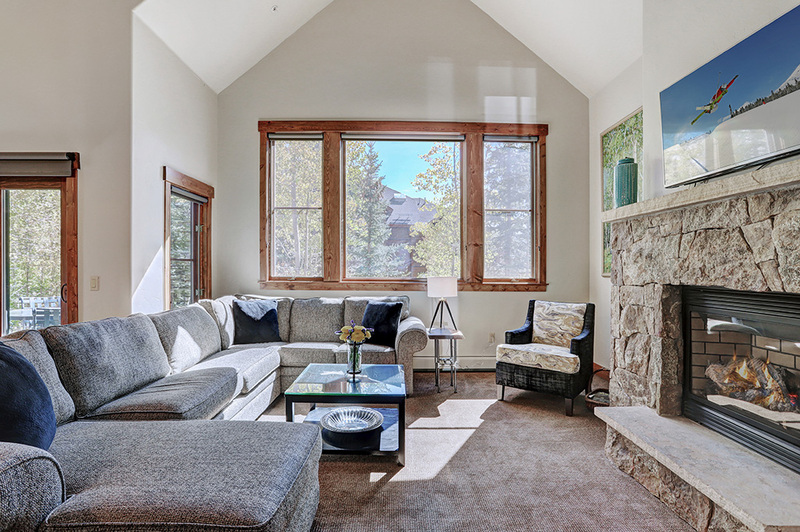 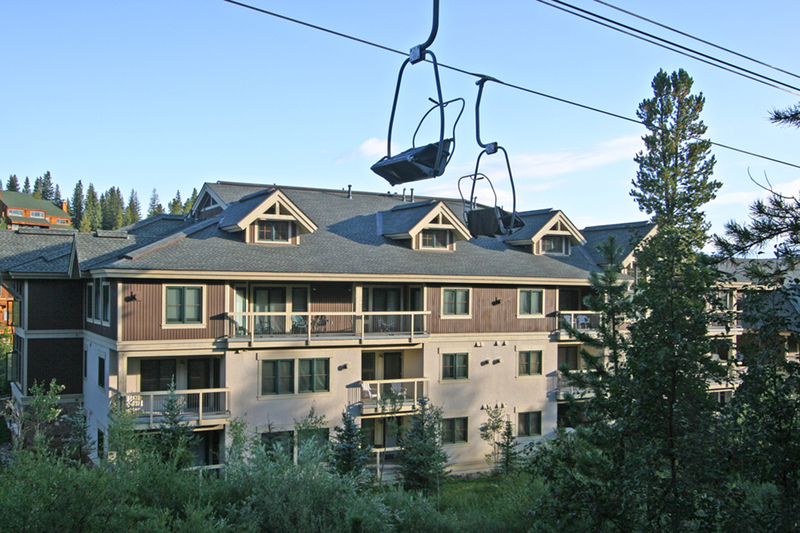 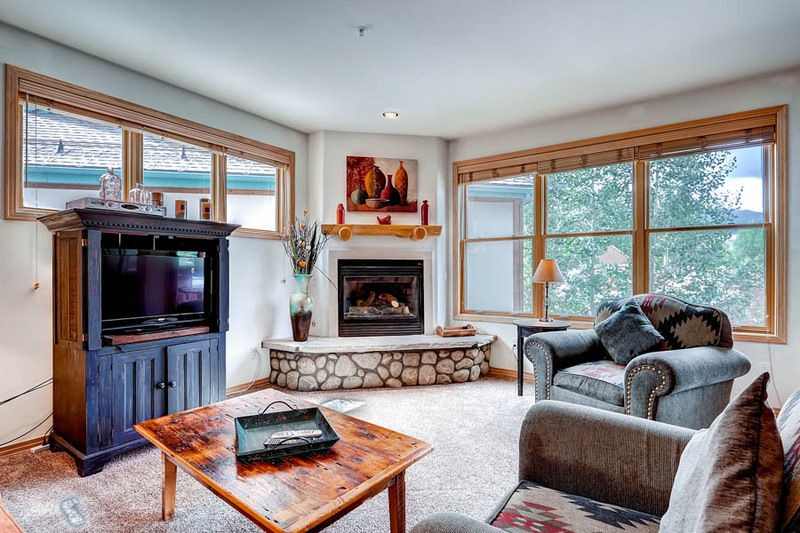 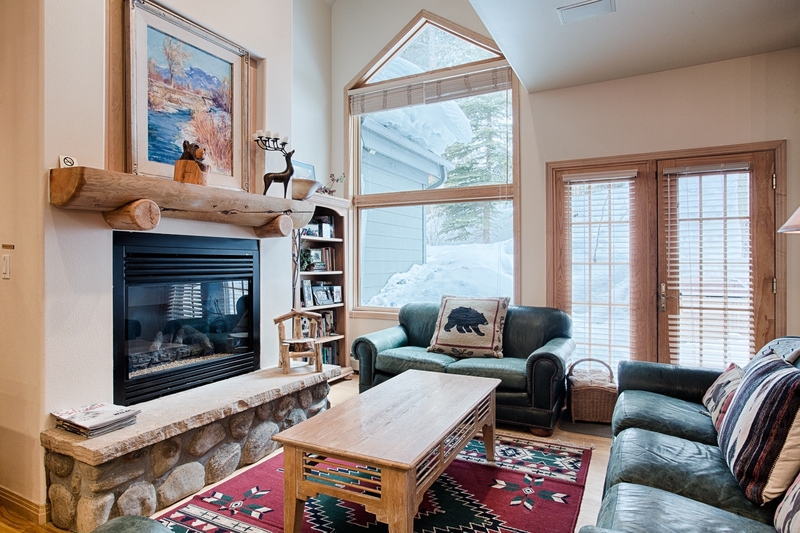 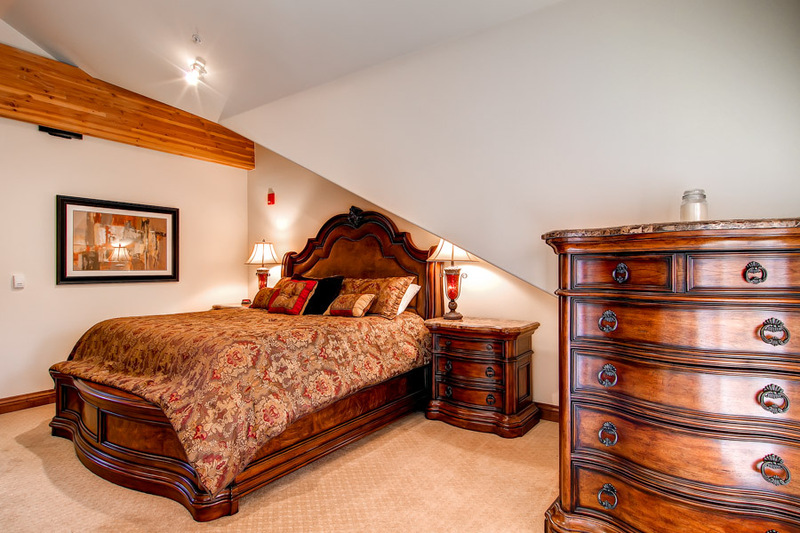 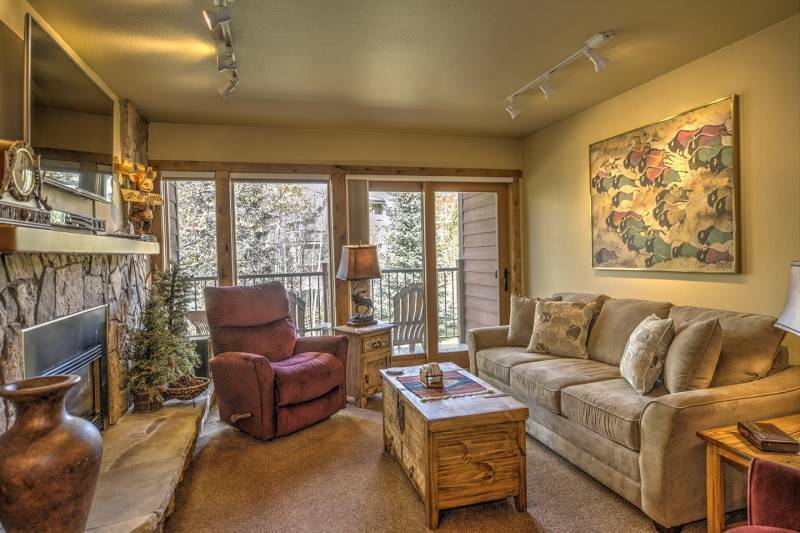 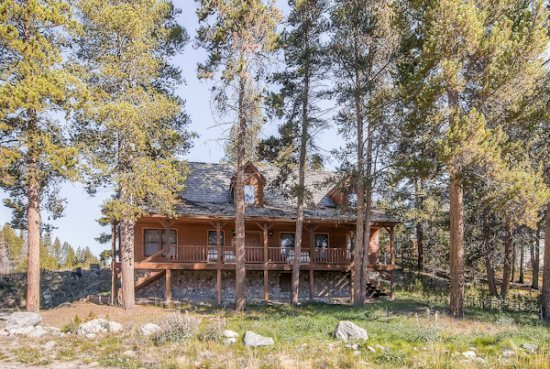 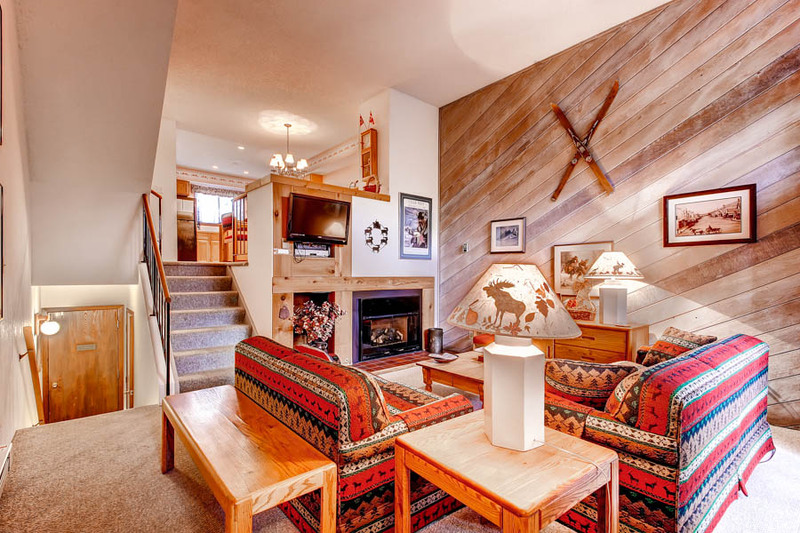 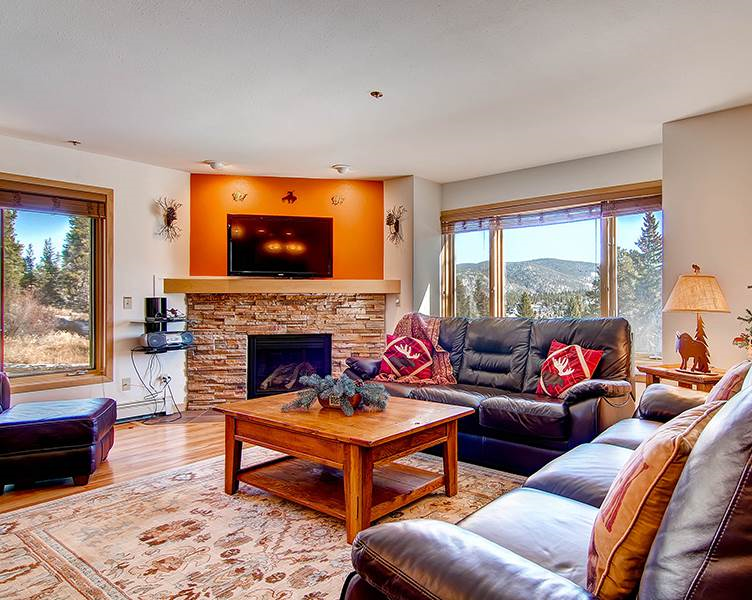 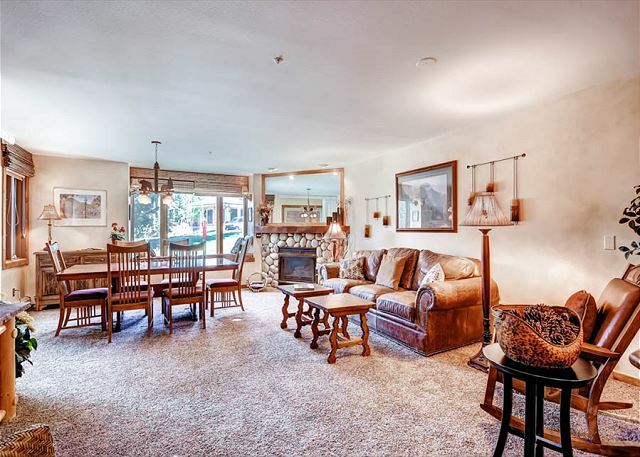 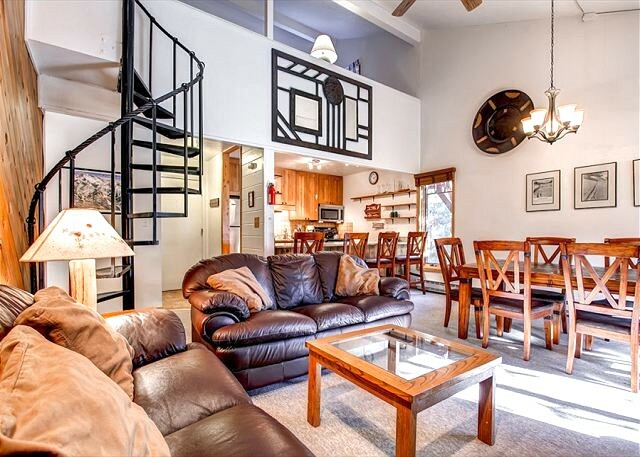 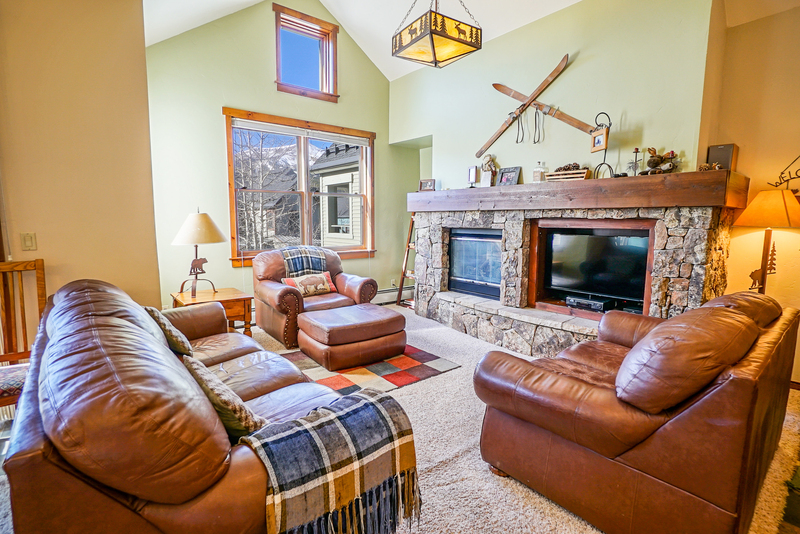 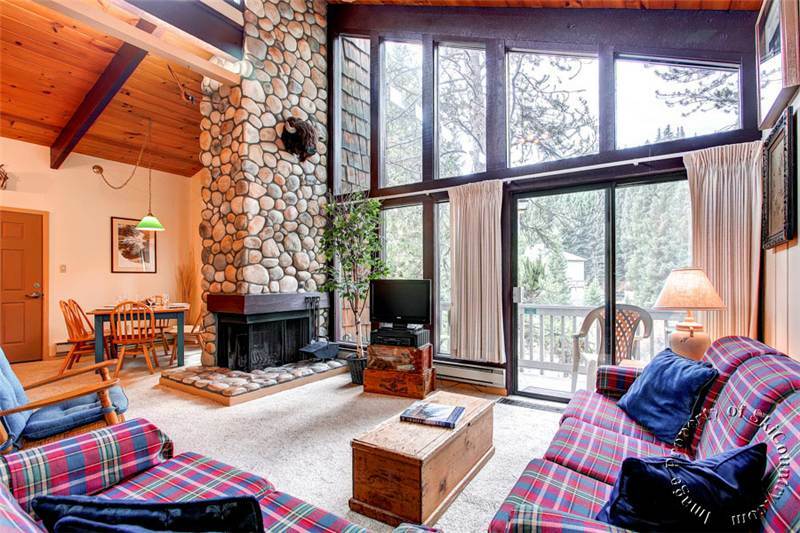 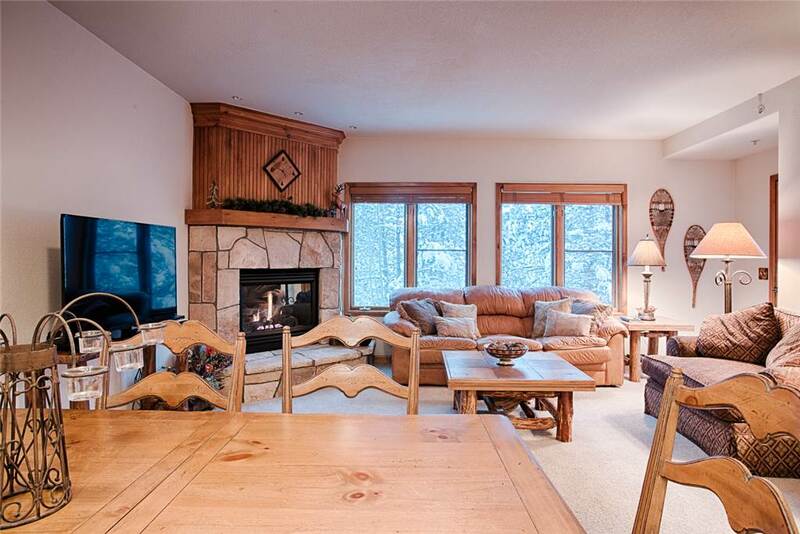 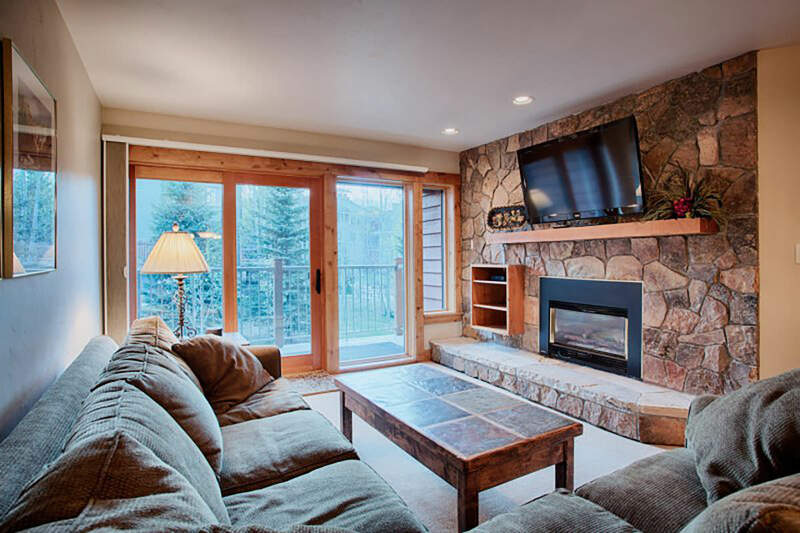 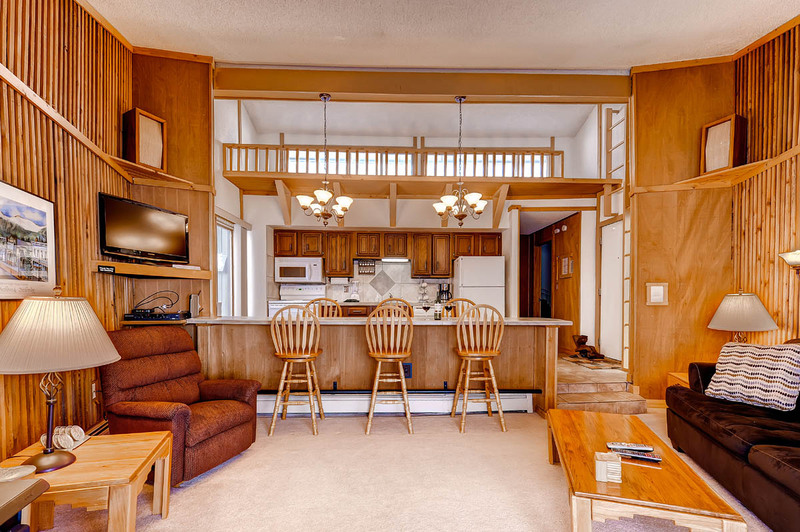 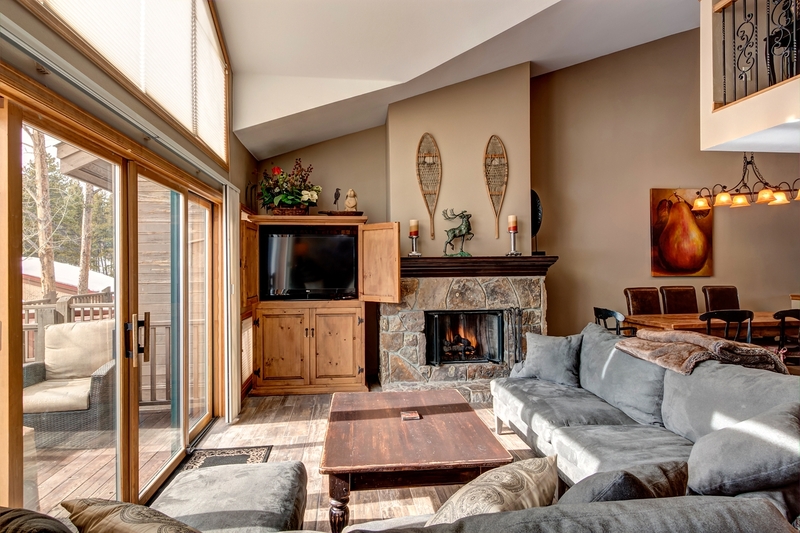 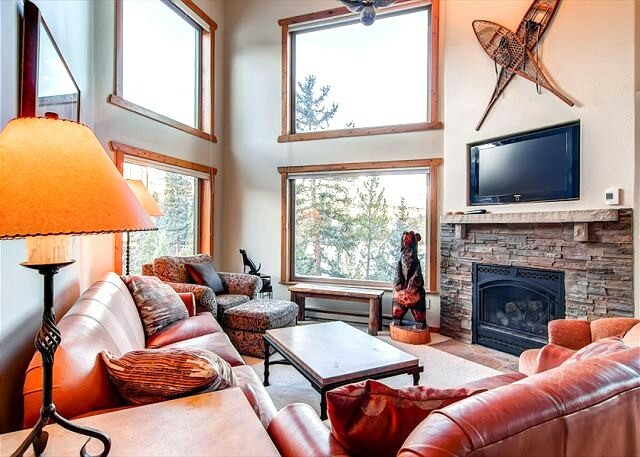 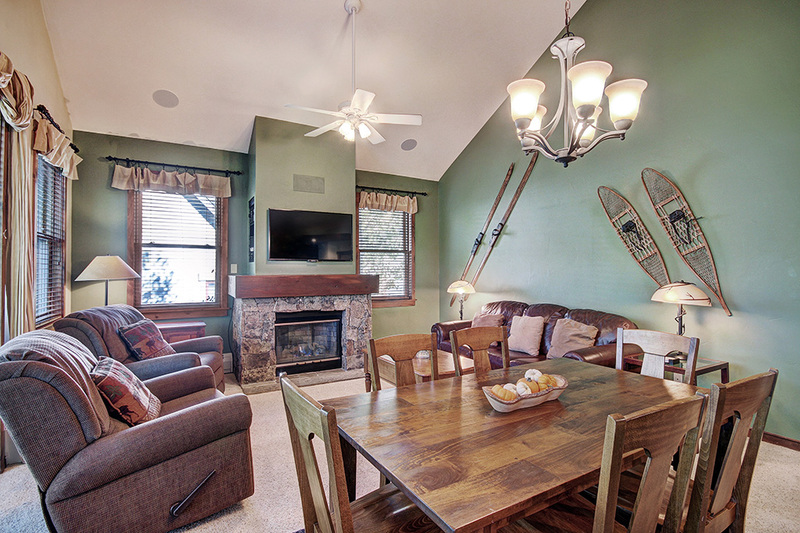 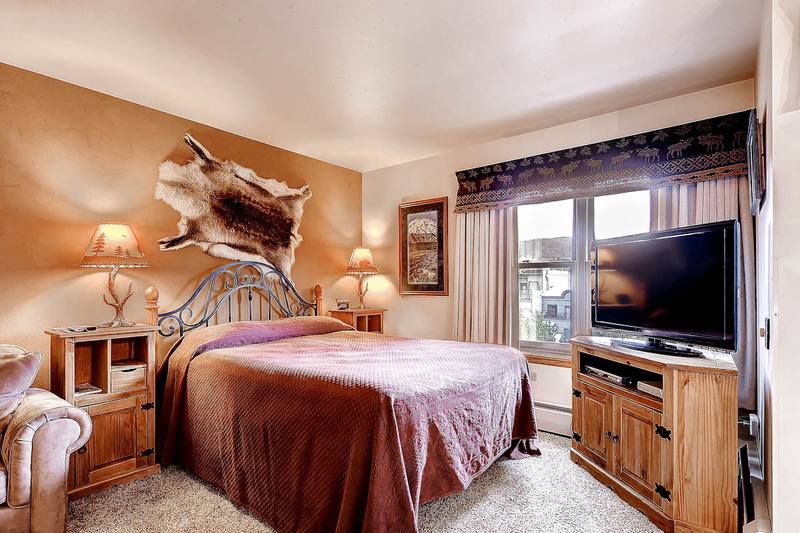 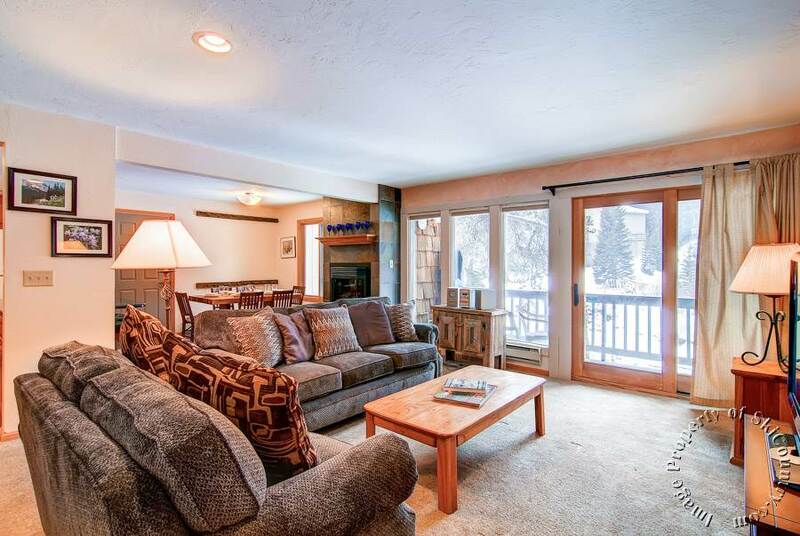 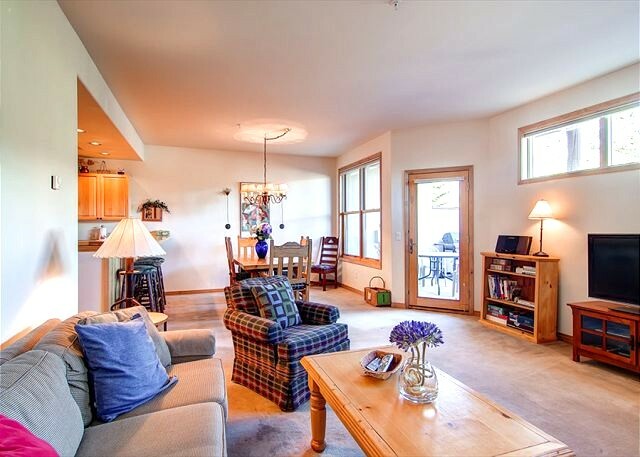 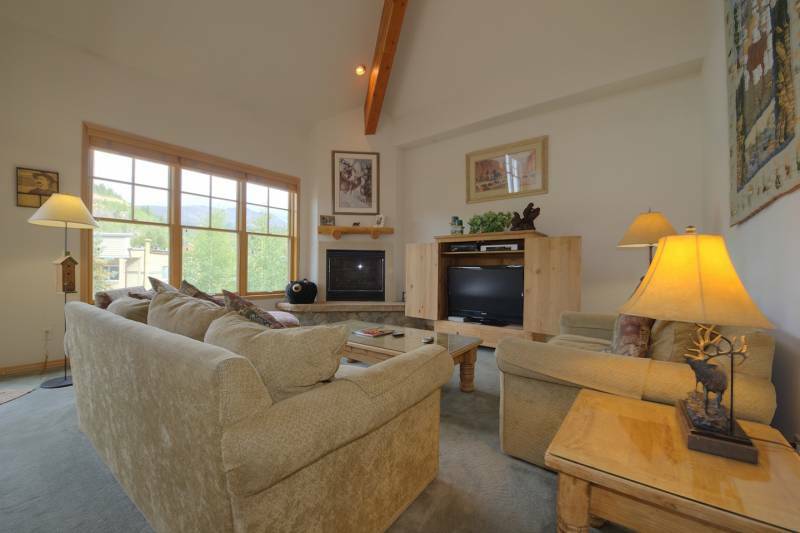 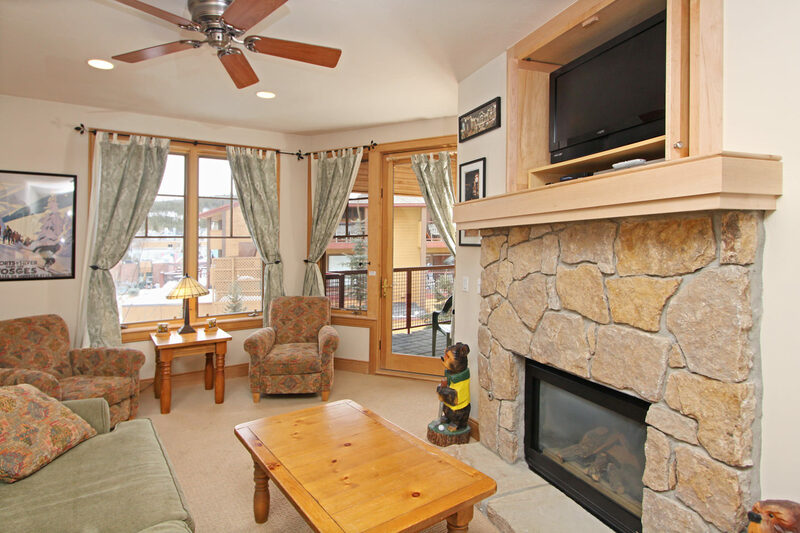 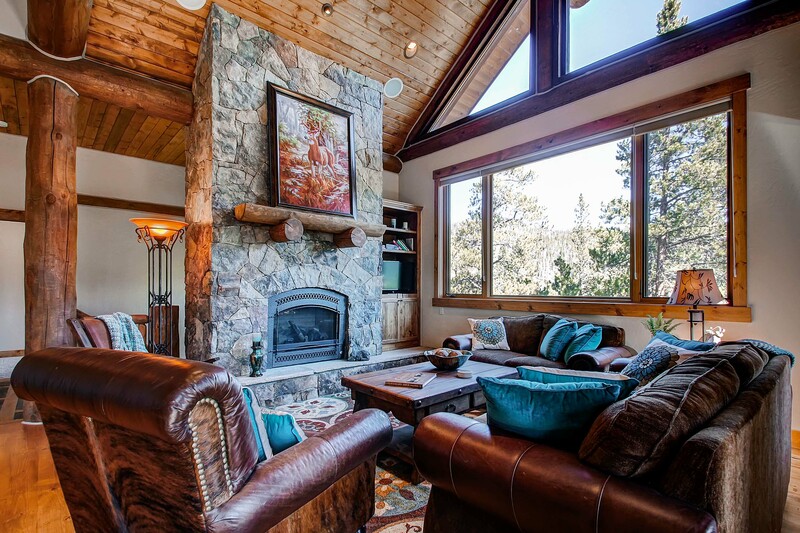 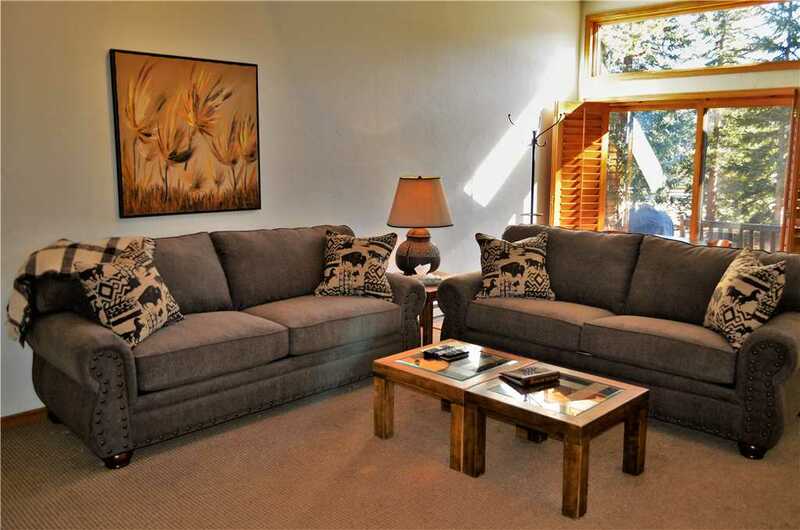 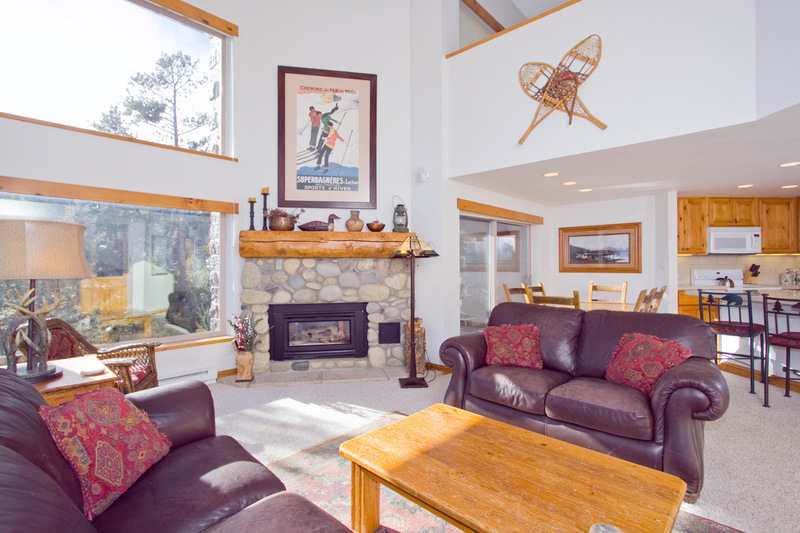 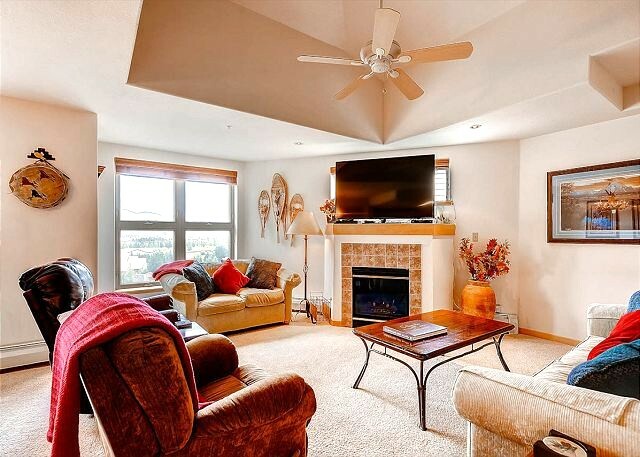 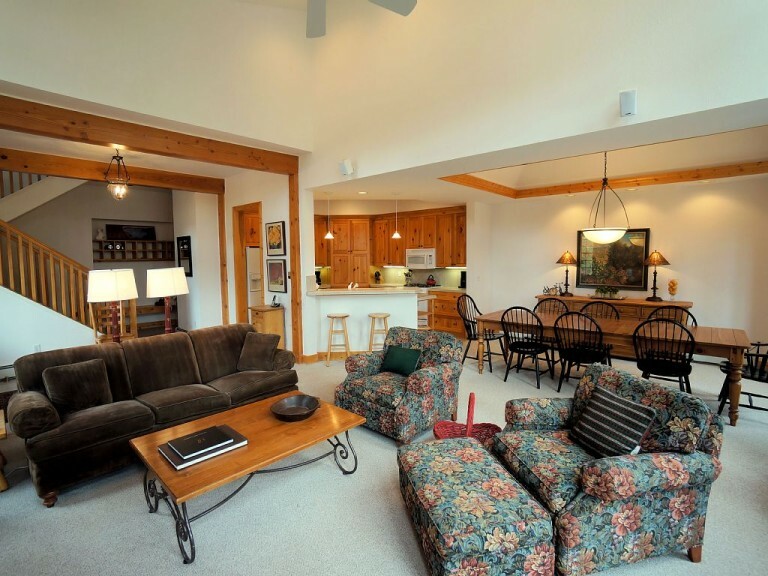 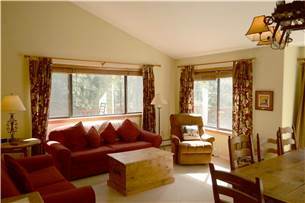 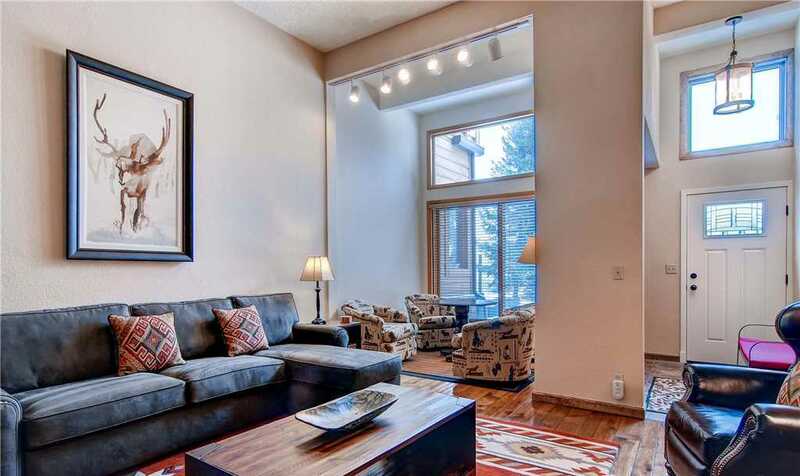 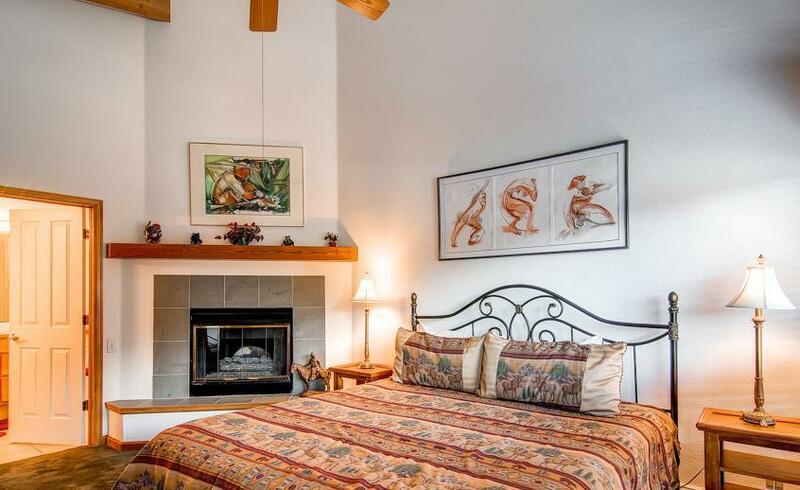 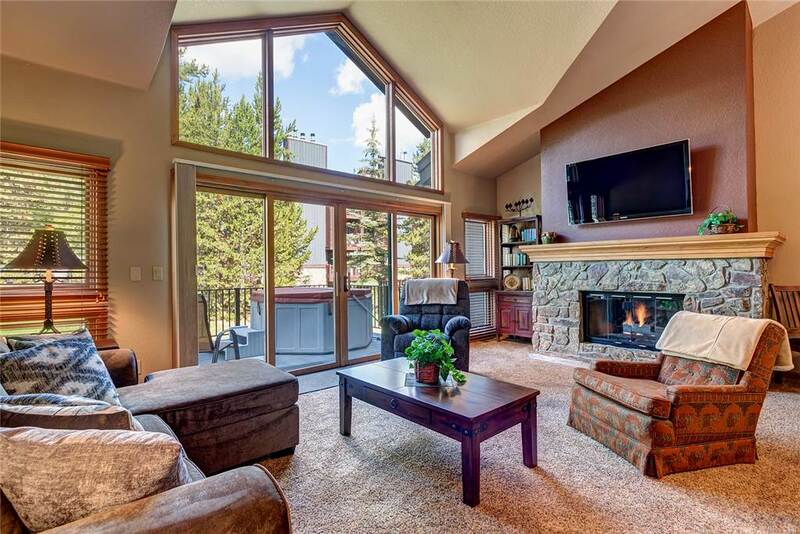 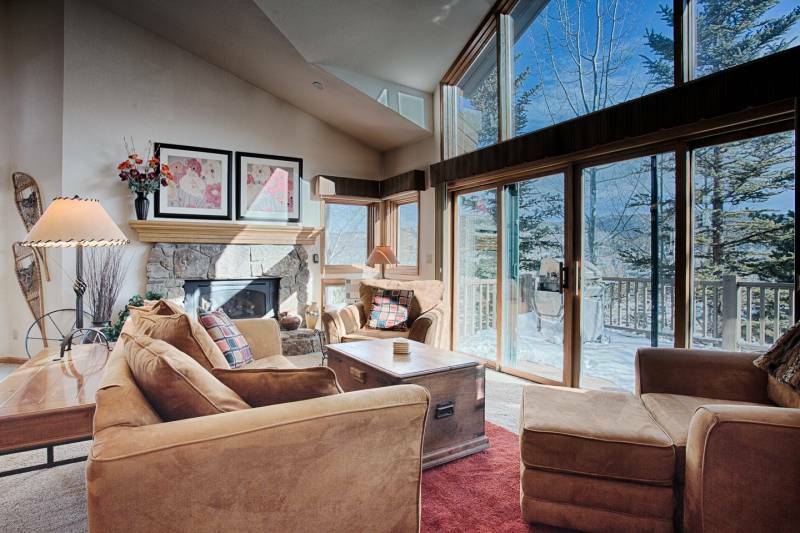 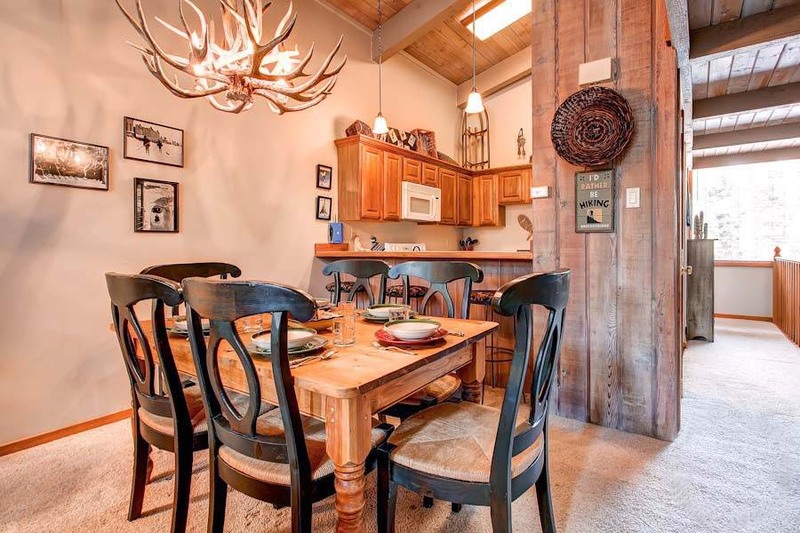 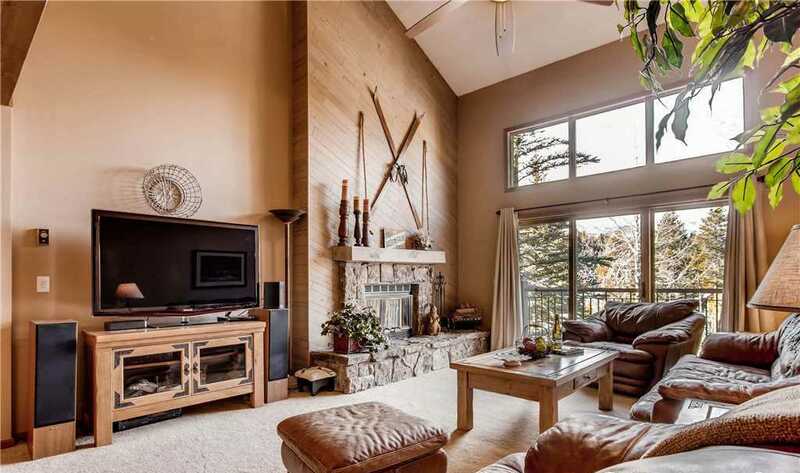 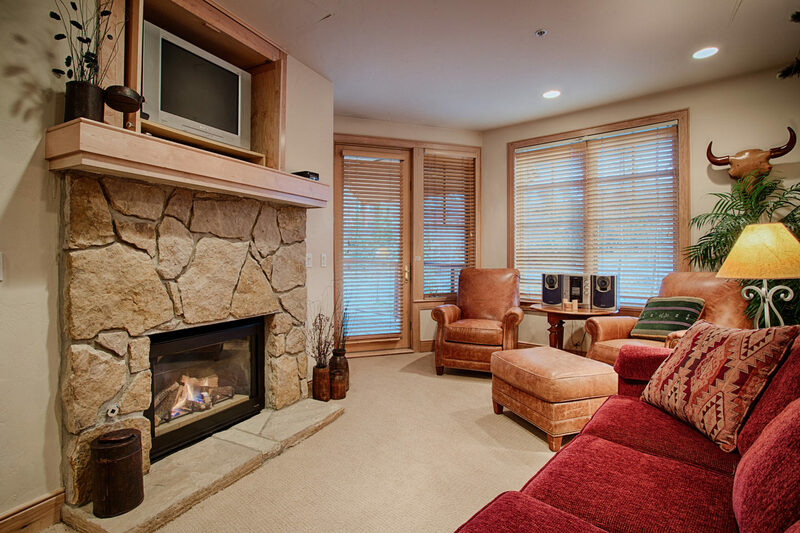 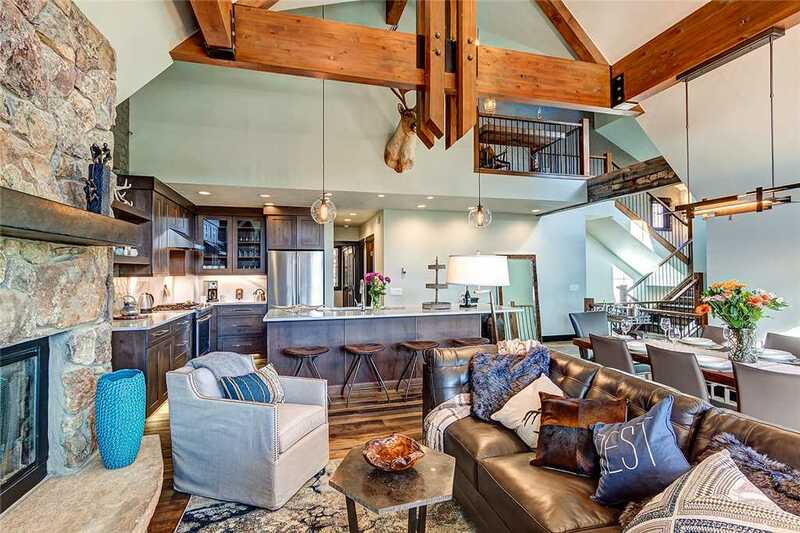 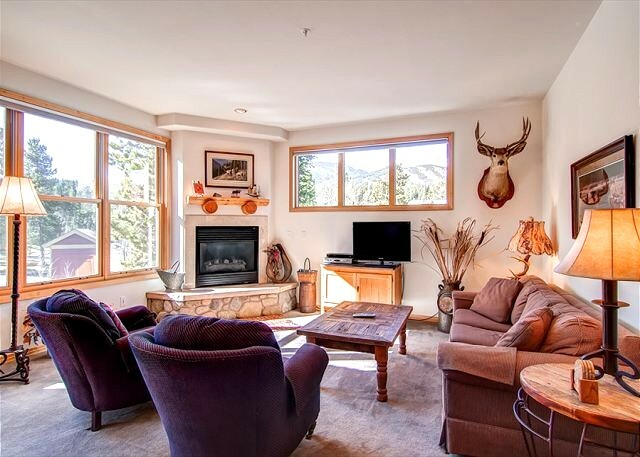 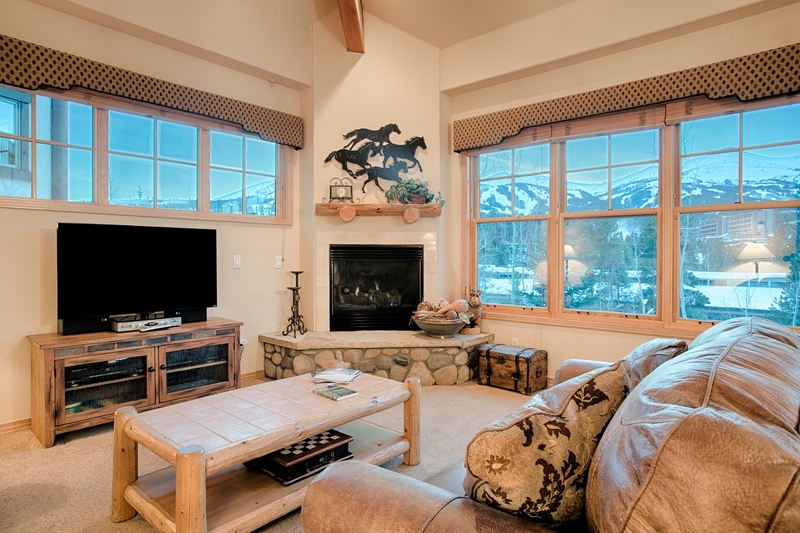 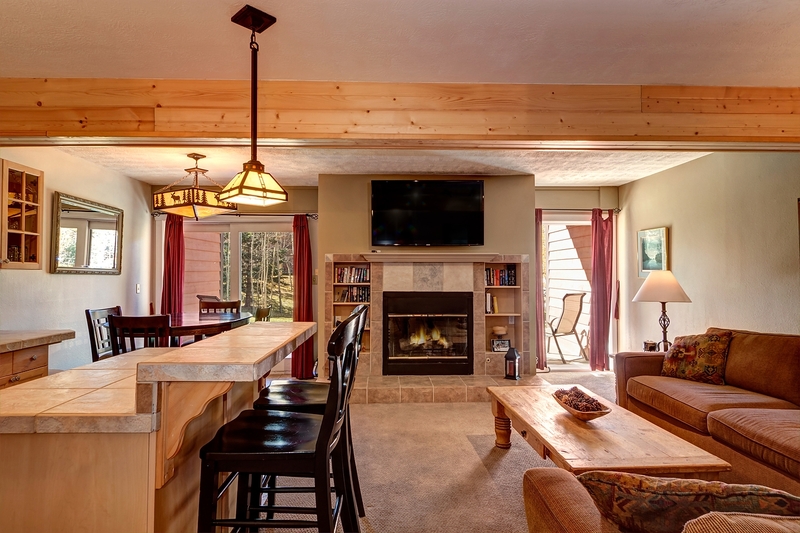 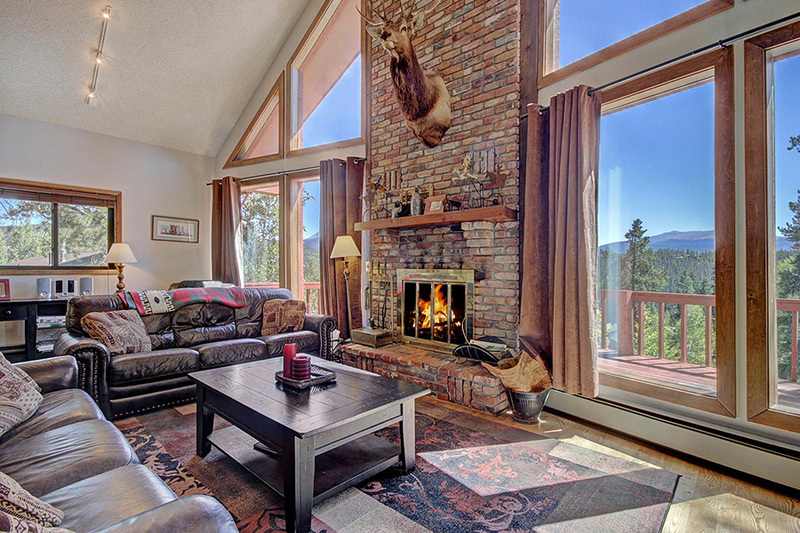 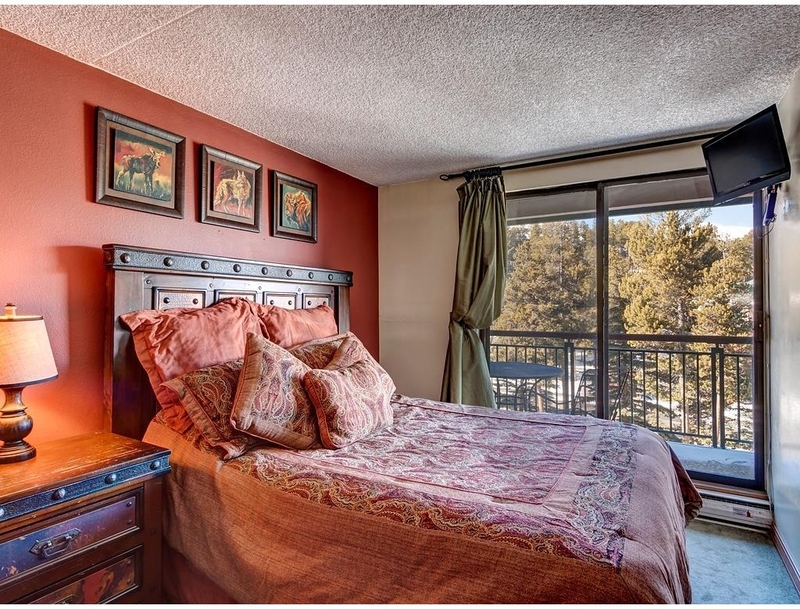 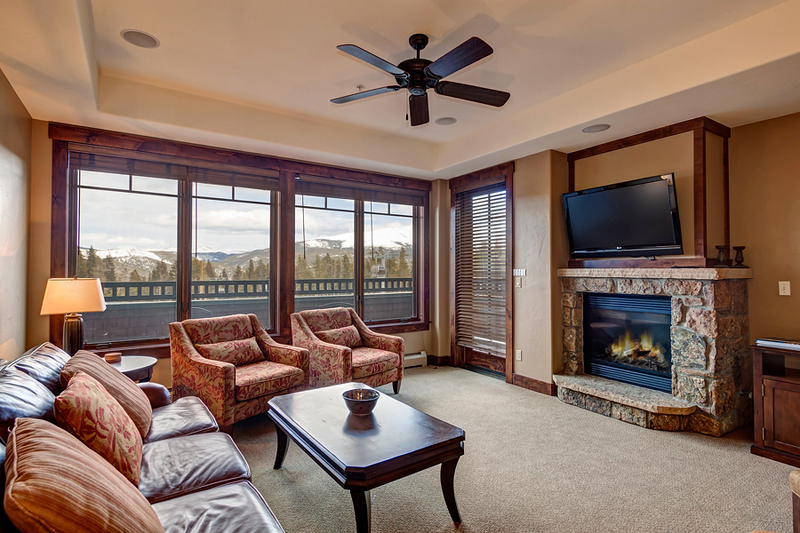 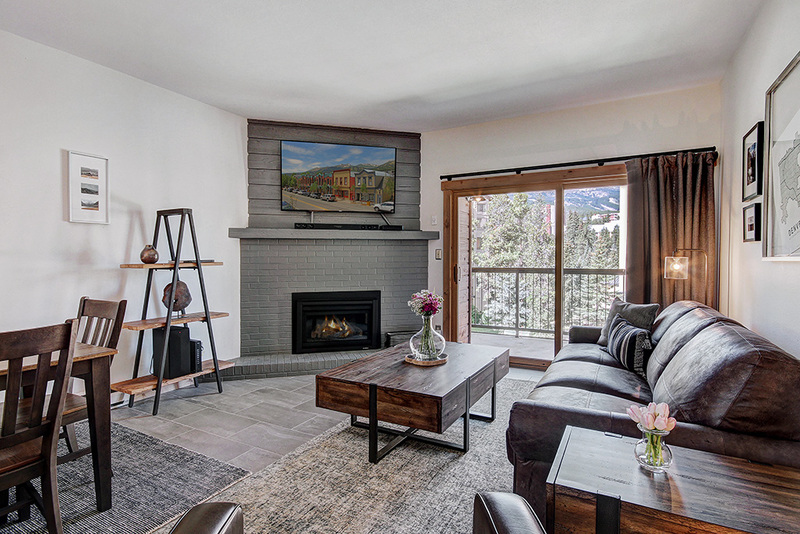 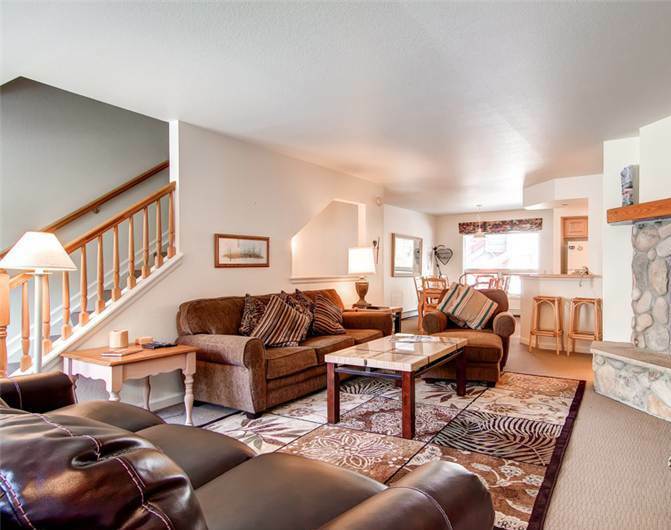 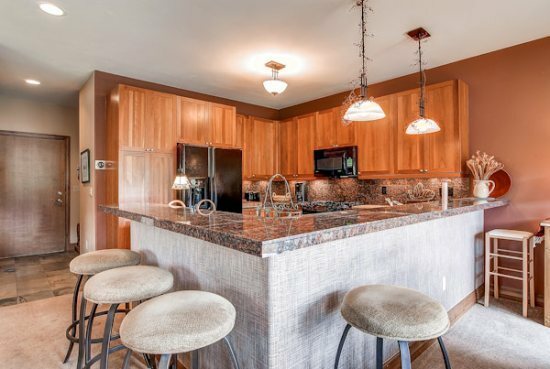 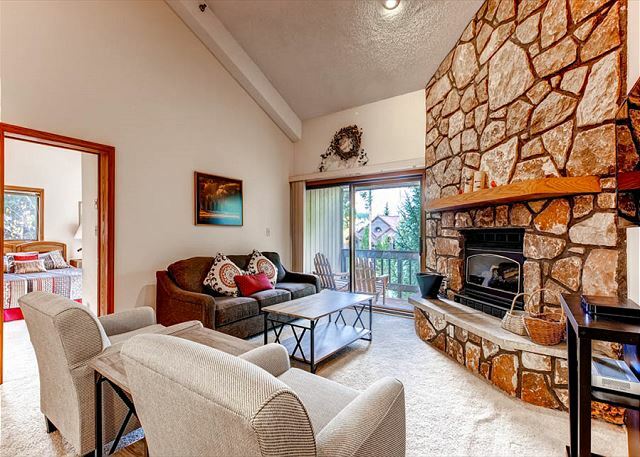 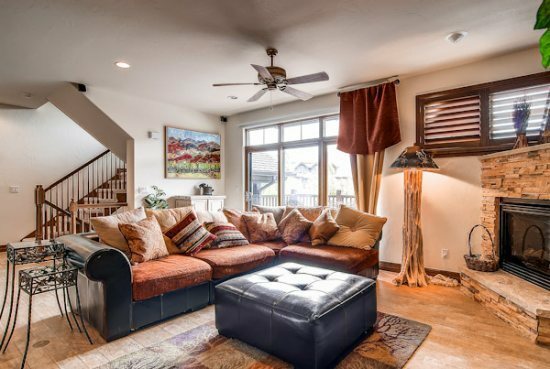 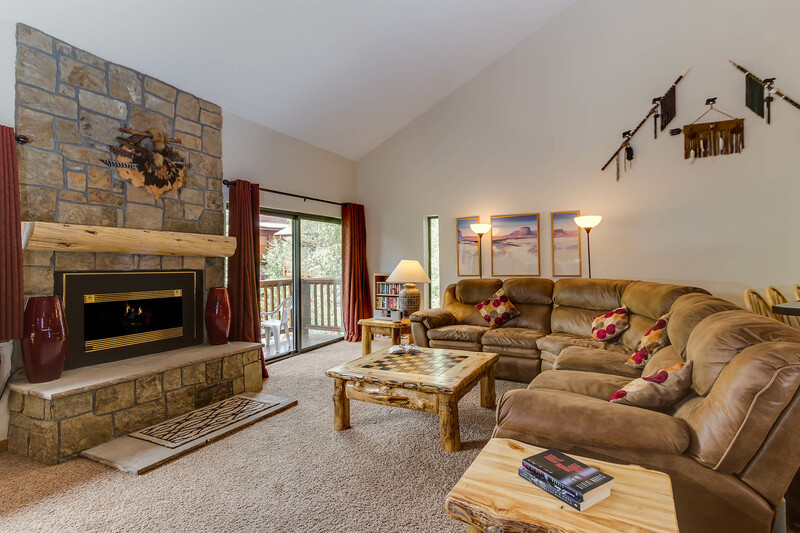 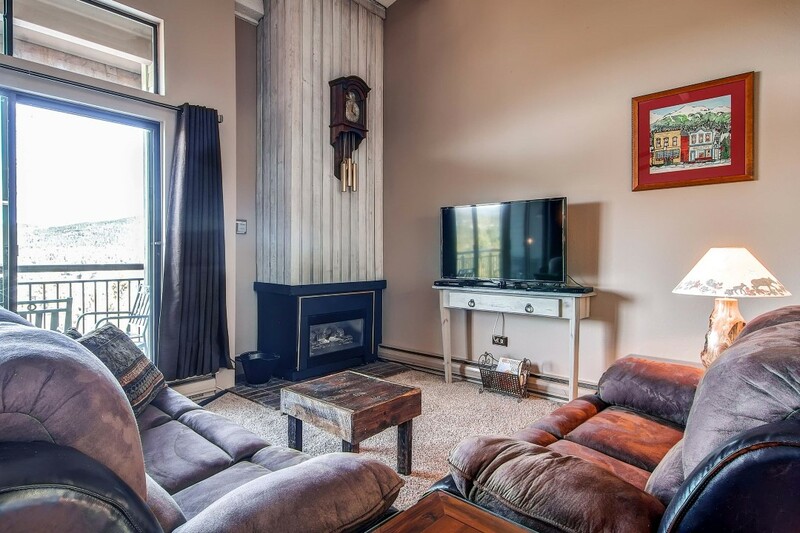 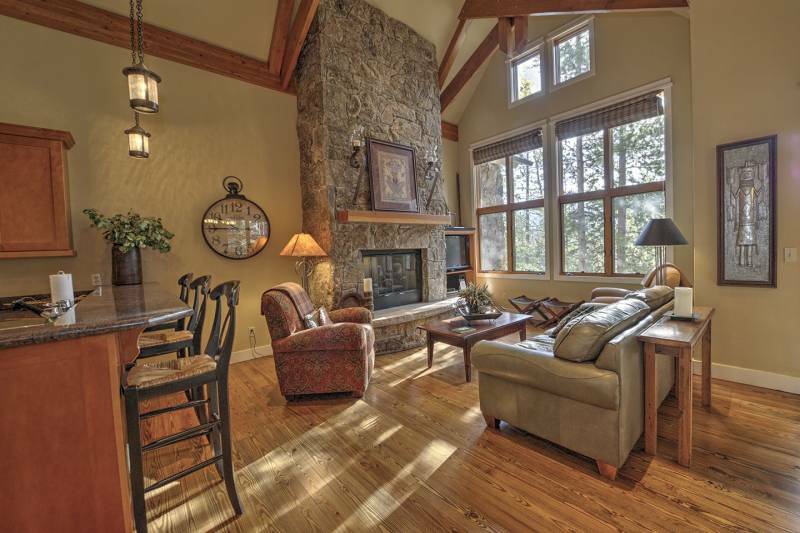 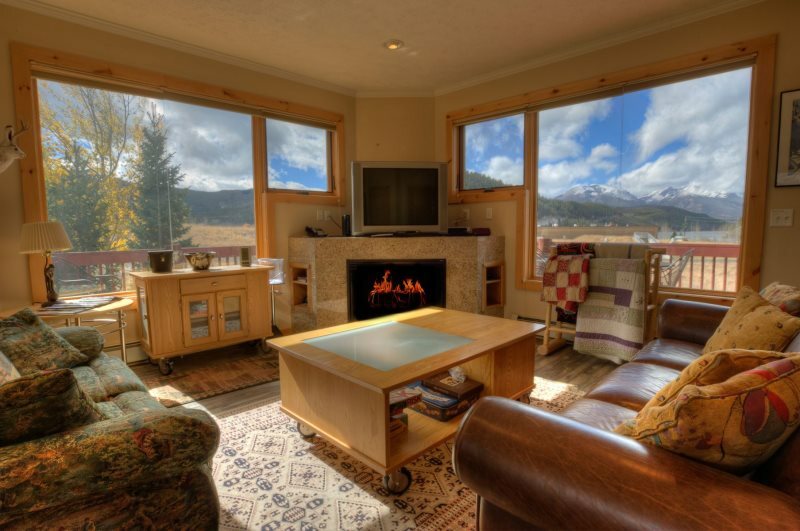 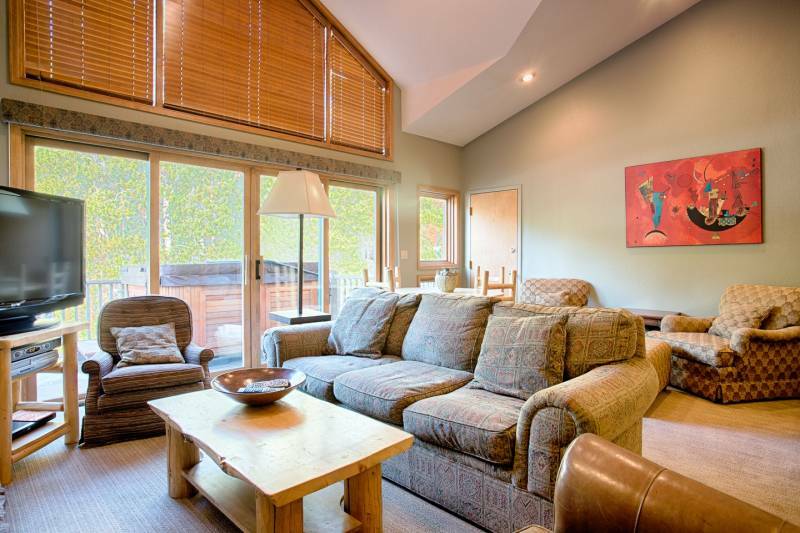 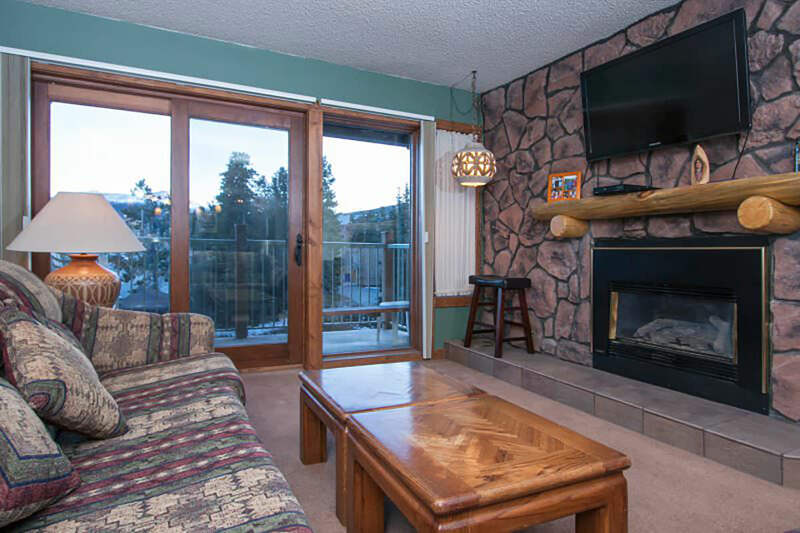 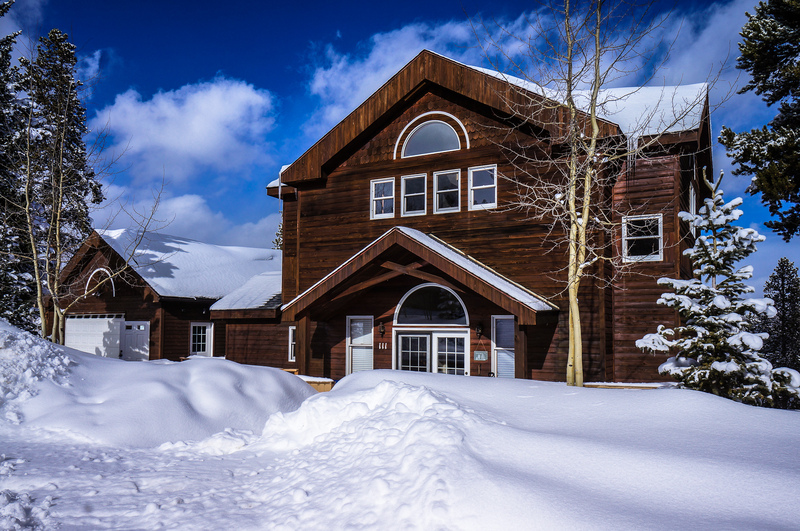 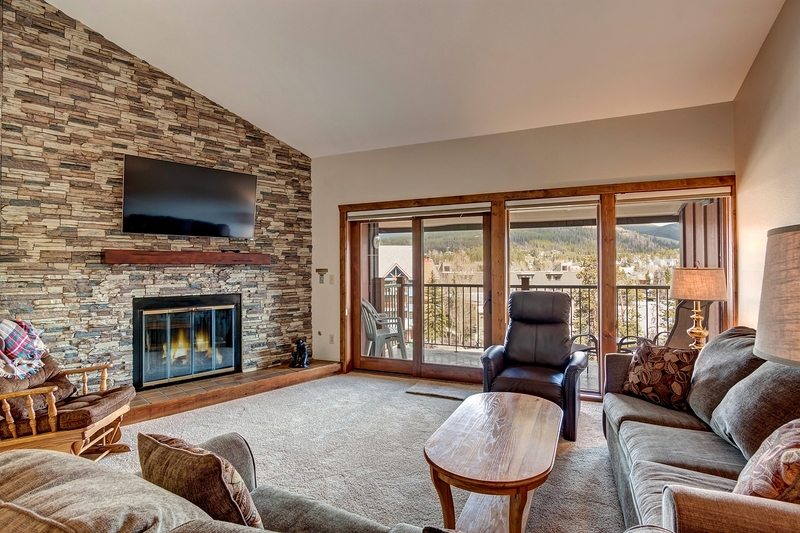 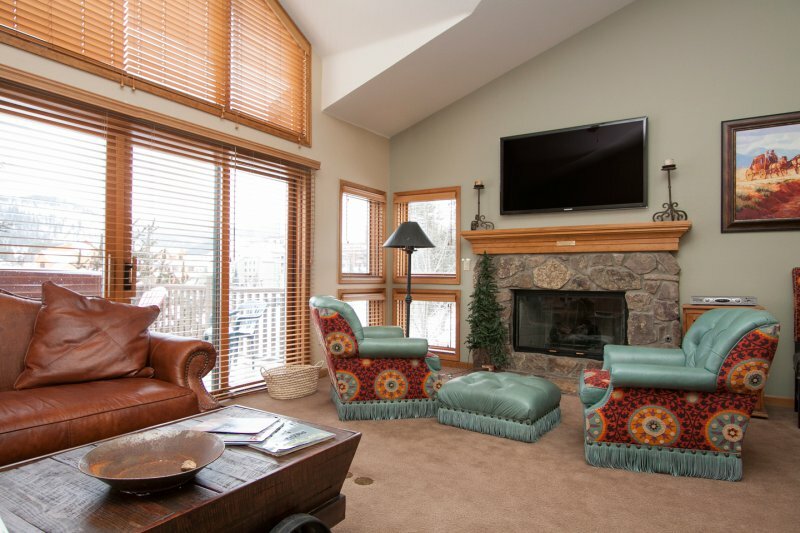 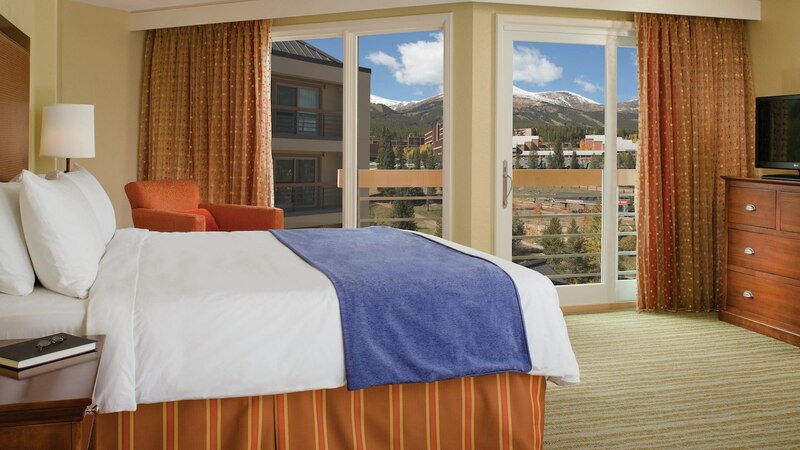 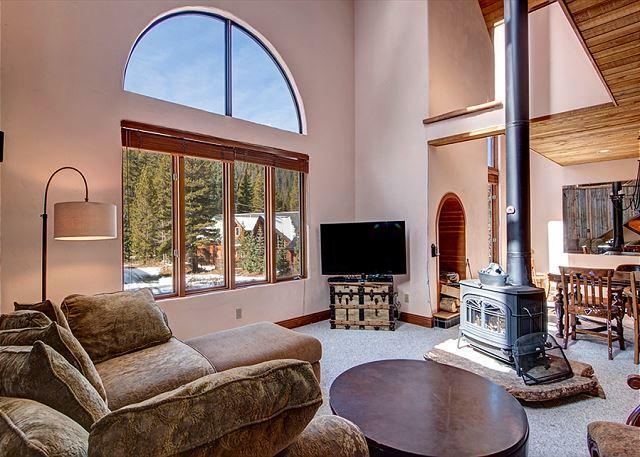 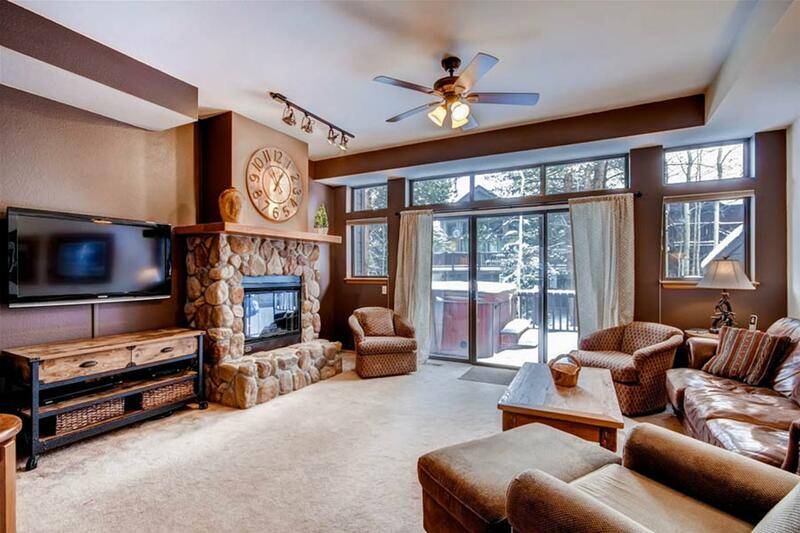 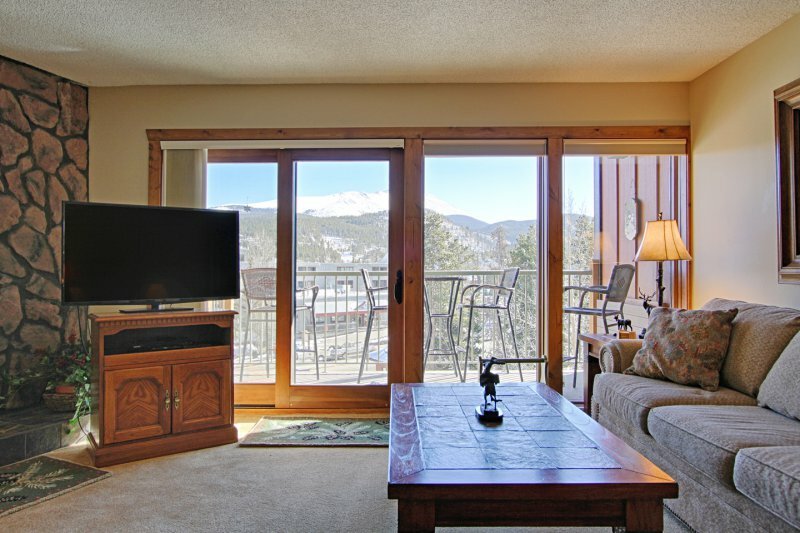 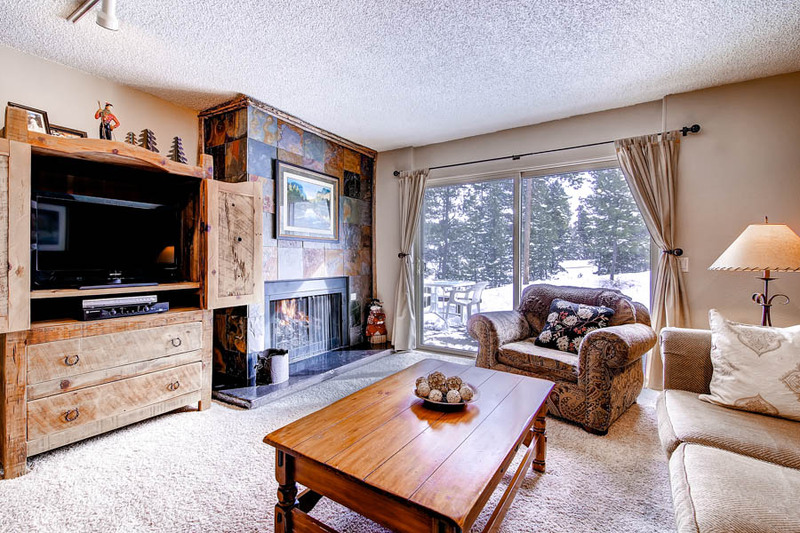 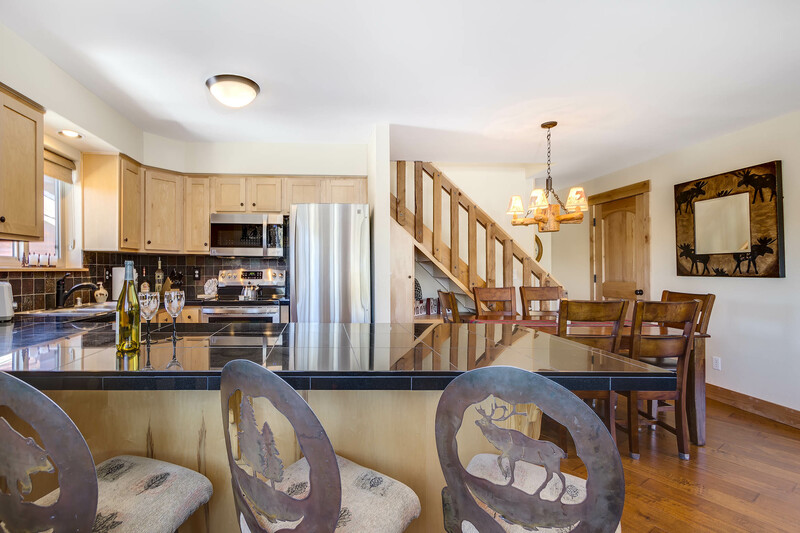 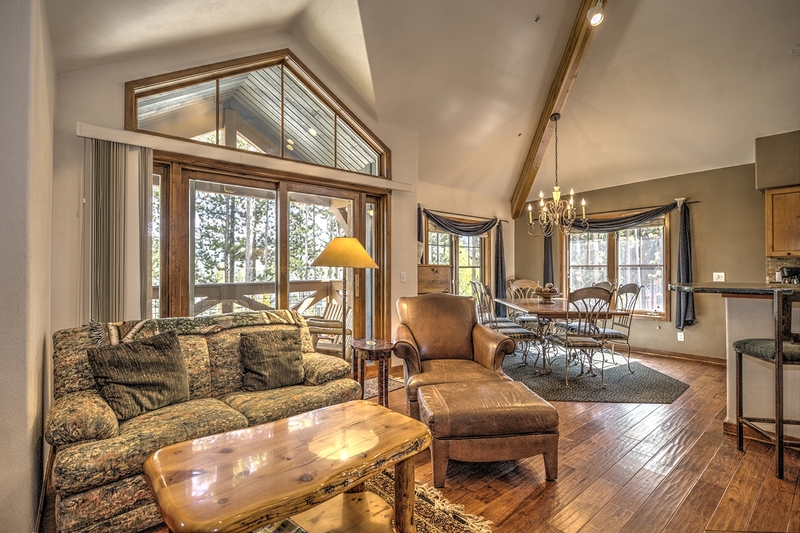 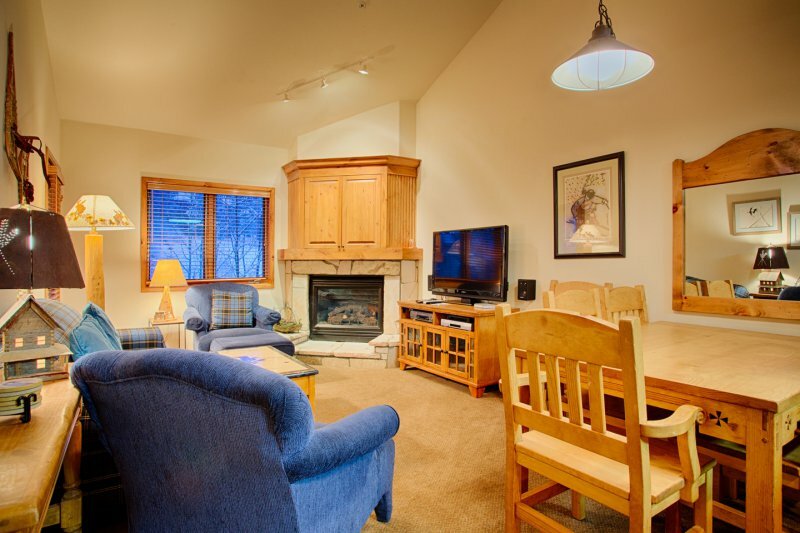 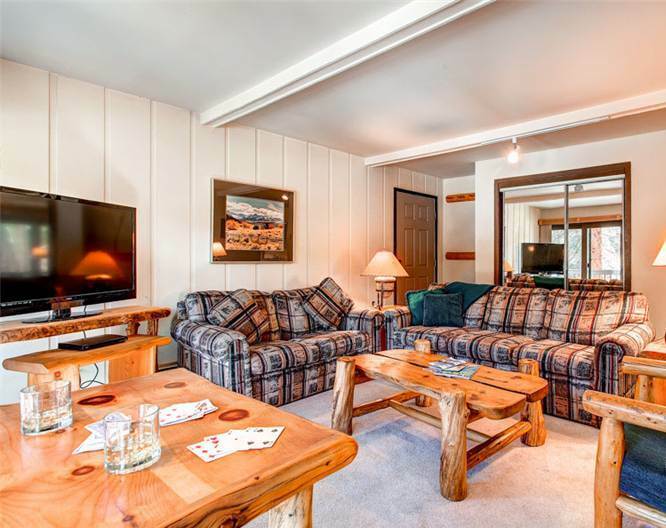 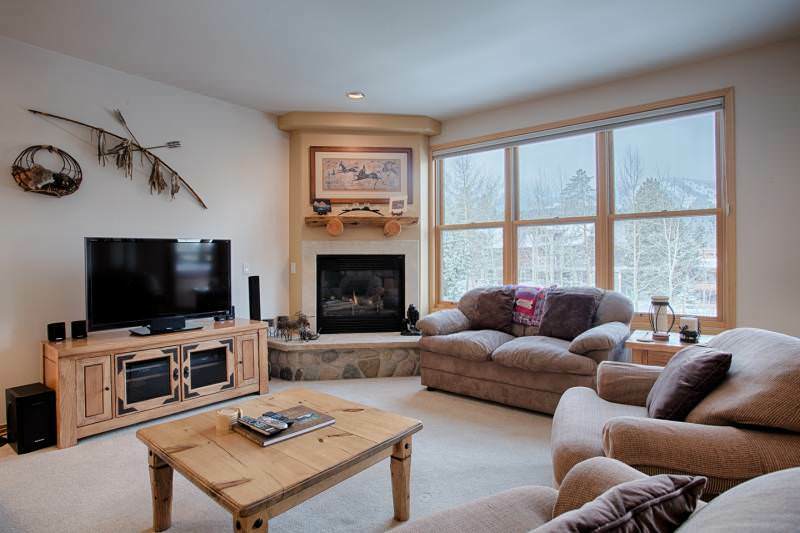 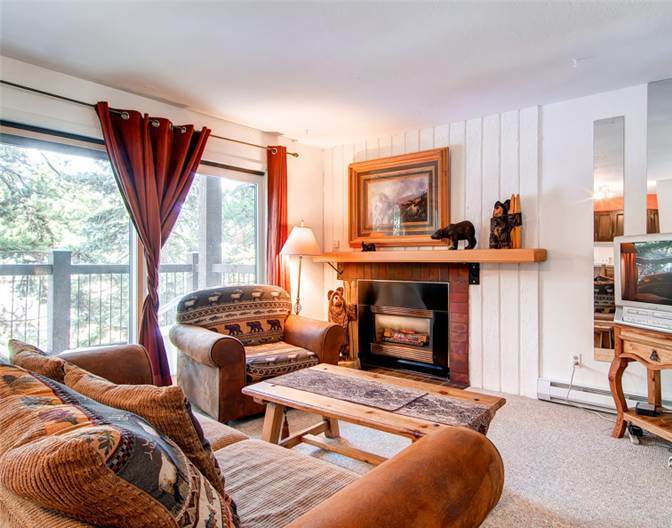 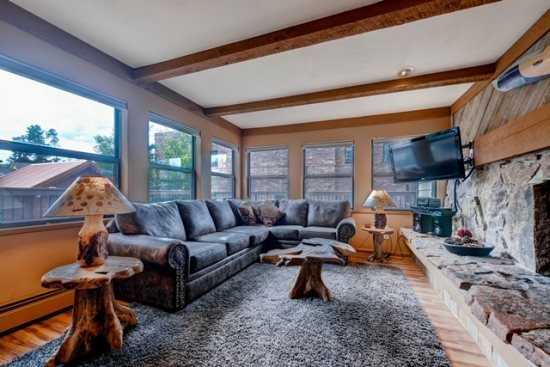 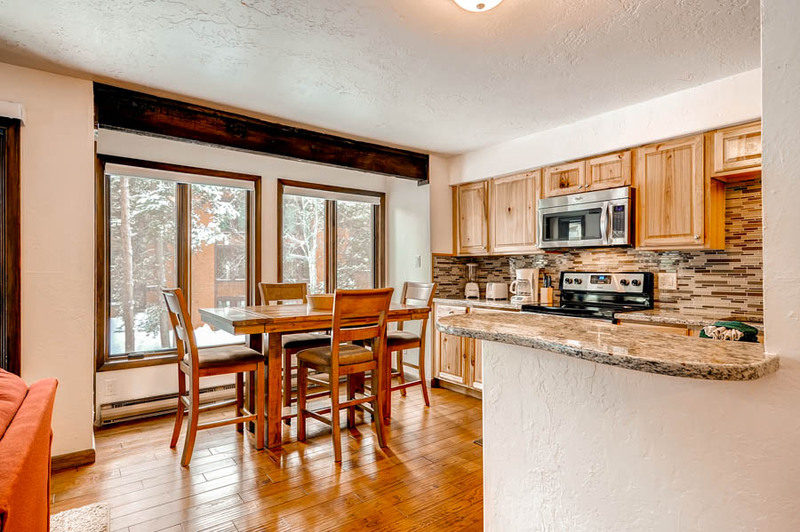 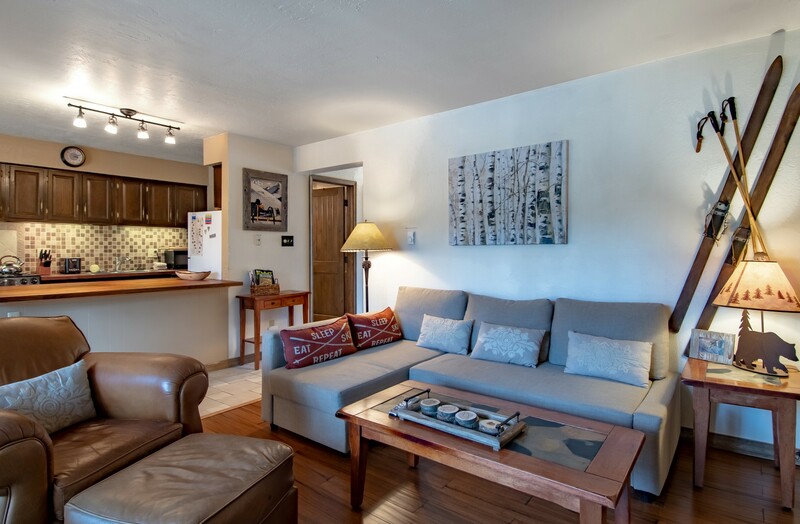 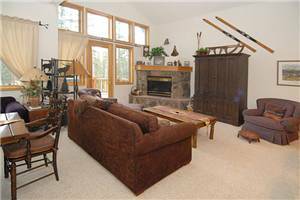 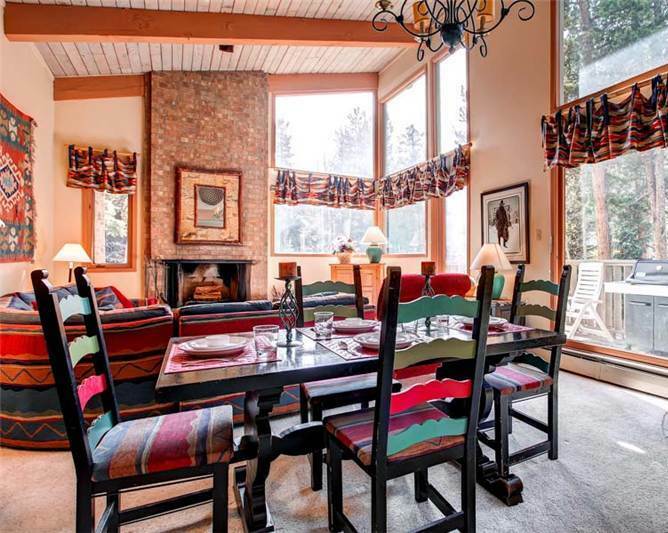 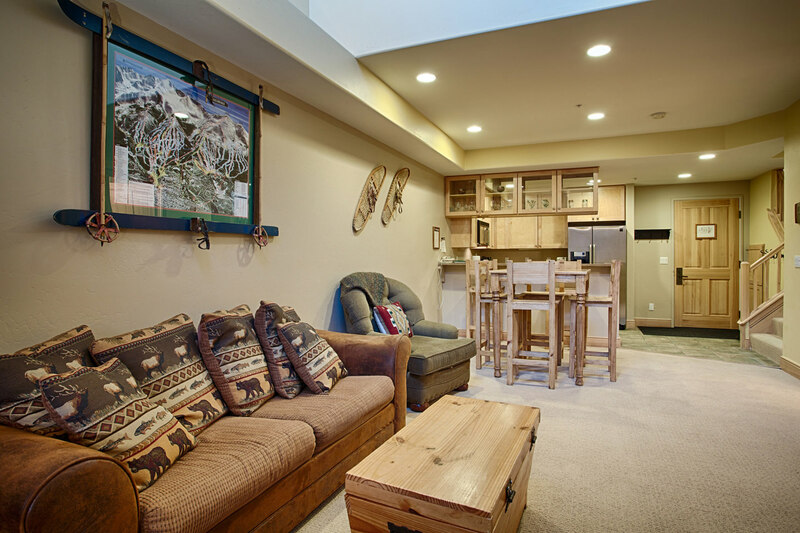 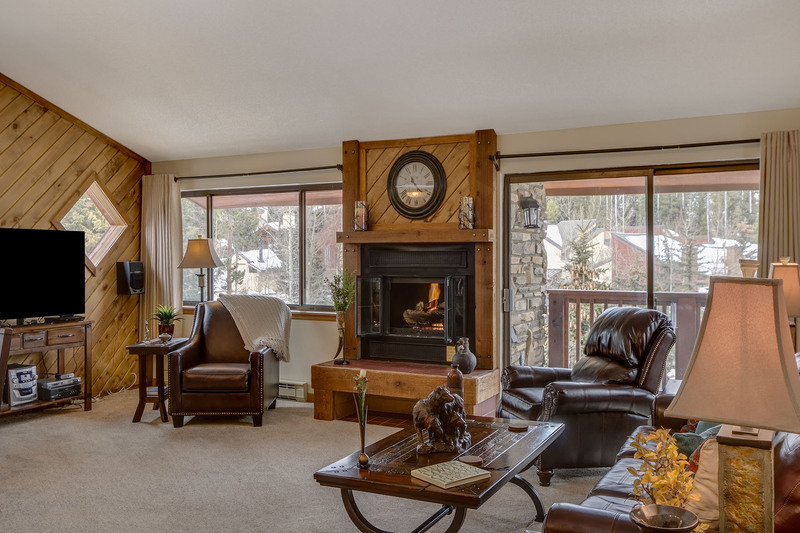 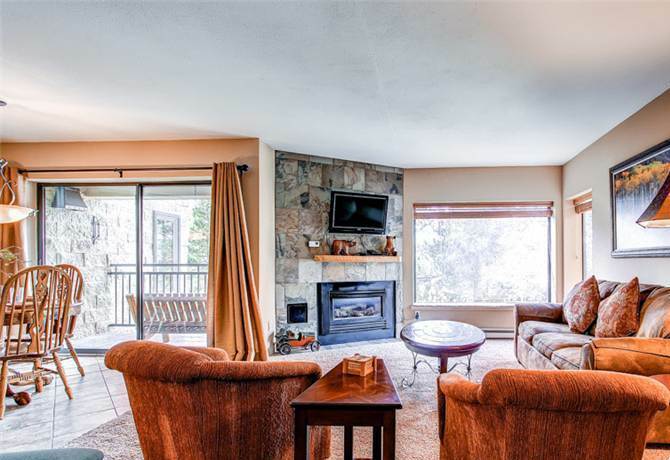 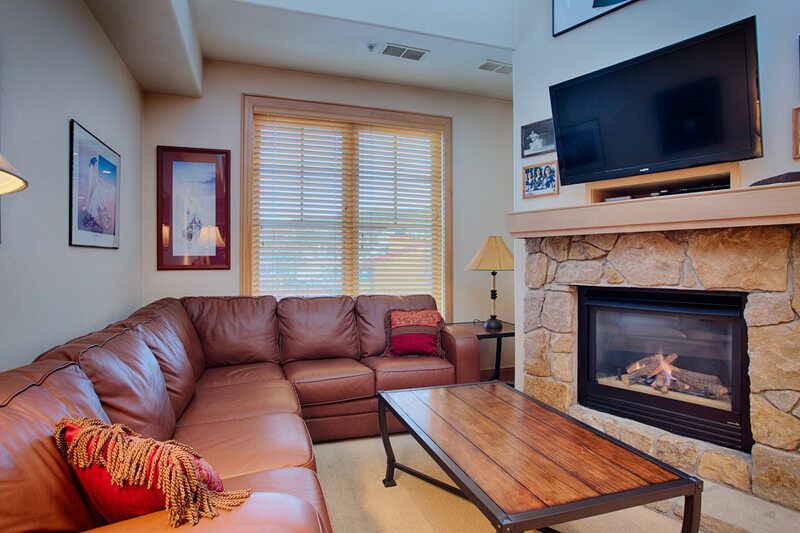 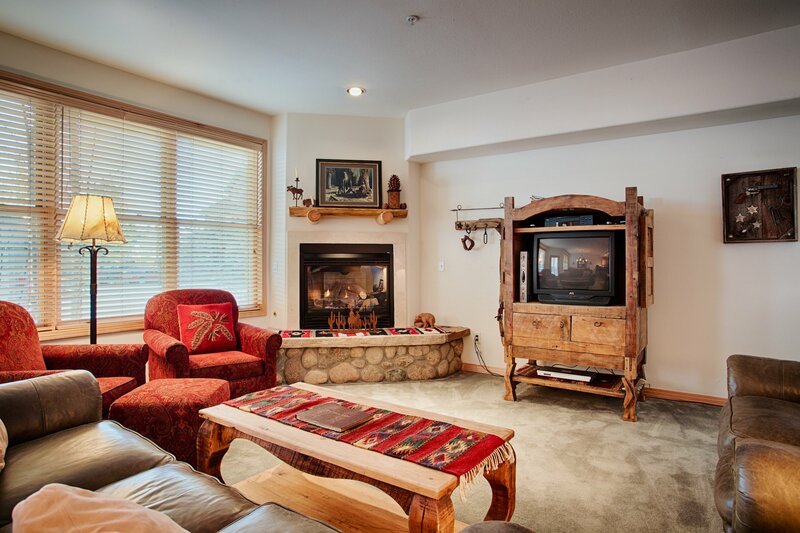 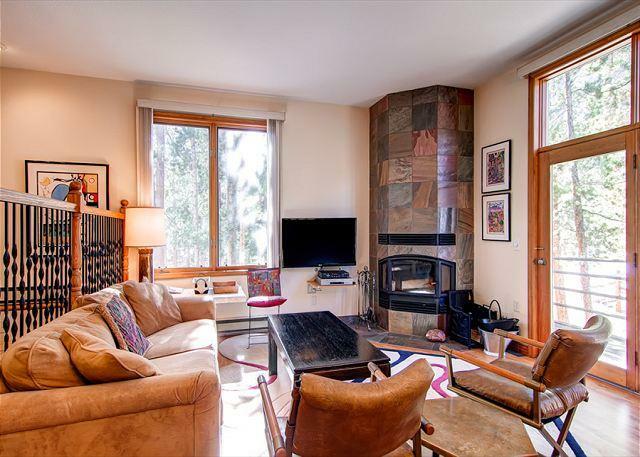 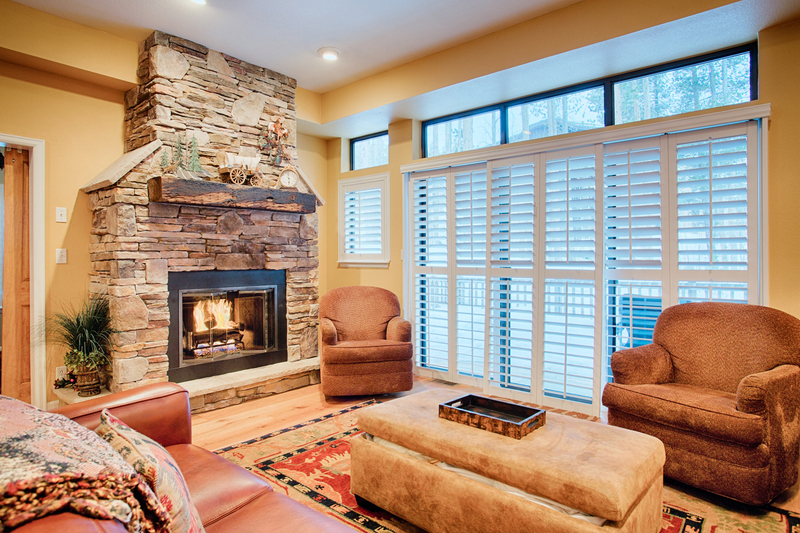 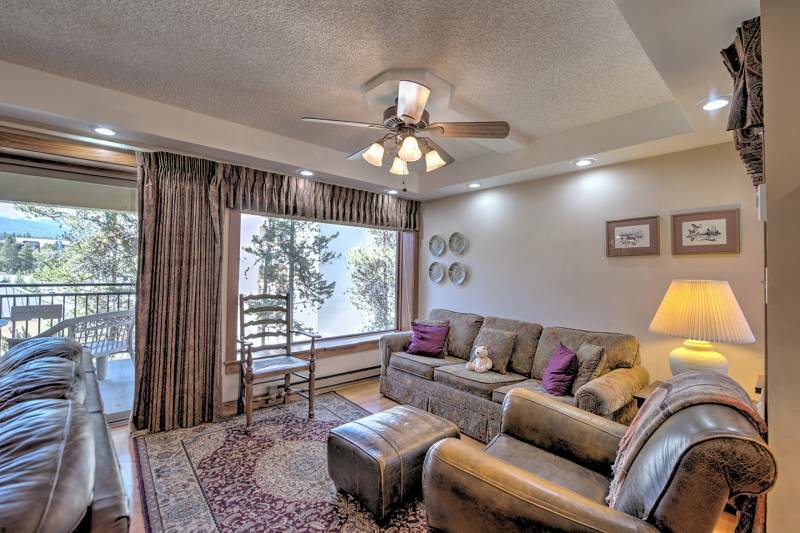 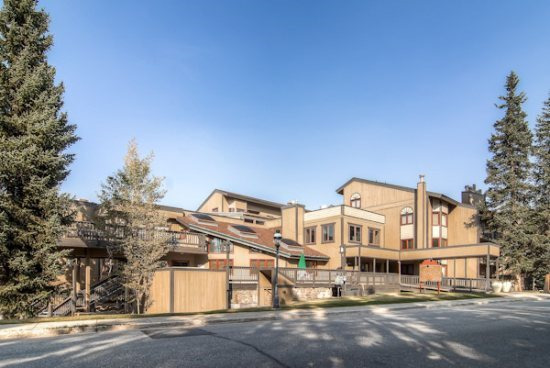 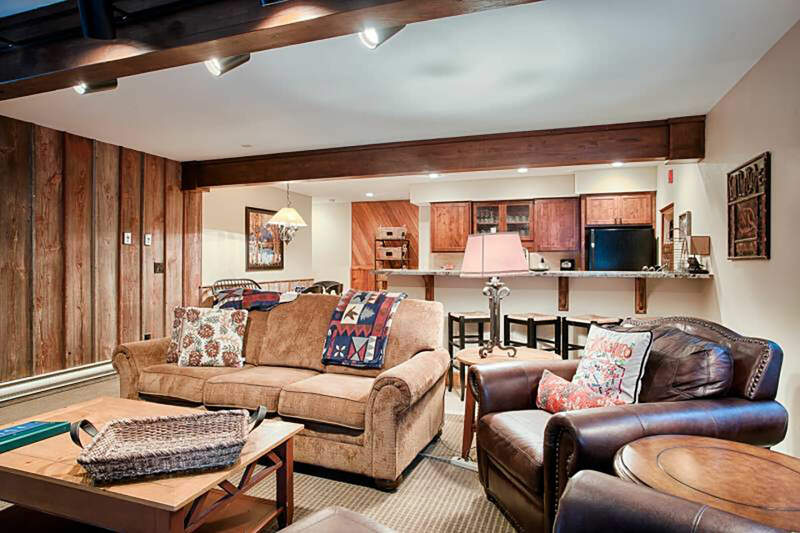 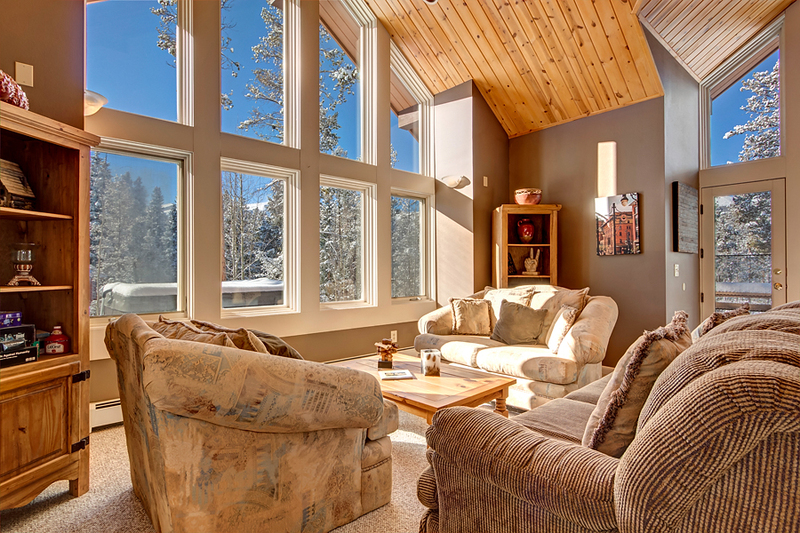 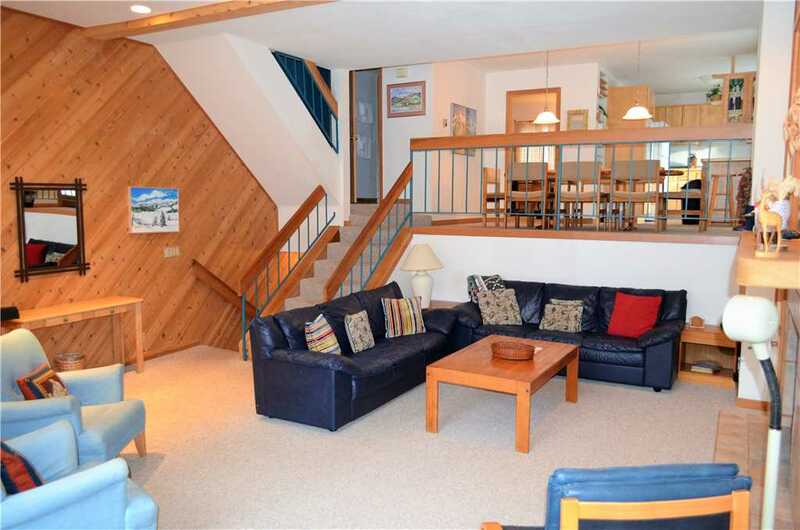 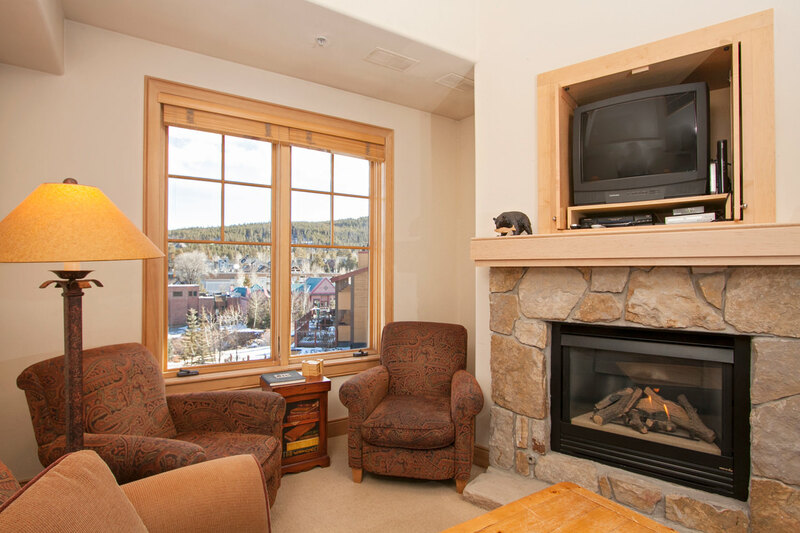 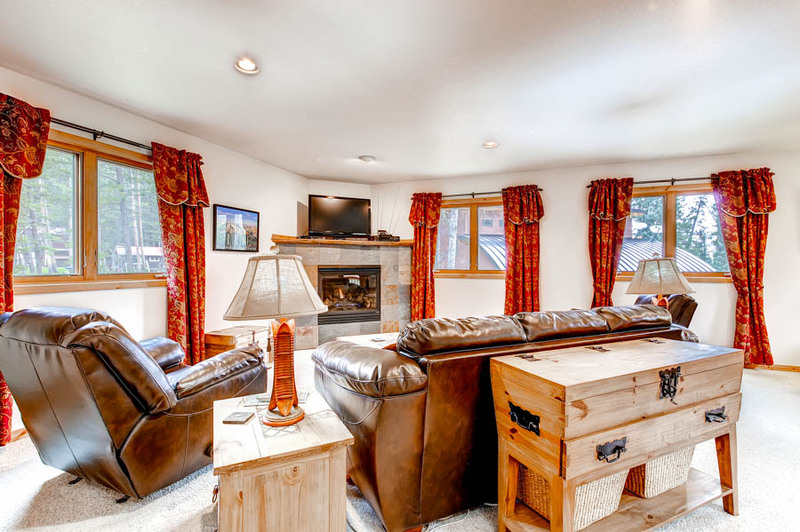 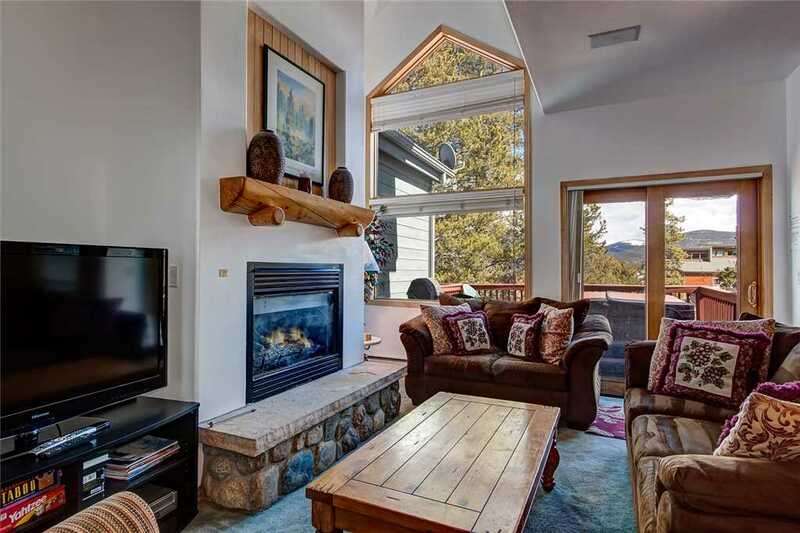 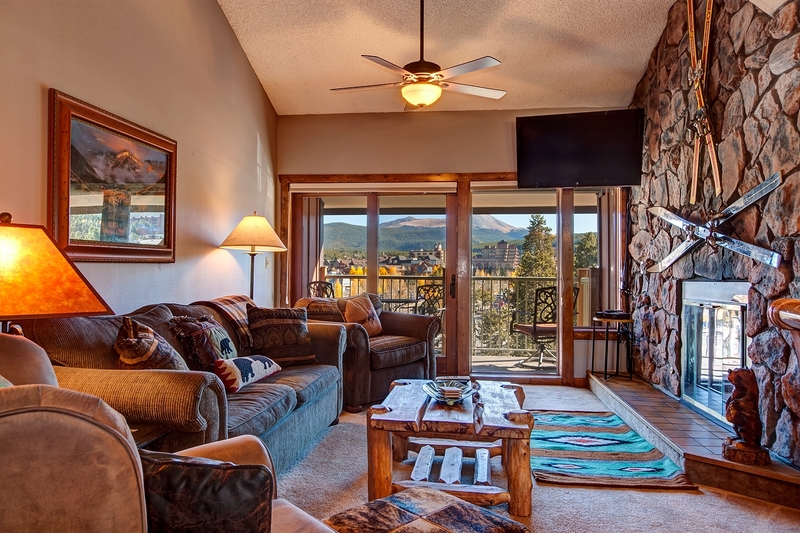 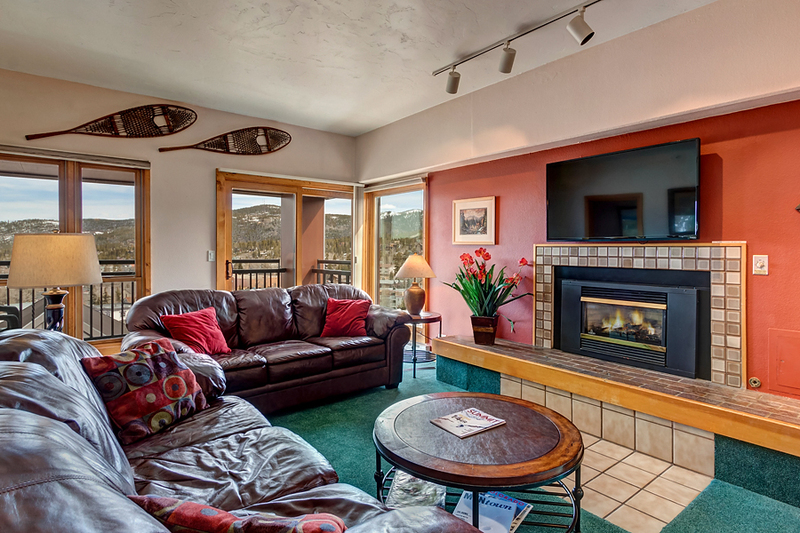 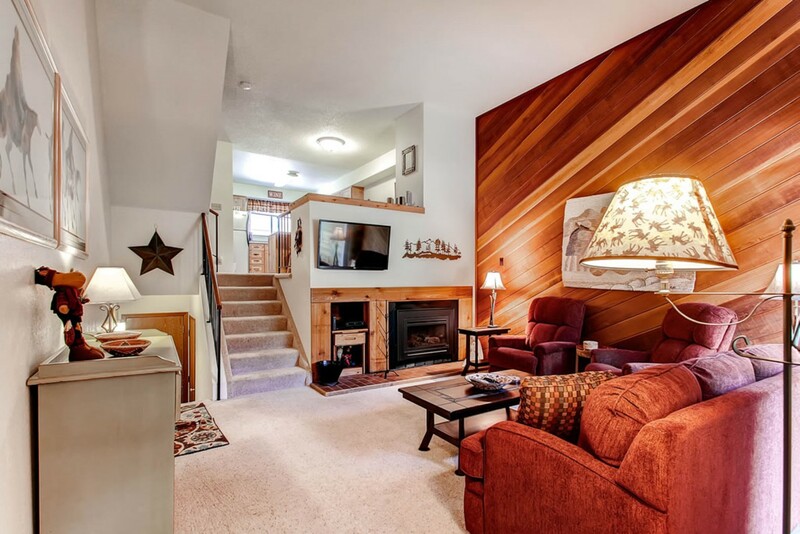 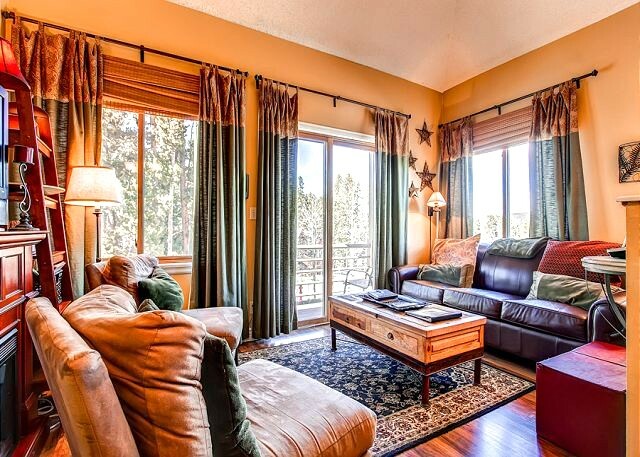 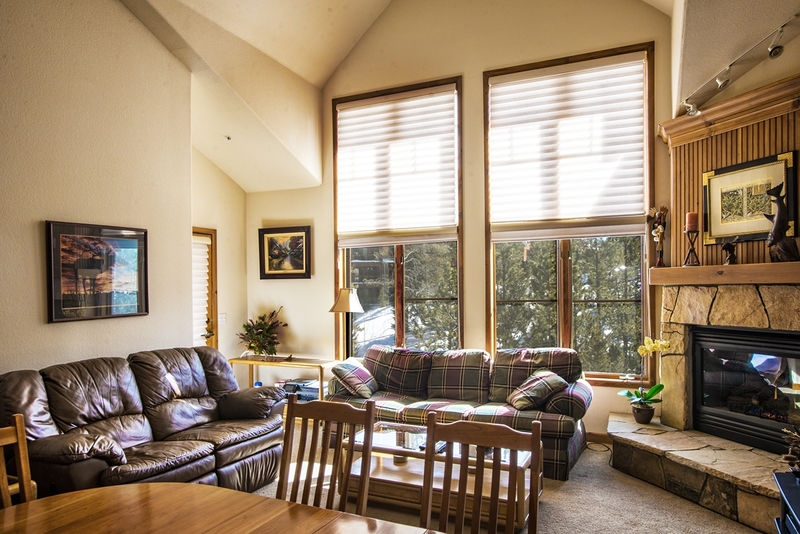 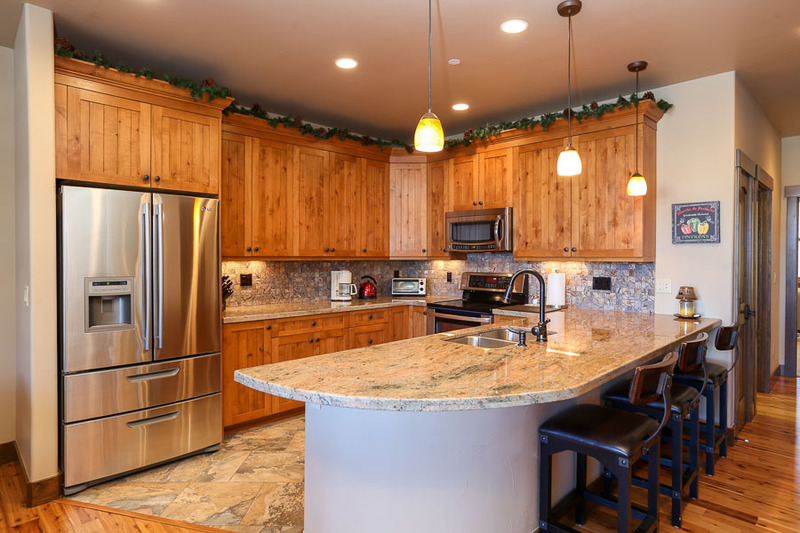 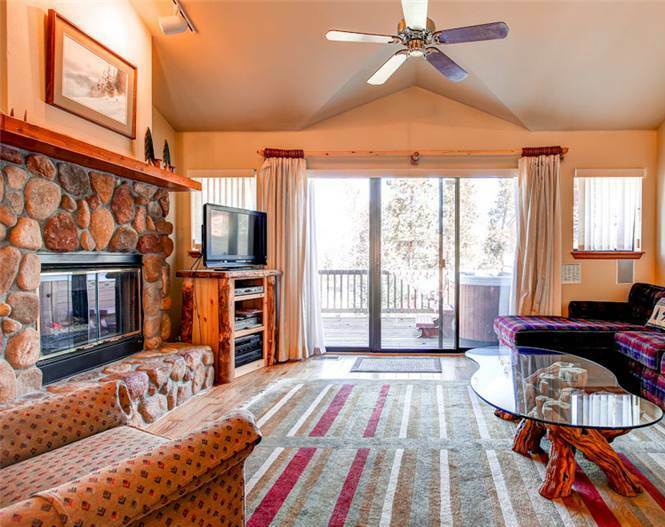 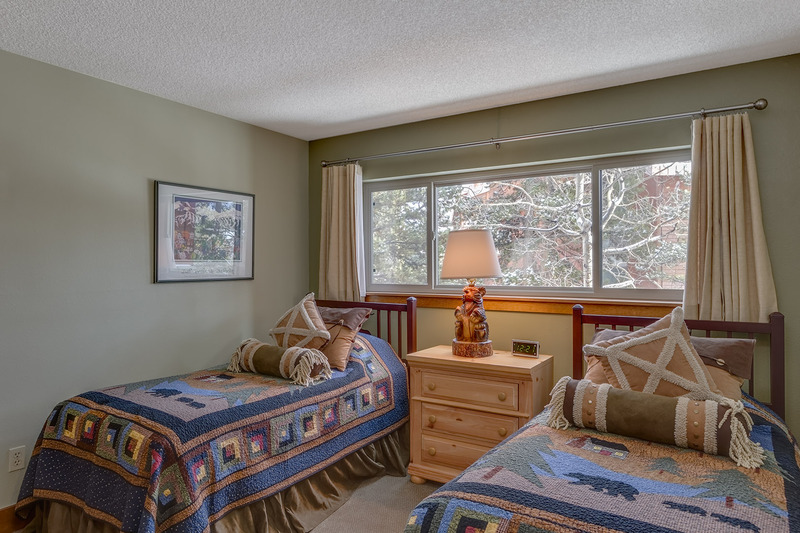 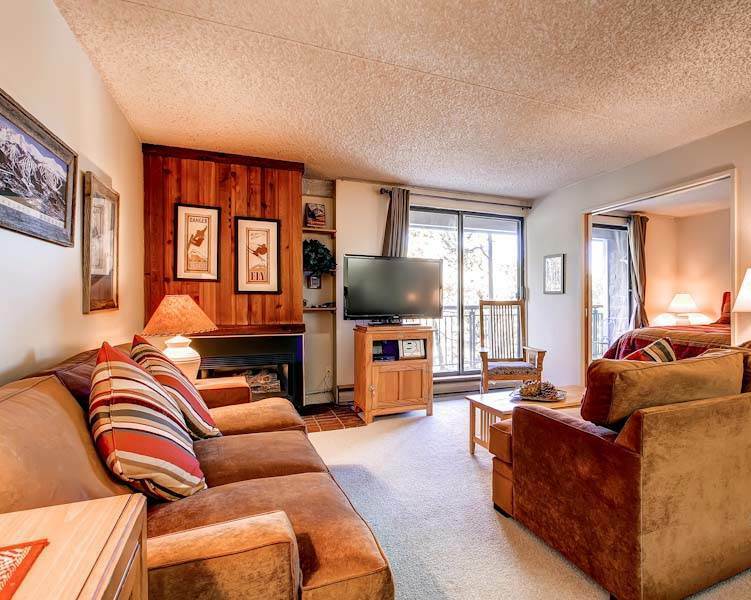 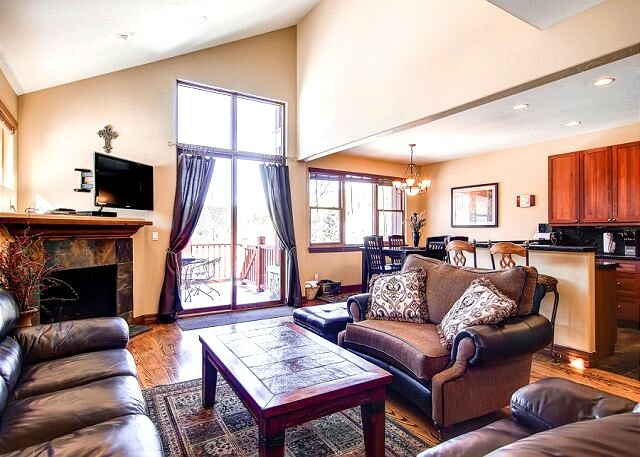 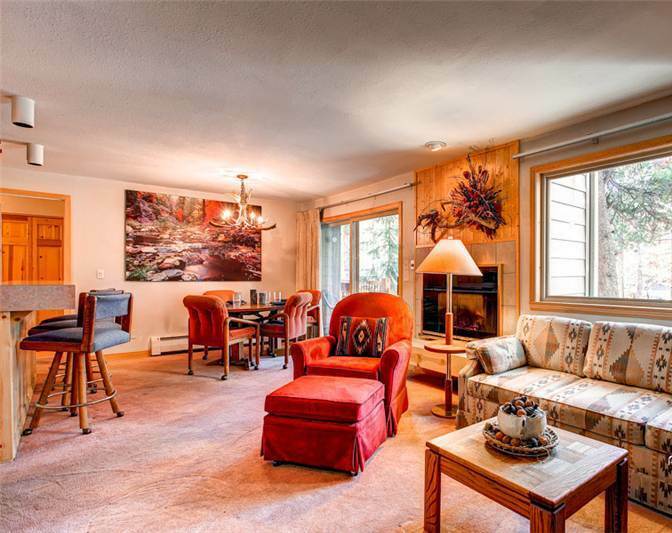 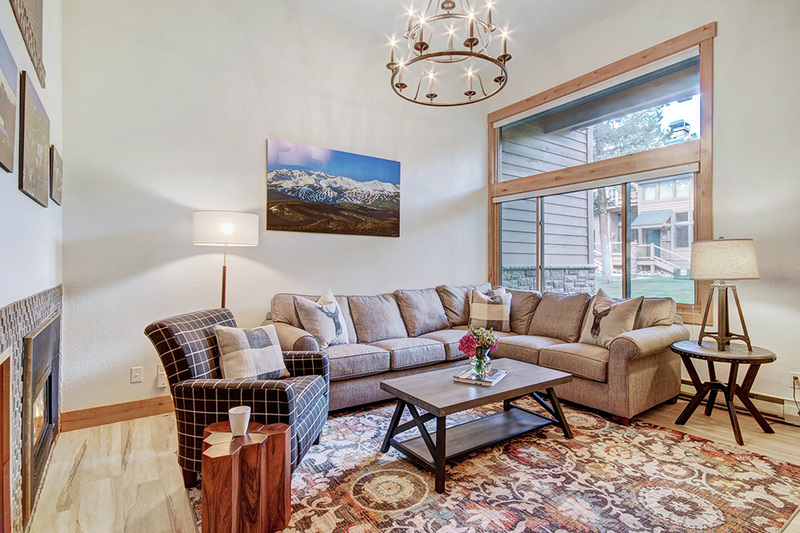 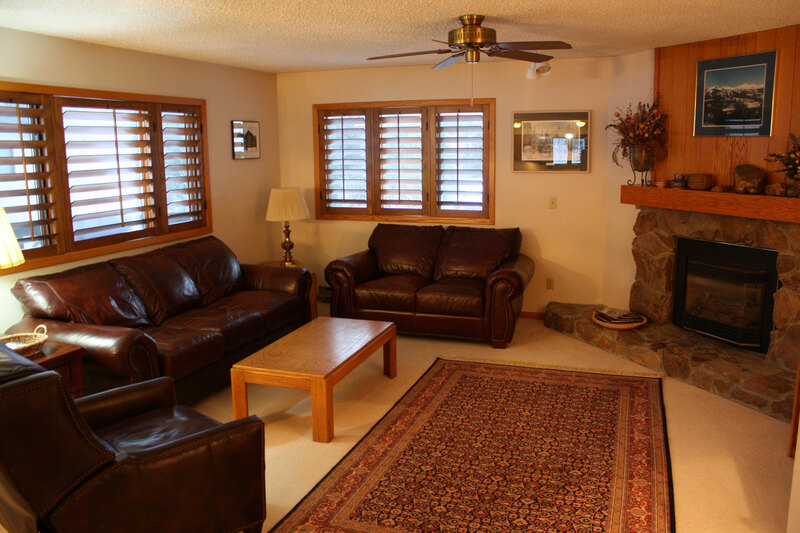 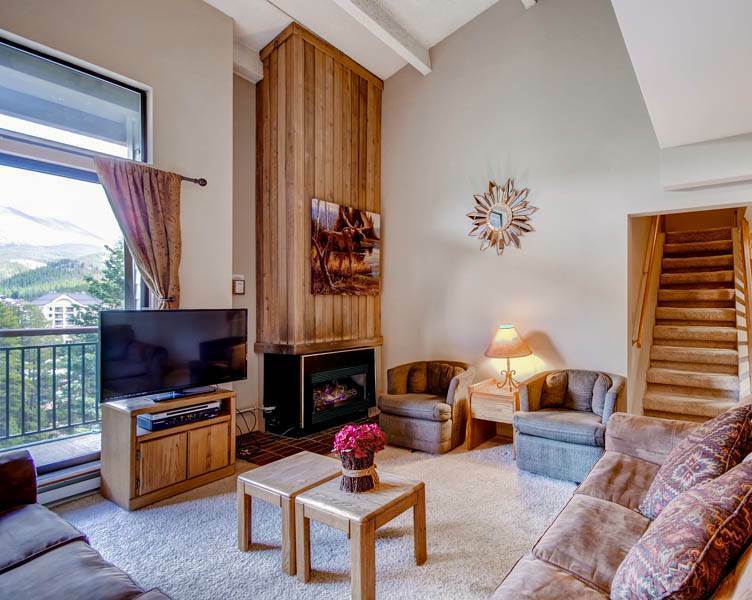 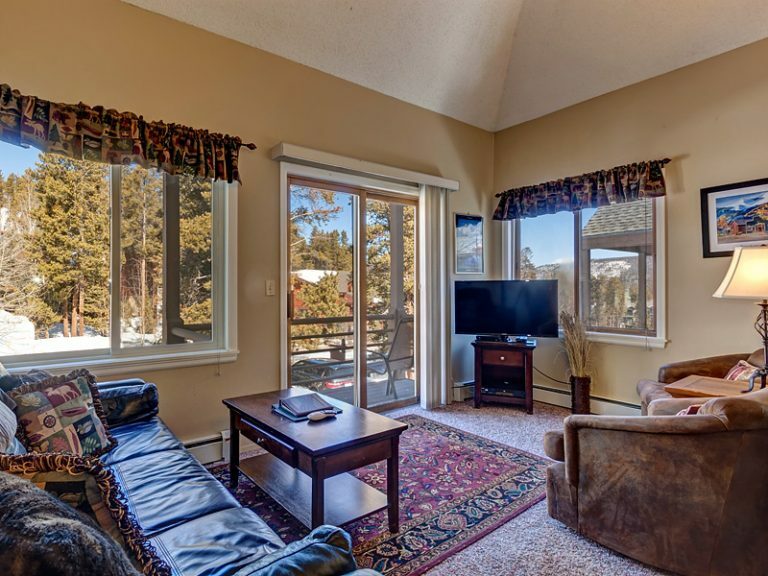 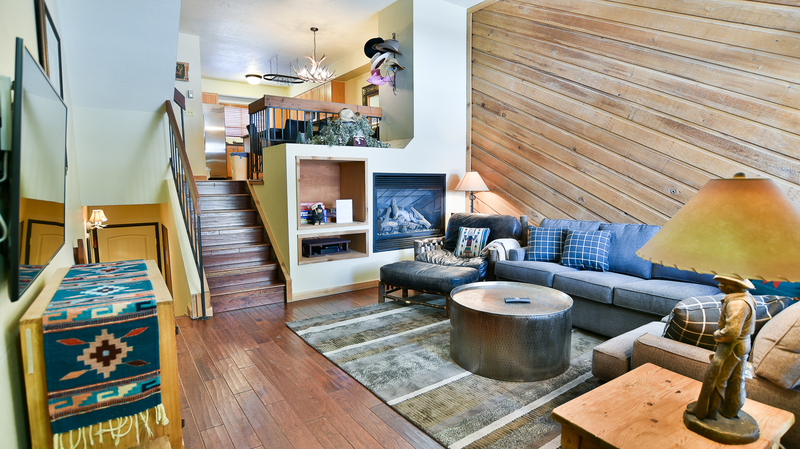 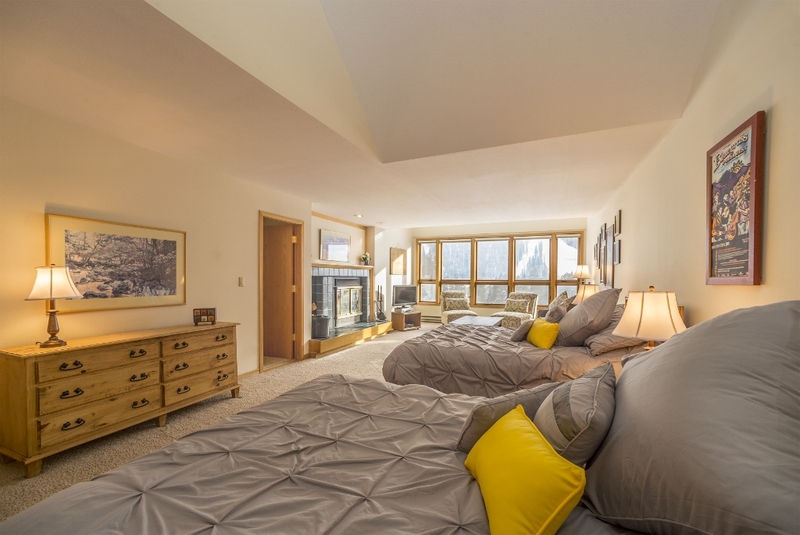 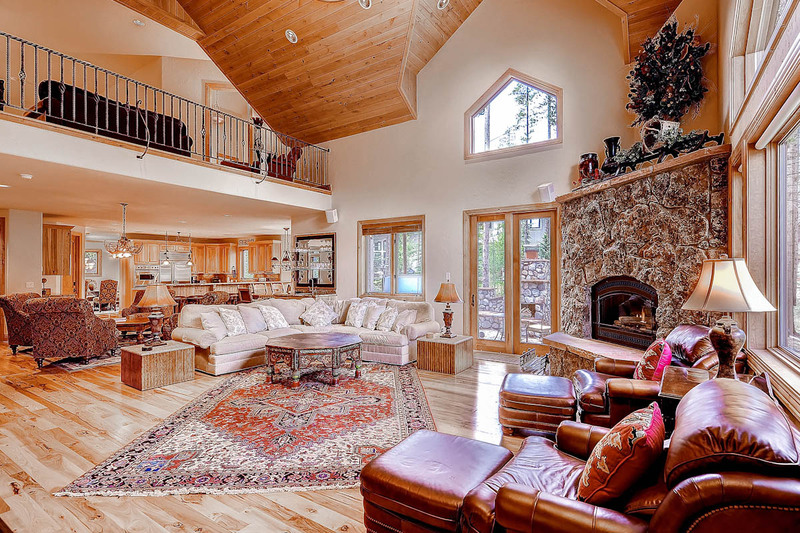 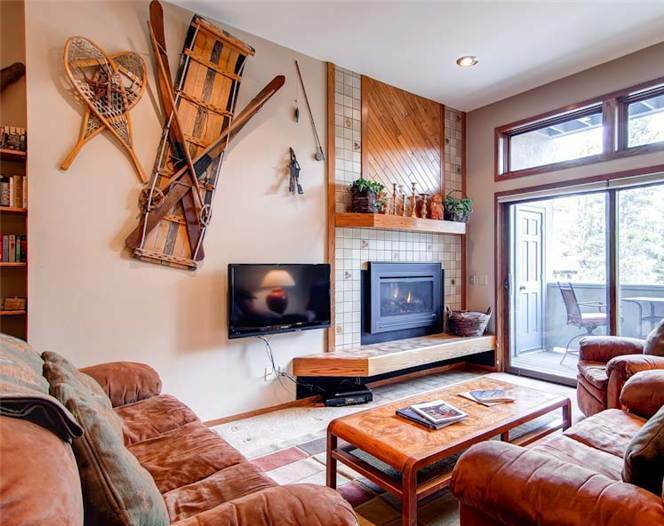 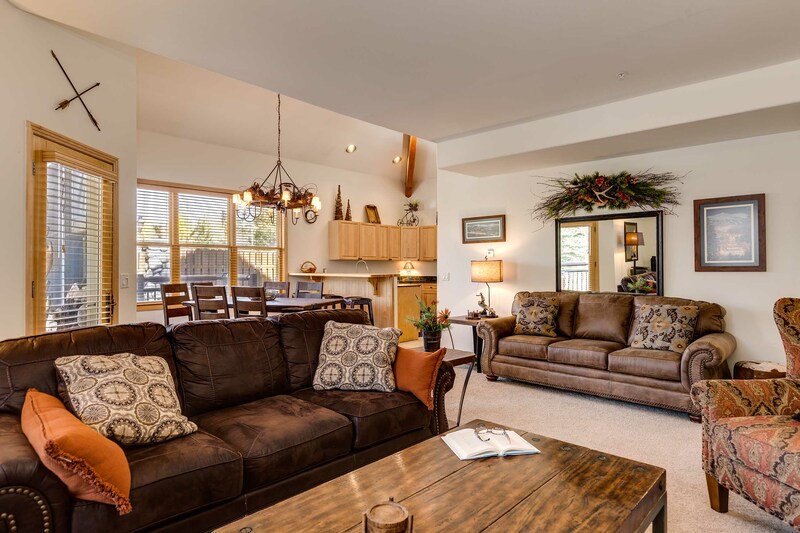 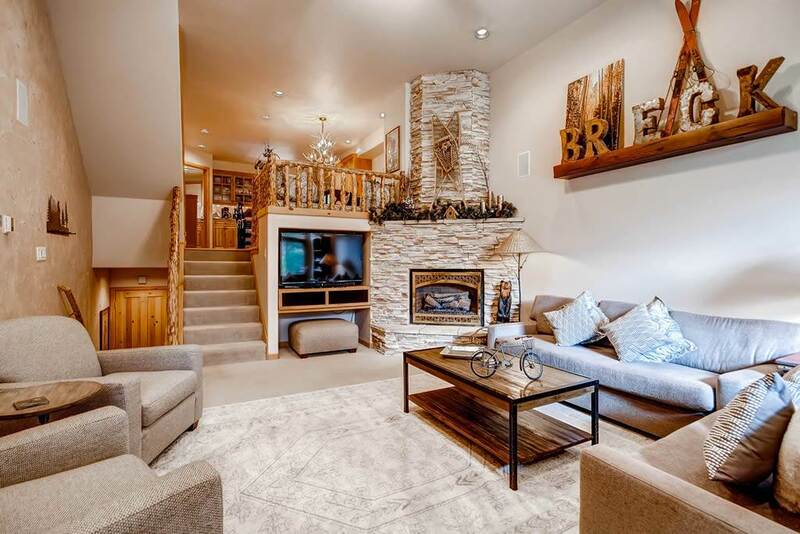 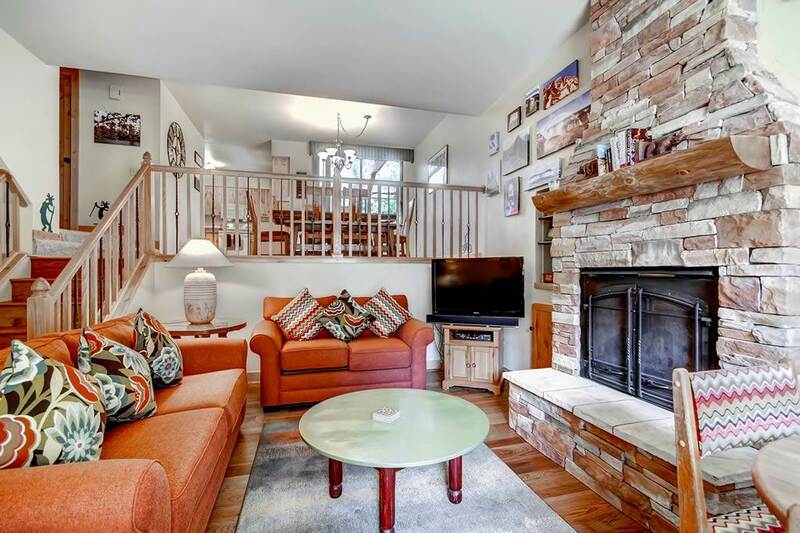 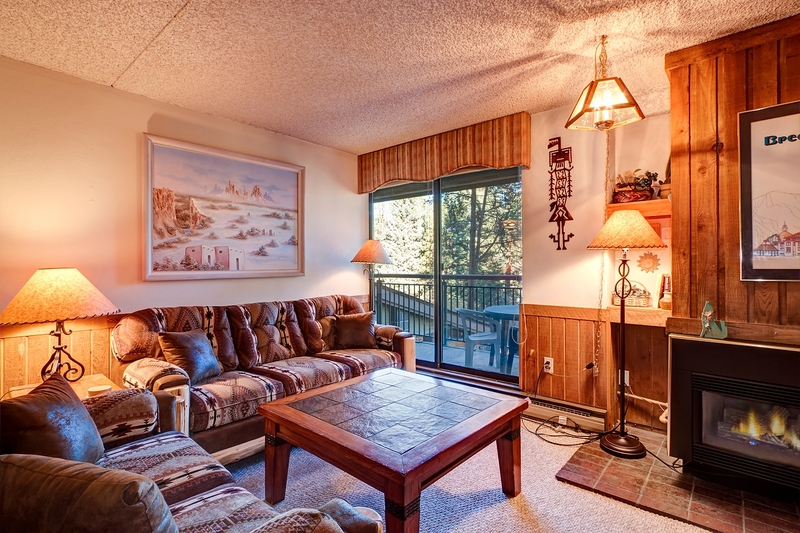 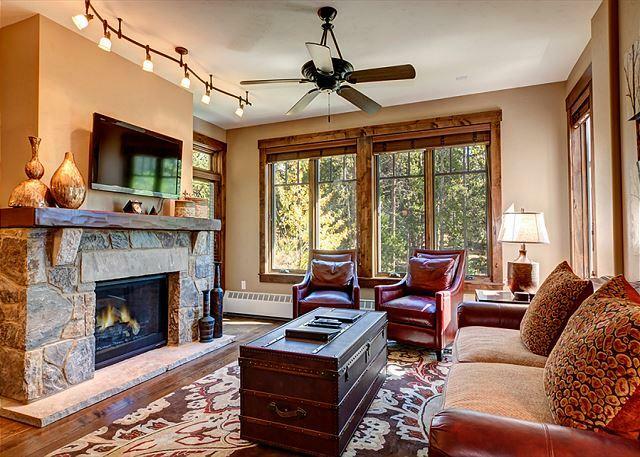 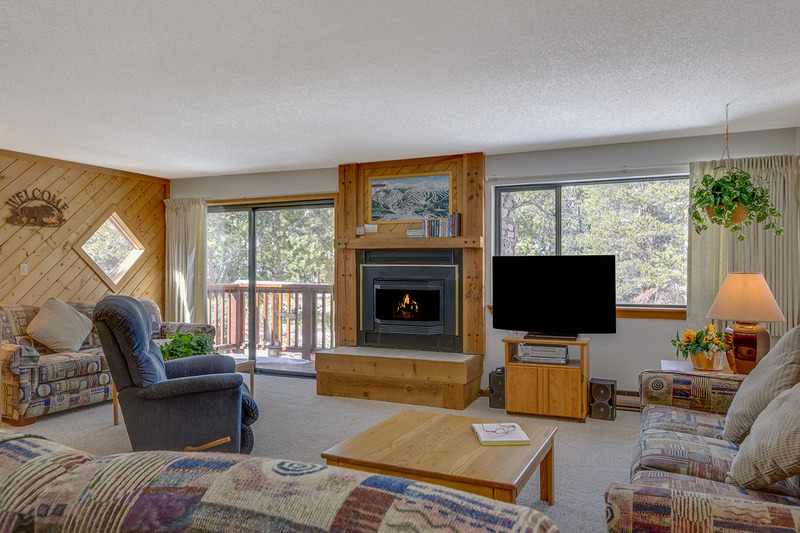 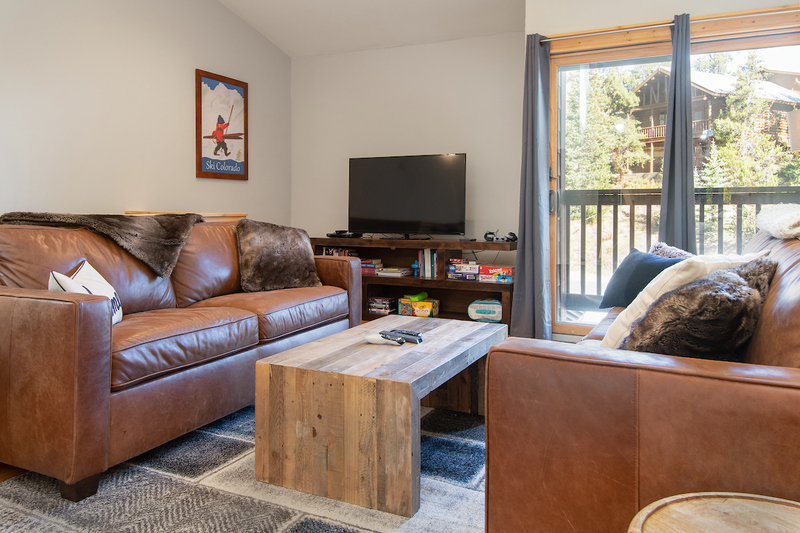 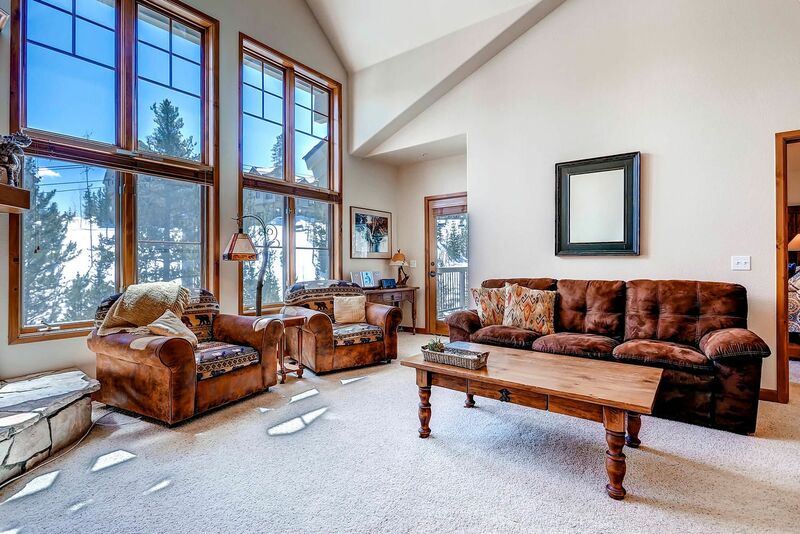 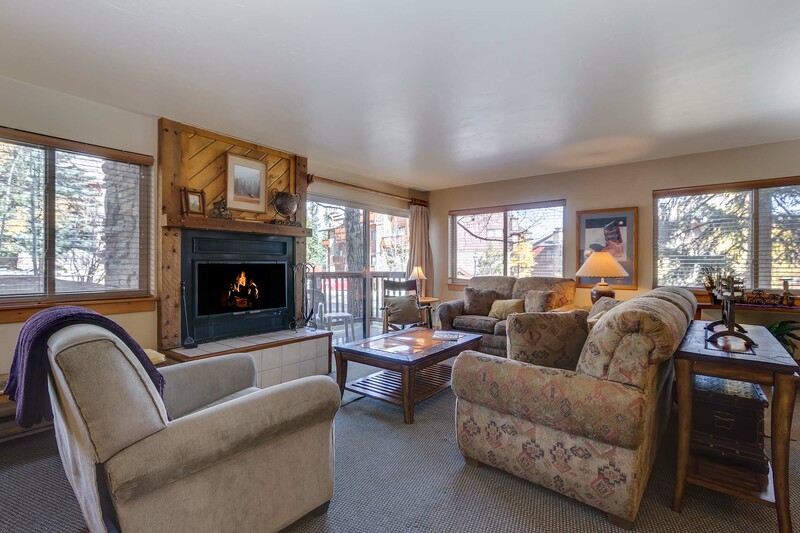 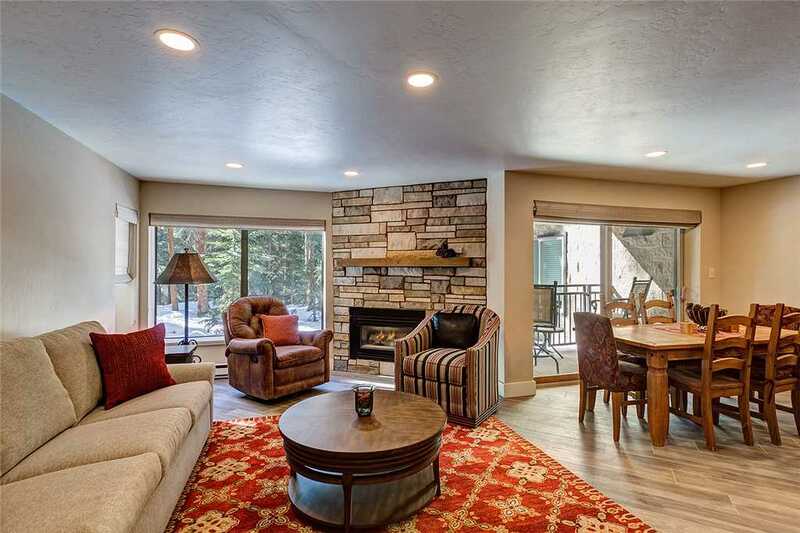 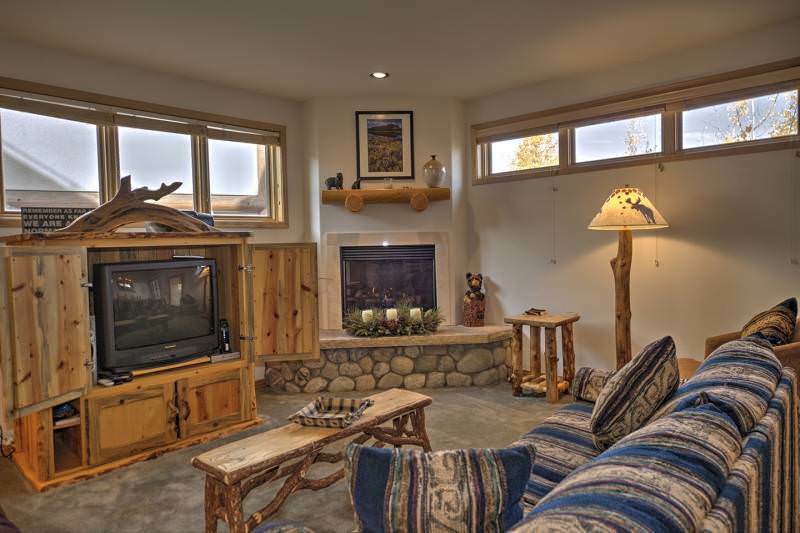 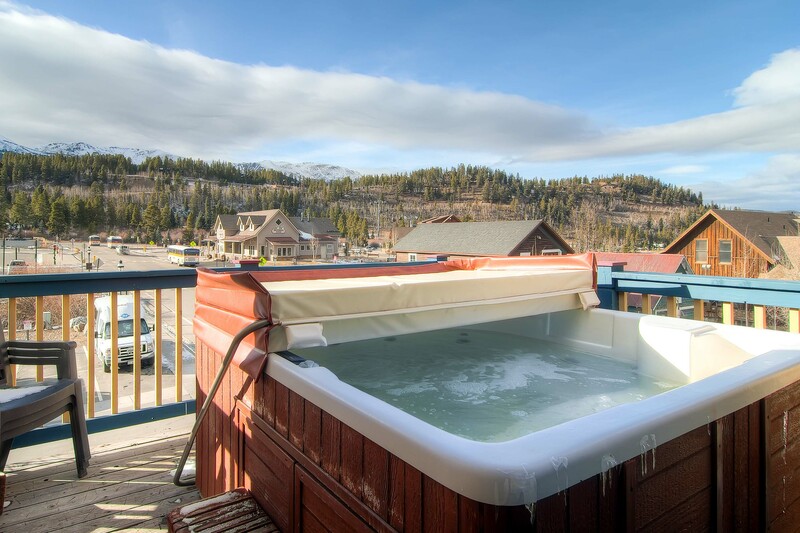 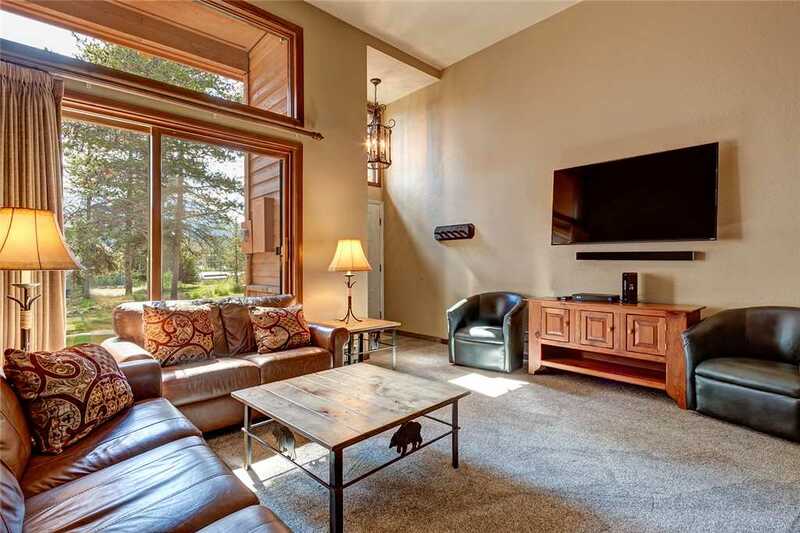 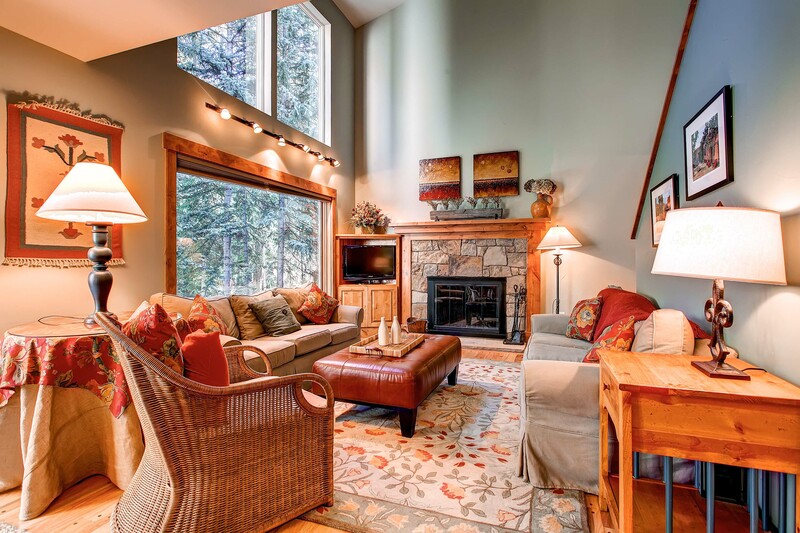 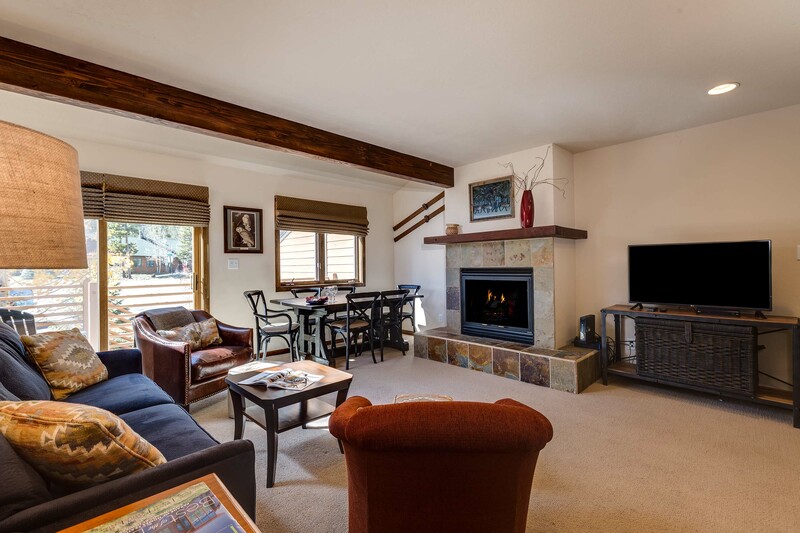 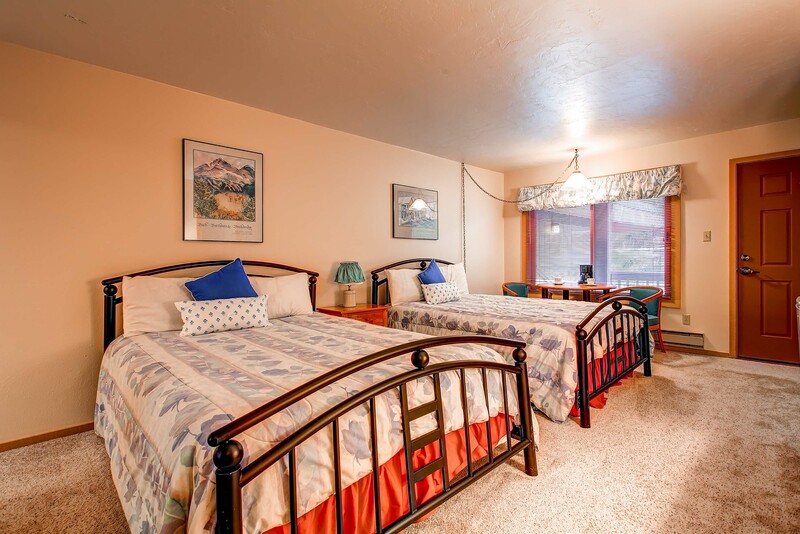 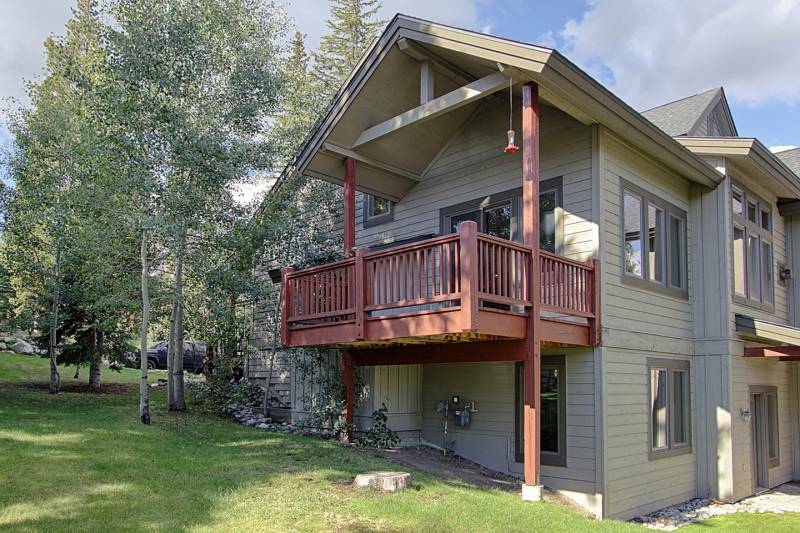 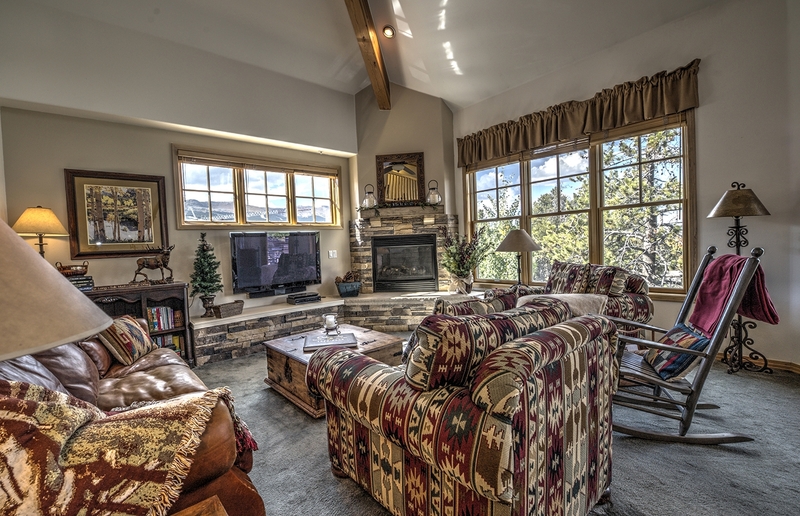 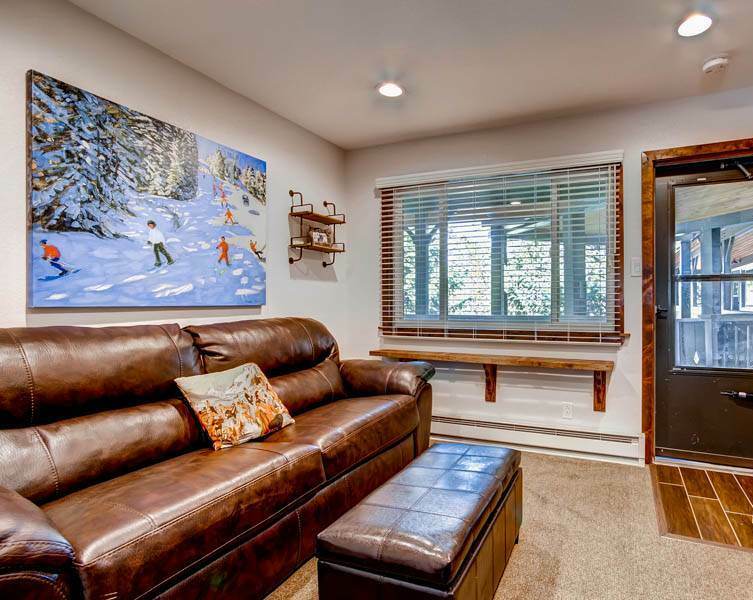 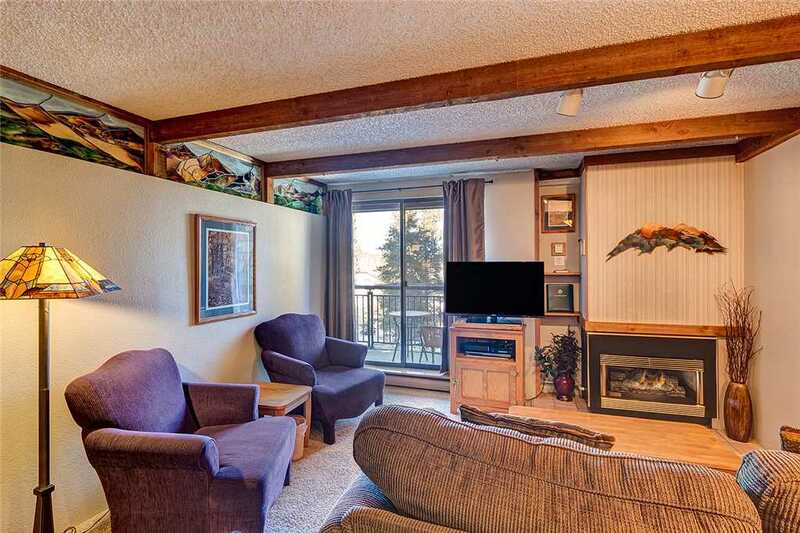 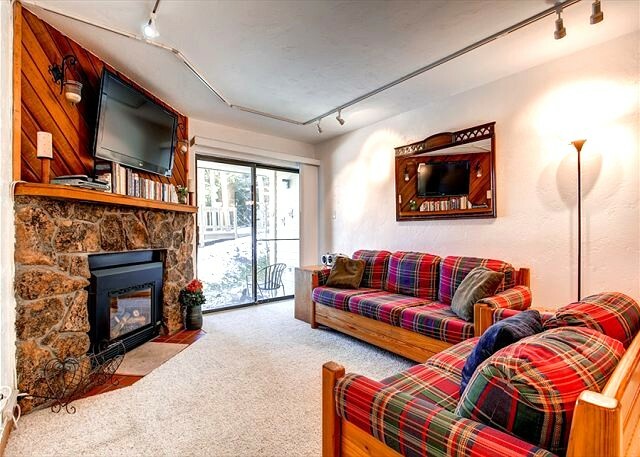 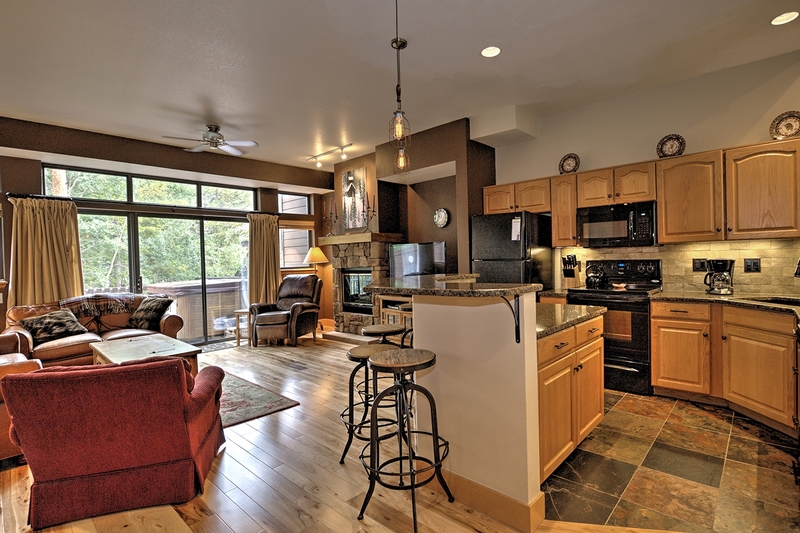 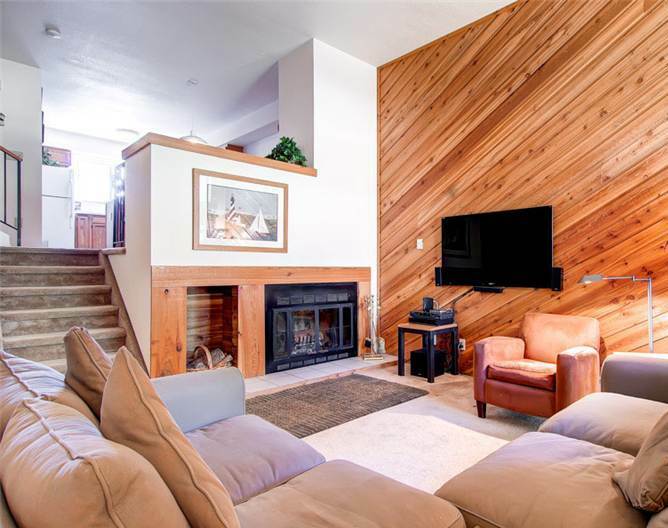 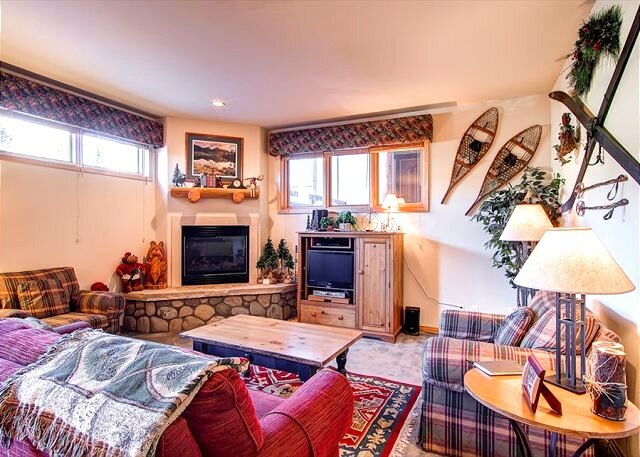 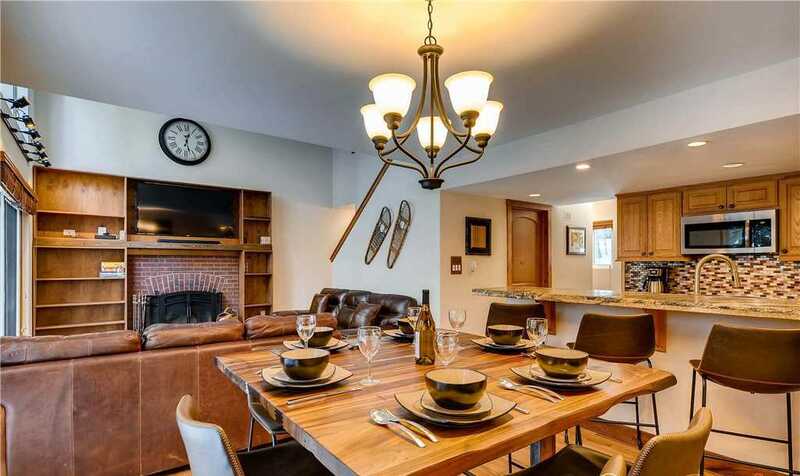 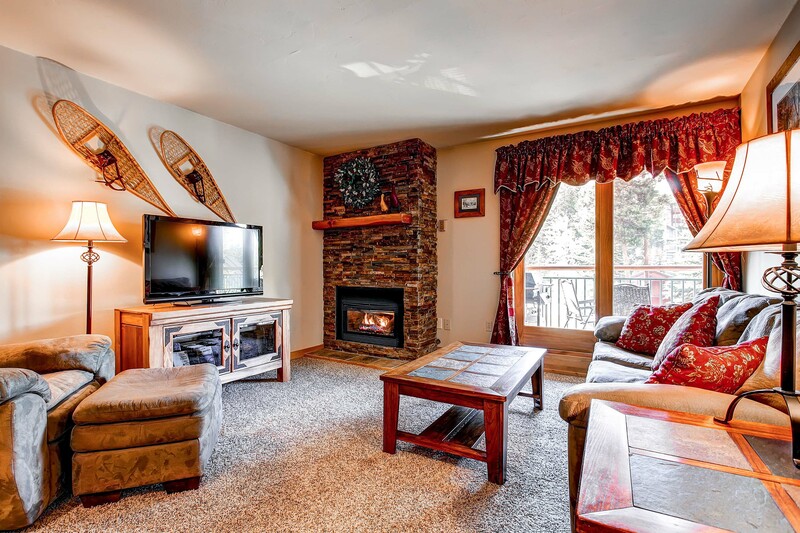 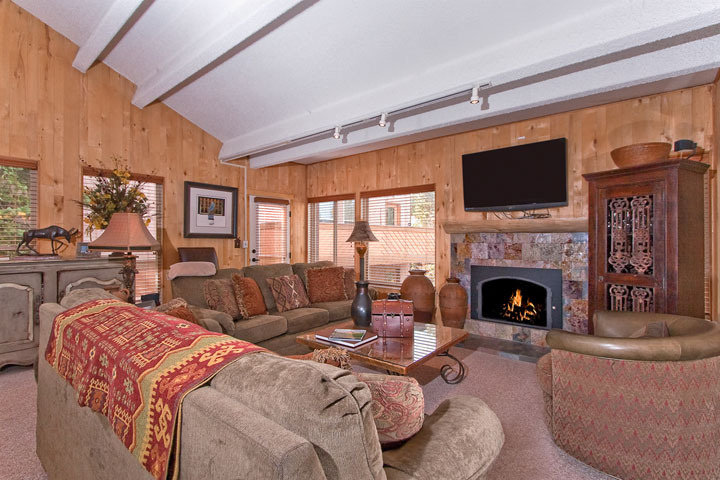 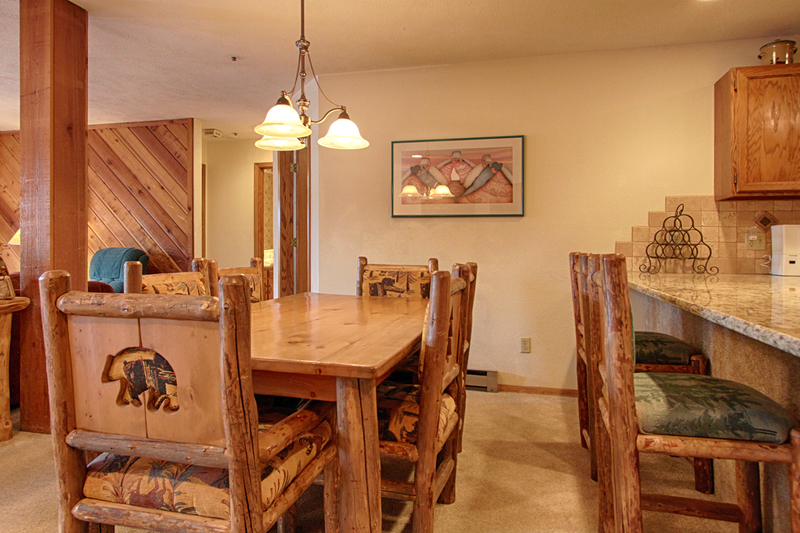 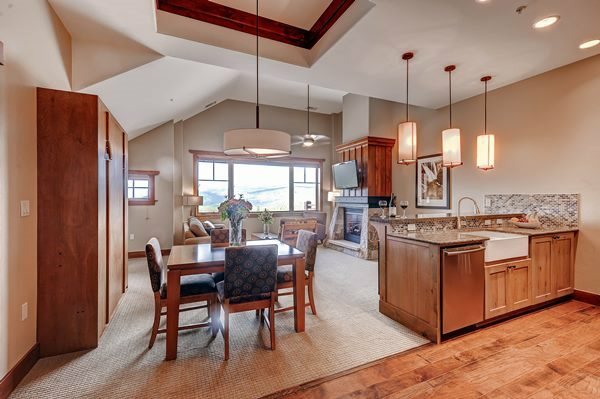 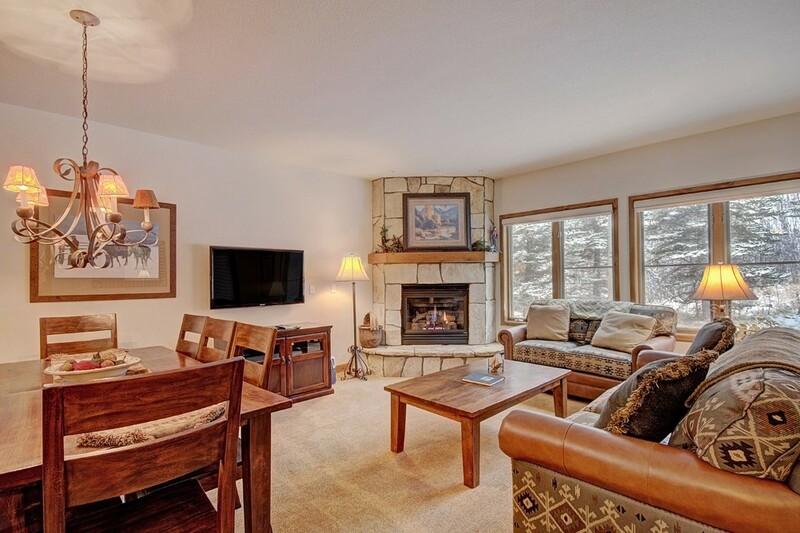 There are two expansive balconies located off of the living room and master bedroom with spectacular views of the ski slopes and Baldy Mountain. 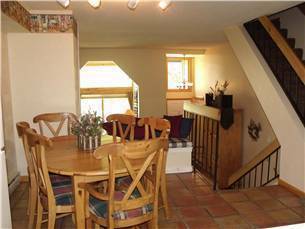 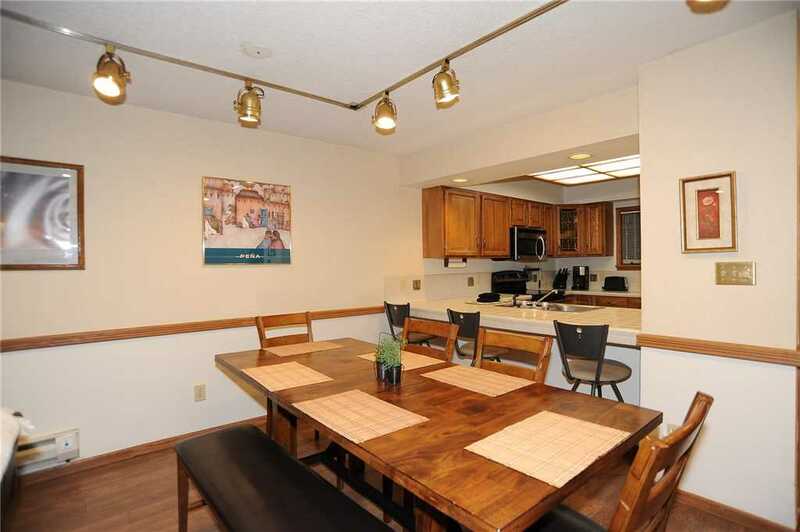 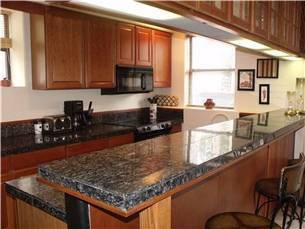 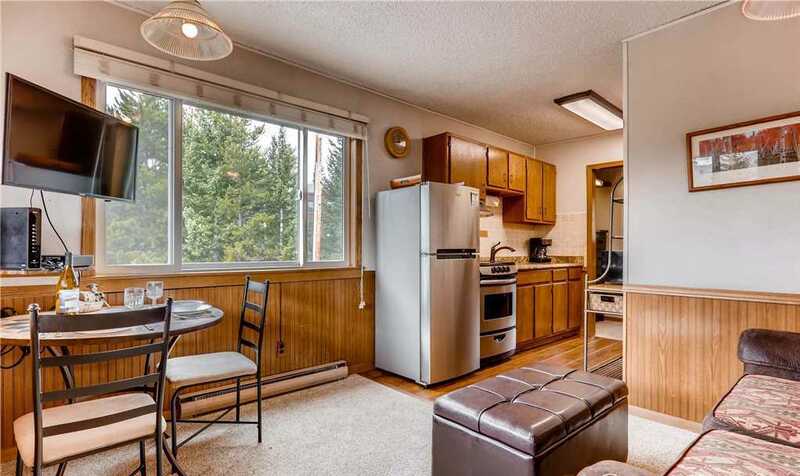 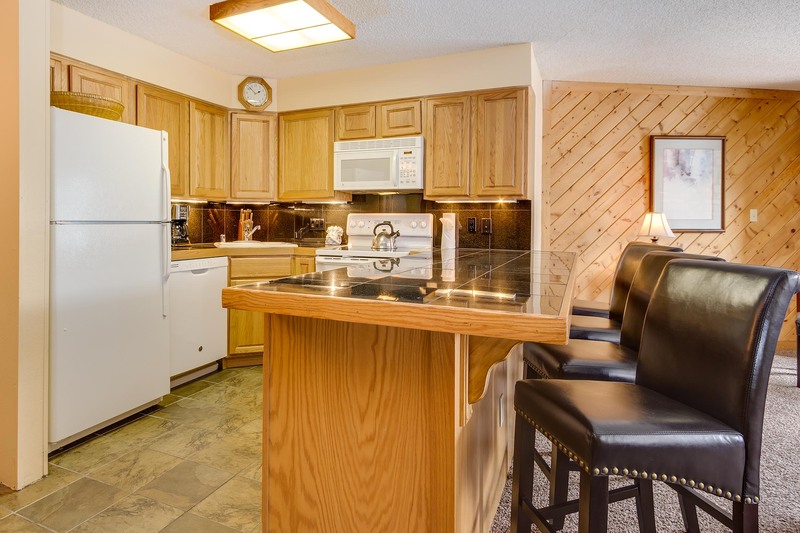 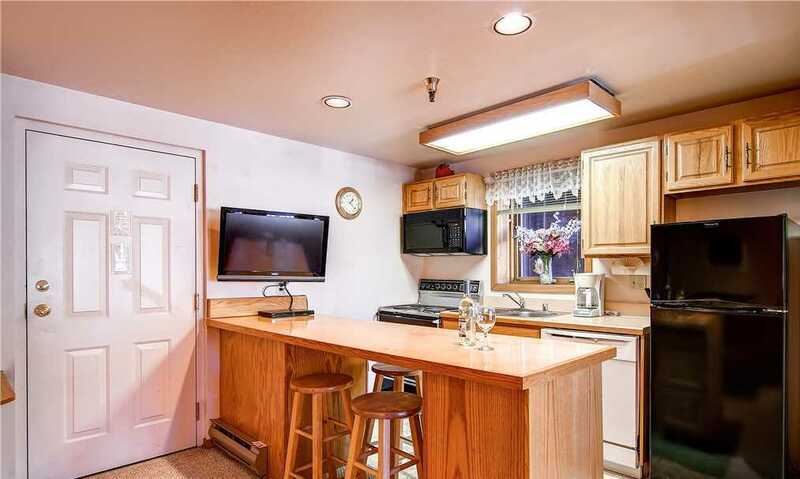 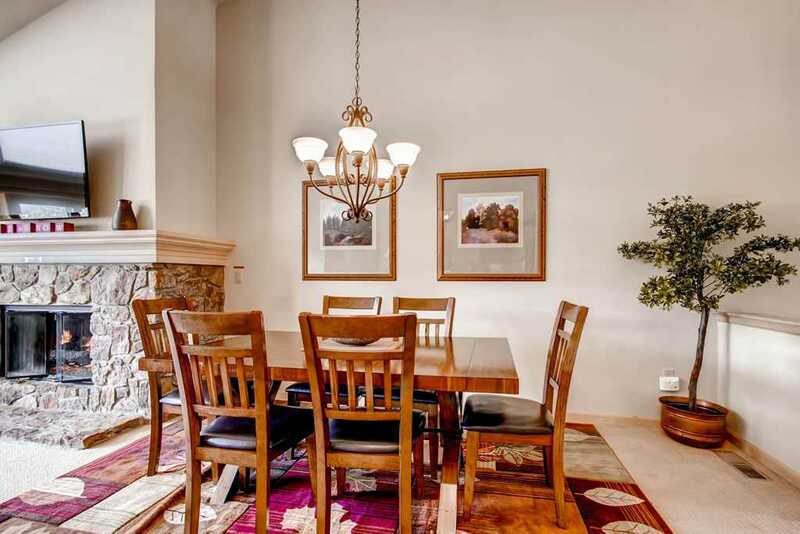 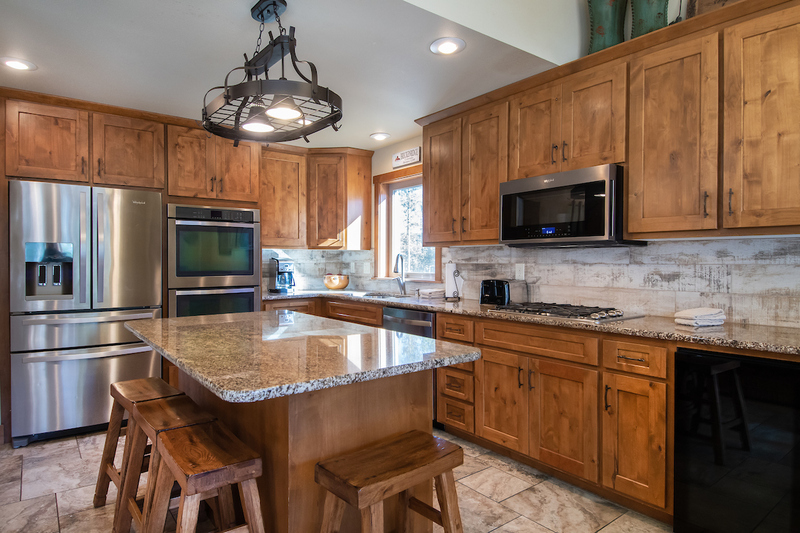 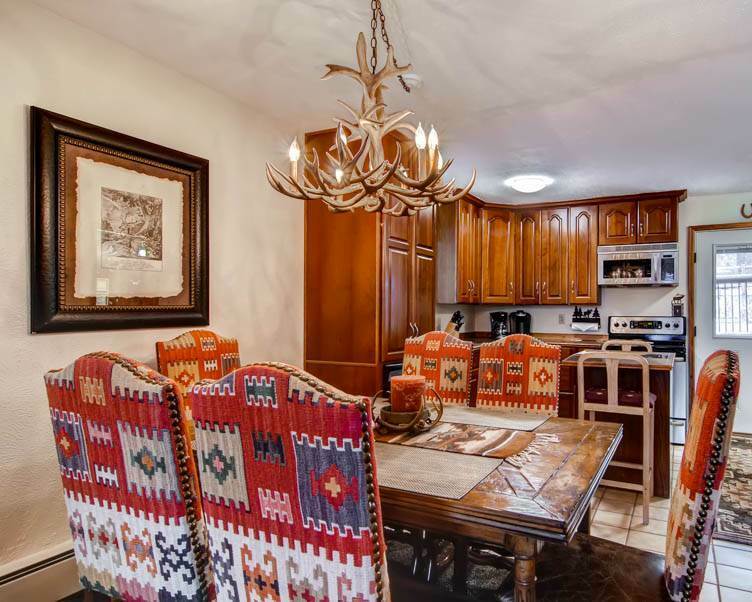 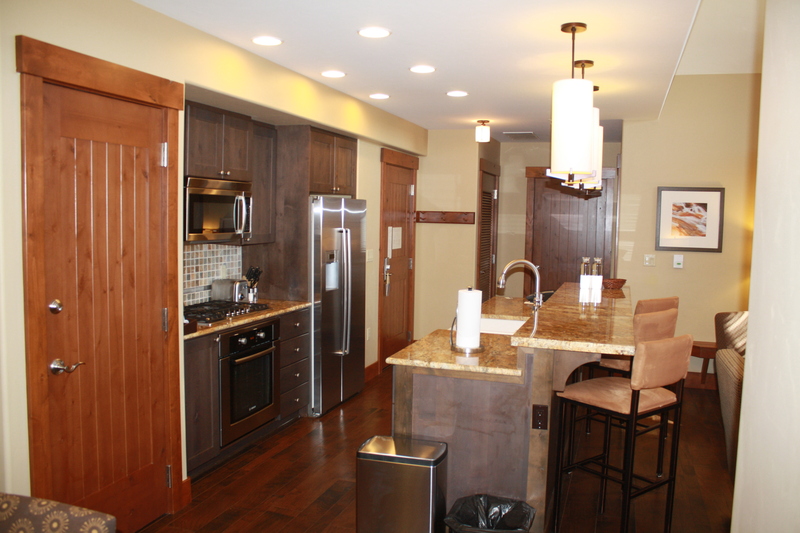 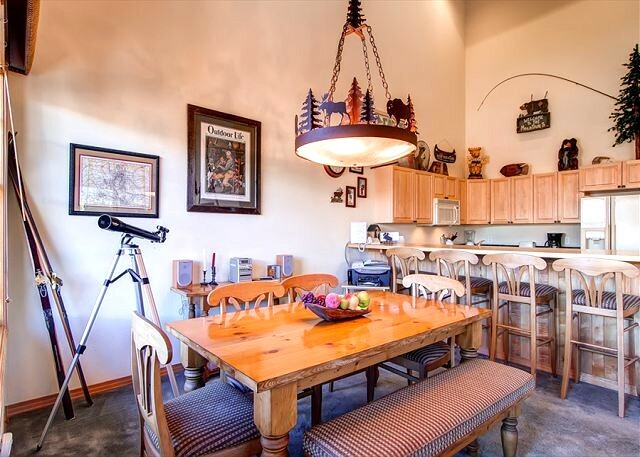 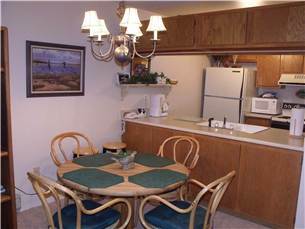 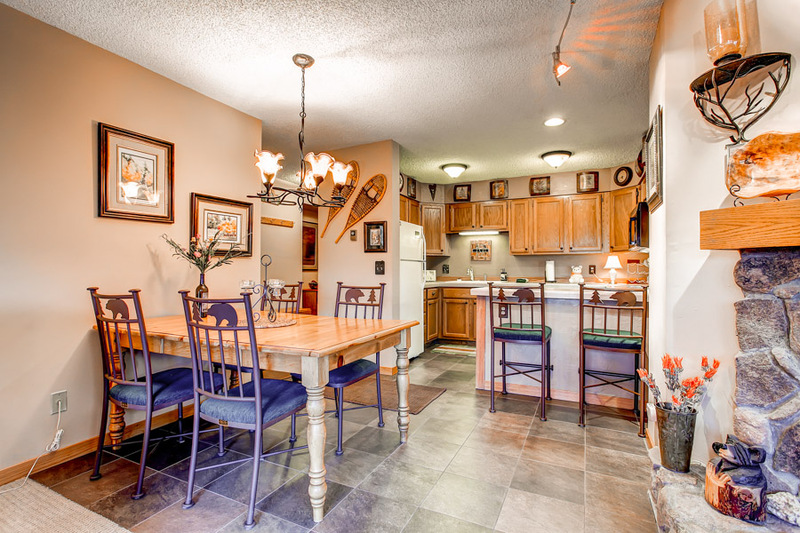 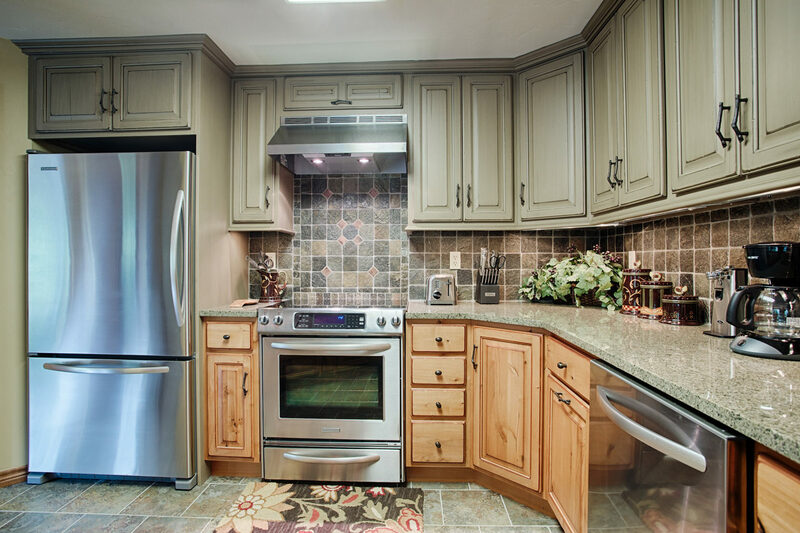 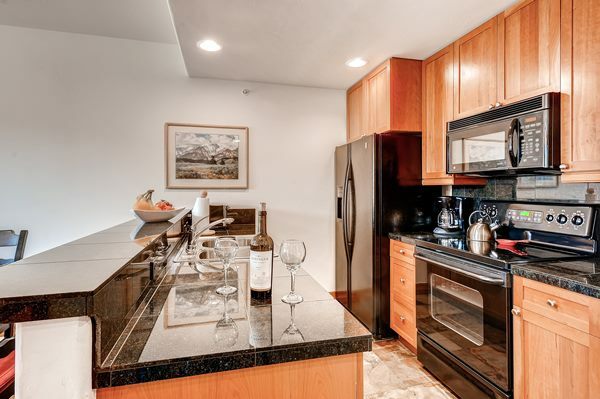 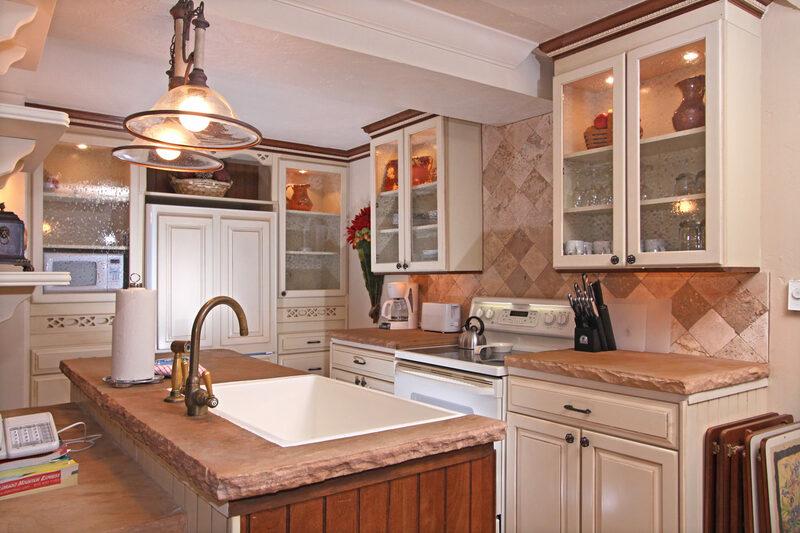 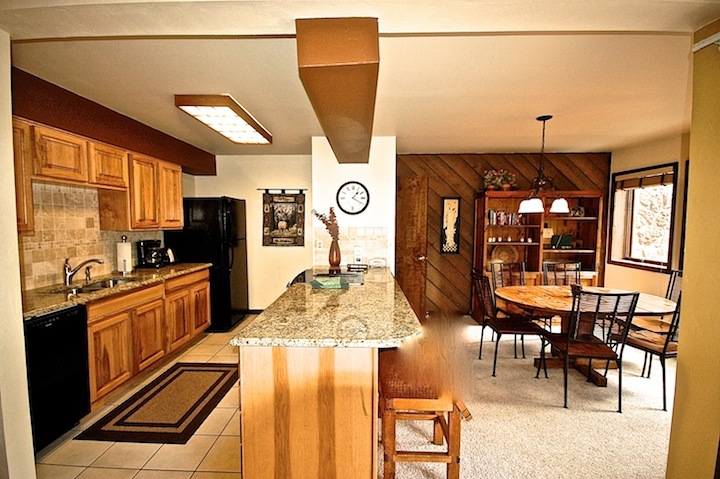 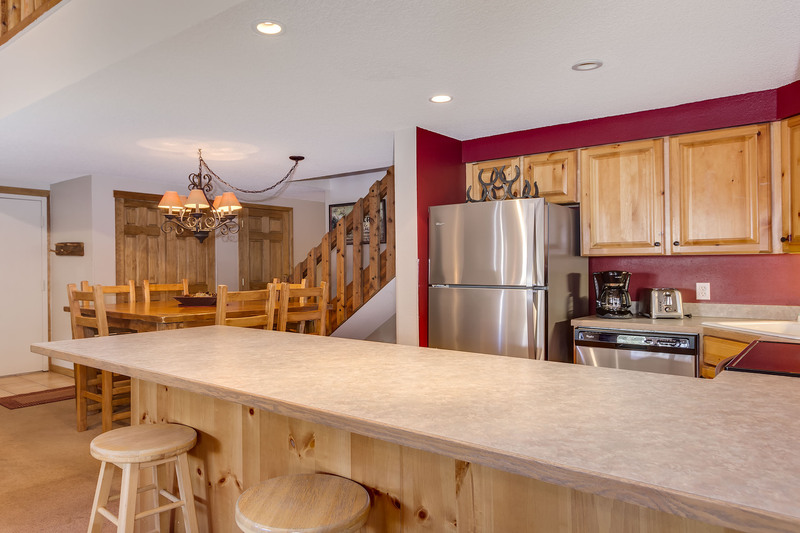 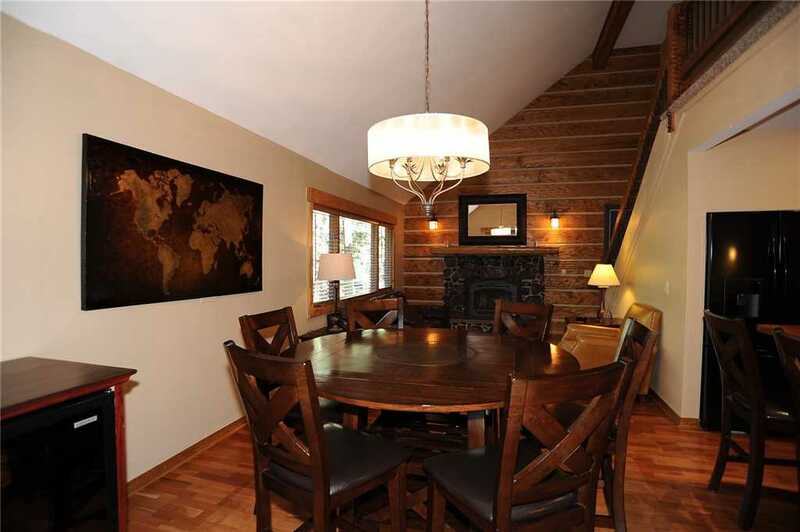 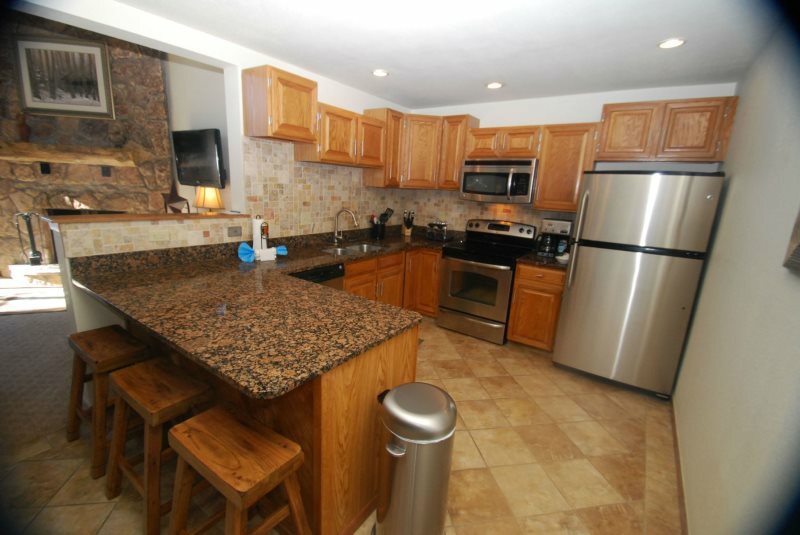 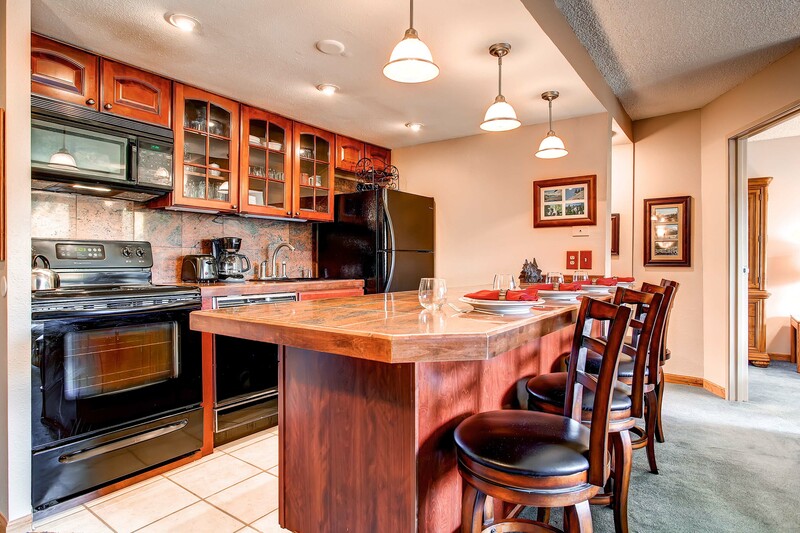 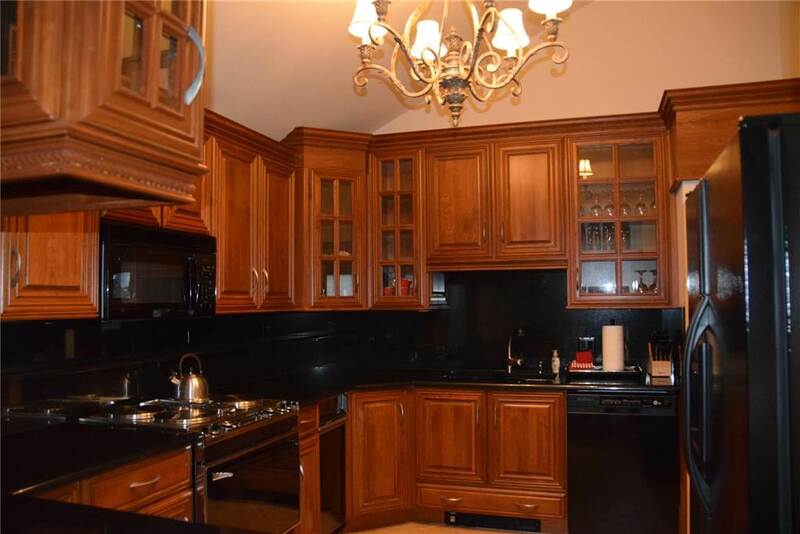 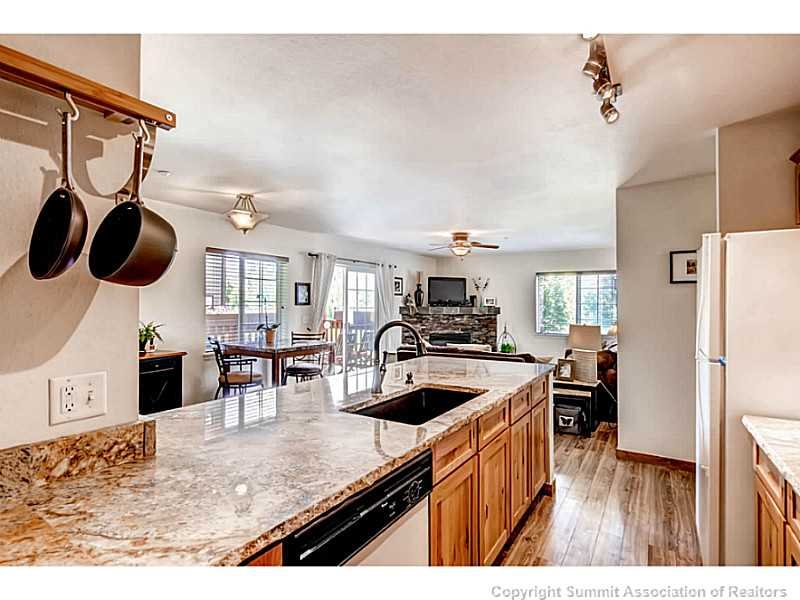 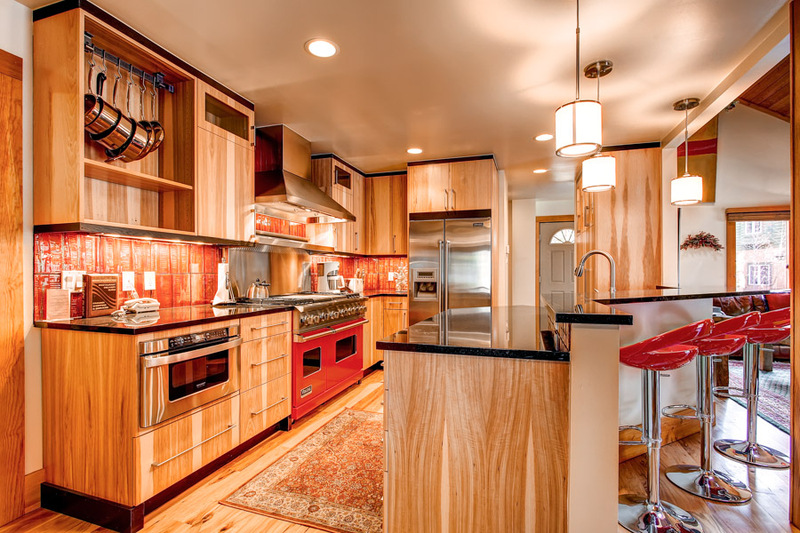 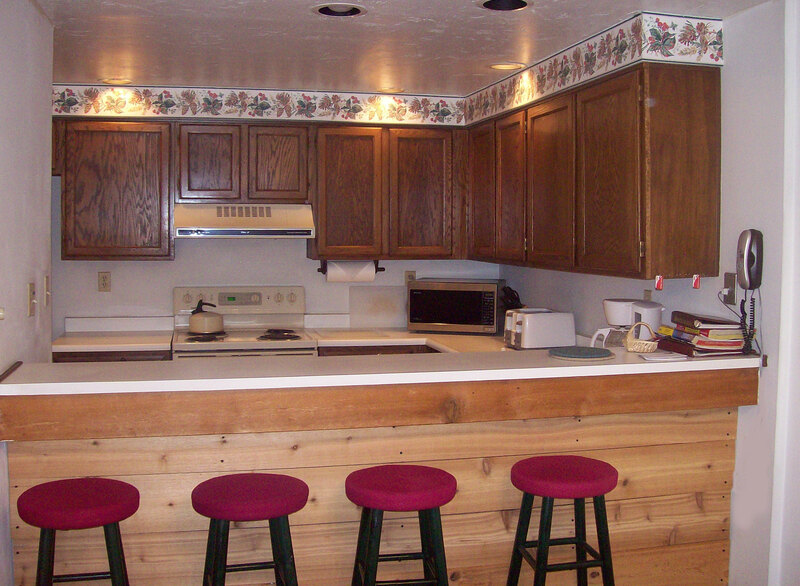 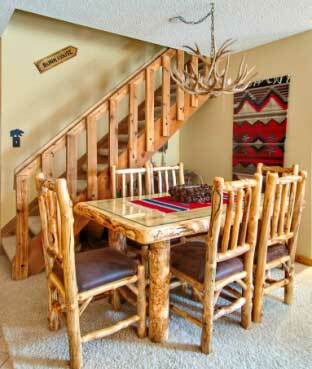 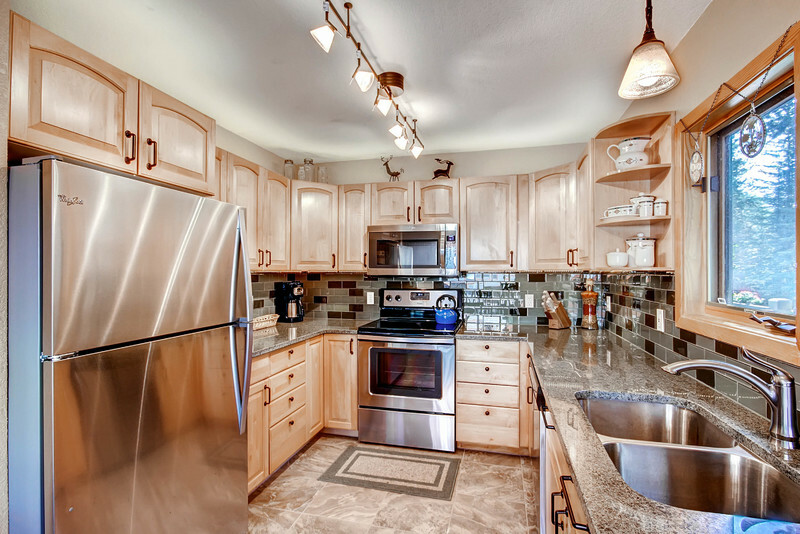 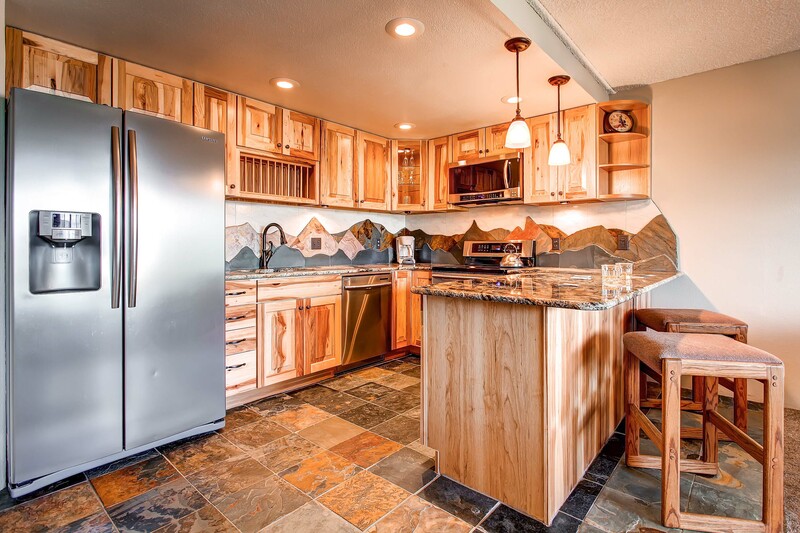 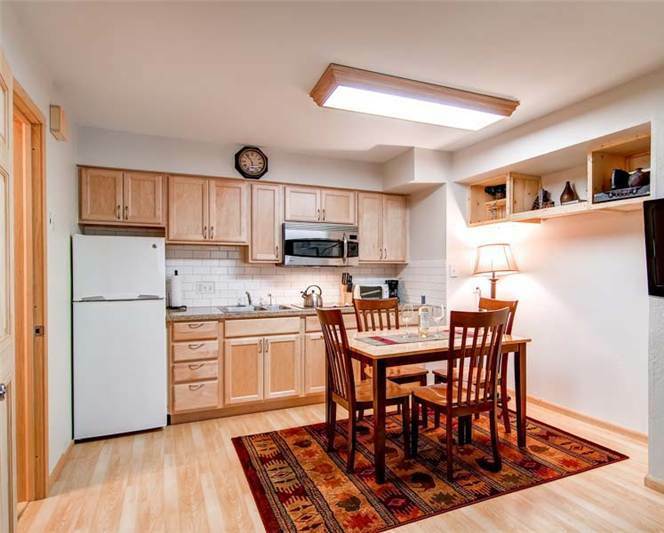 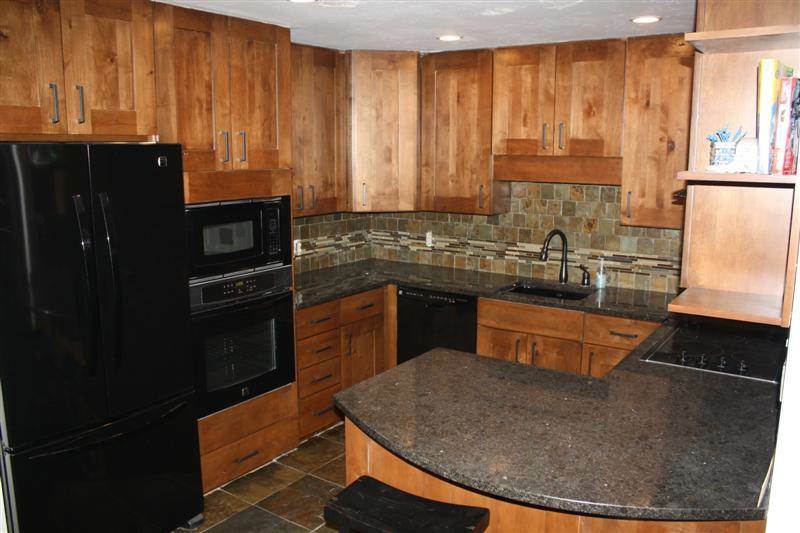 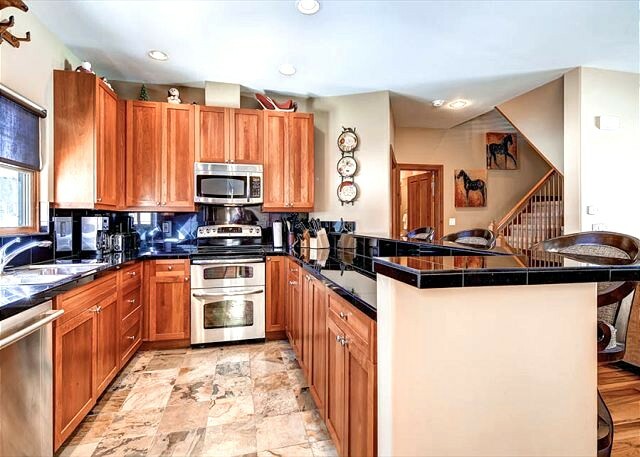 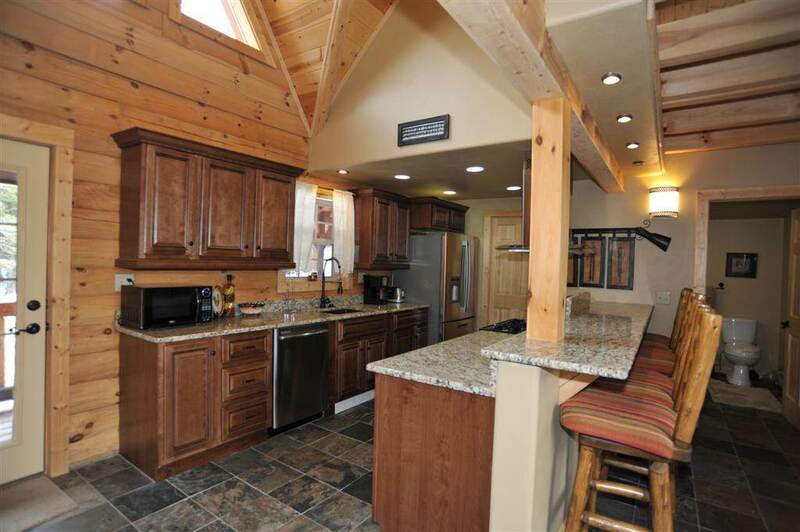 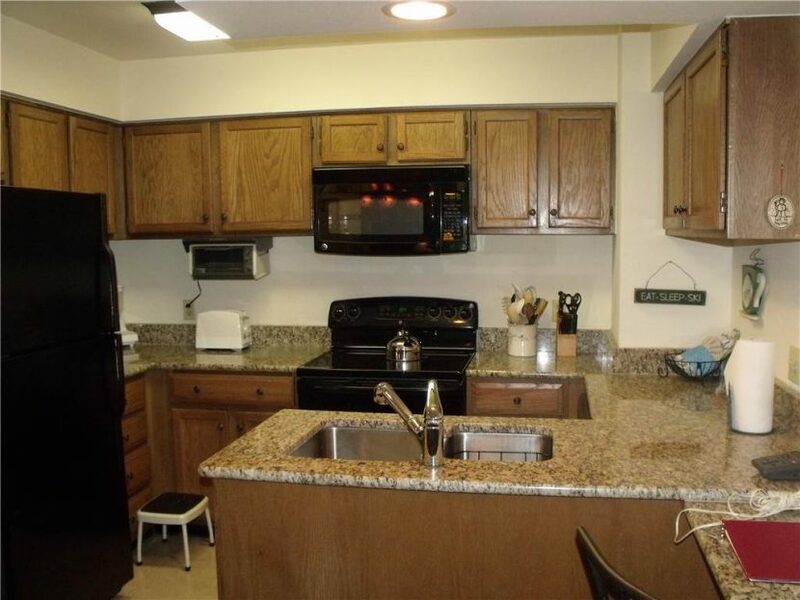 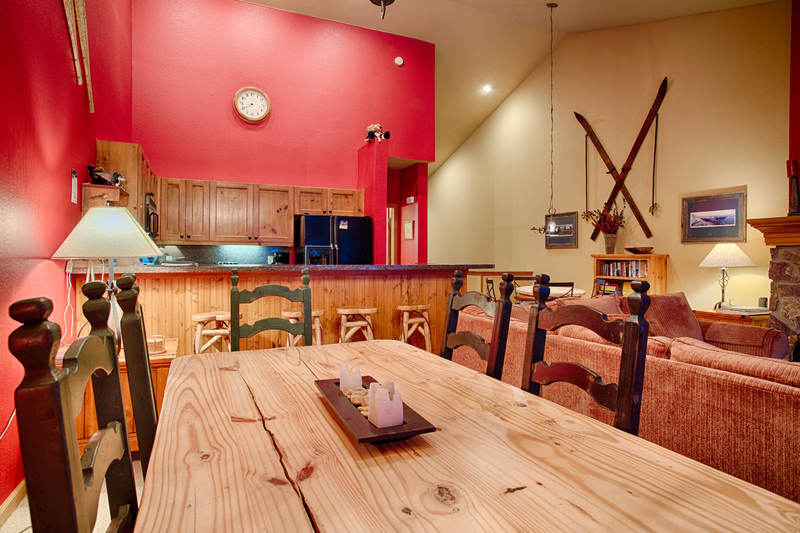 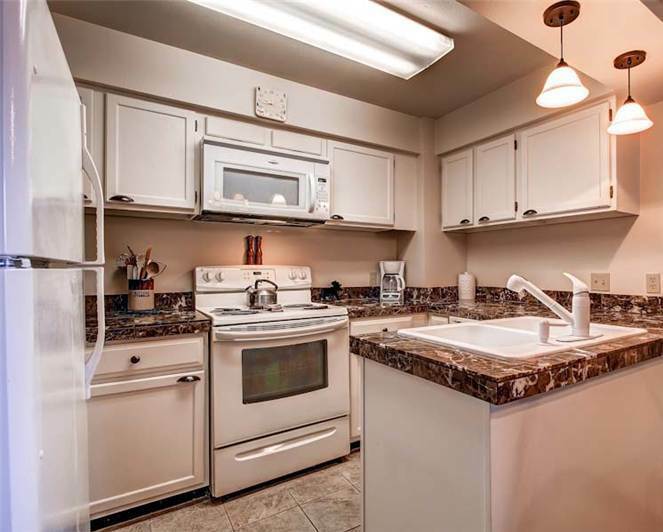 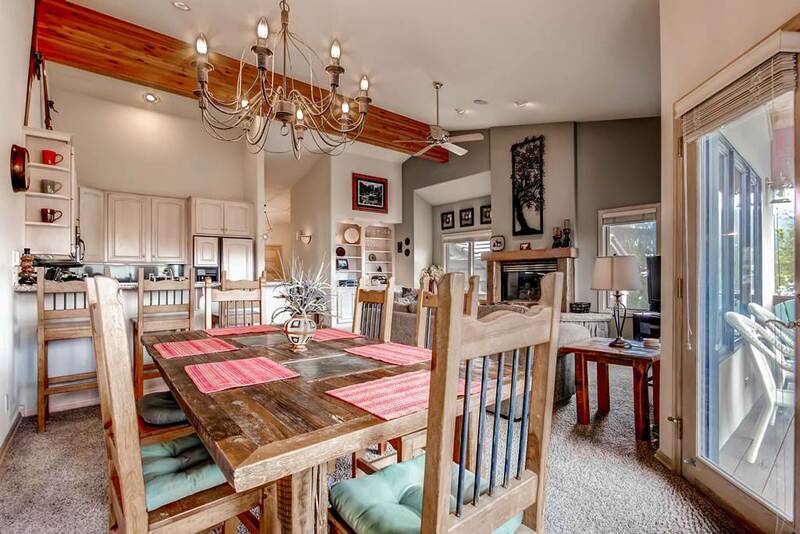 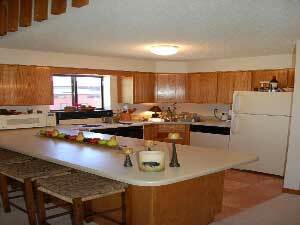 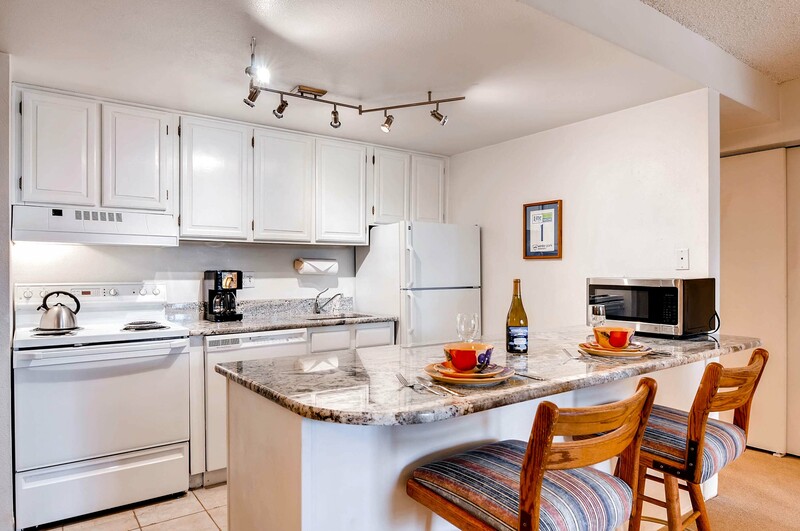 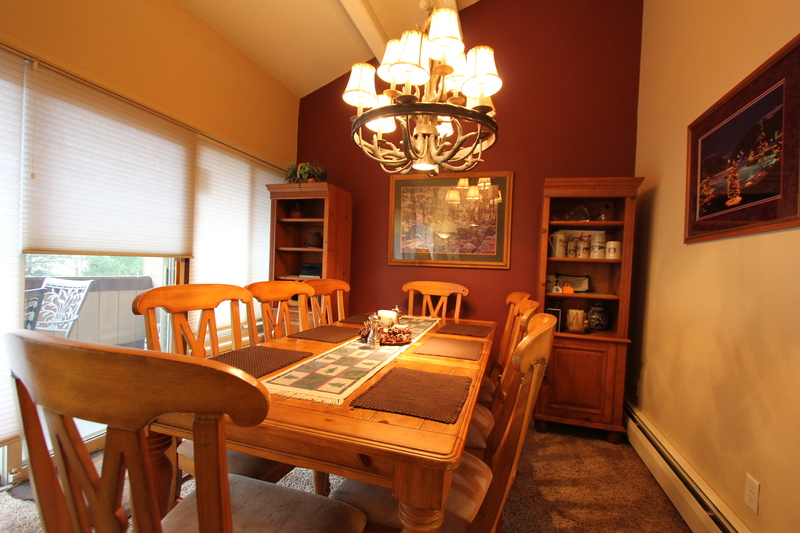 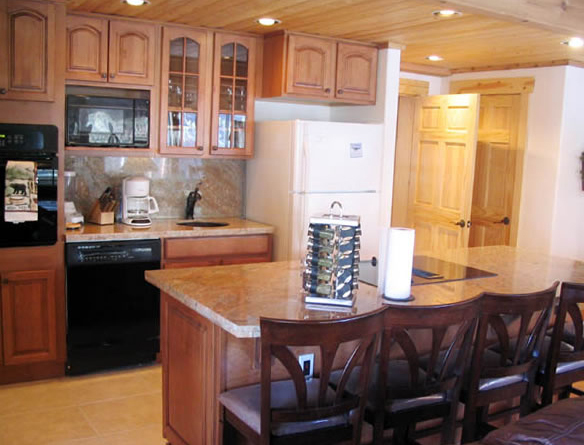 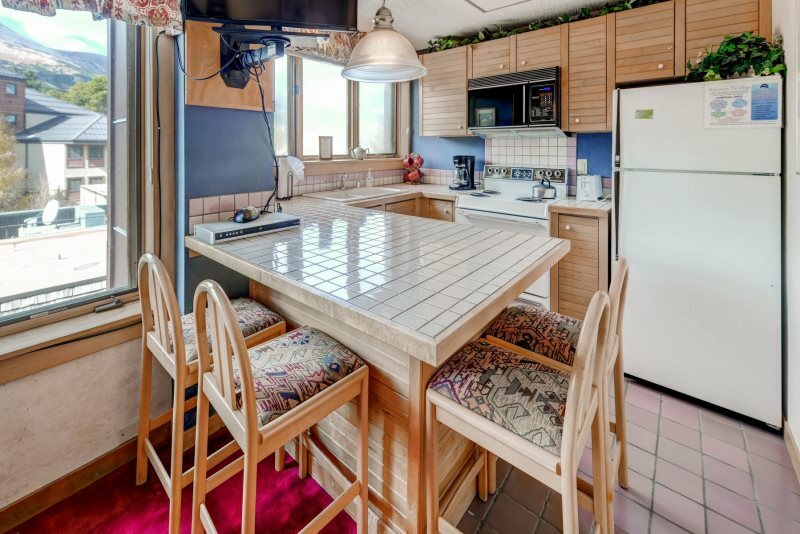 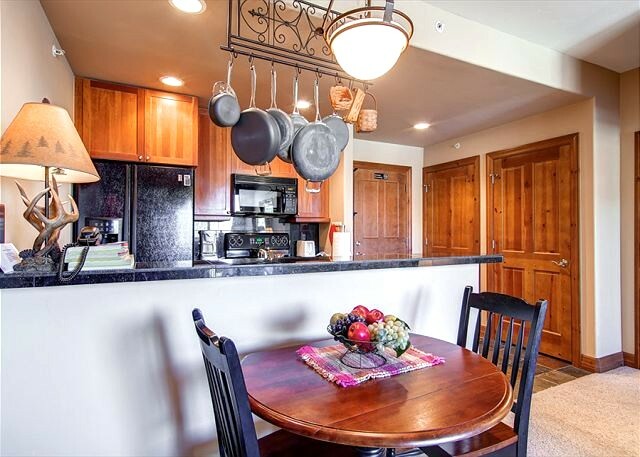 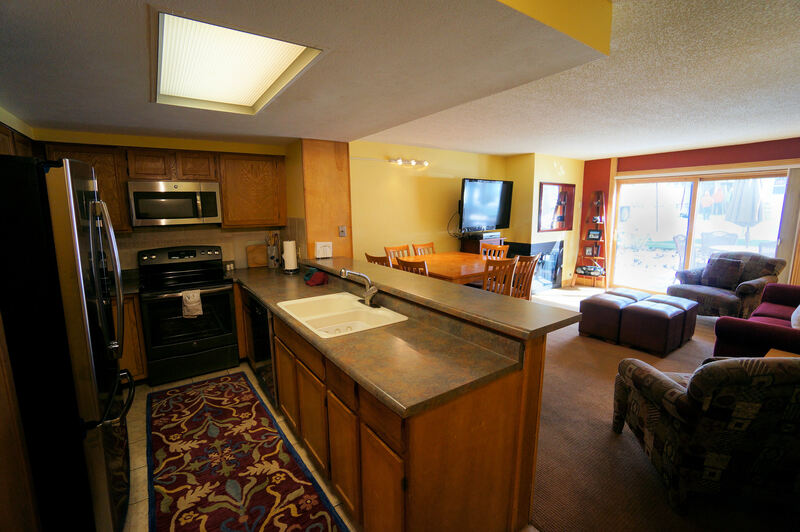 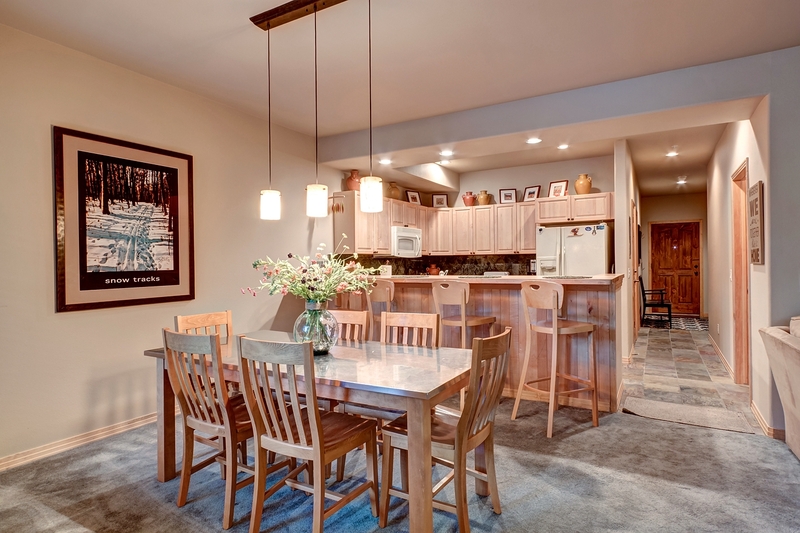 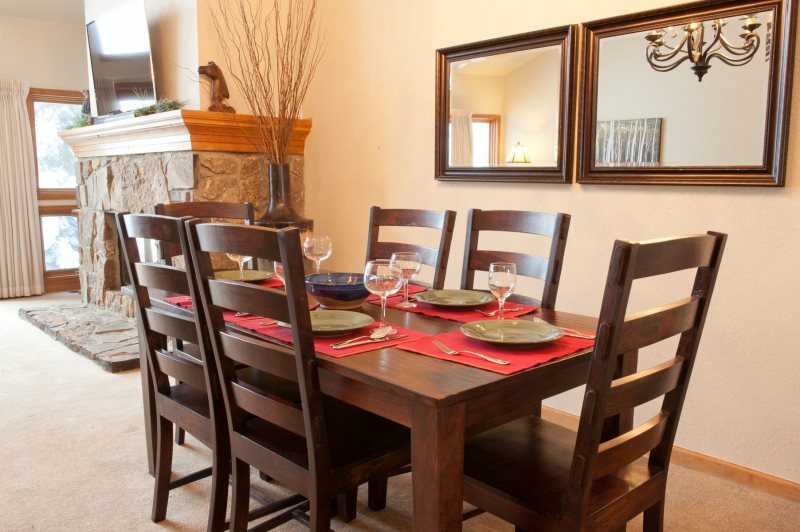 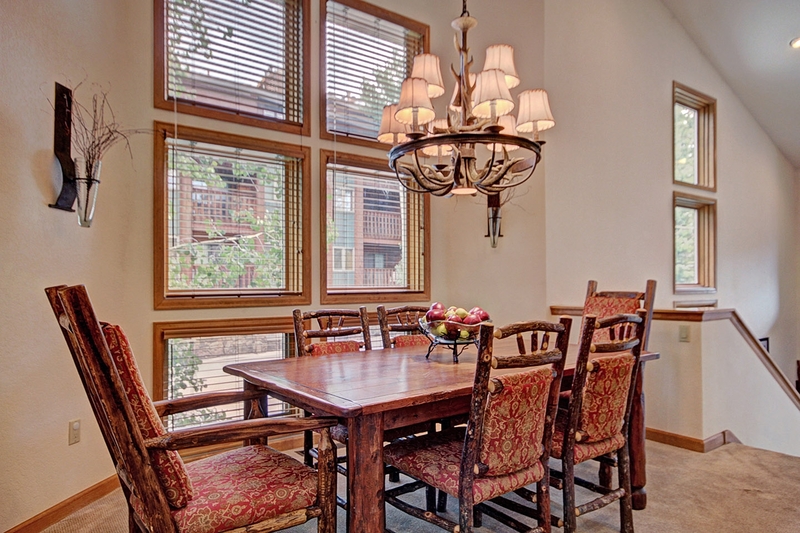 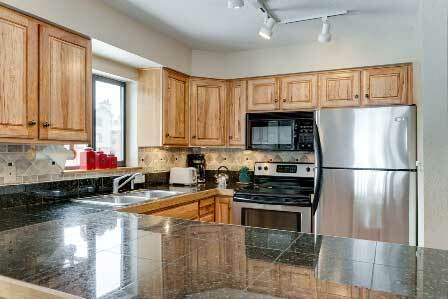 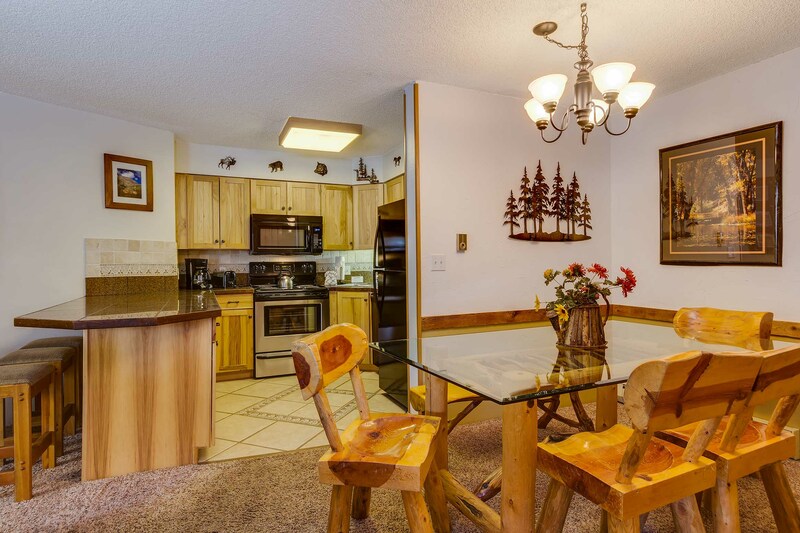 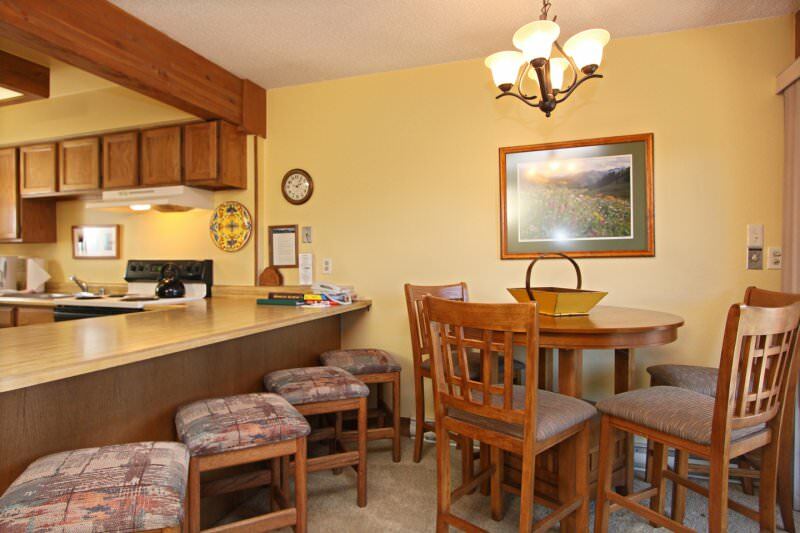 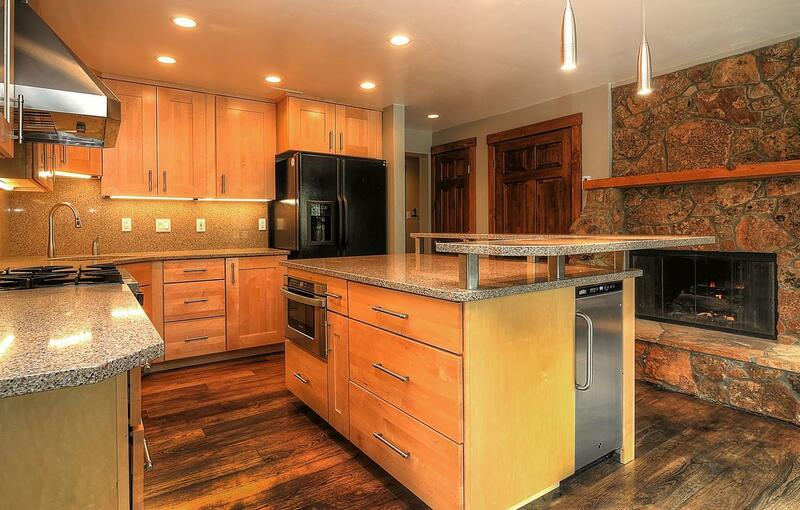 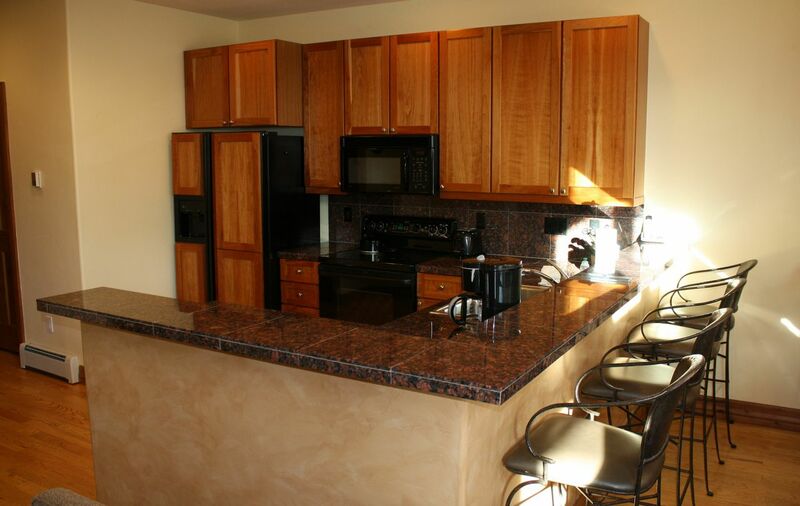 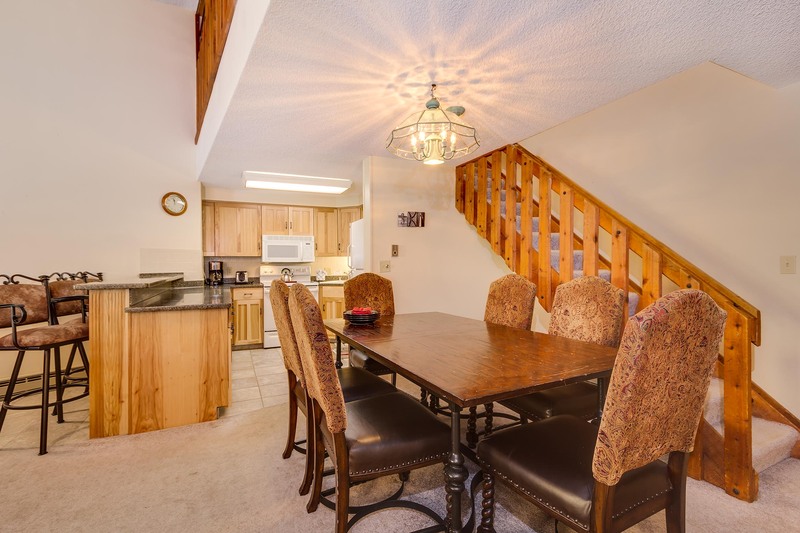 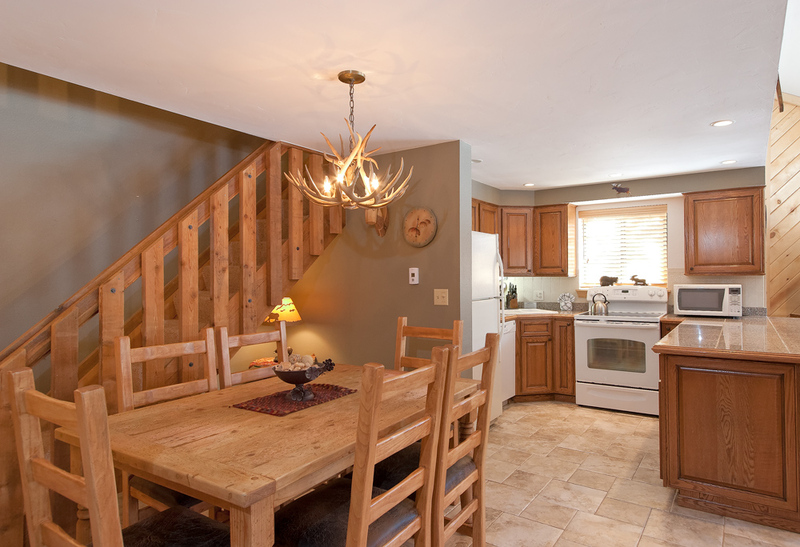 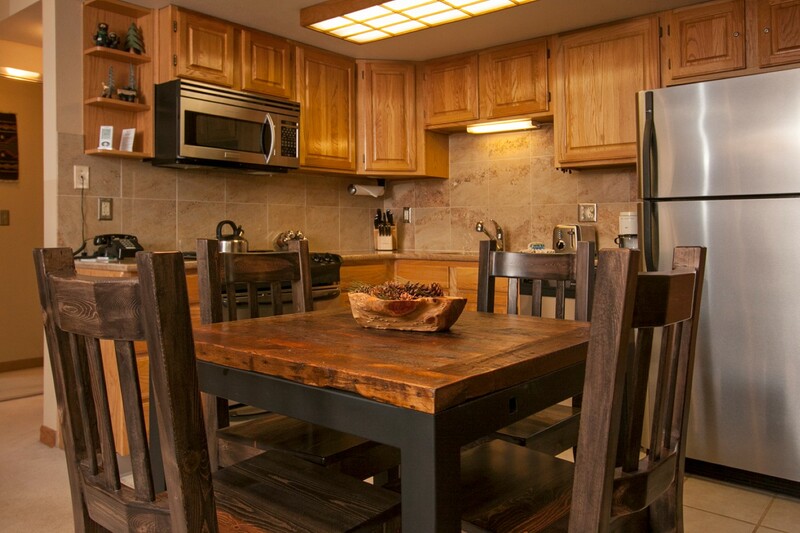 There is a fully equipped kitchen with space for eight at the dining table. 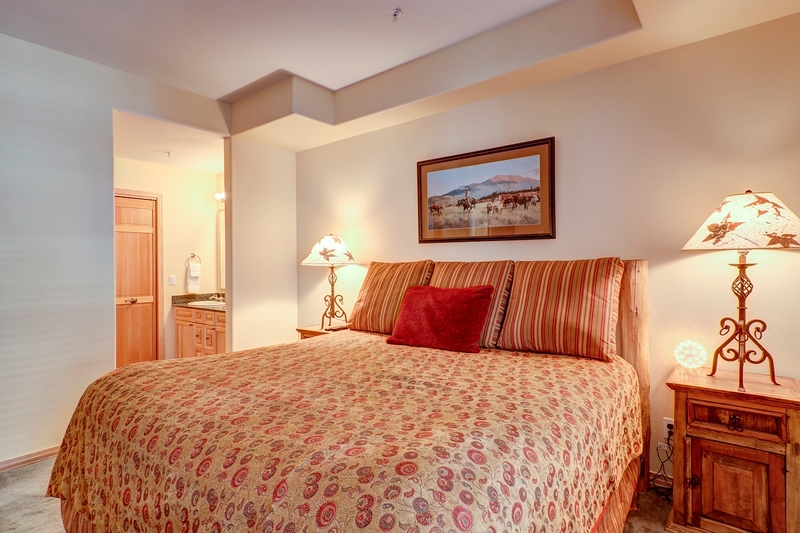 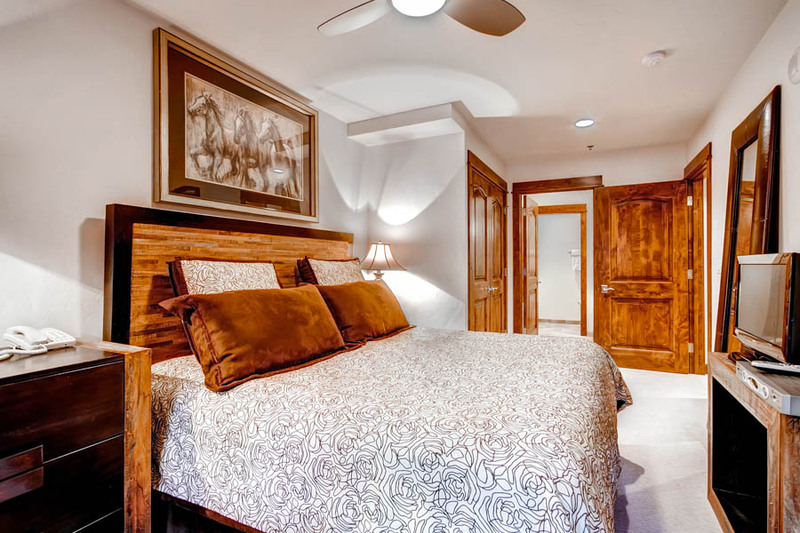 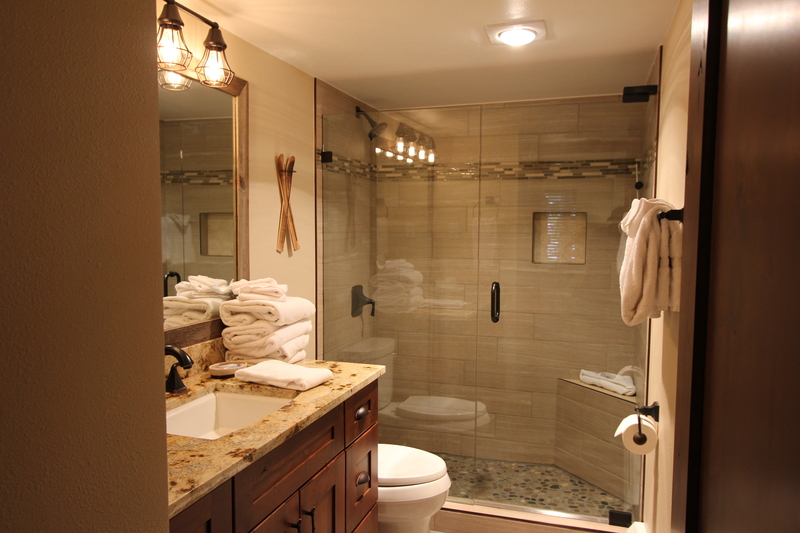 Other amenities include covered assigned parking spaces, elevator service, a coin laundry facility in the building, complimentary Wi-Fi and pool and hot tub access.